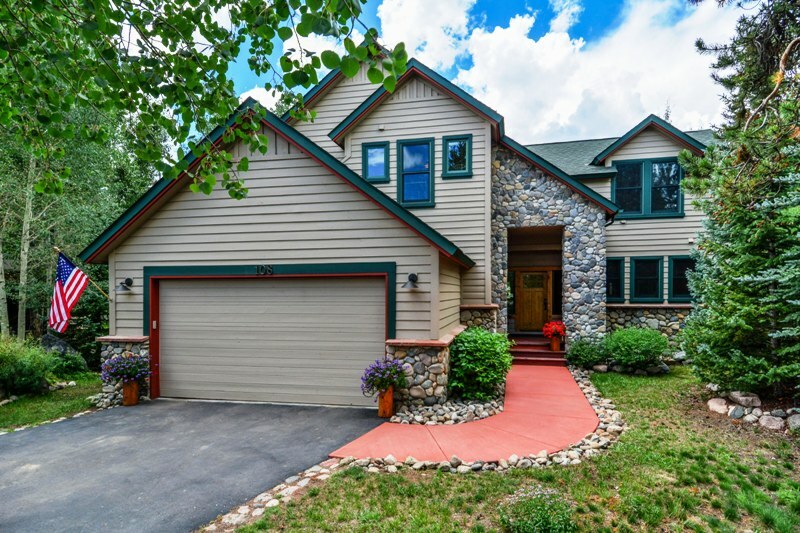 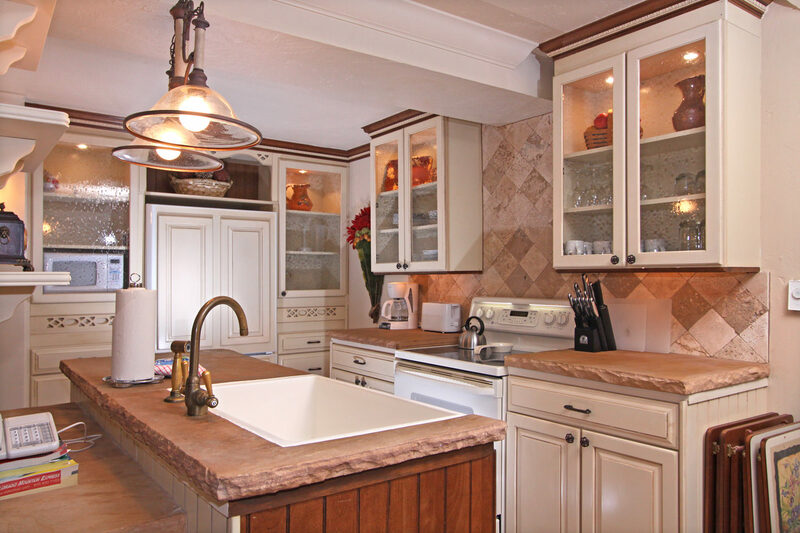 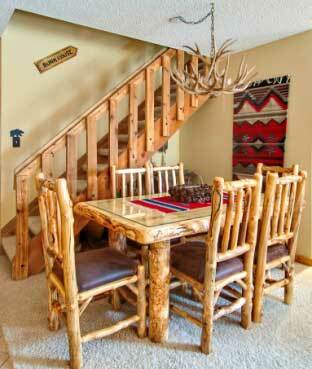 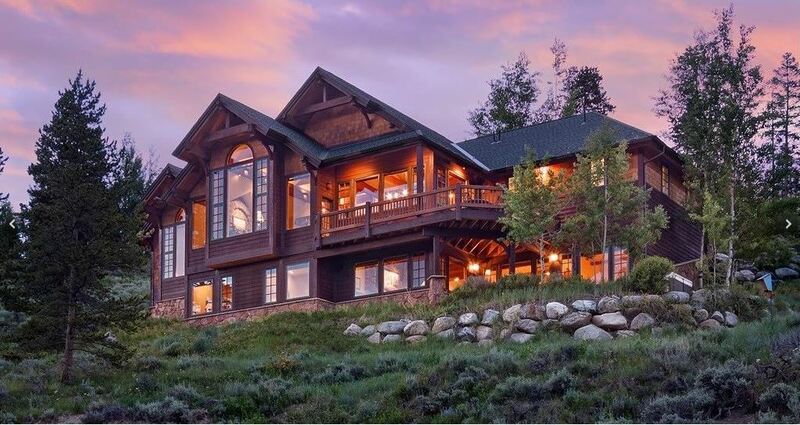 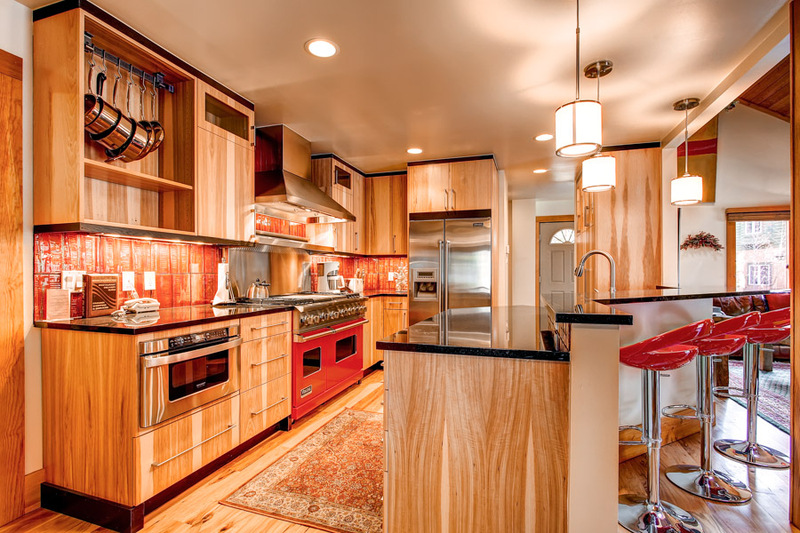 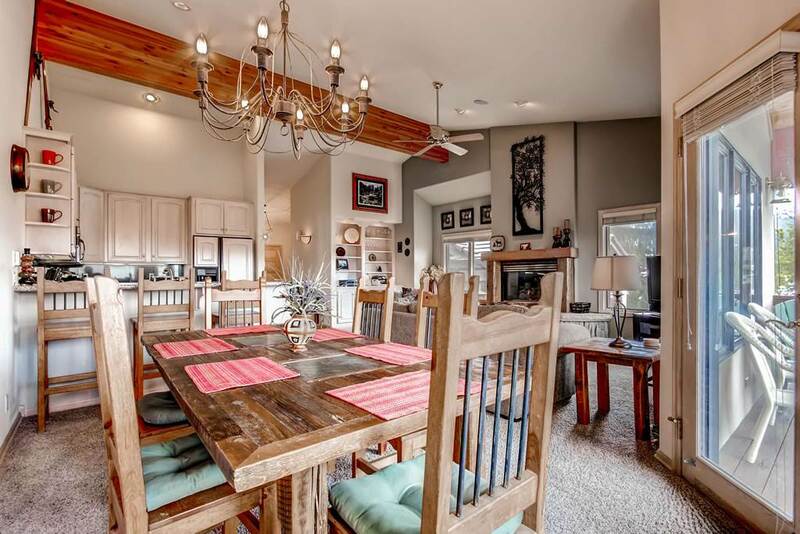 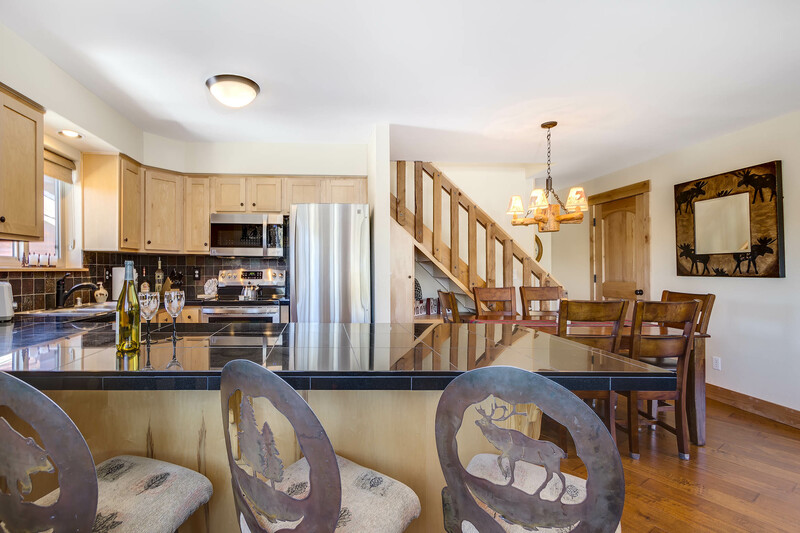 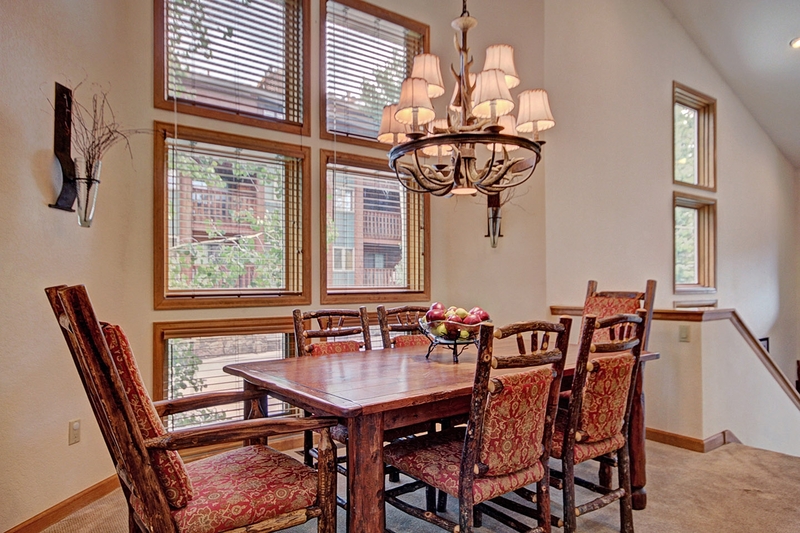 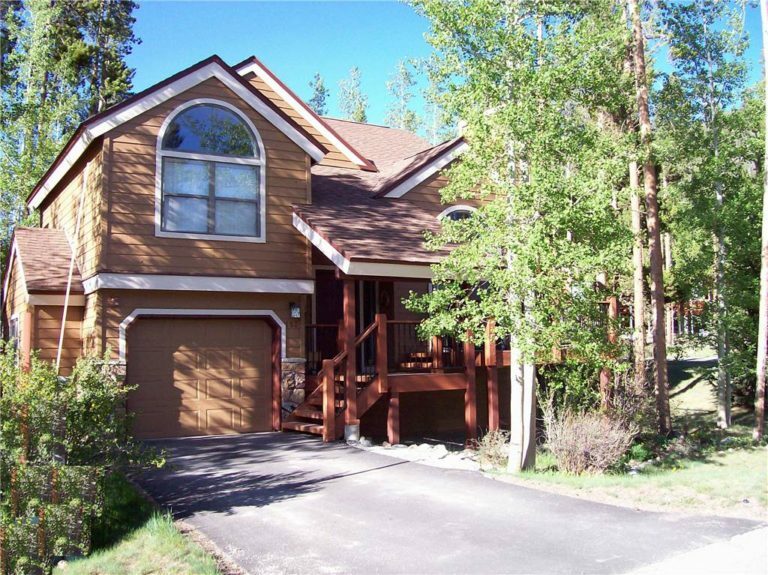 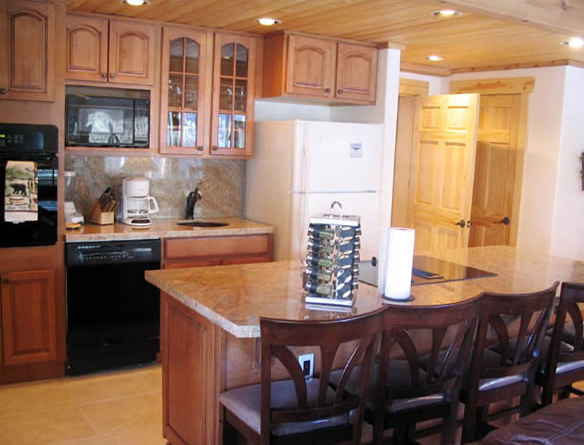 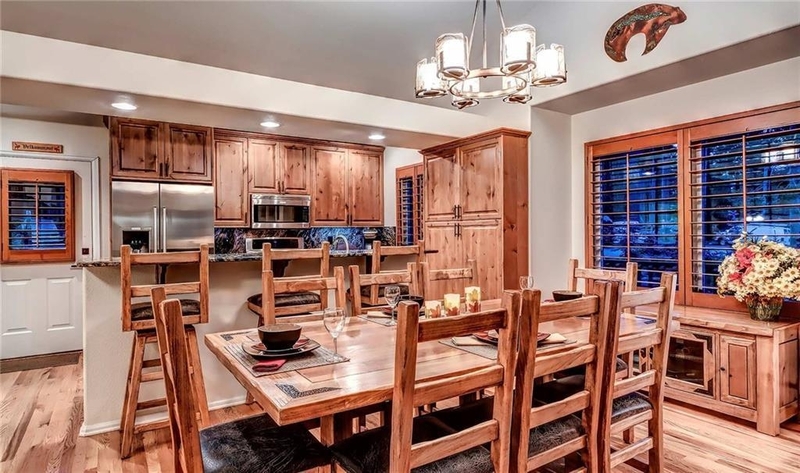 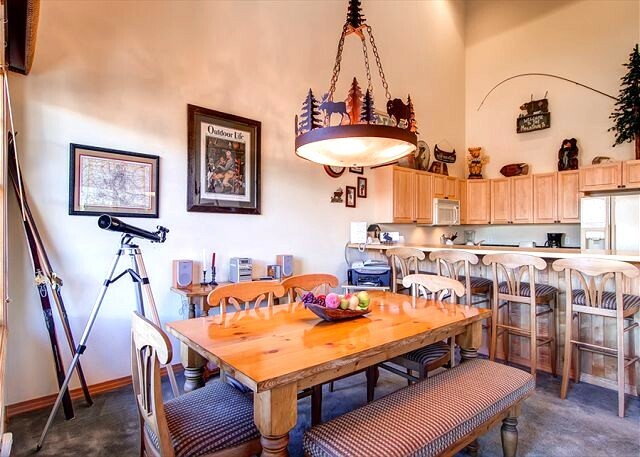 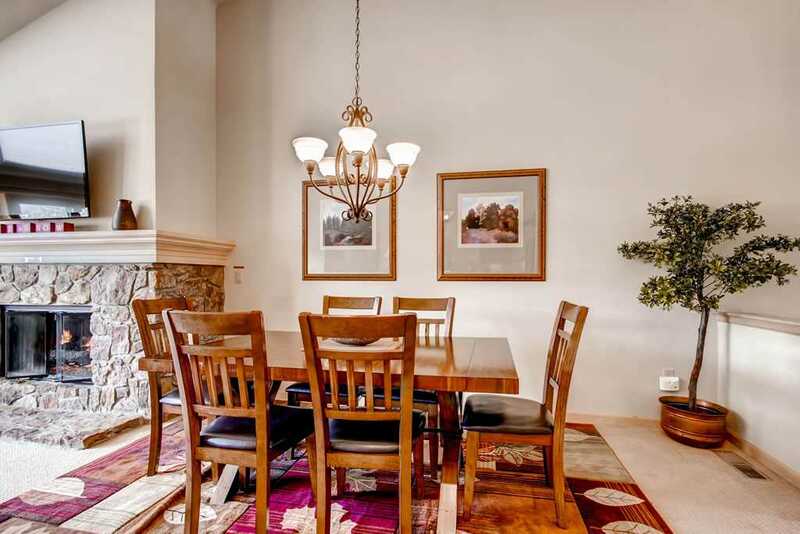 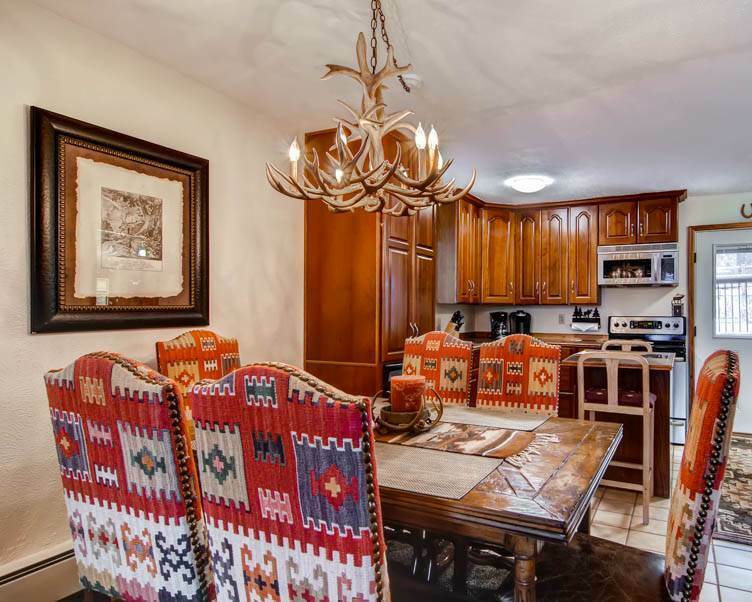 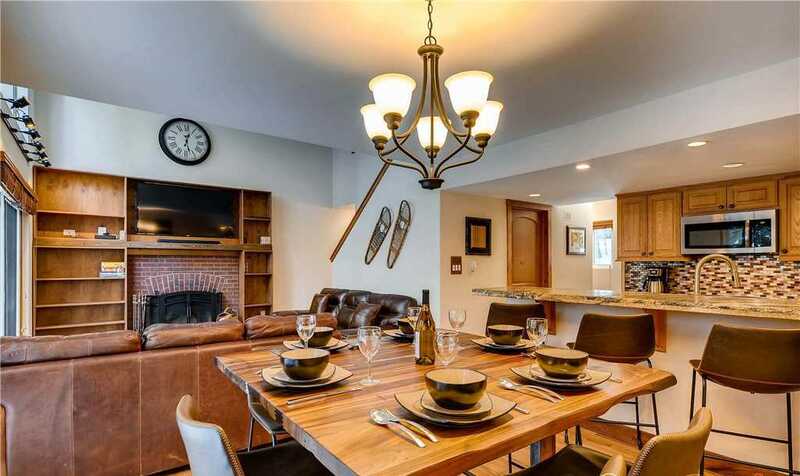 This beautiful, upscale home is the perfect getaway for families or groups. 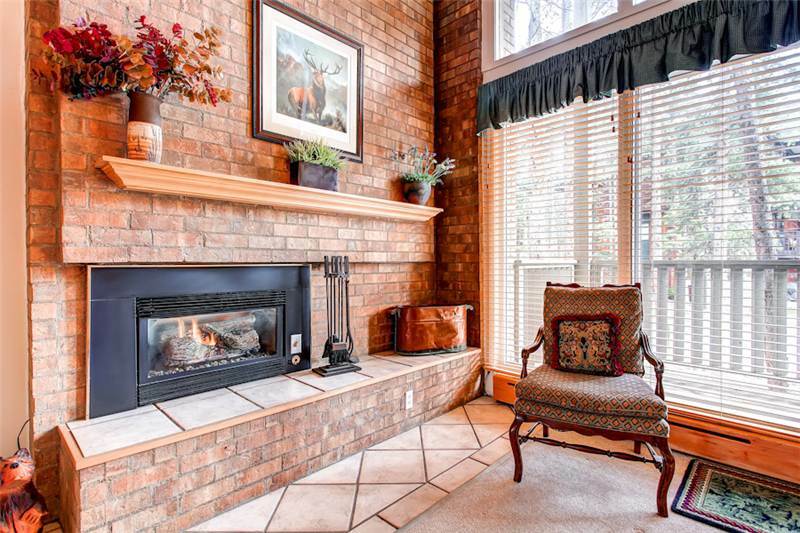 It’s tucked in a quiet neighborhood close to town, but away from the hustle and bustle. 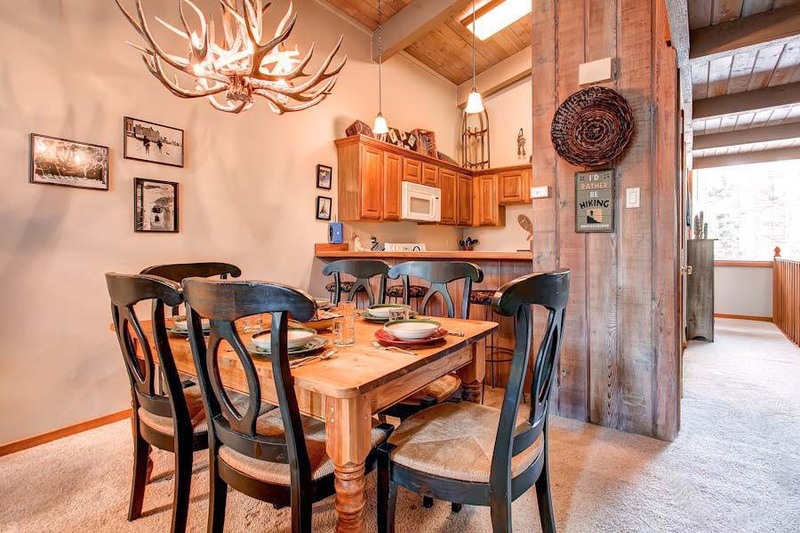 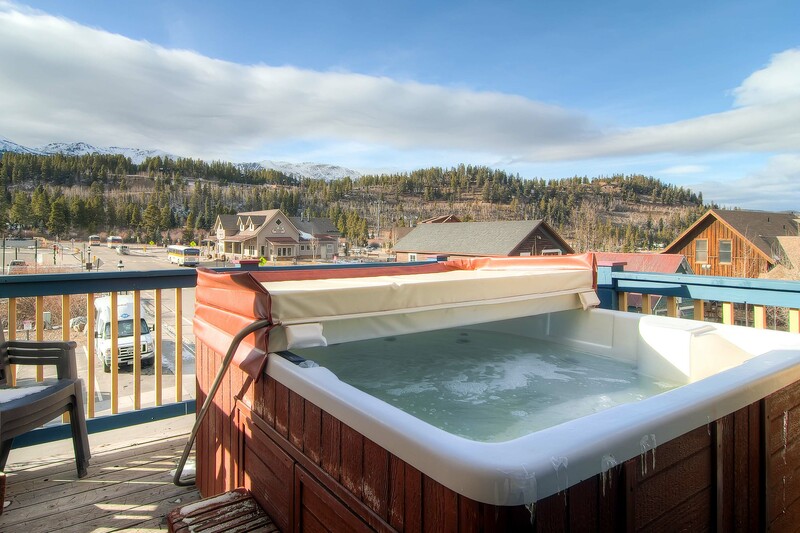 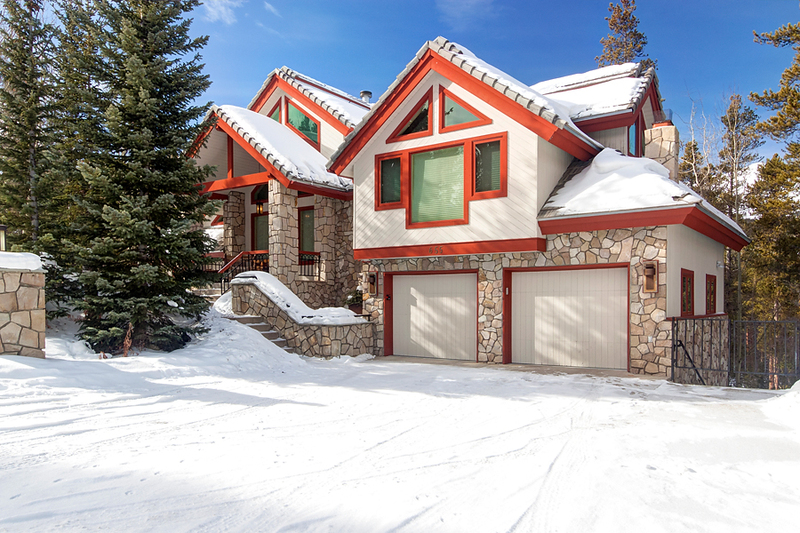 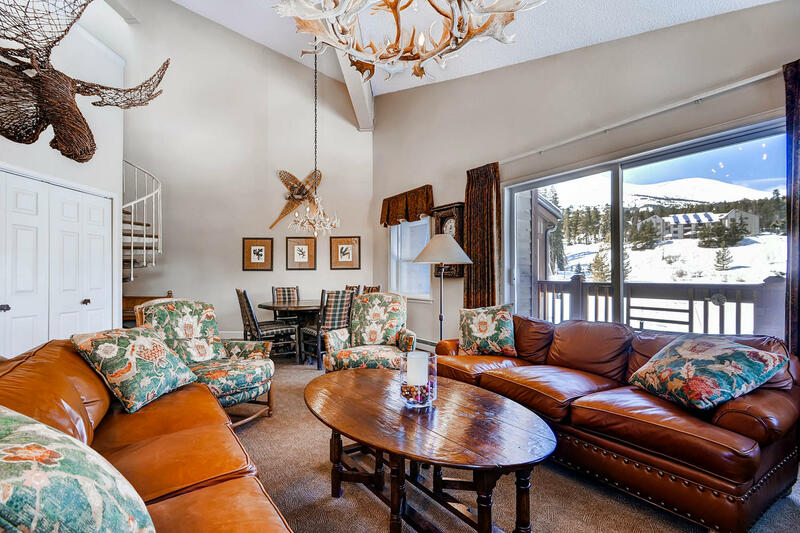 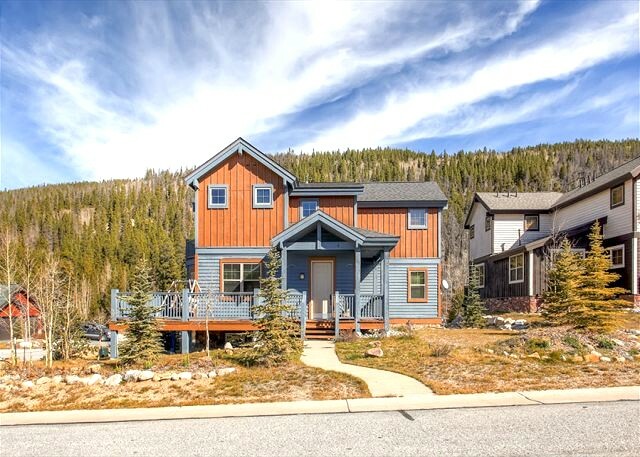 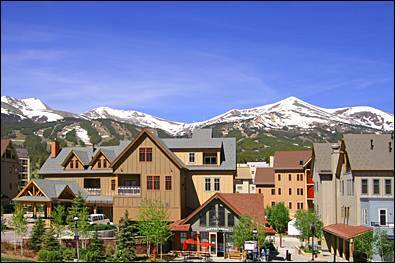 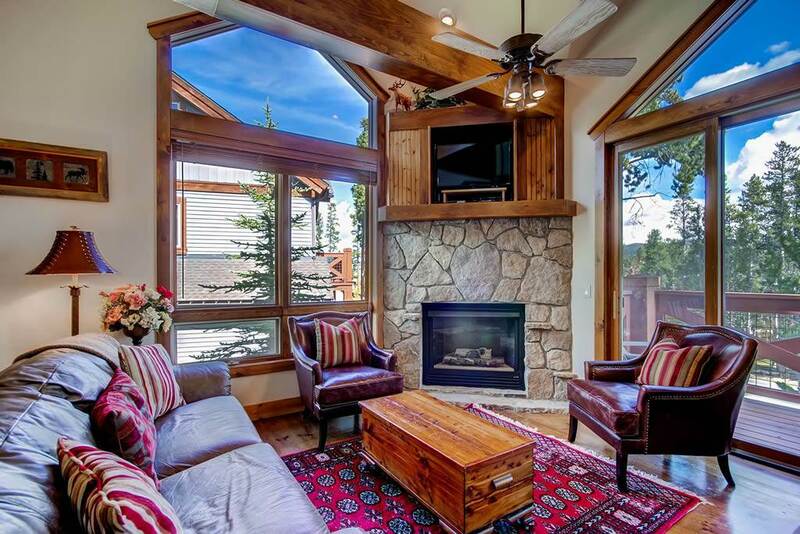 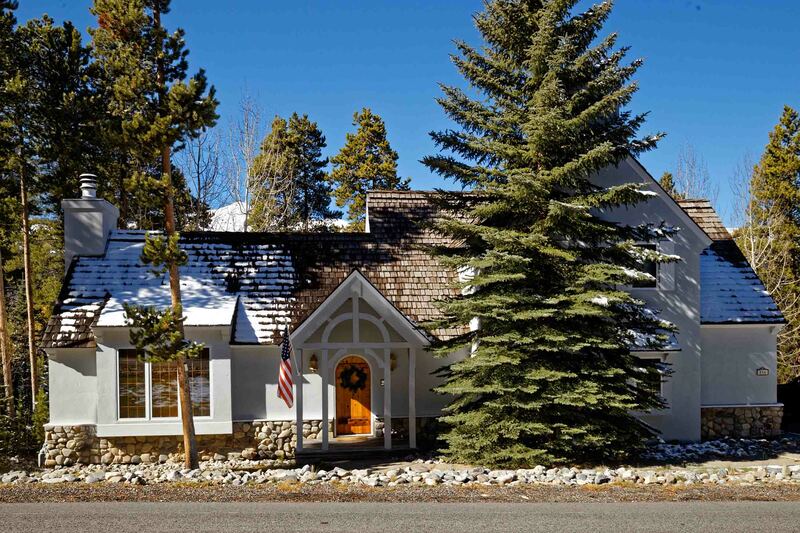 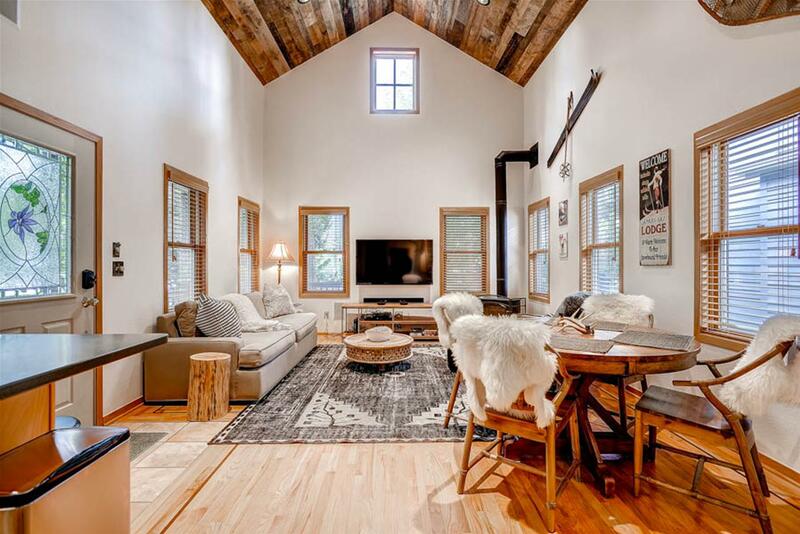 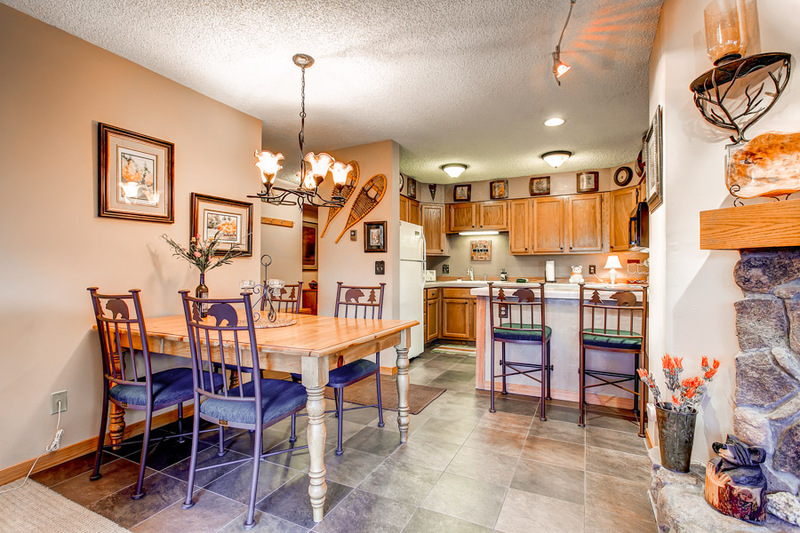 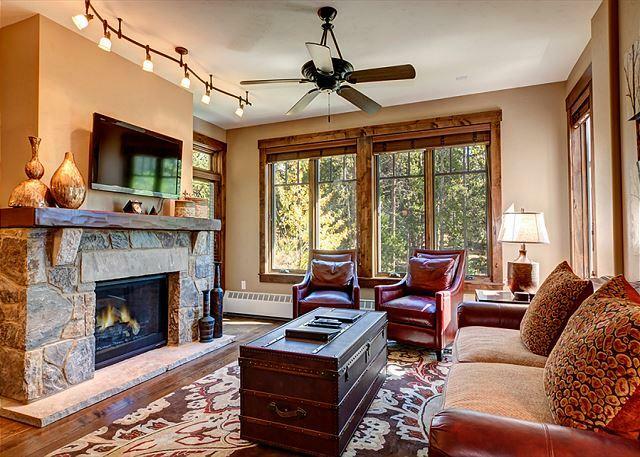 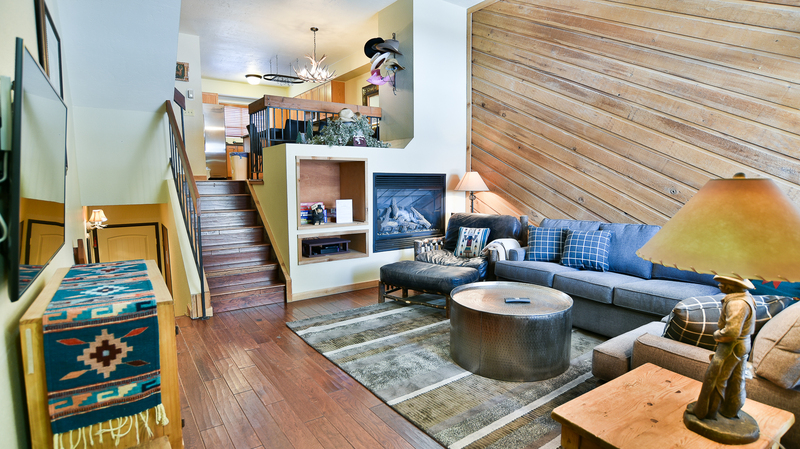 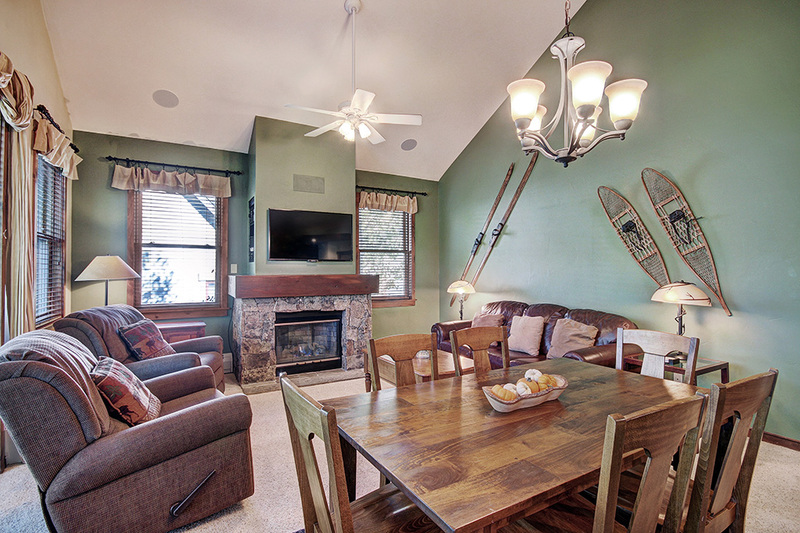 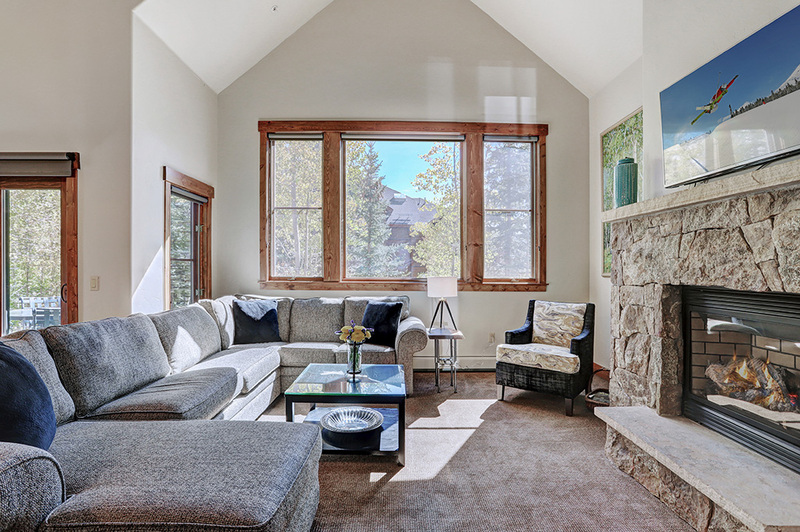 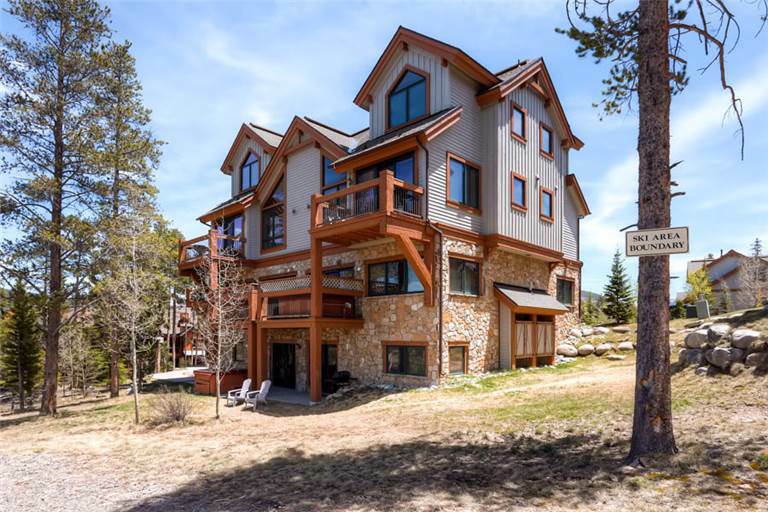 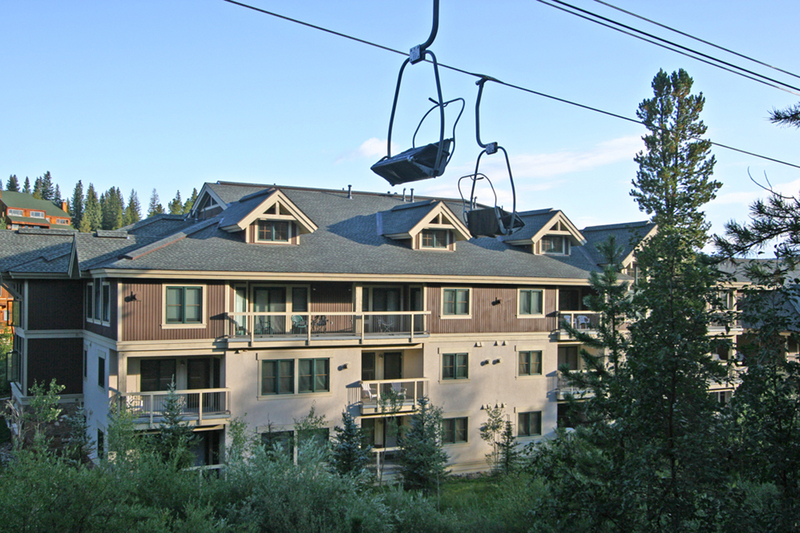 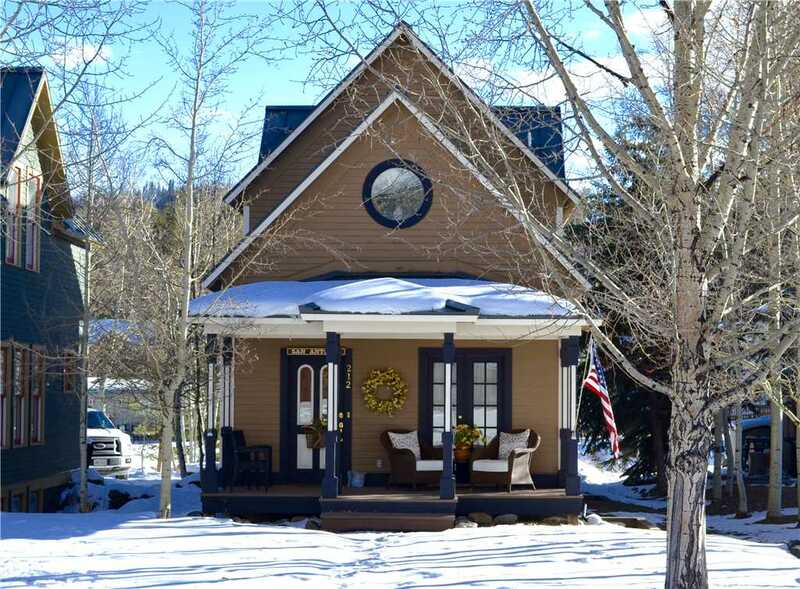 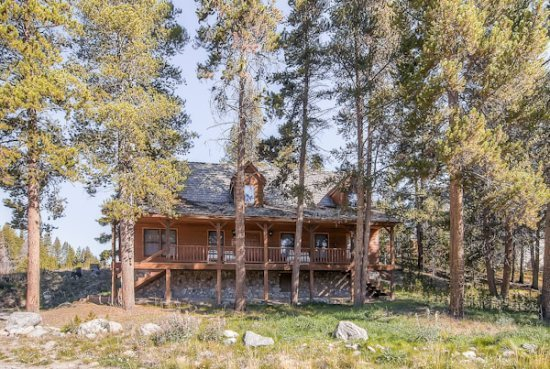 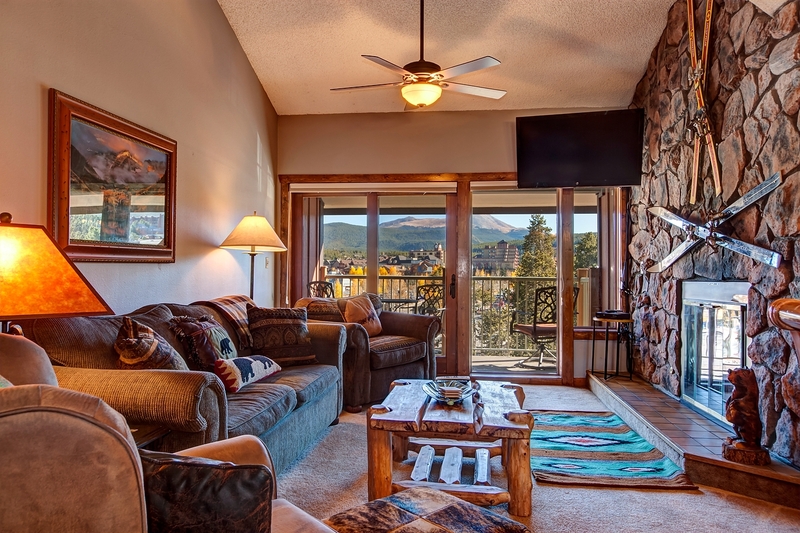 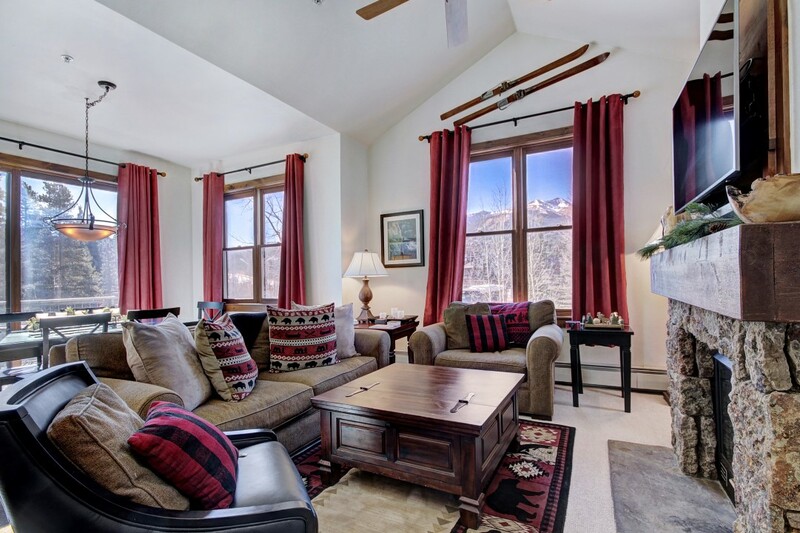 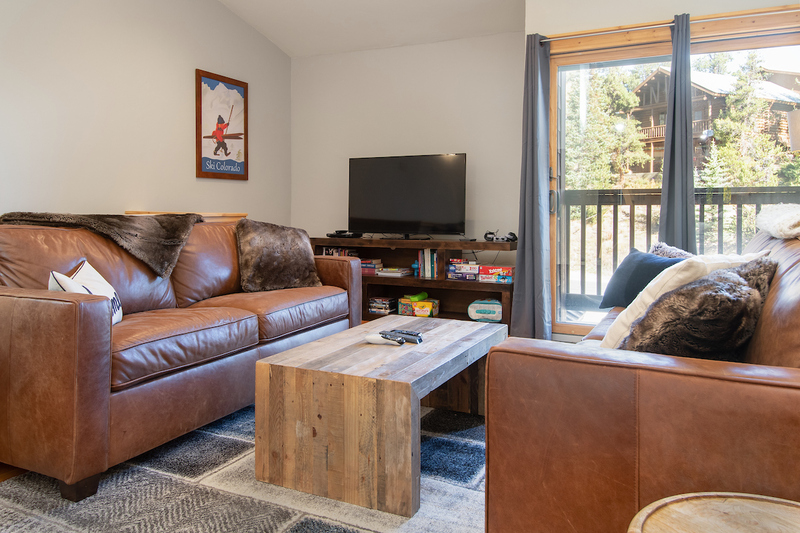 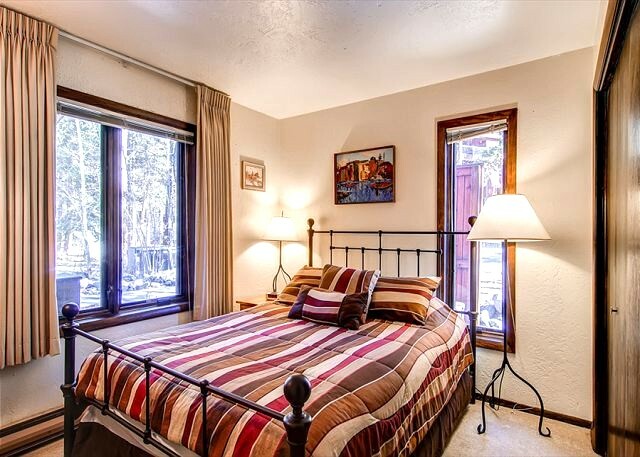 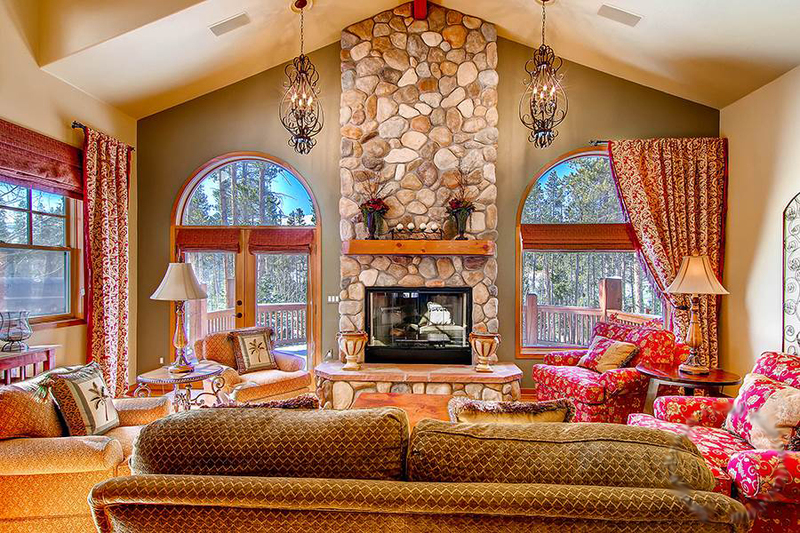 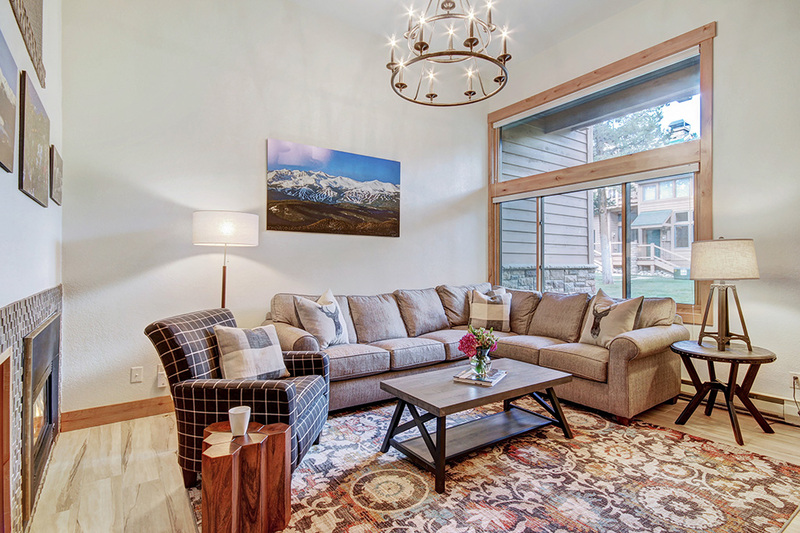 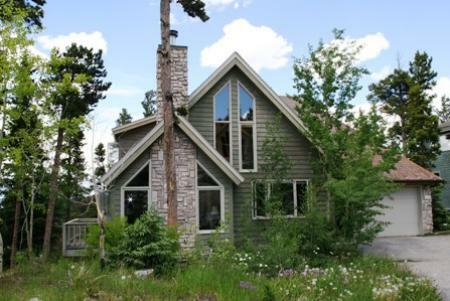 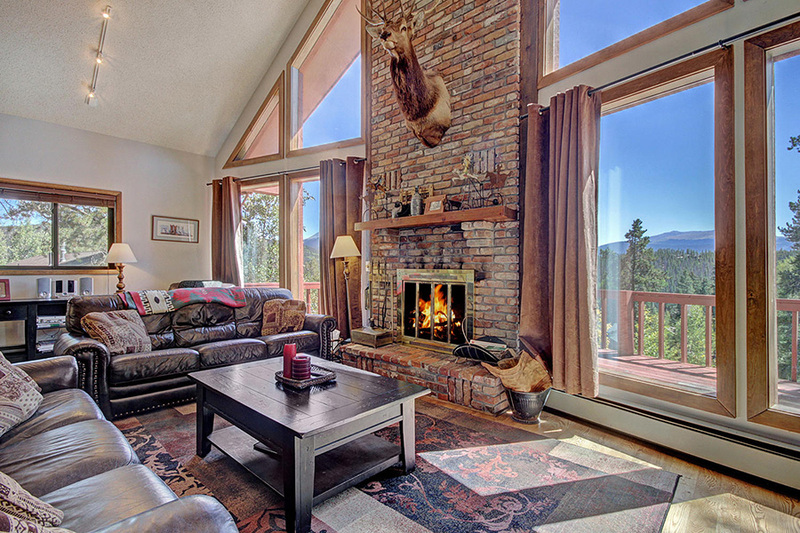 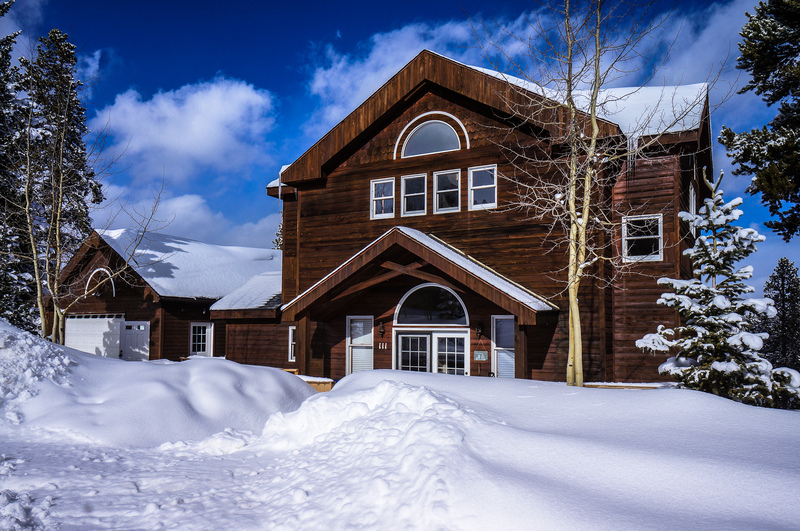 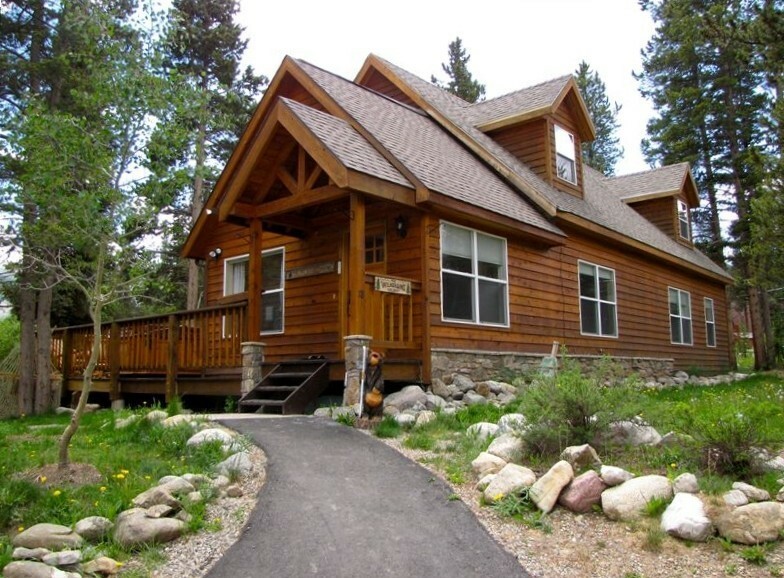 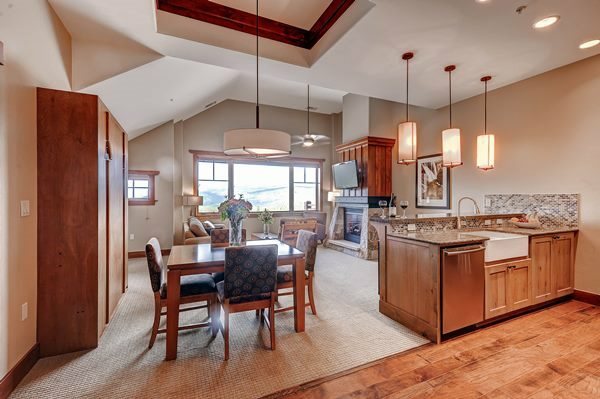 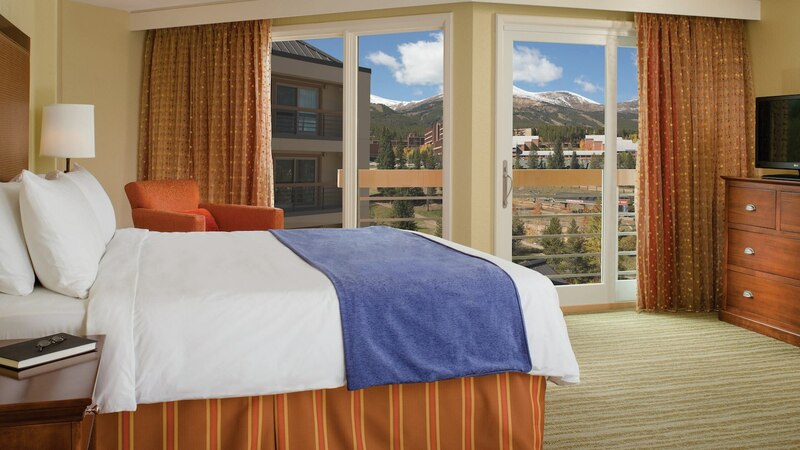 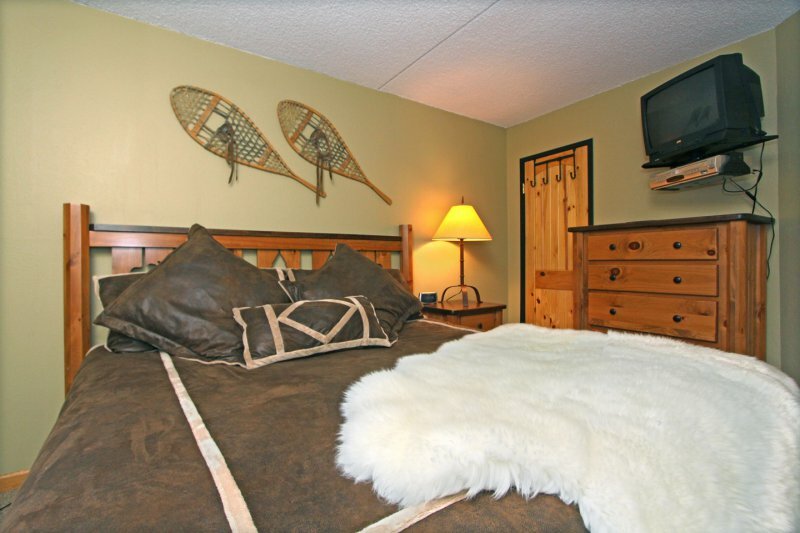 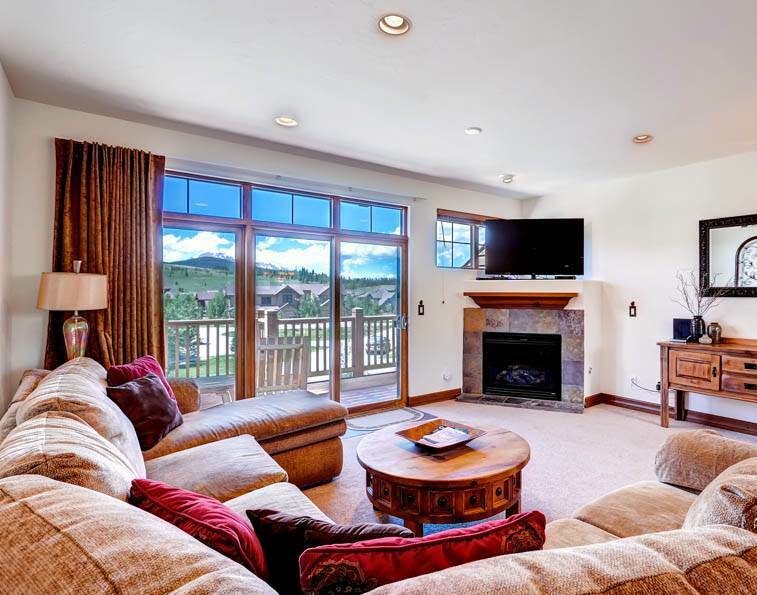 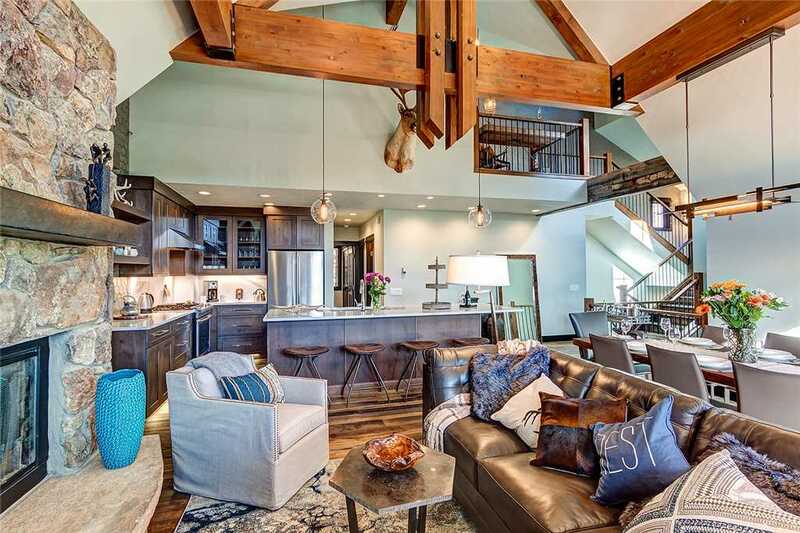 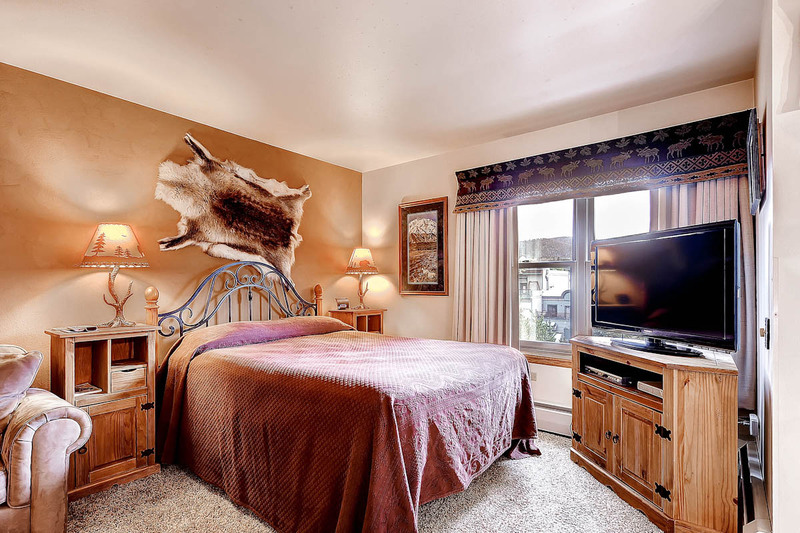 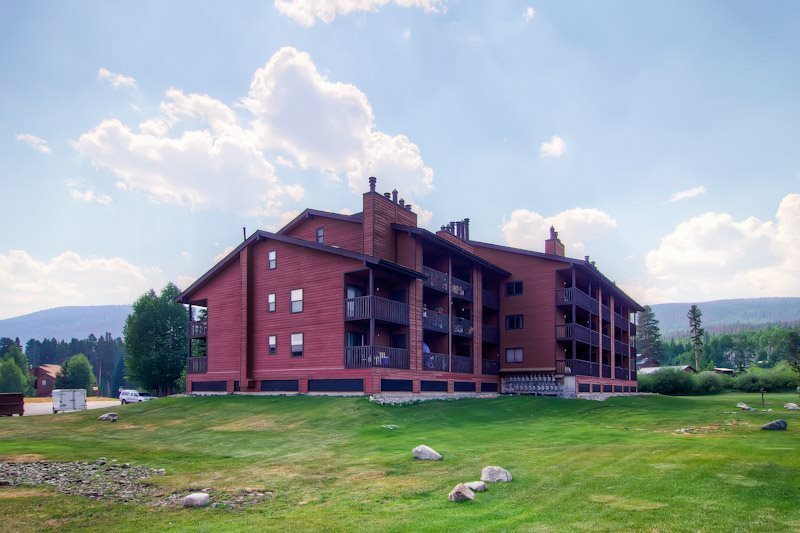 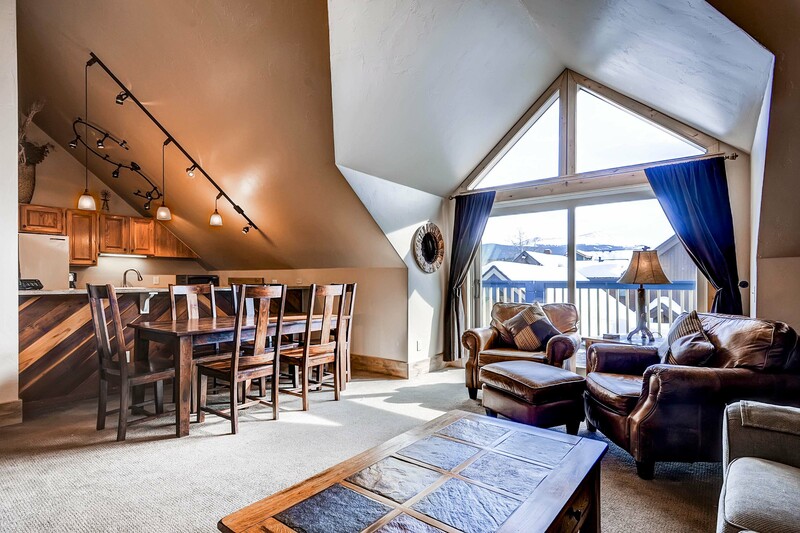 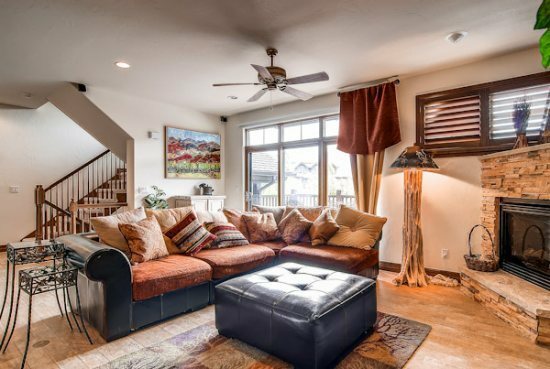 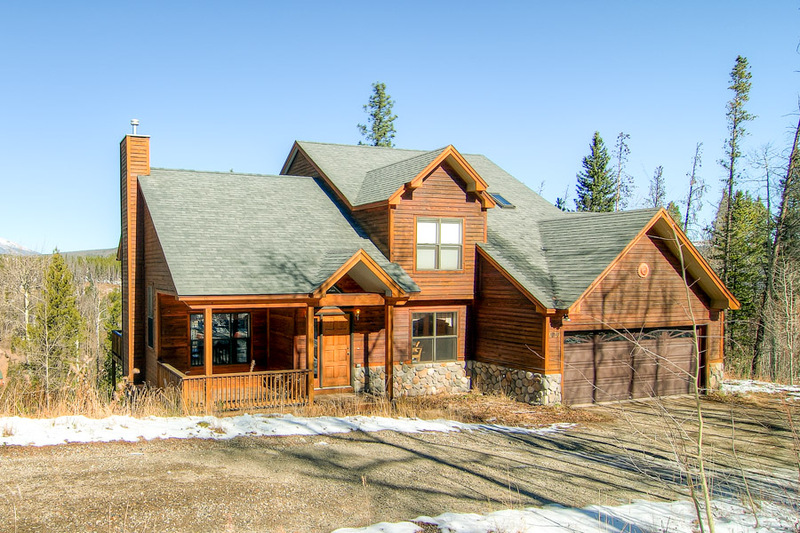 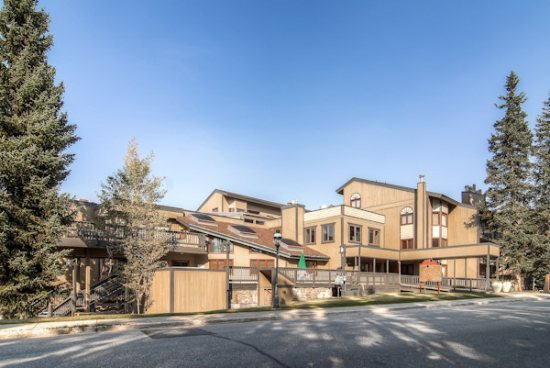 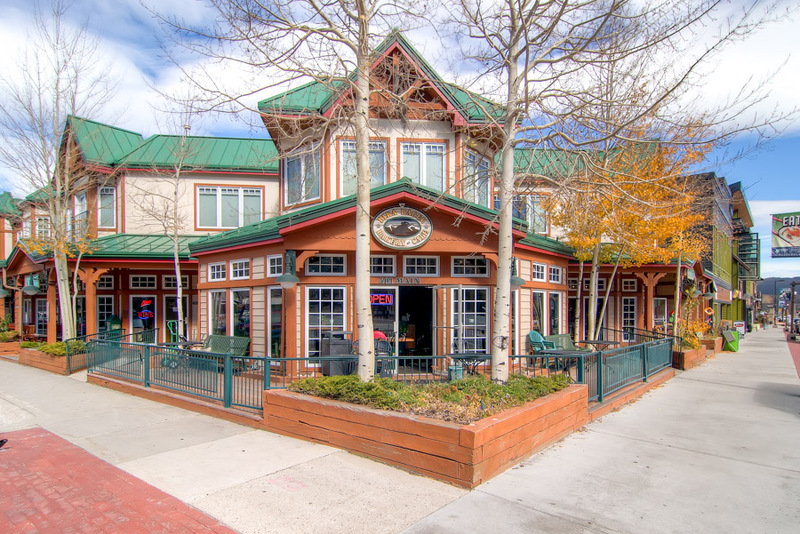 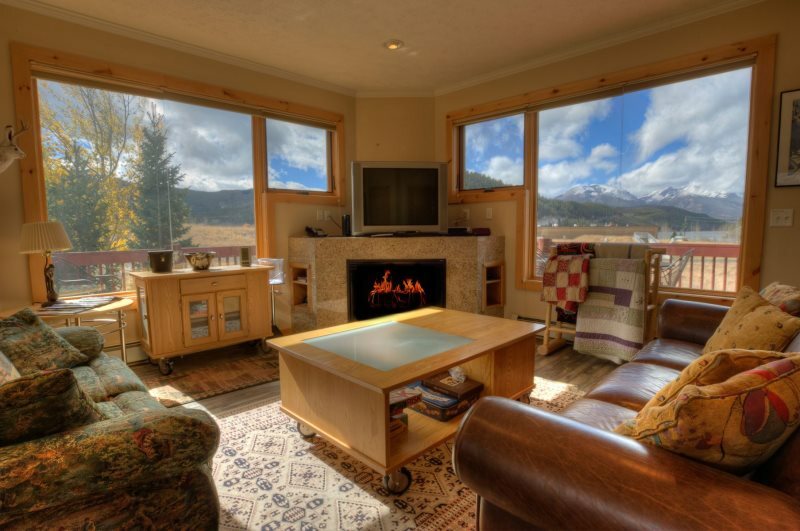 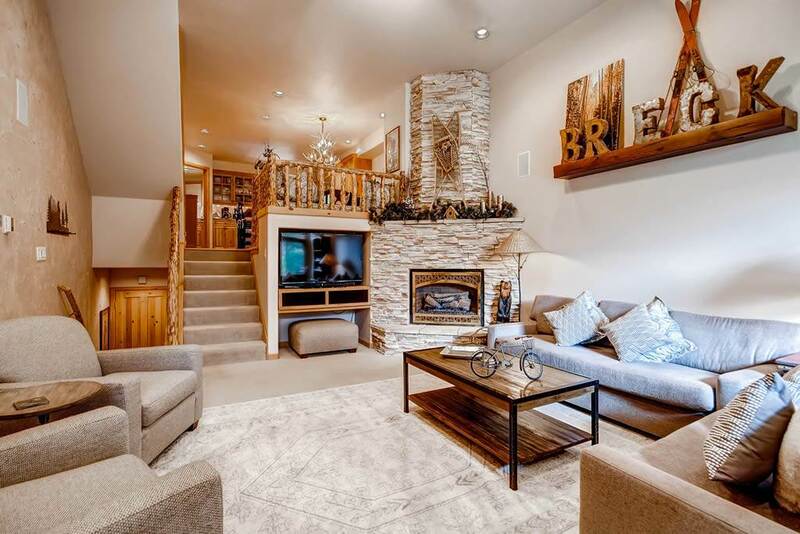 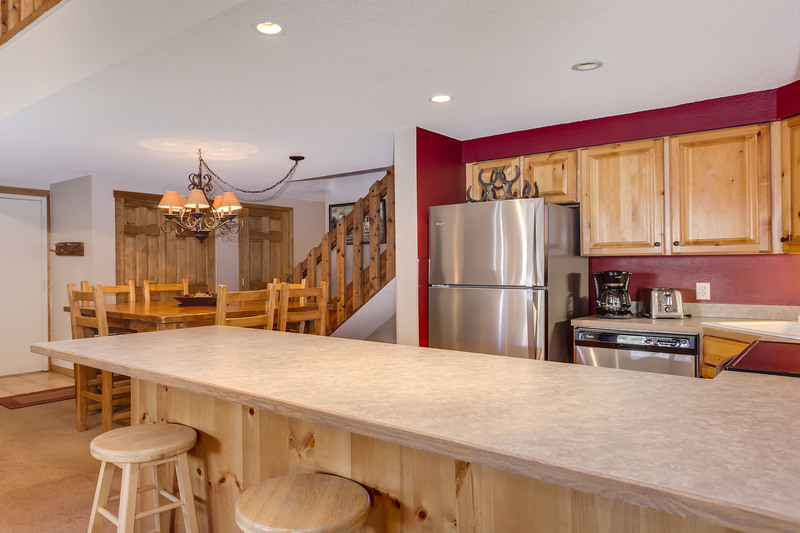 Enjoy all that Summit County has to offer year-round — great skiing, mountain biking and hiking, boating on Lake Dillon and more — then come home and relax in style. 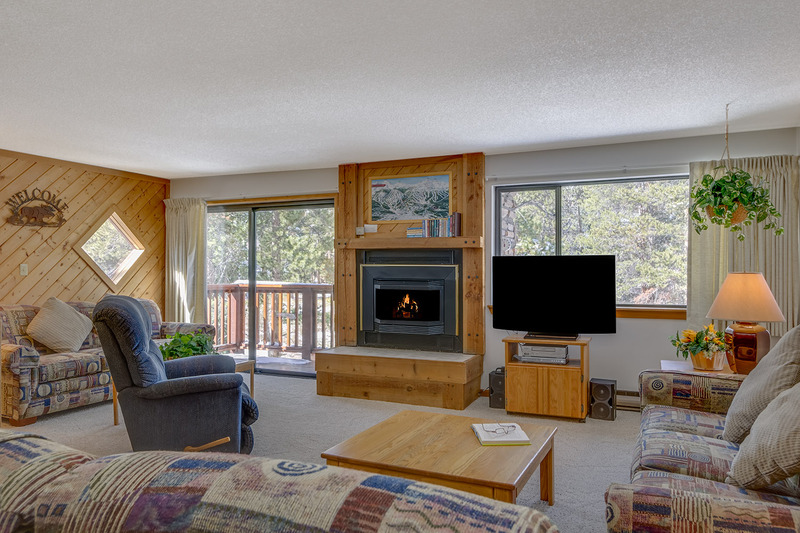 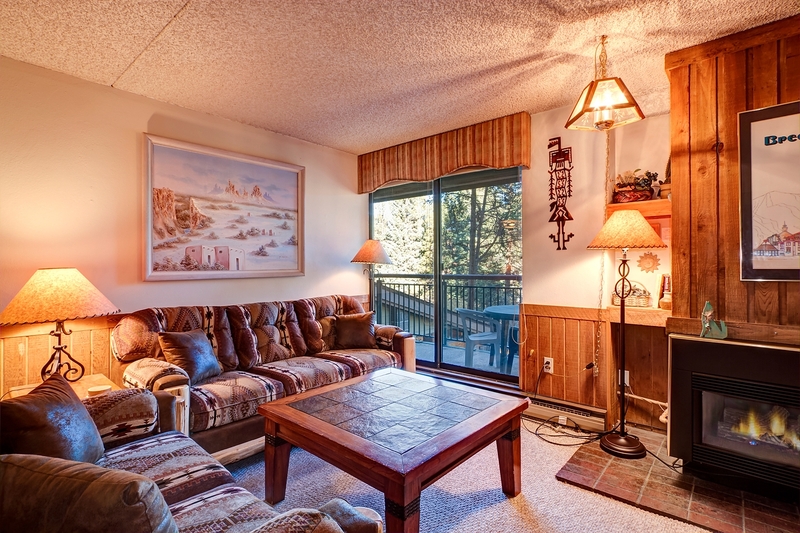 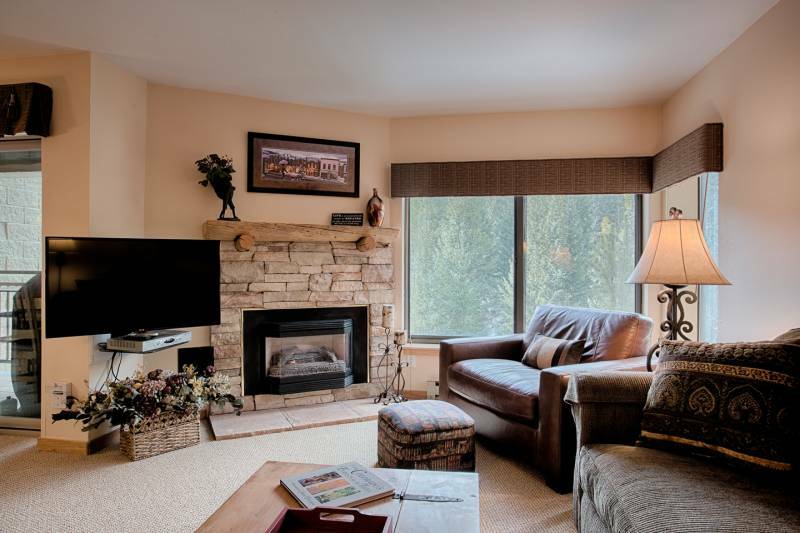 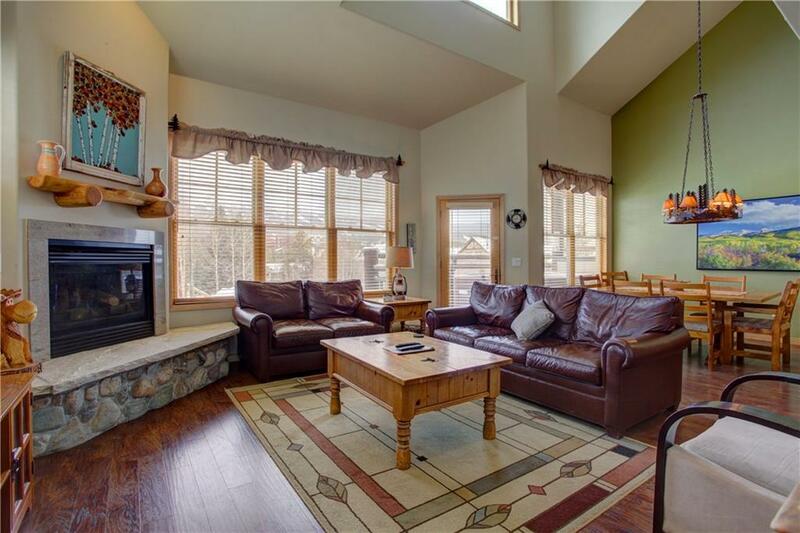 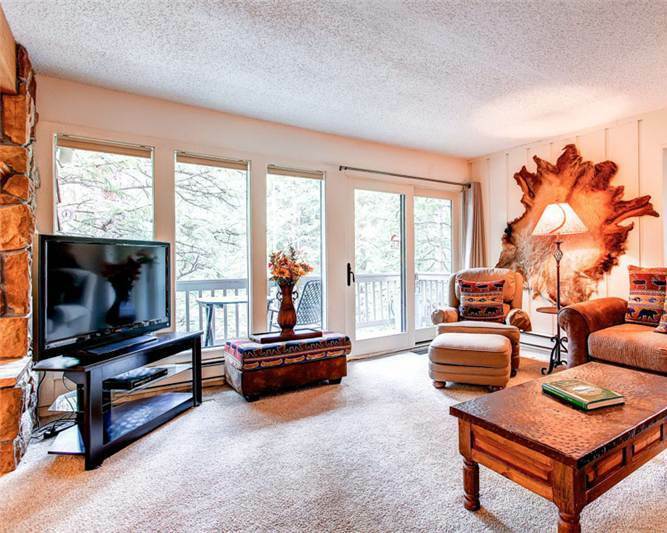 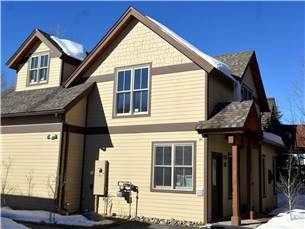 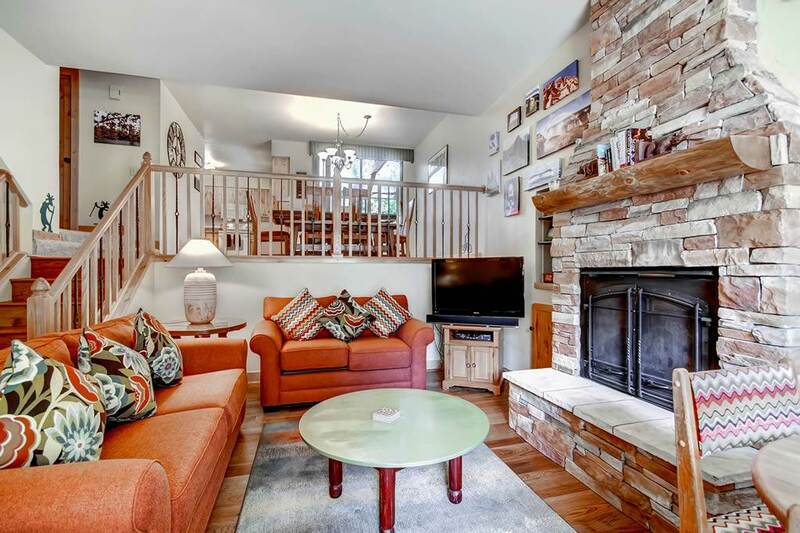 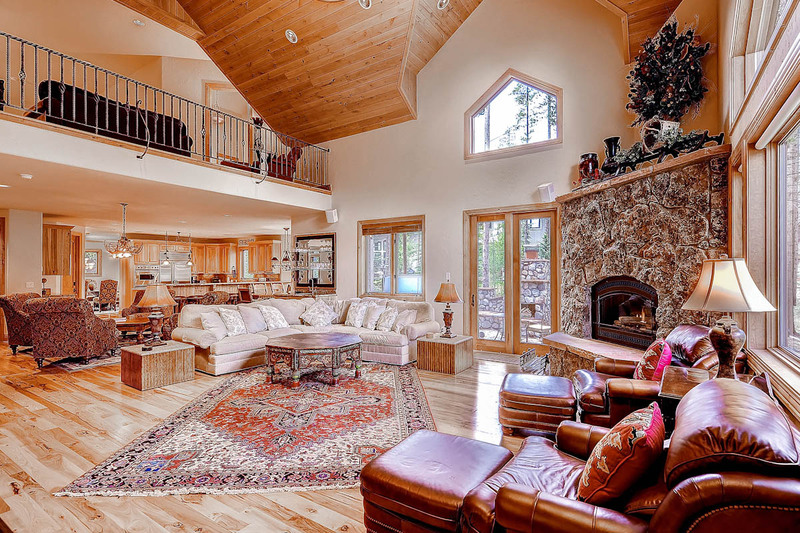 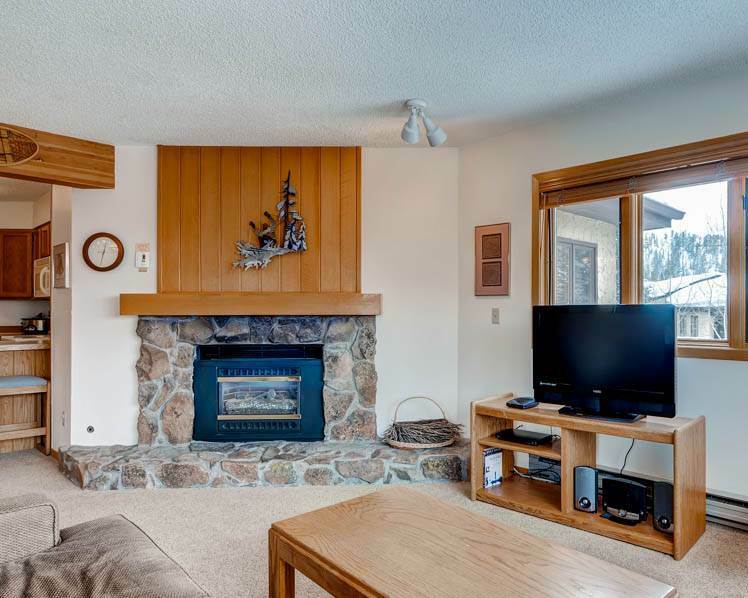 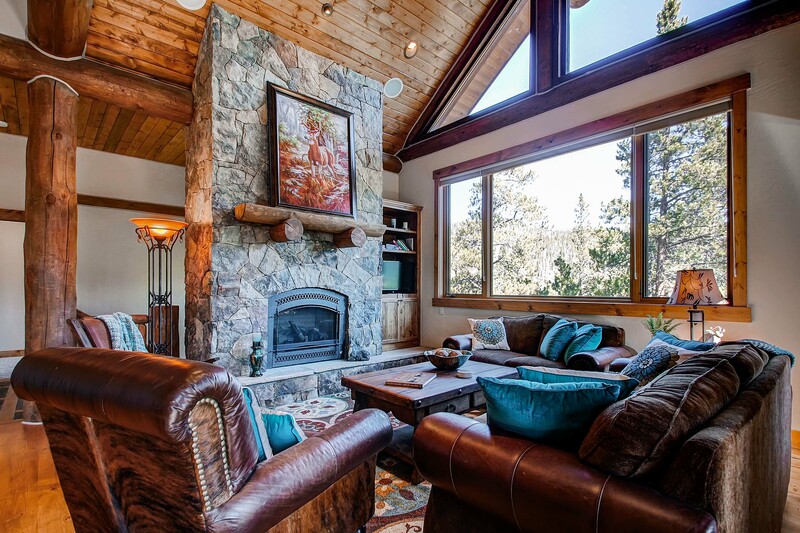 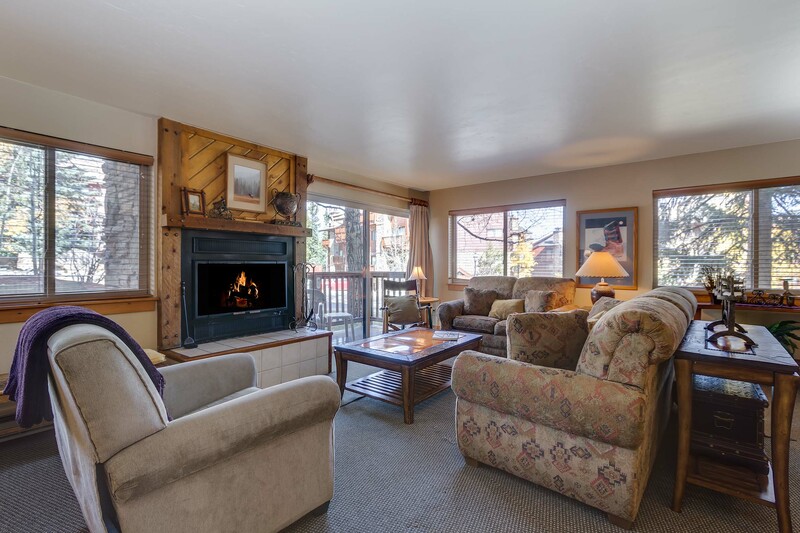 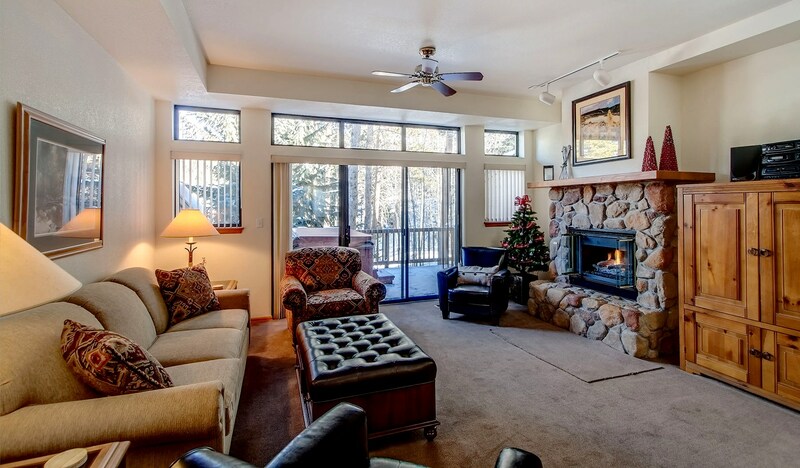 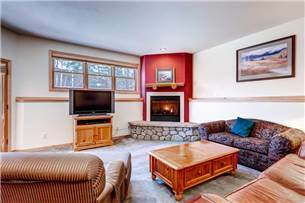 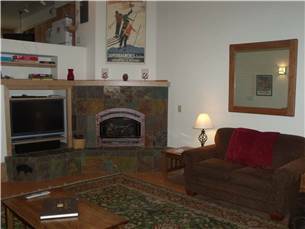 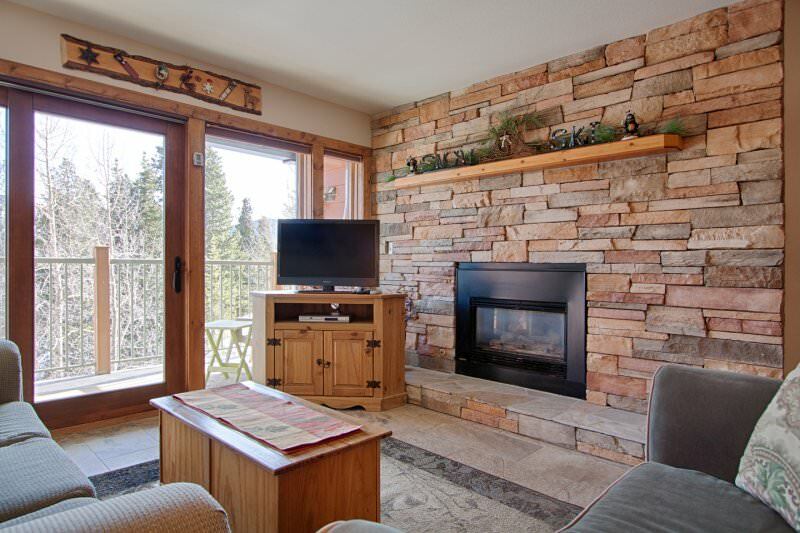 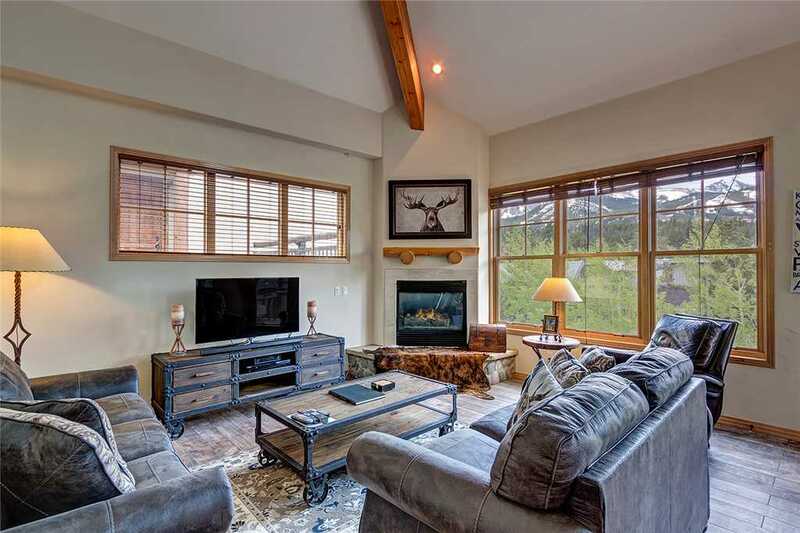 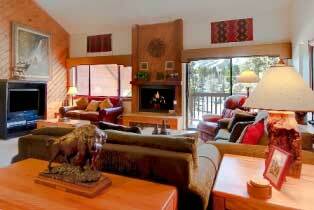 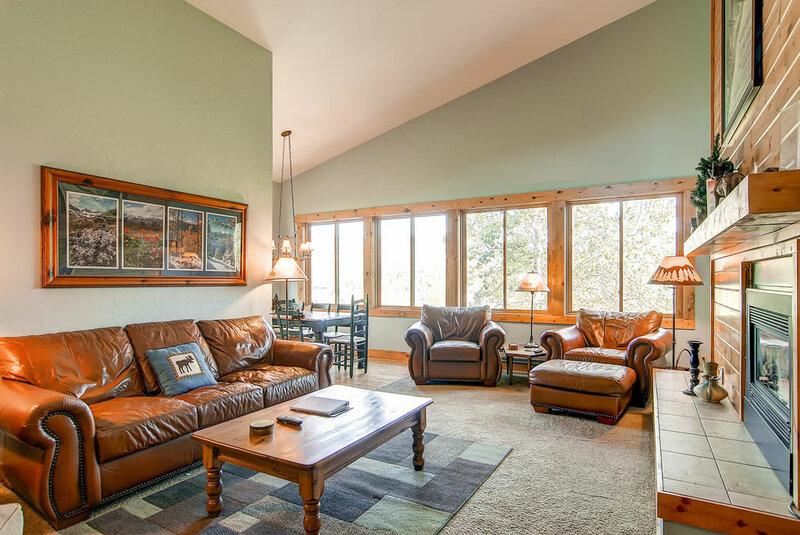 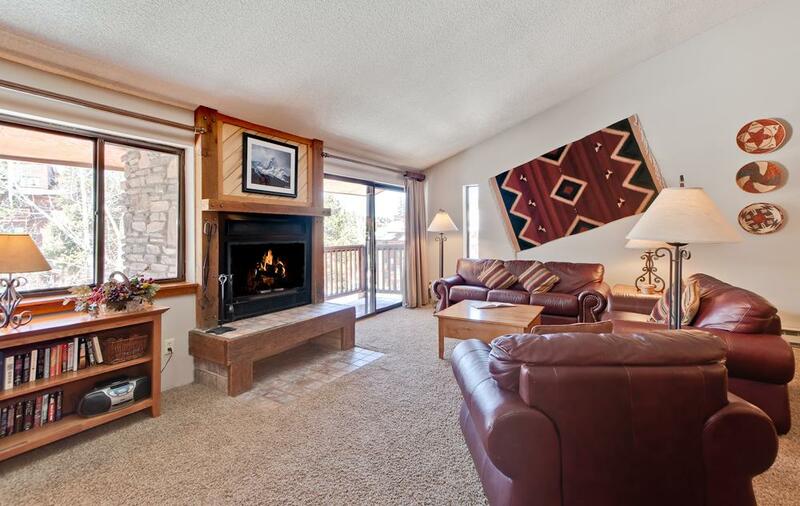 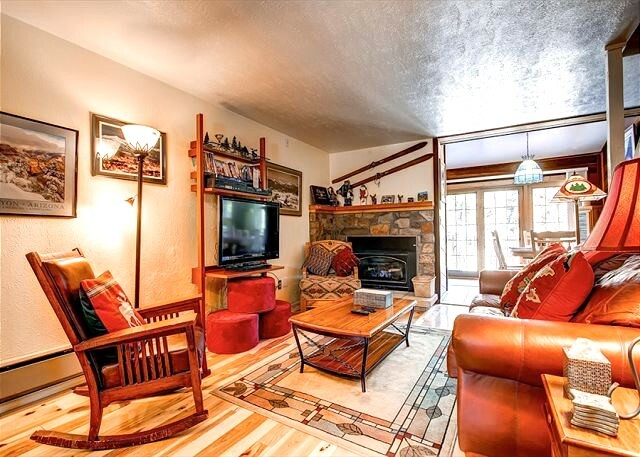 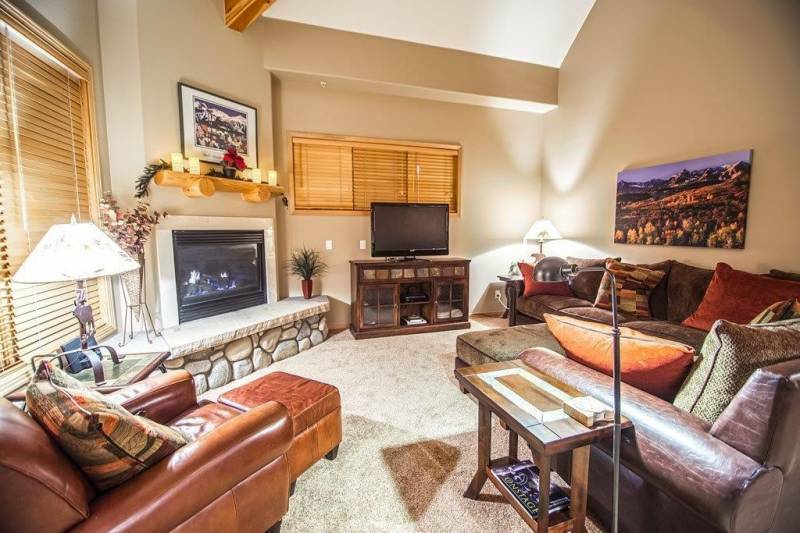 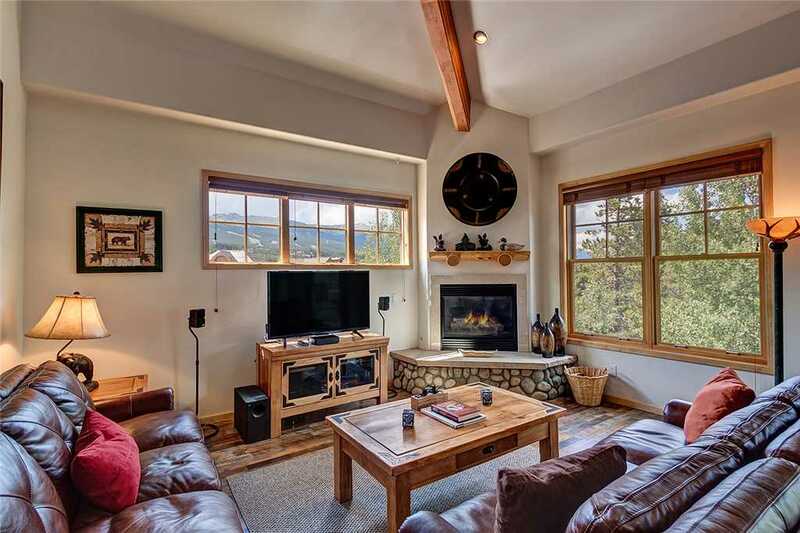 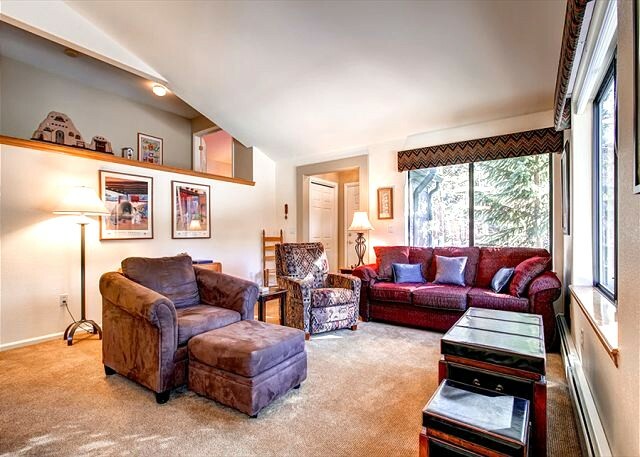 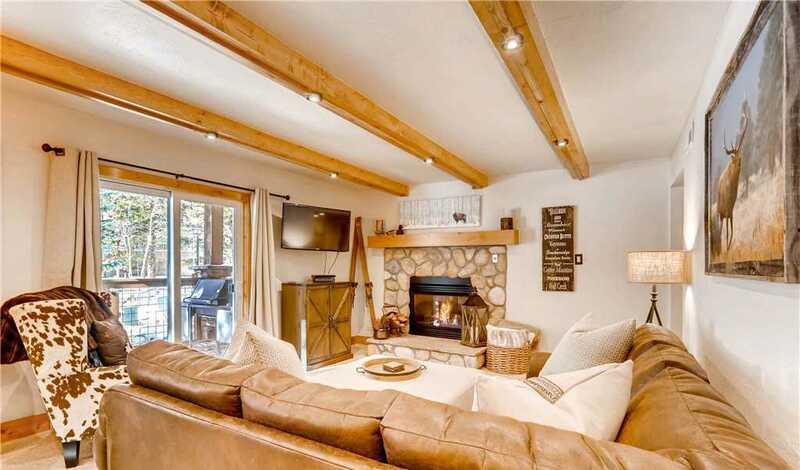 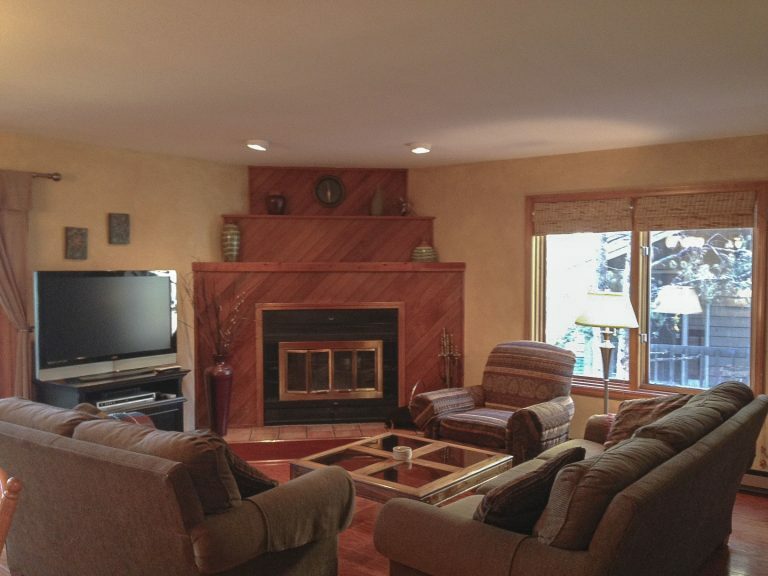 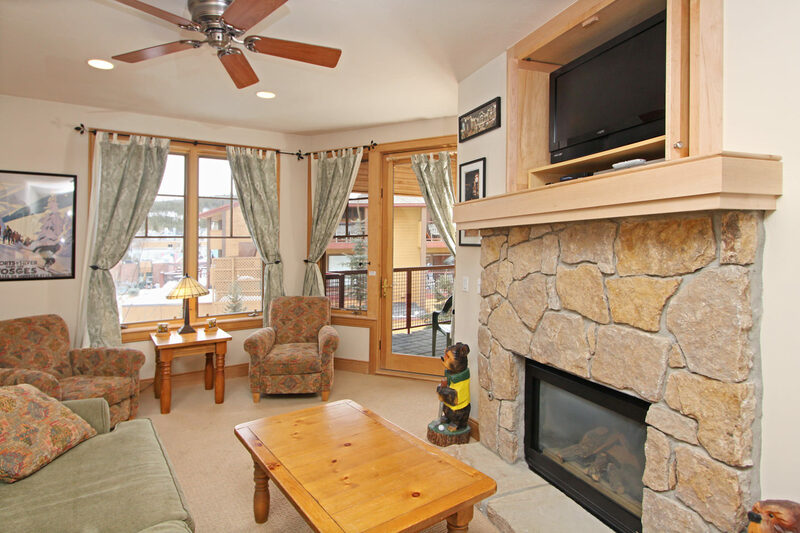 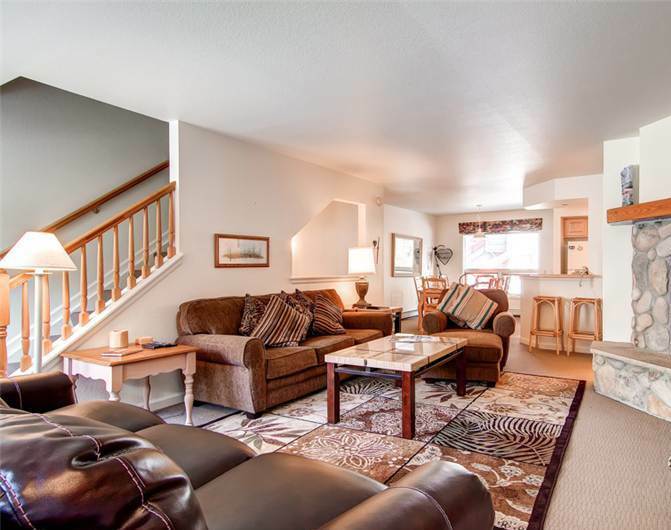 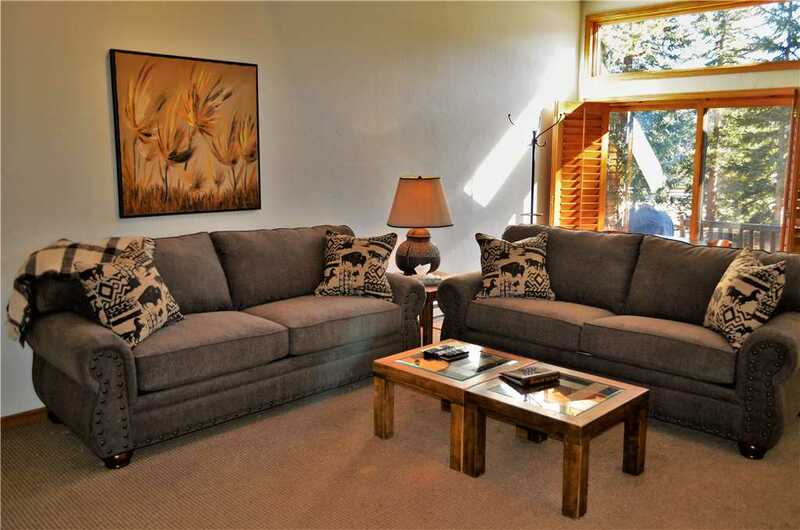 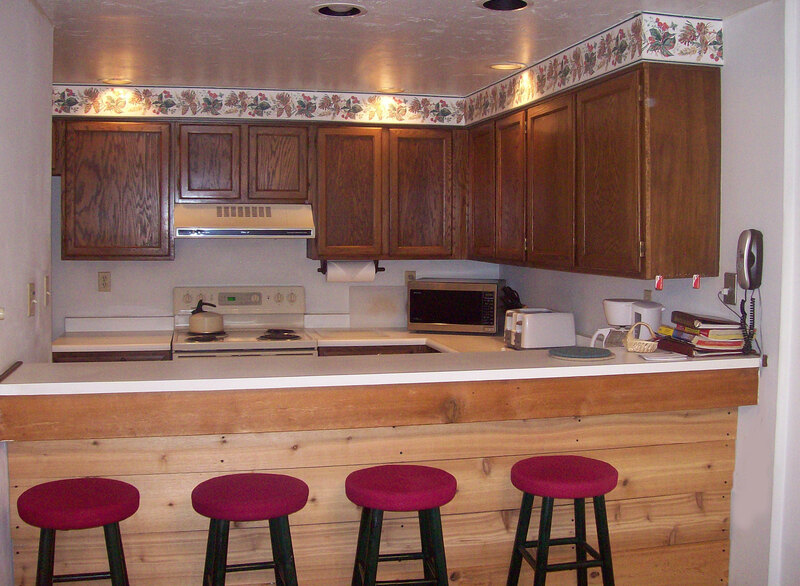 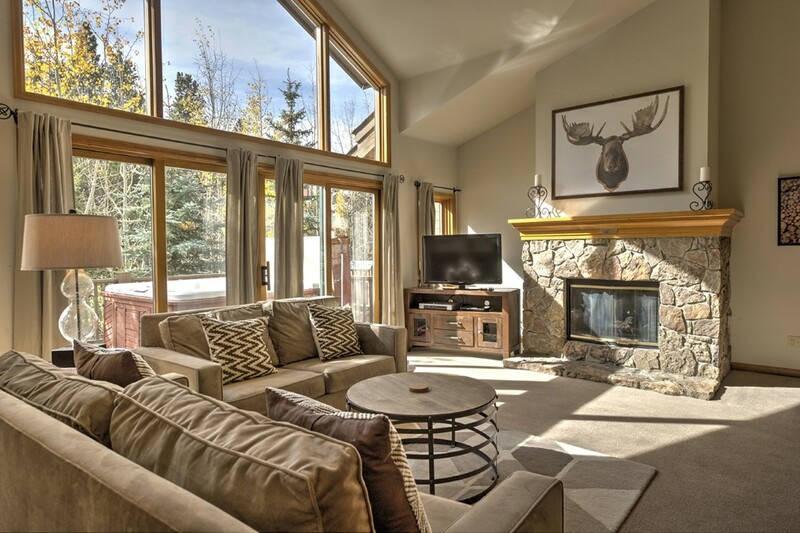 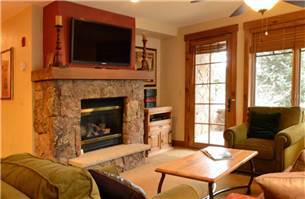 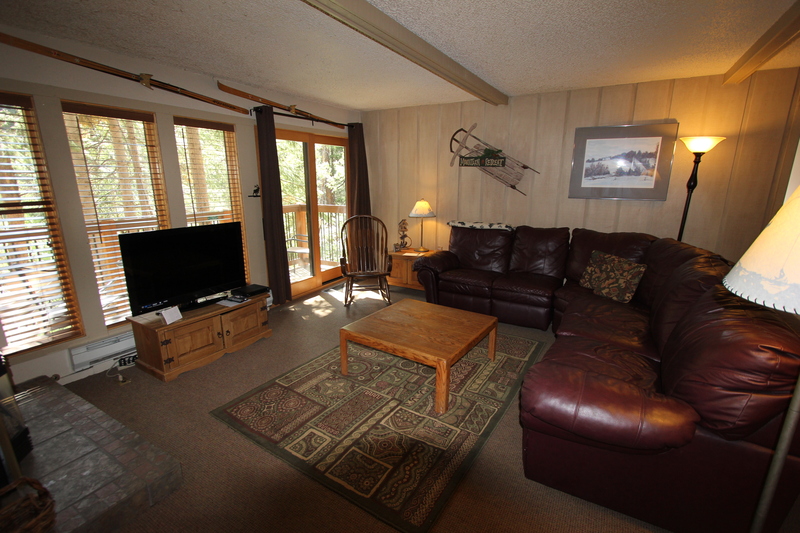 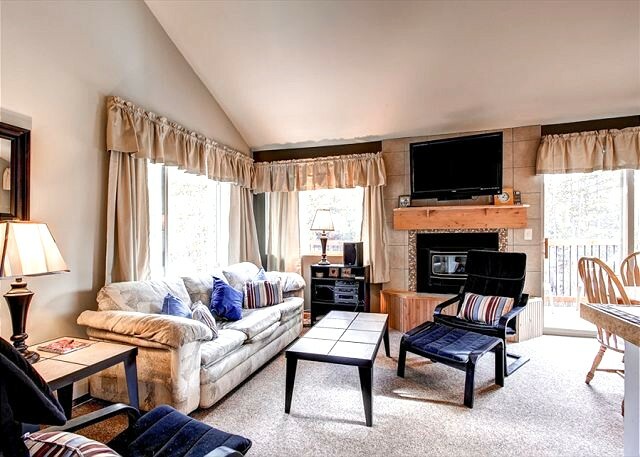 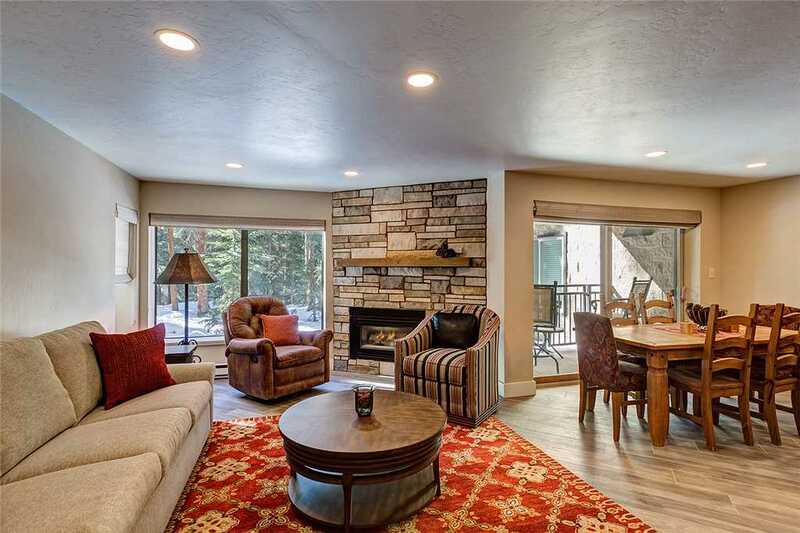 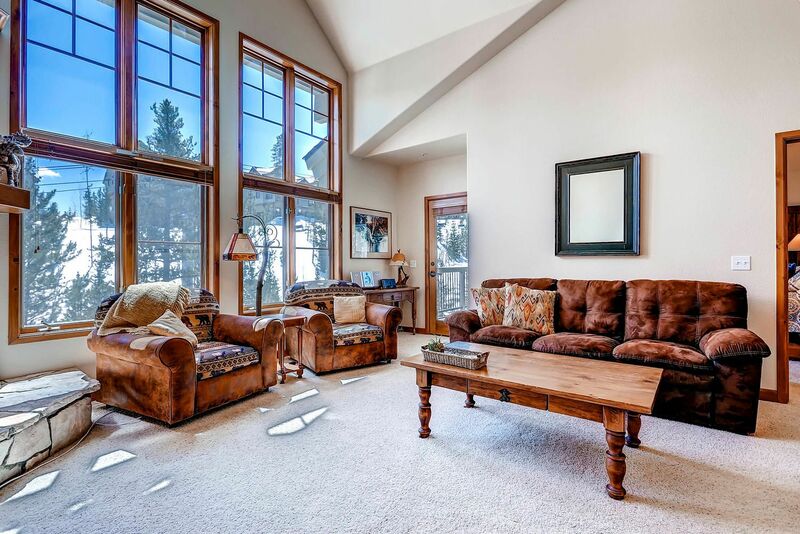 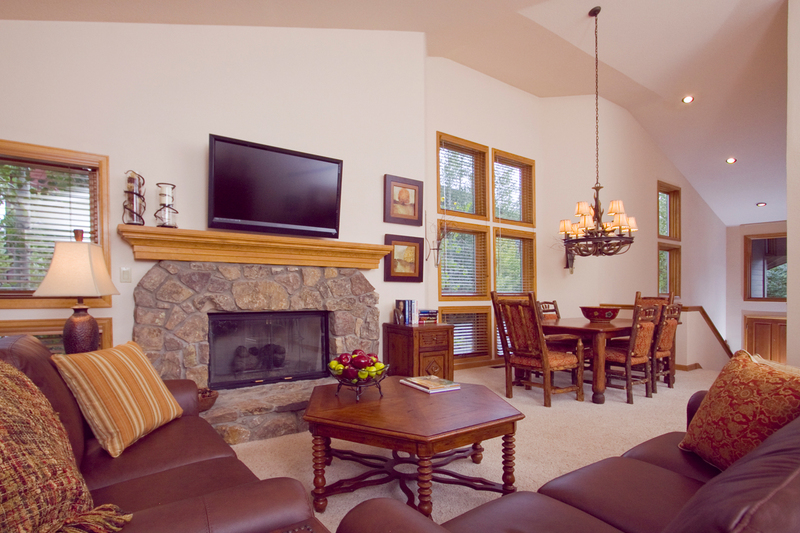 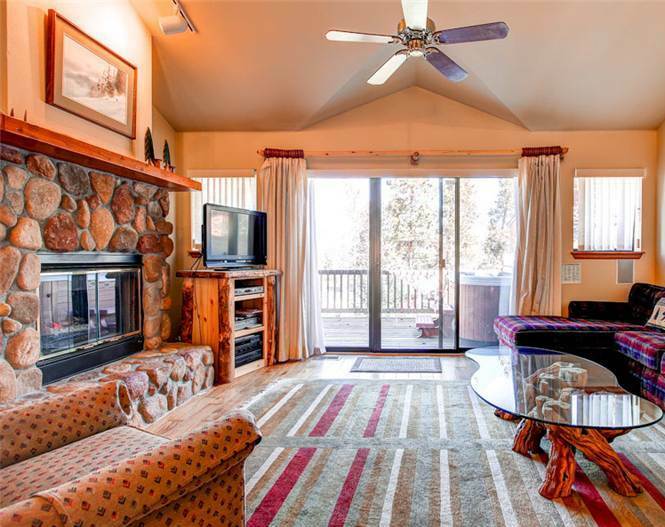 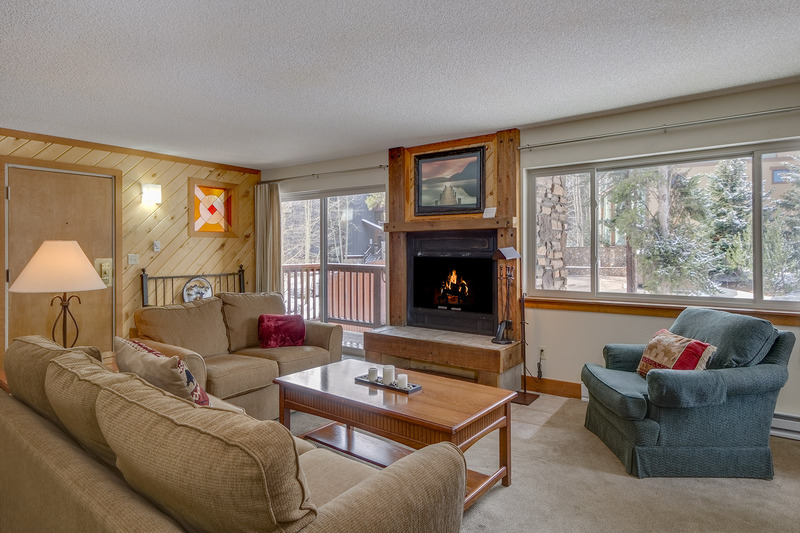 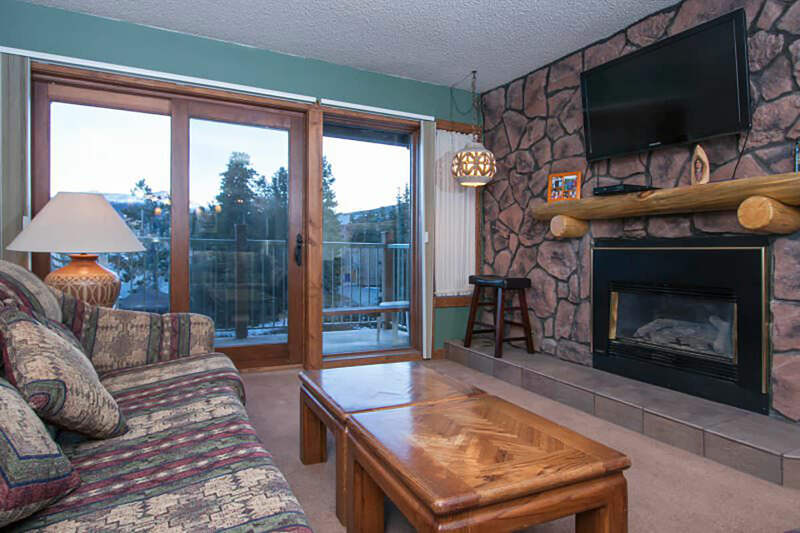 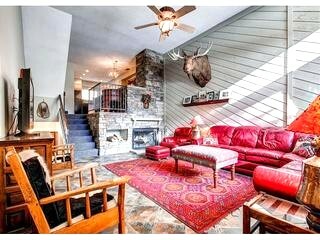 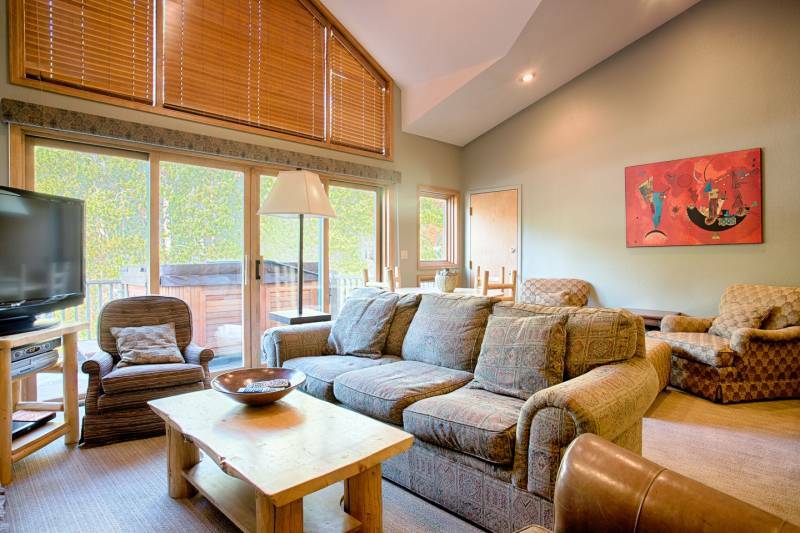 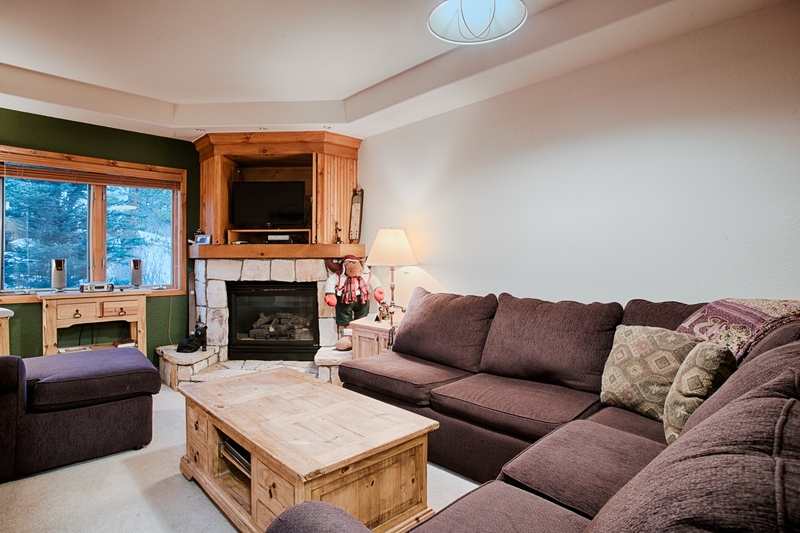 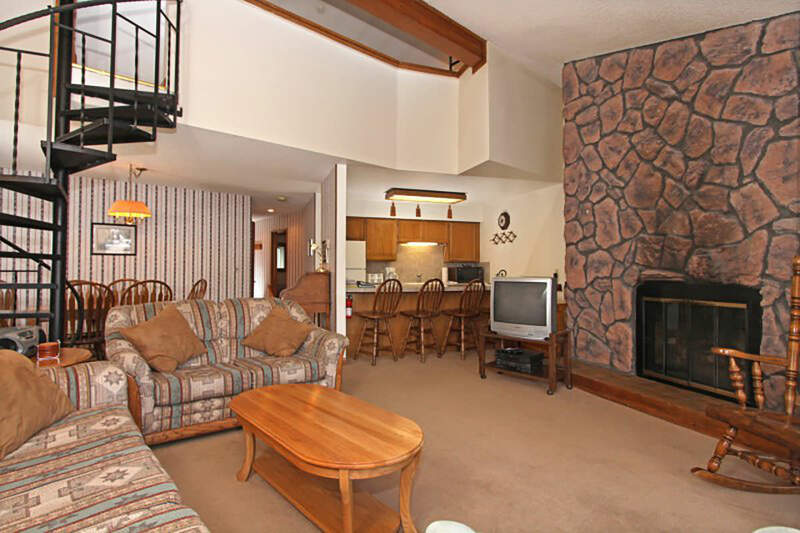 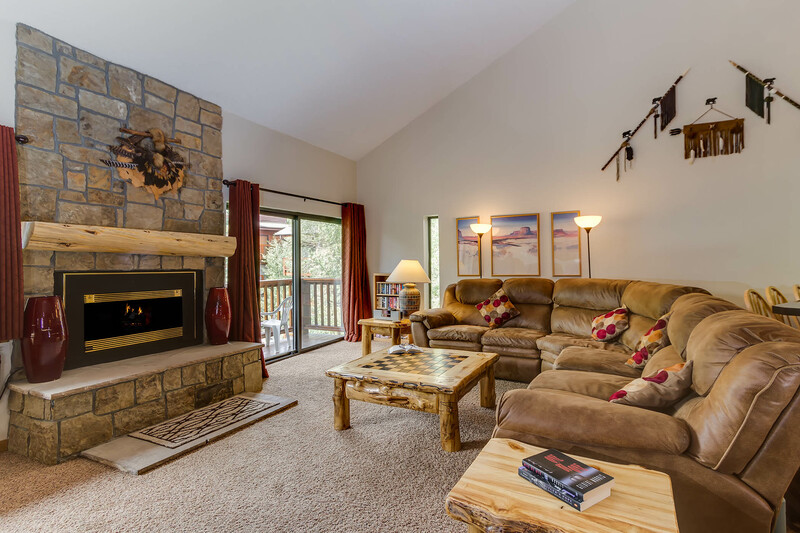 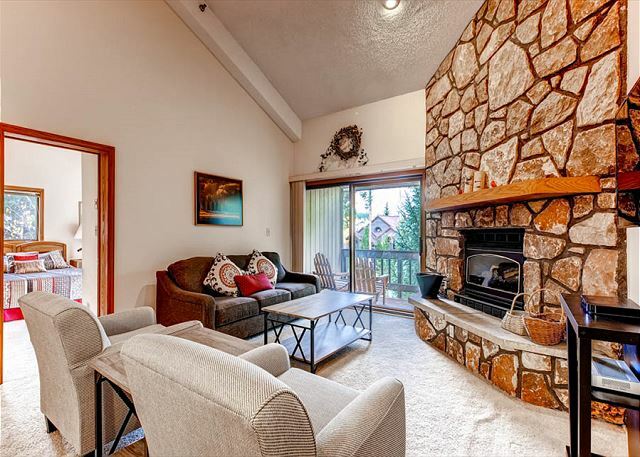 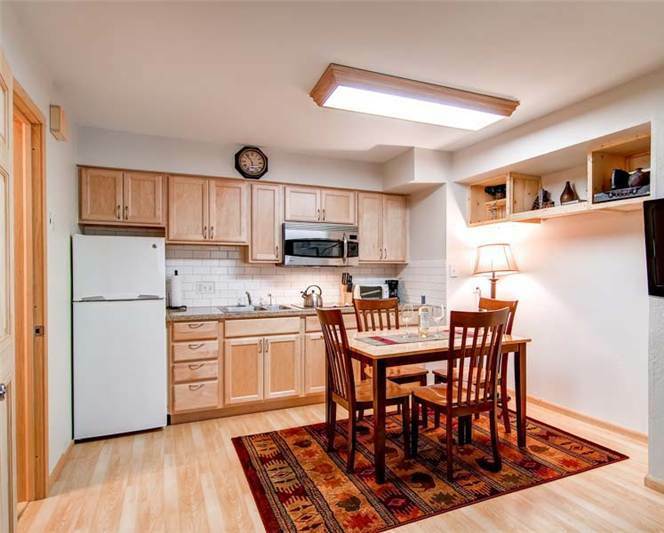 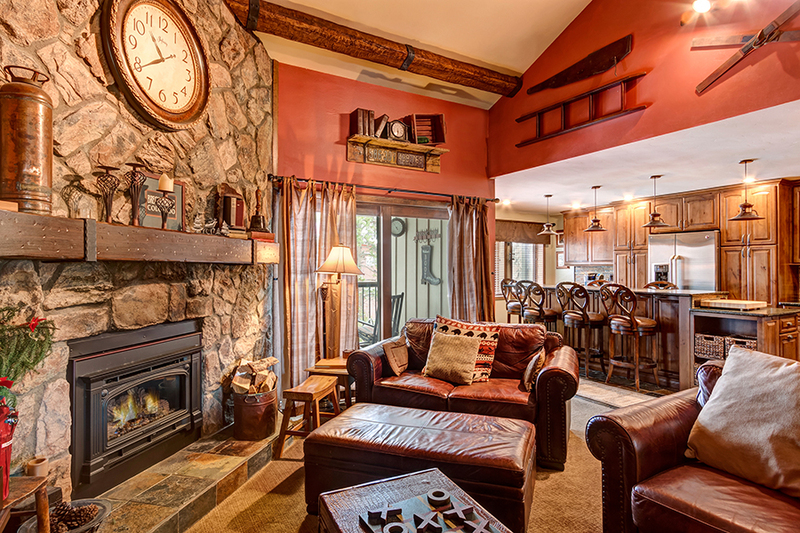 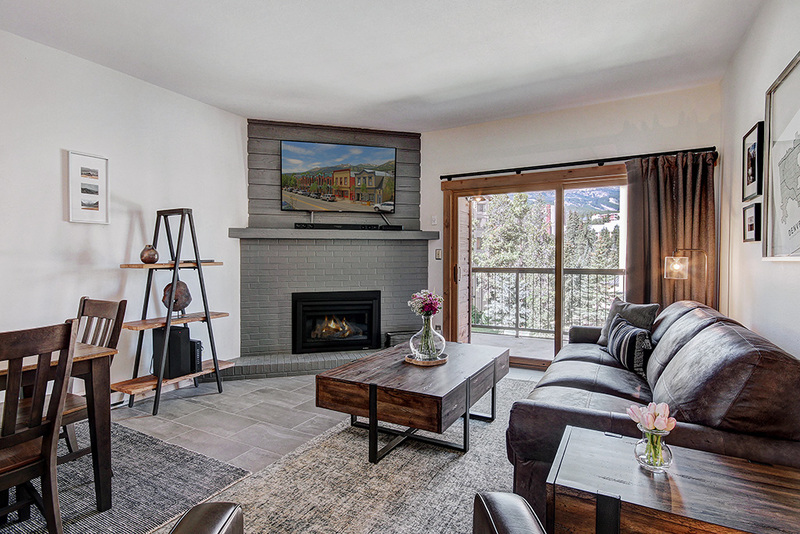 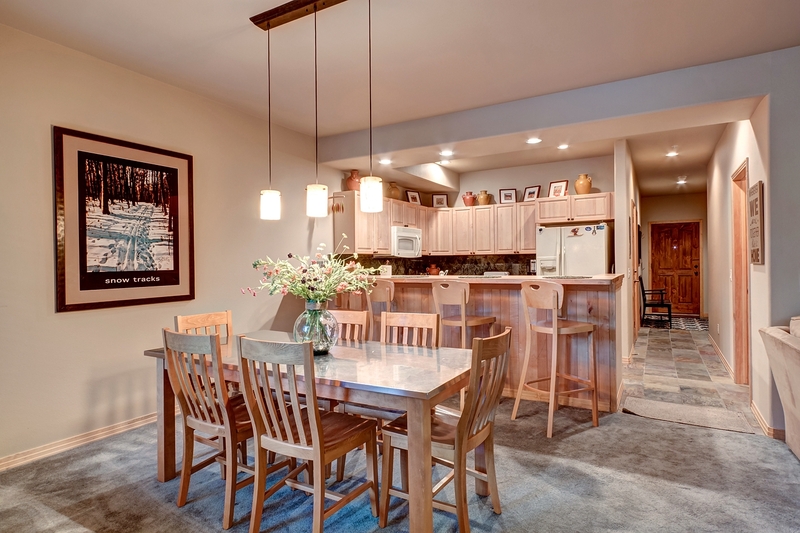 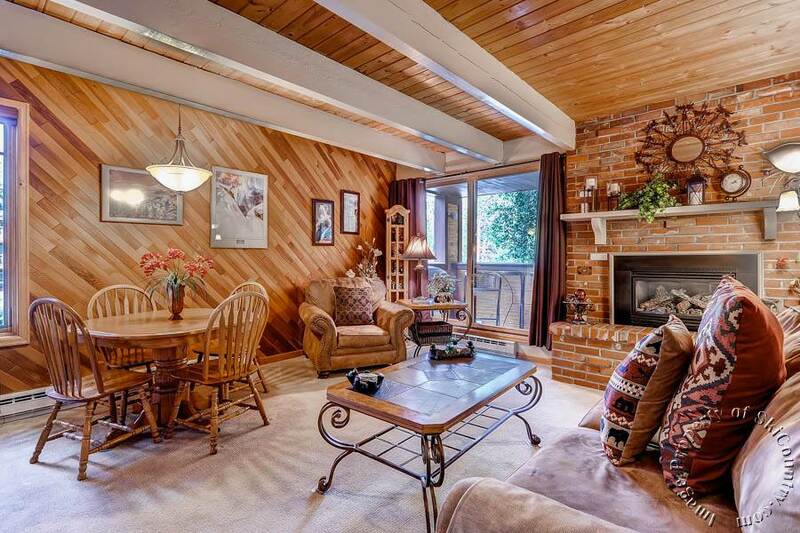 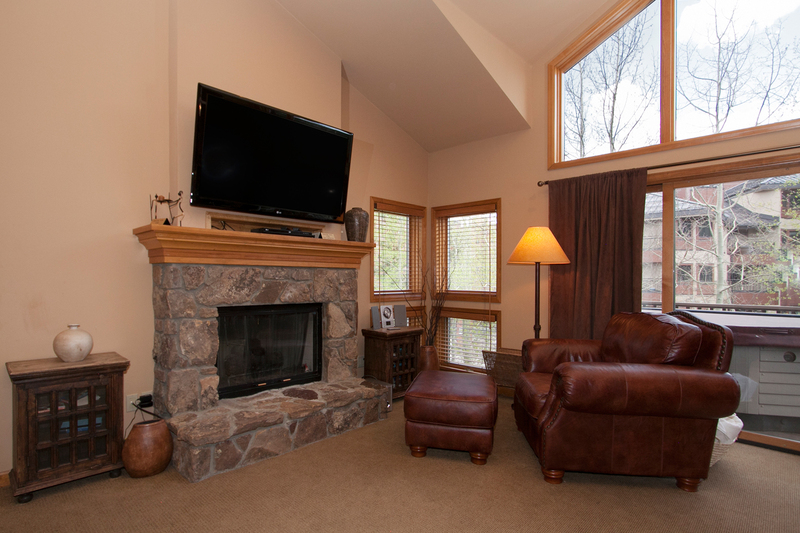 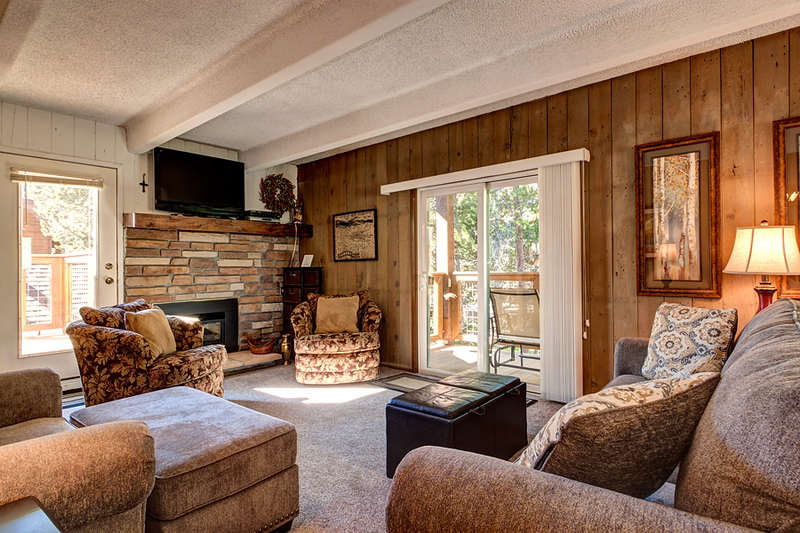 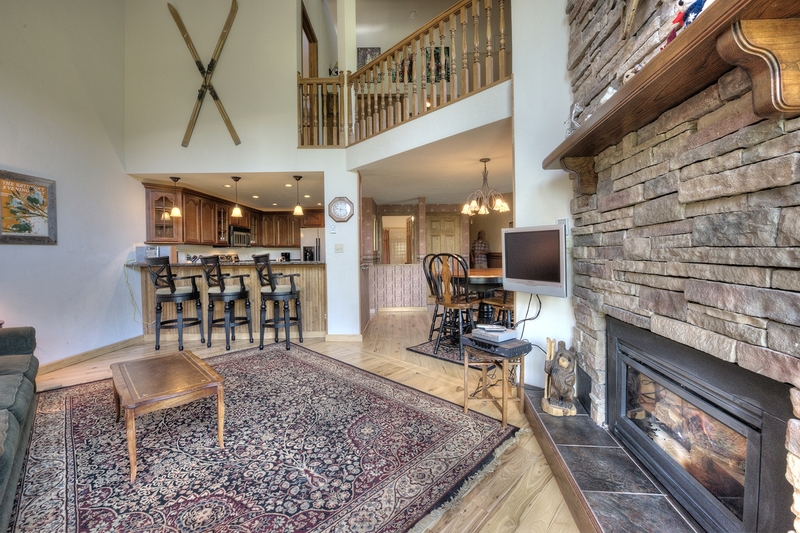 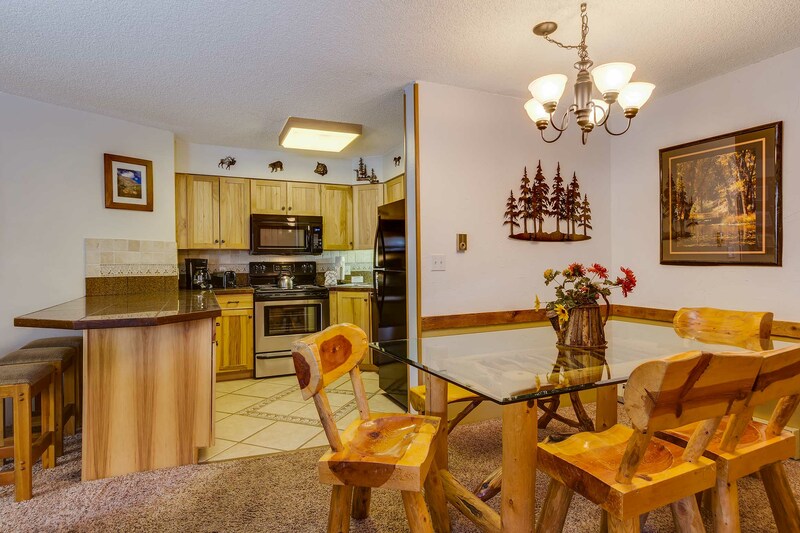 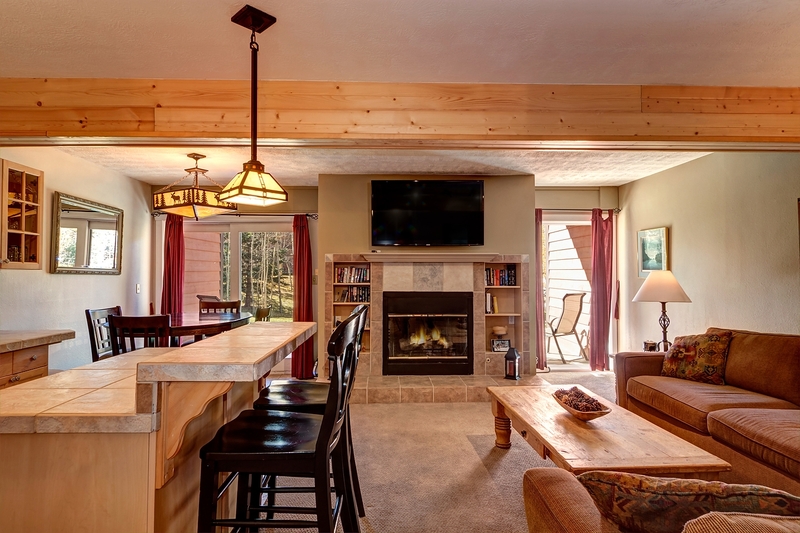 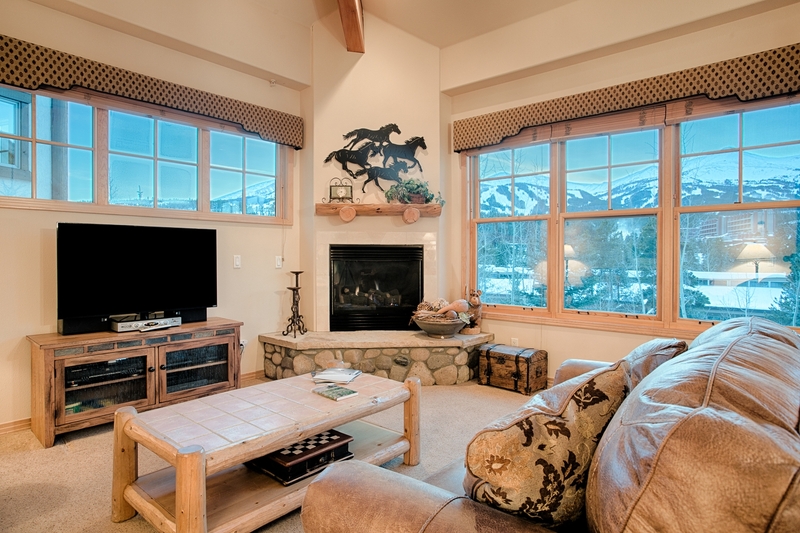 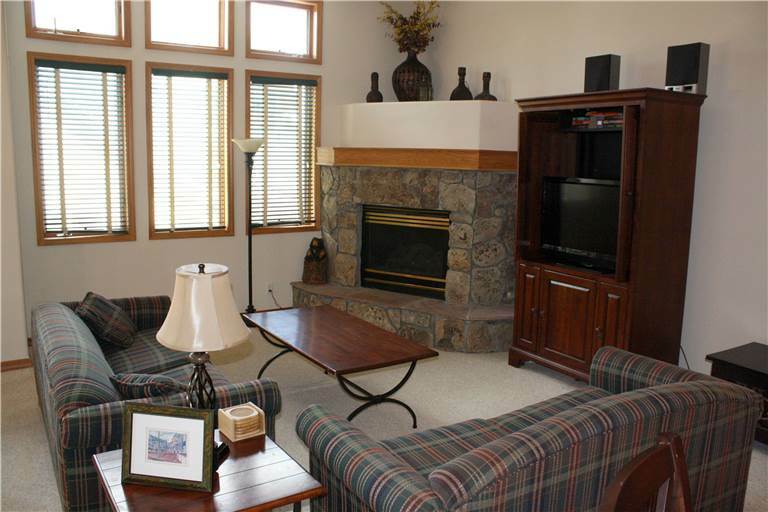 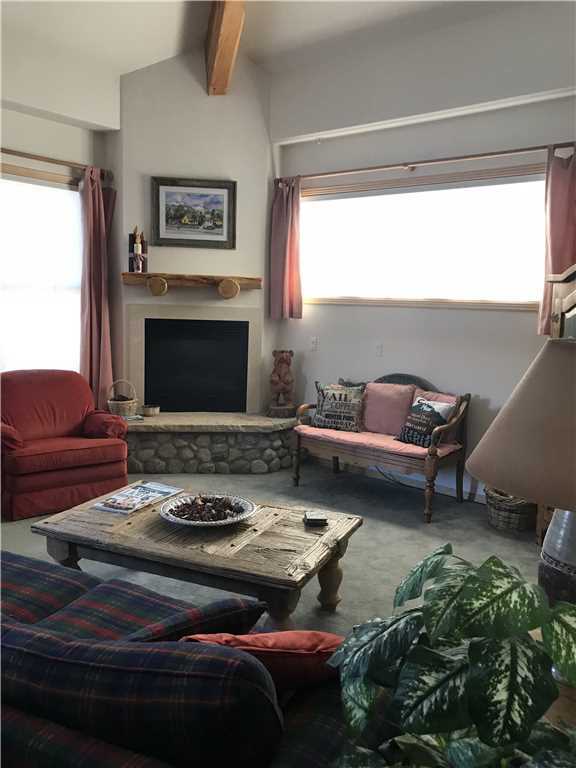 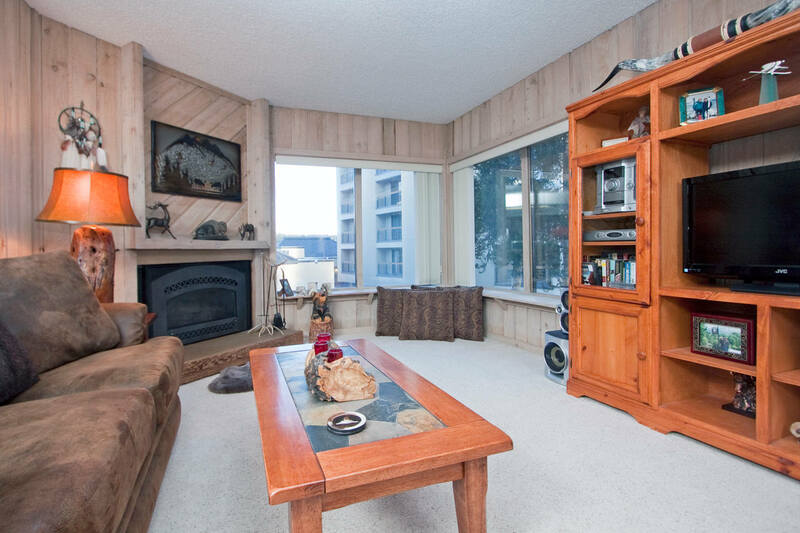 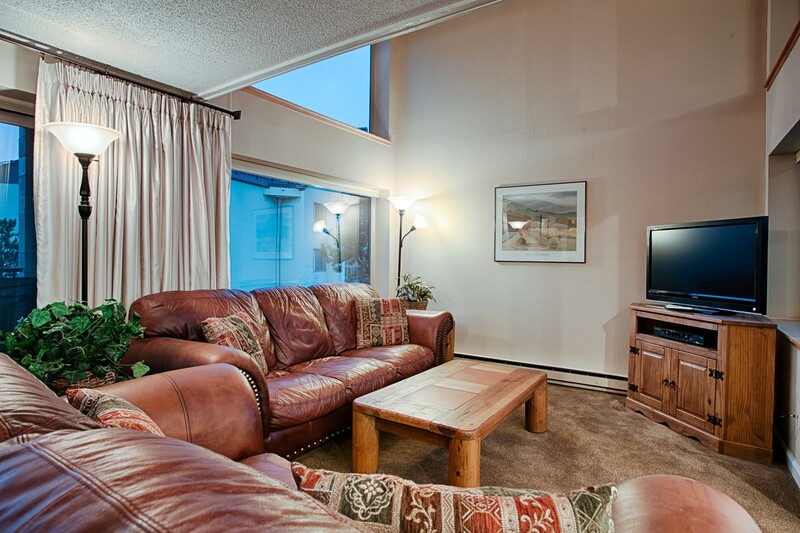 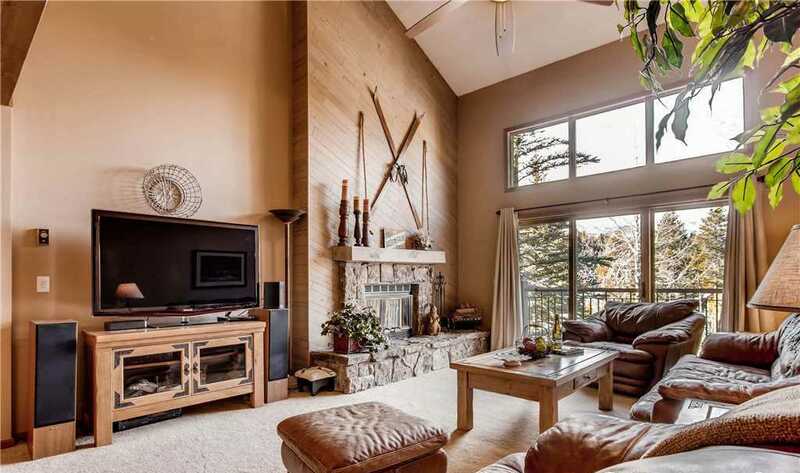 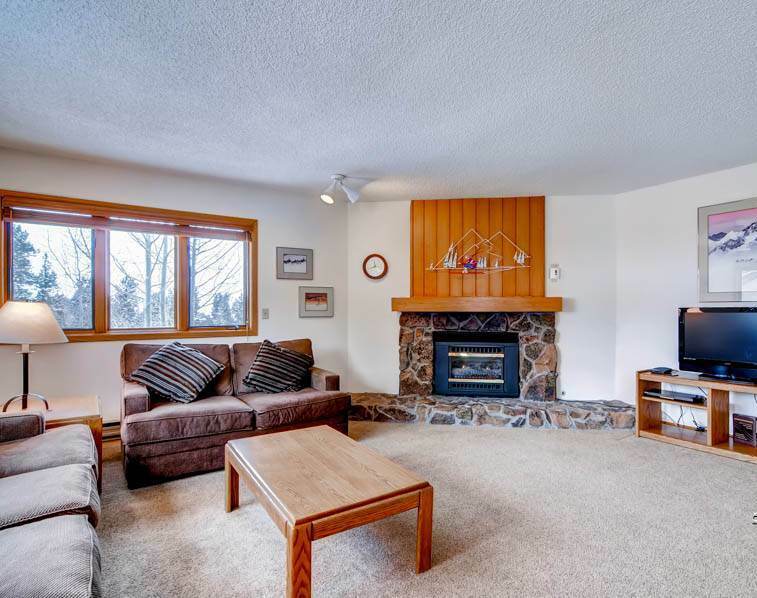 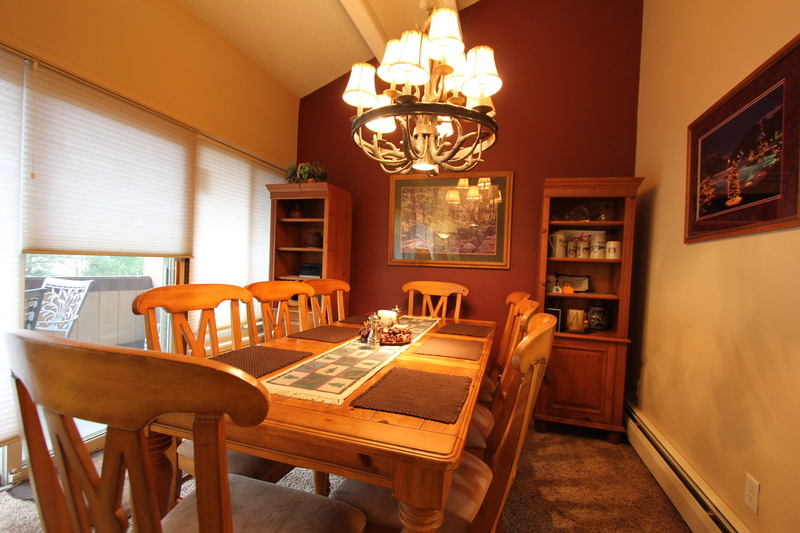 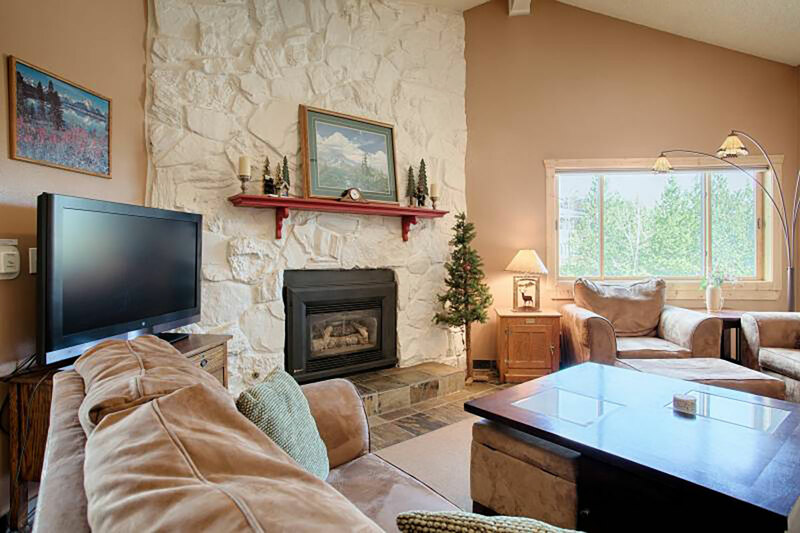 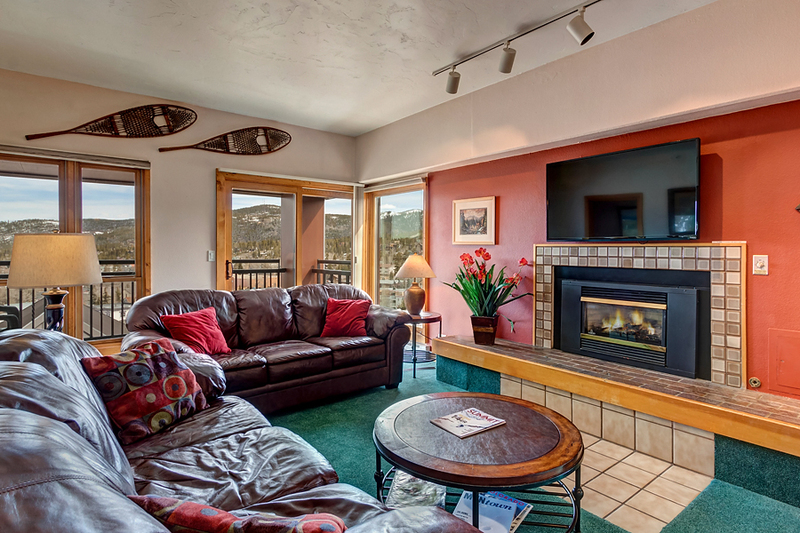 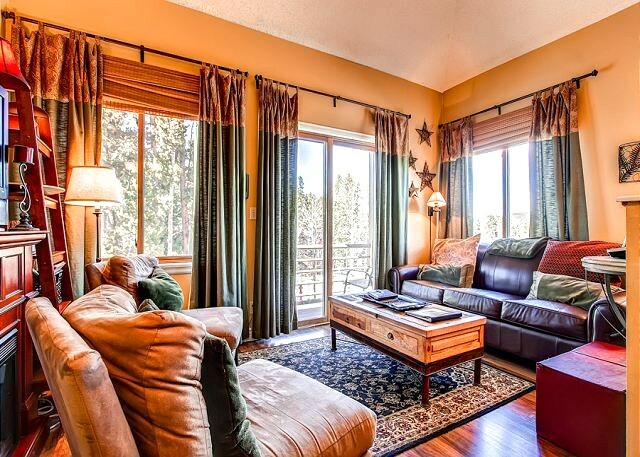 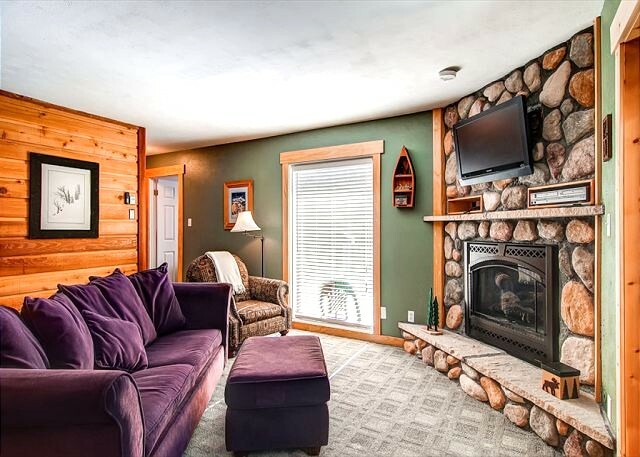 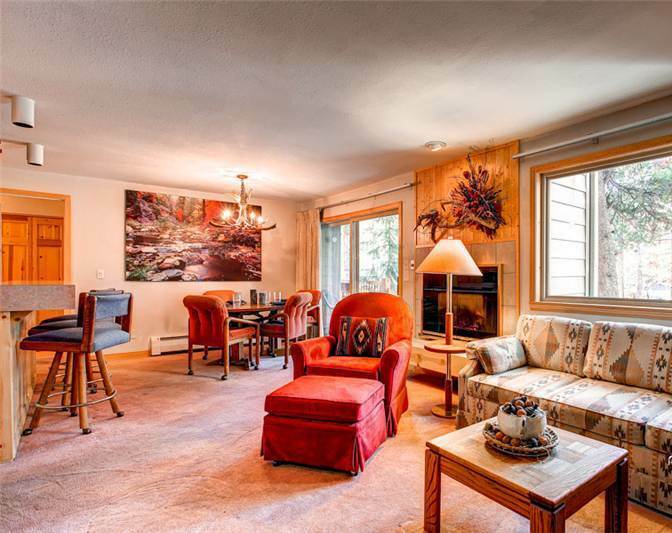 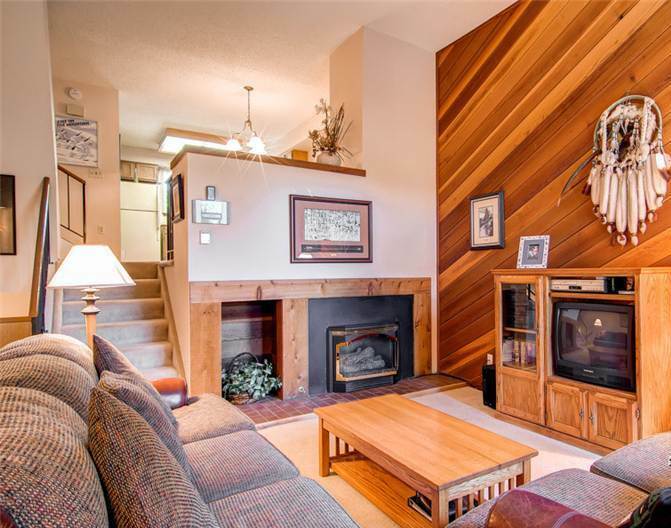 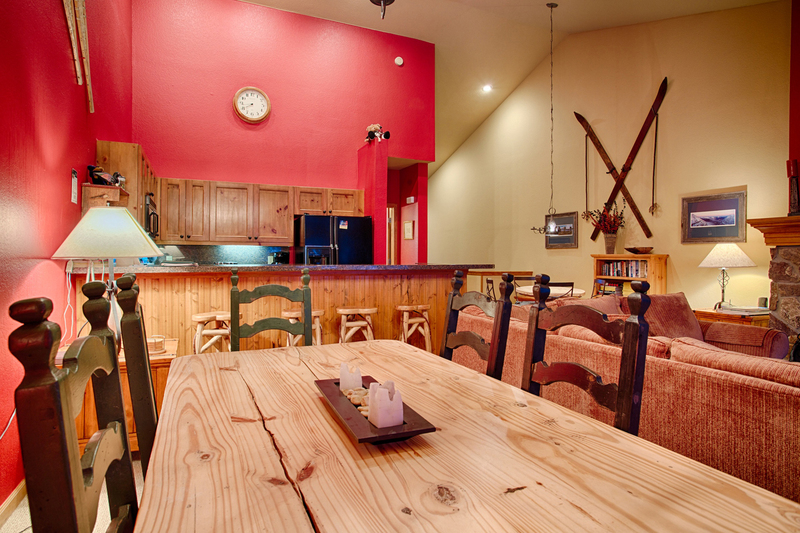 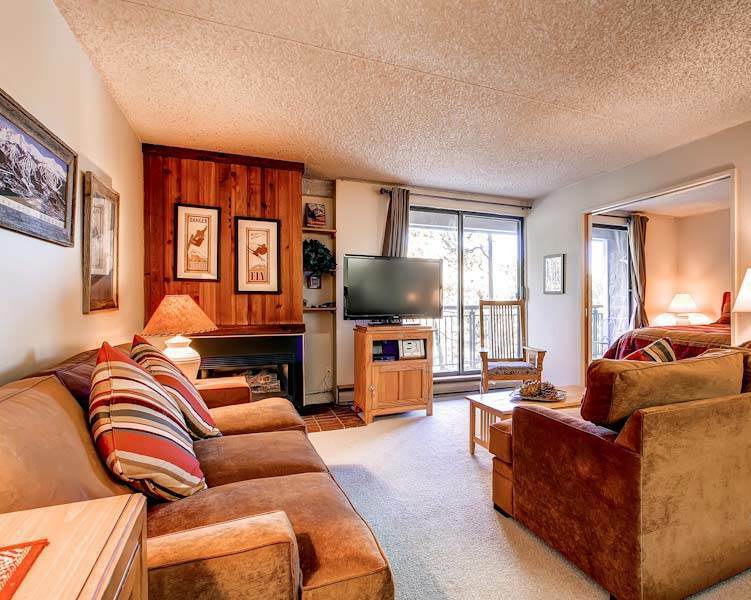 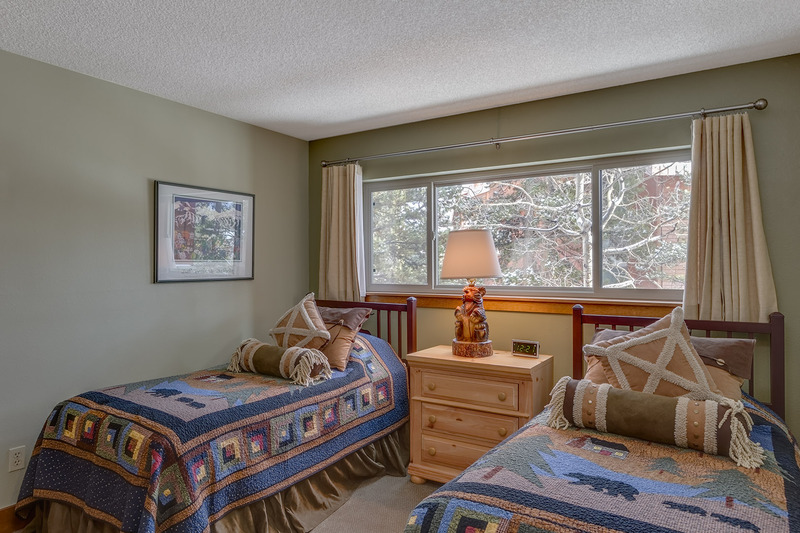 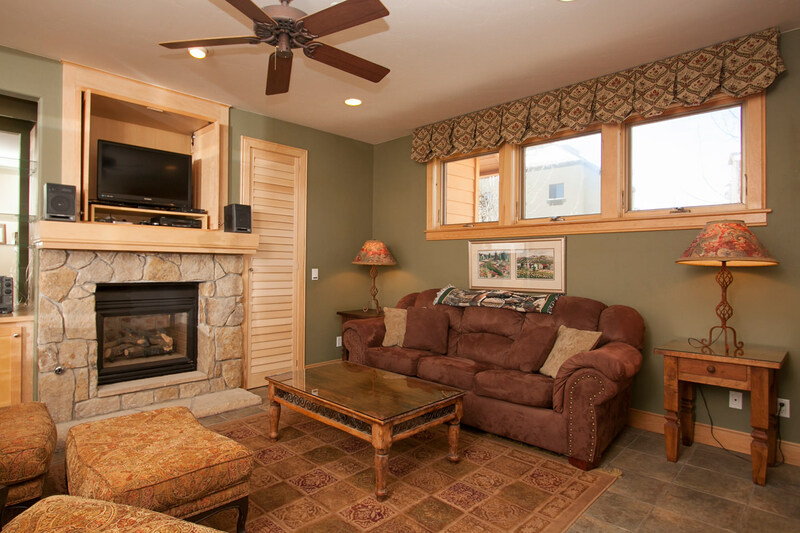 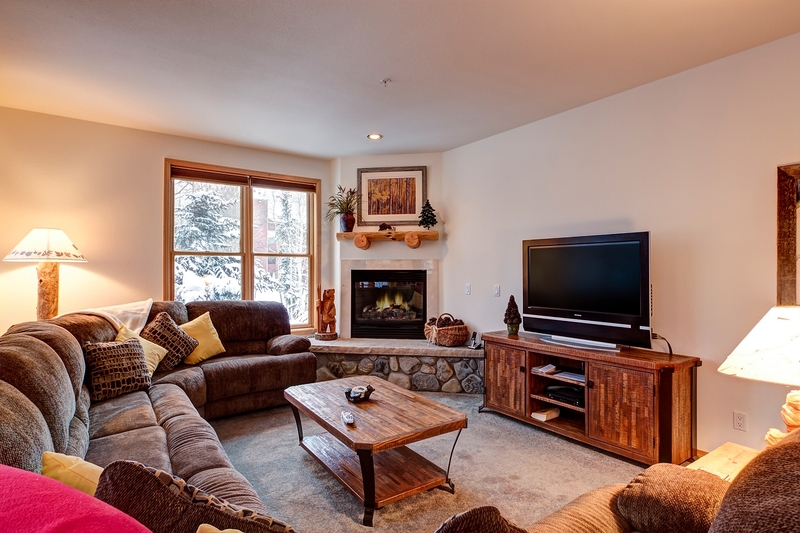 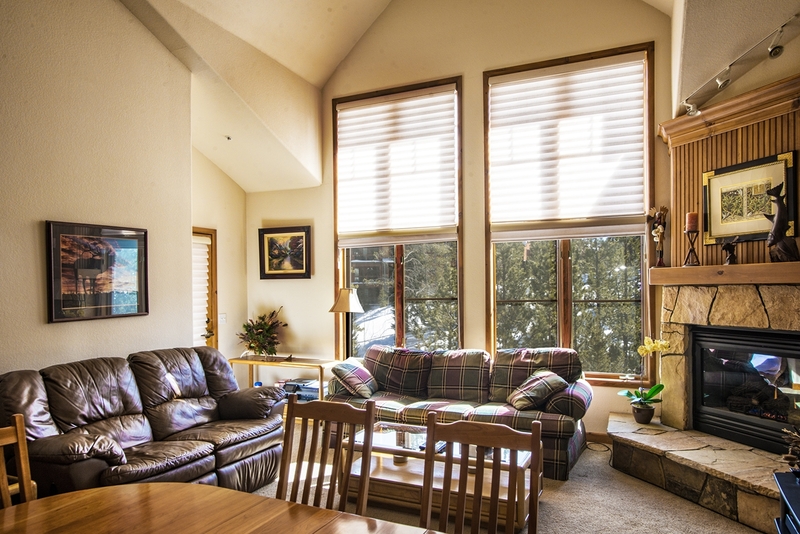 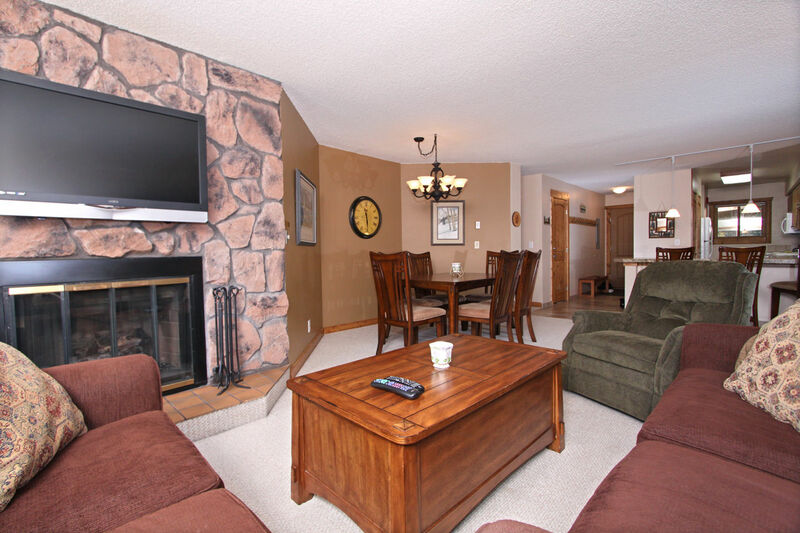 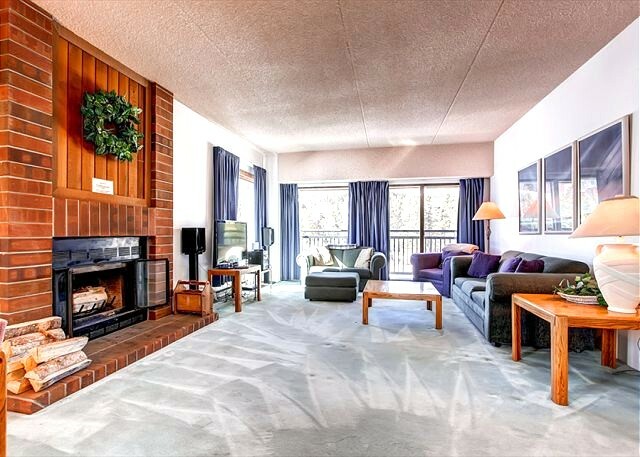 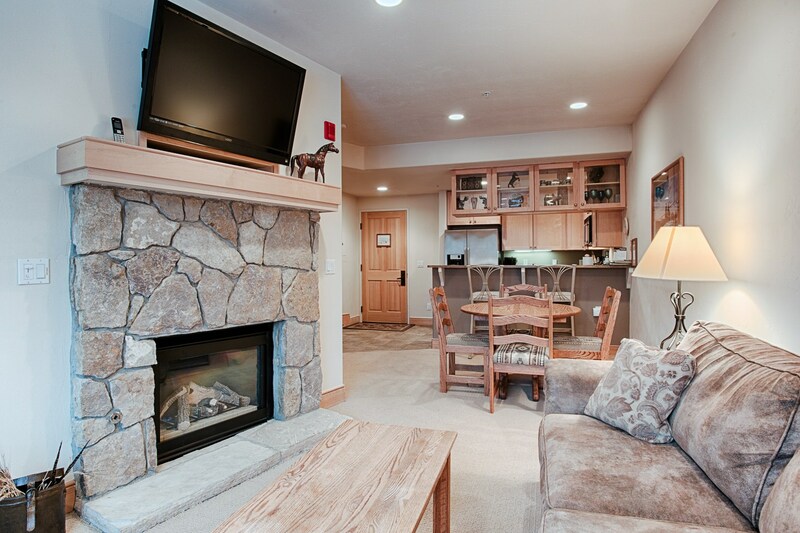 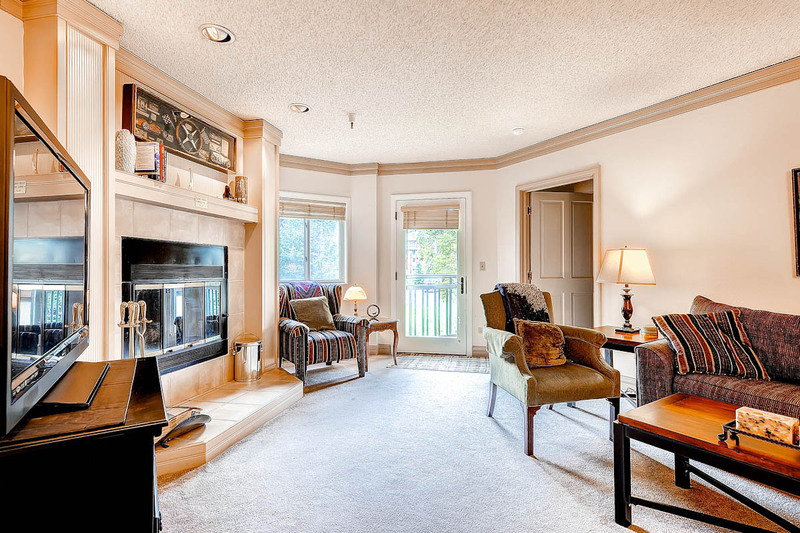 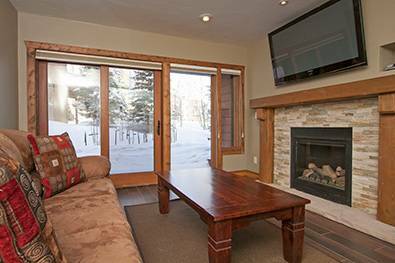 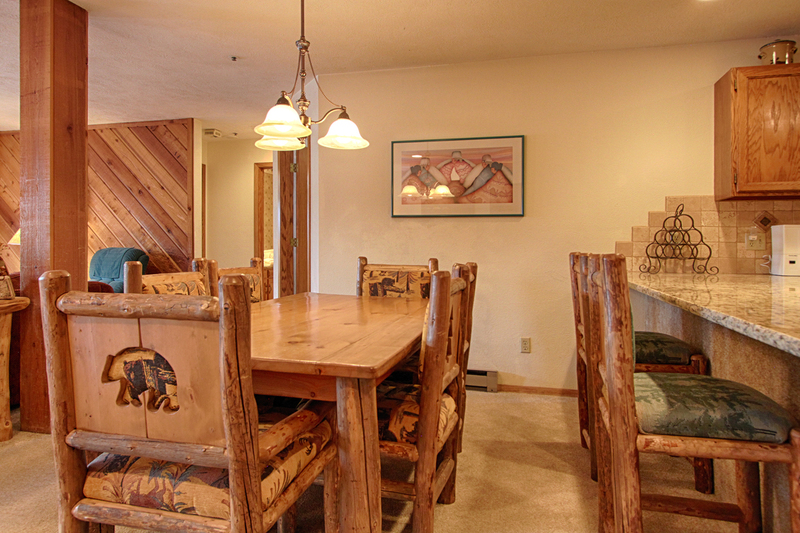 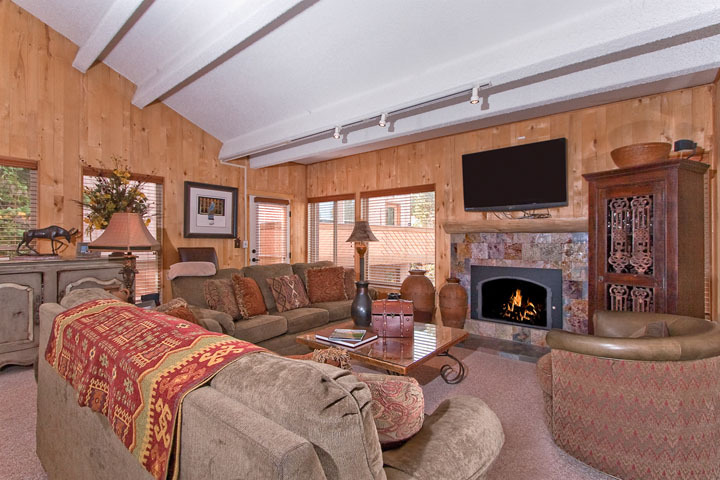 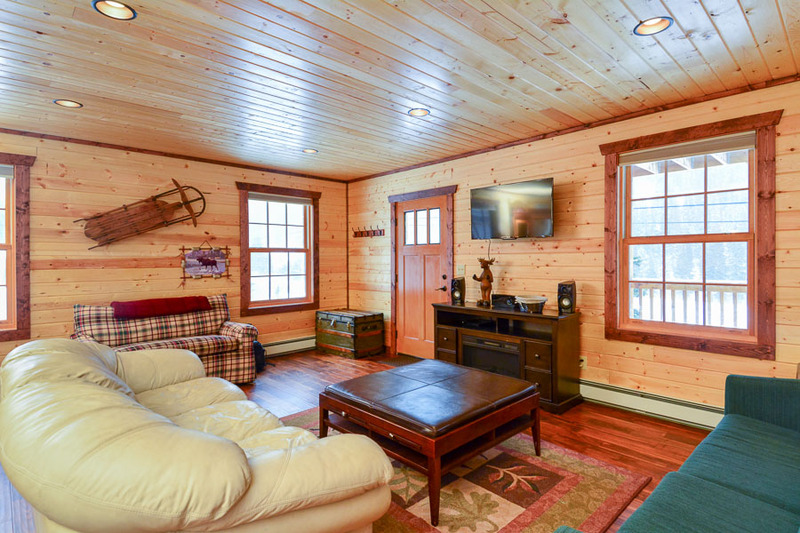 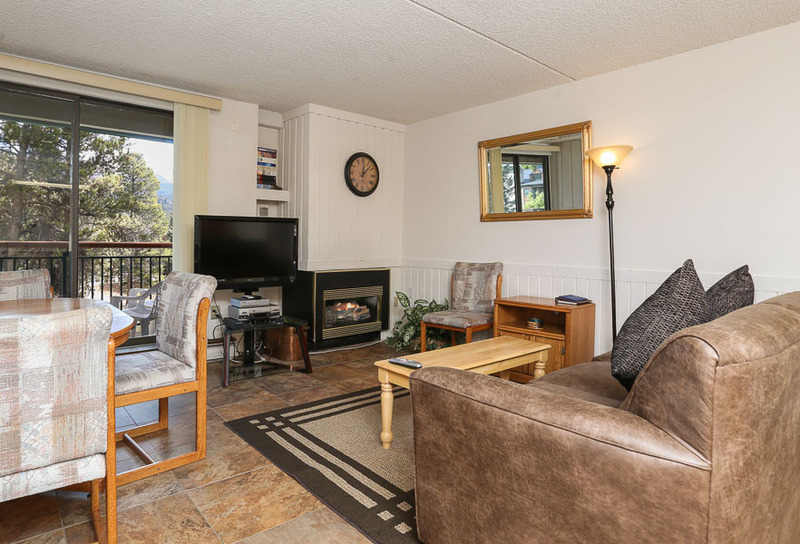 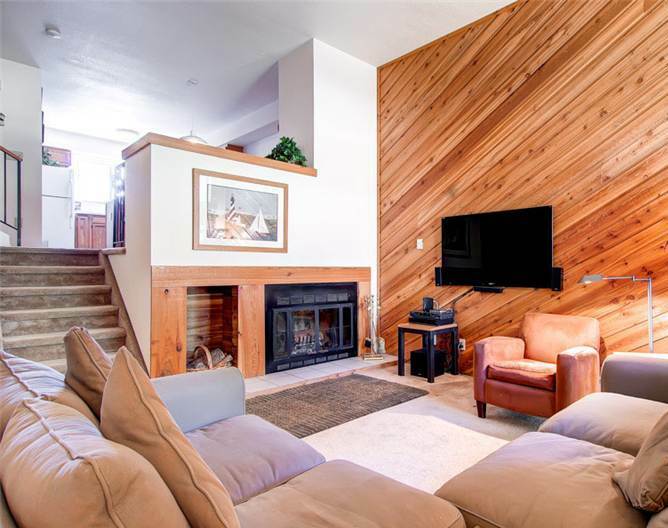 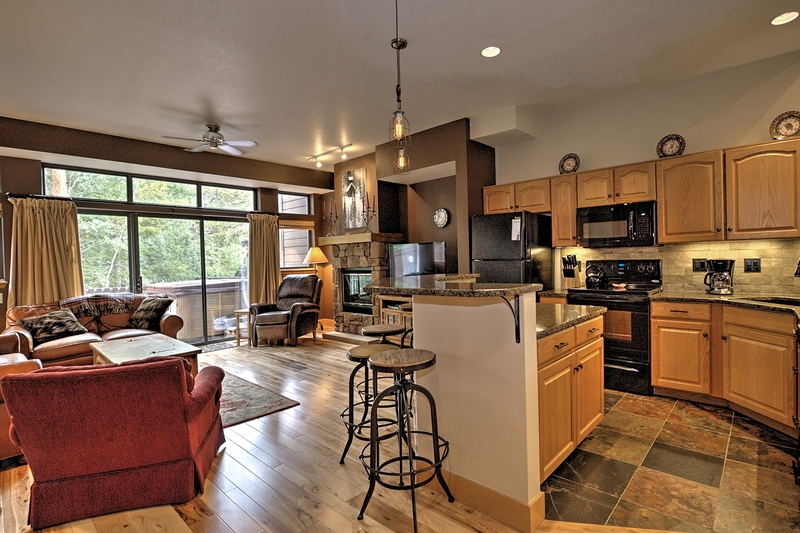 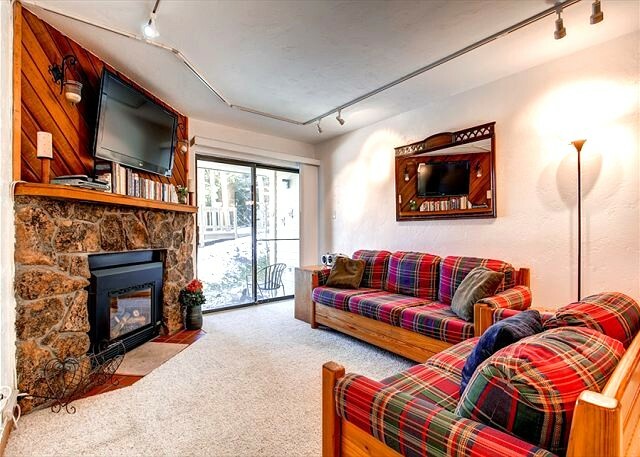 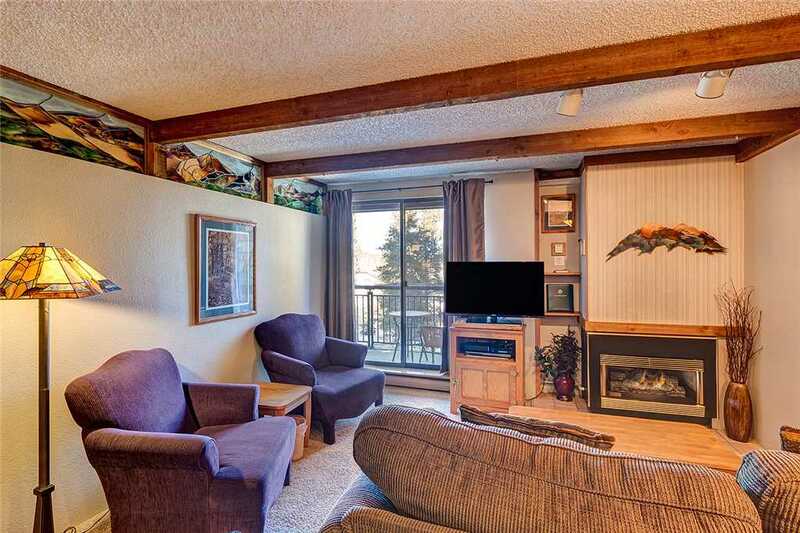 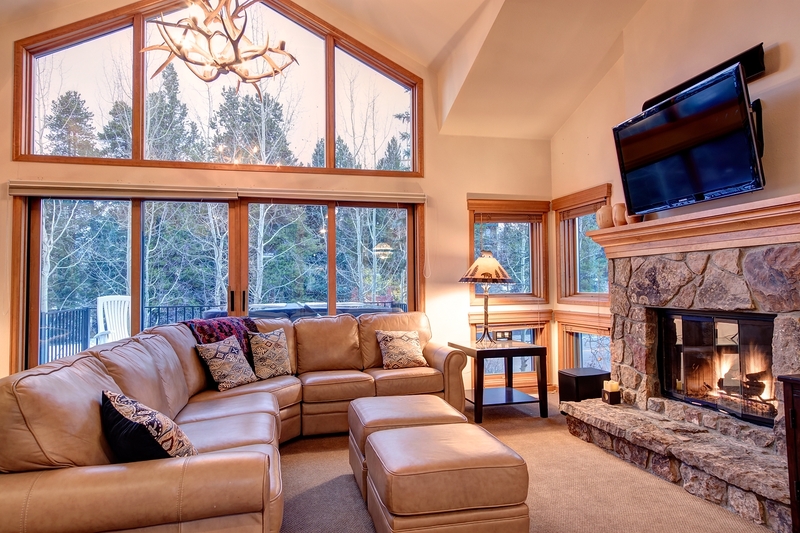 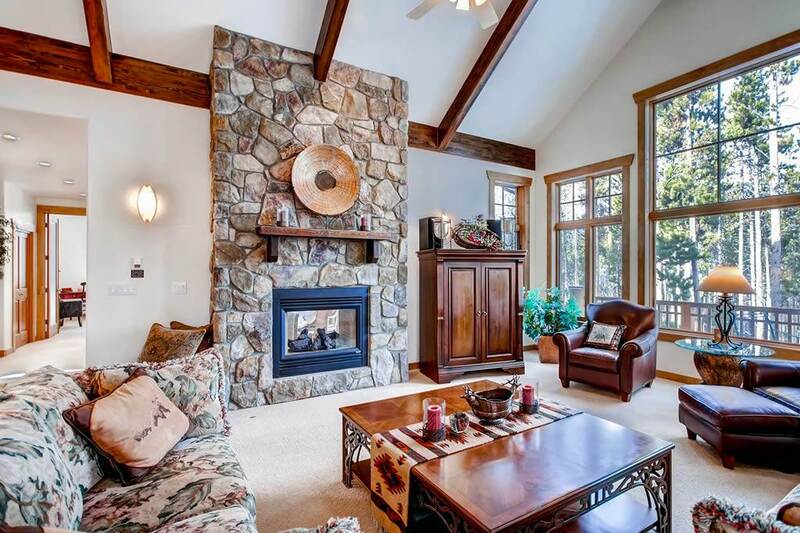 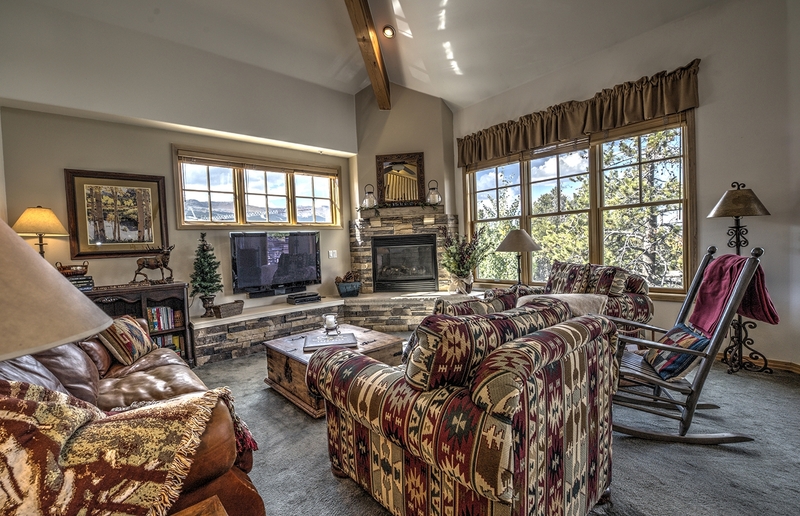 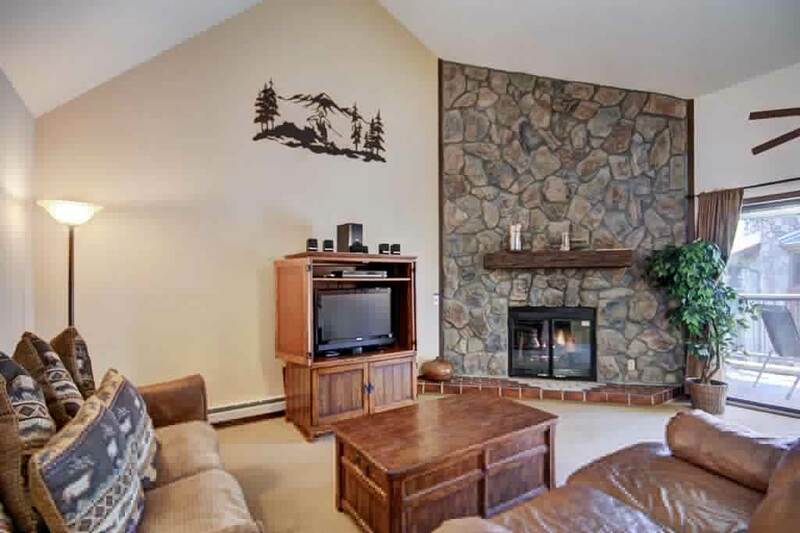 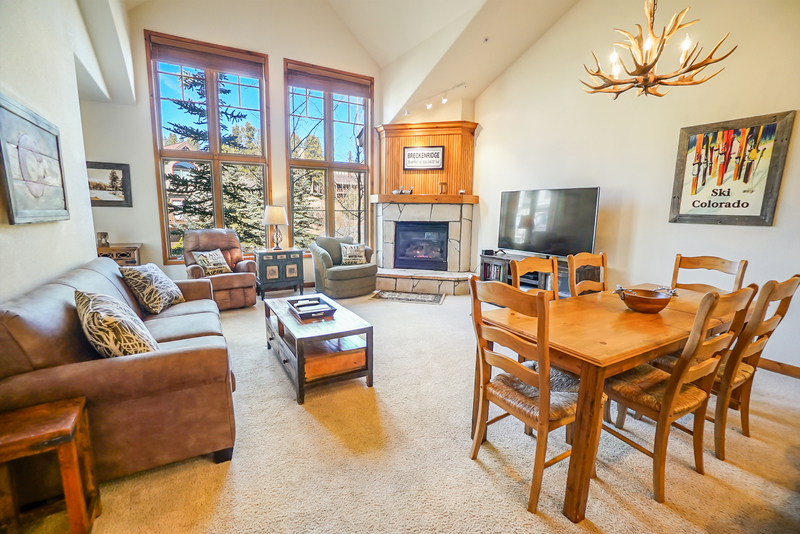 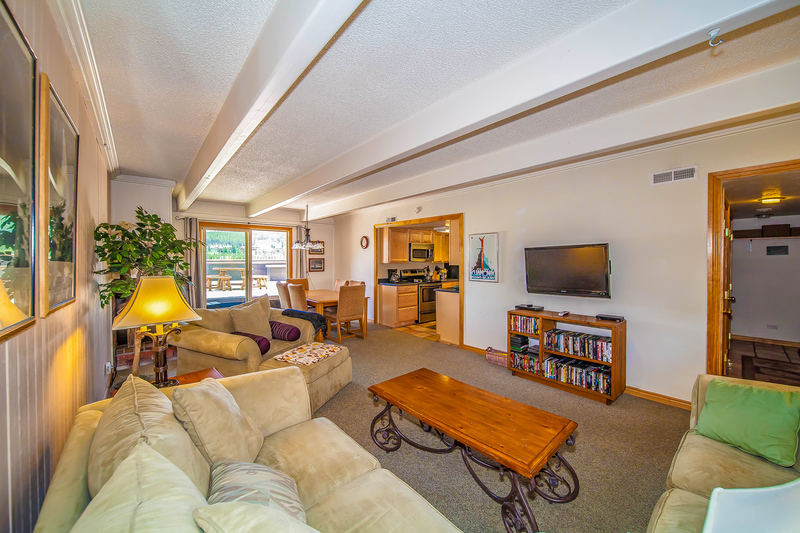 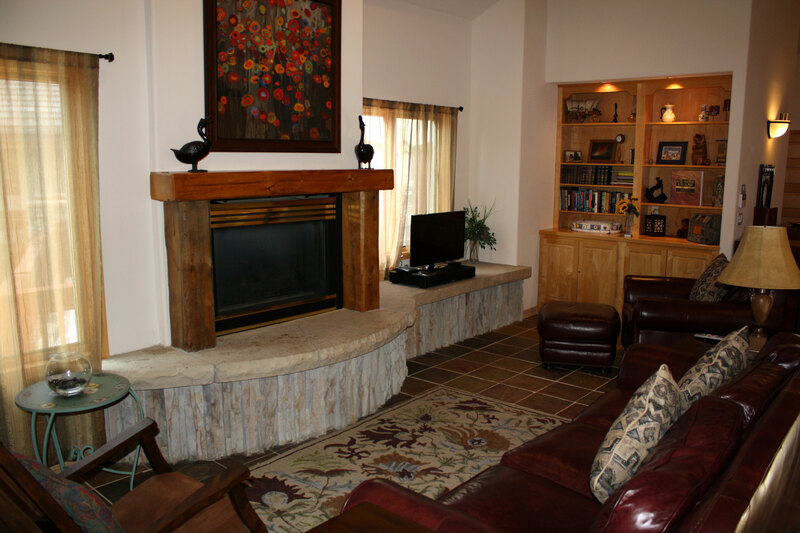 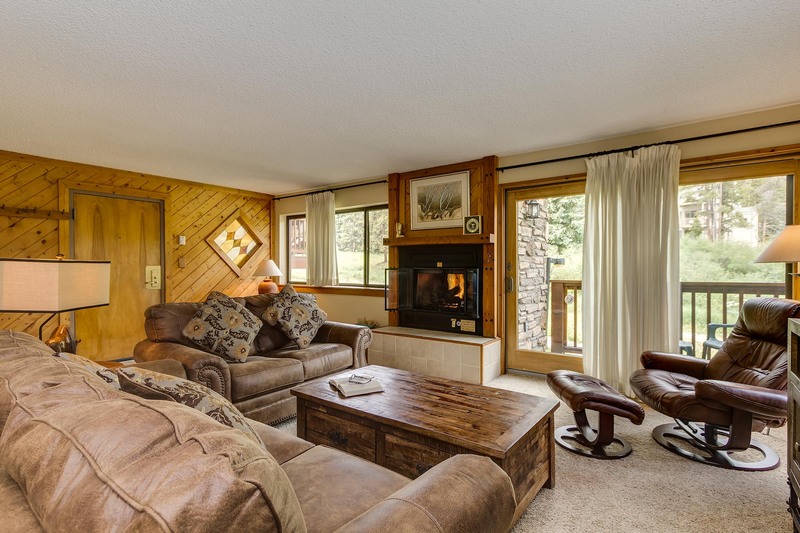 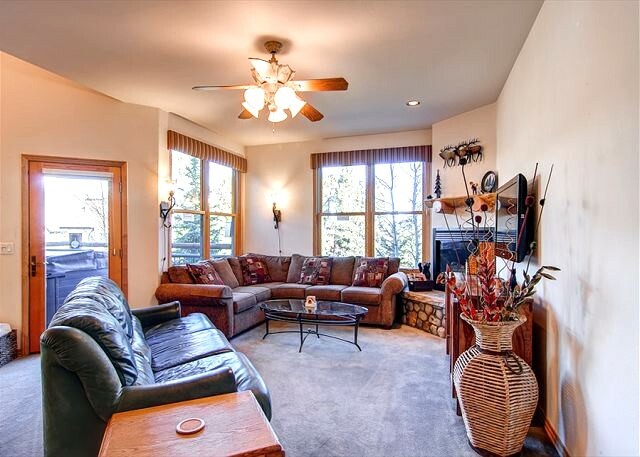 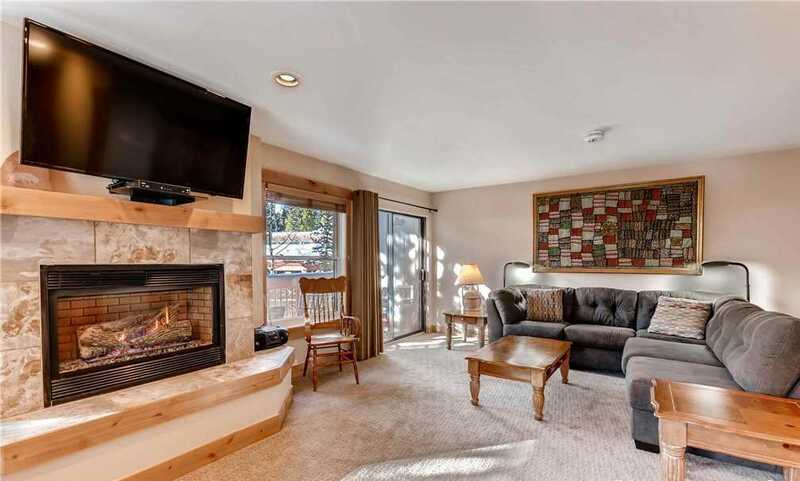 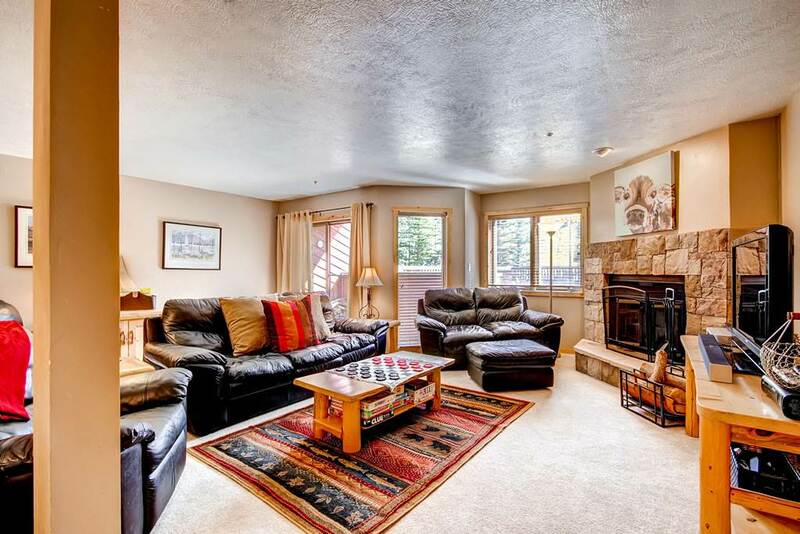 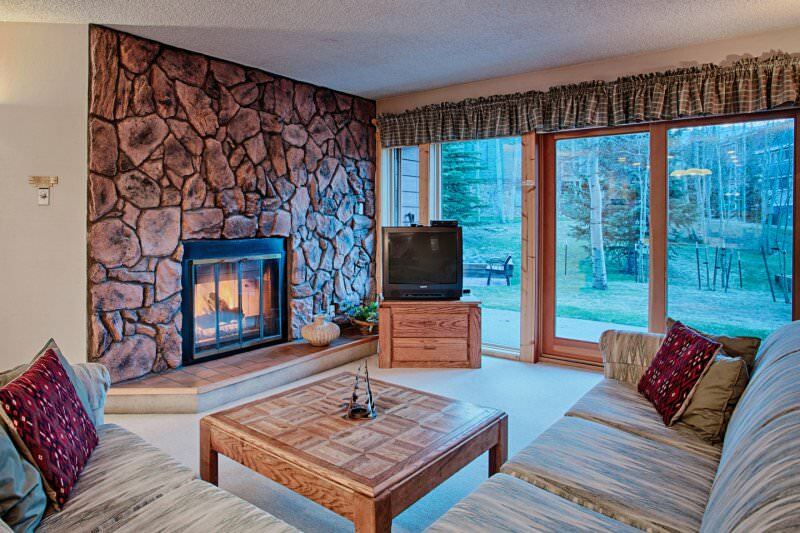 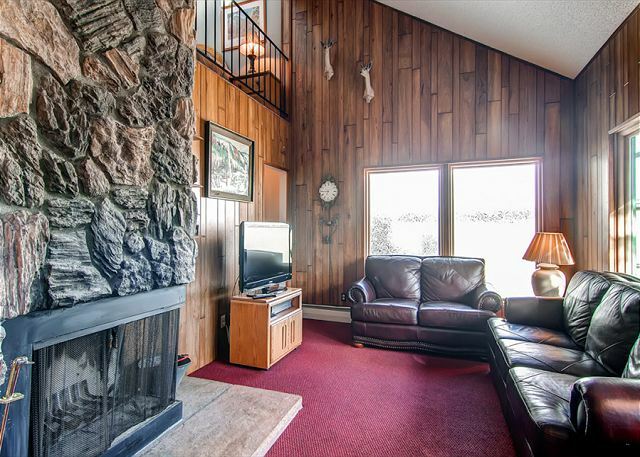 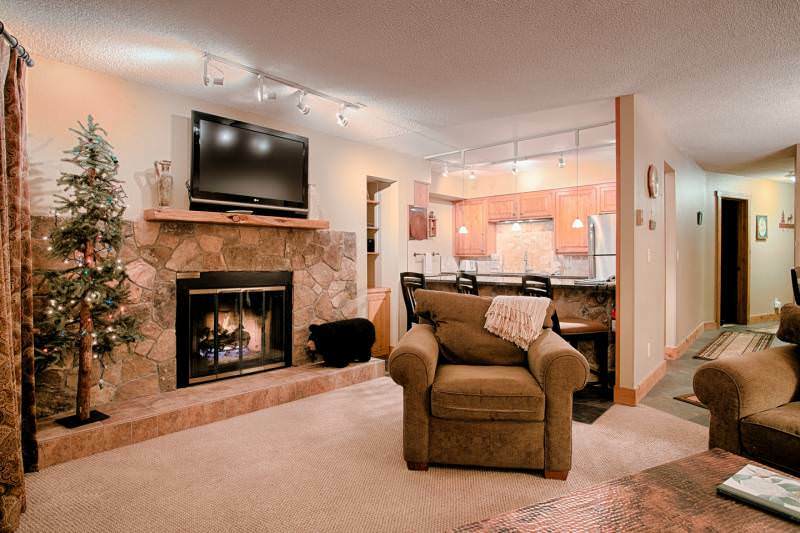 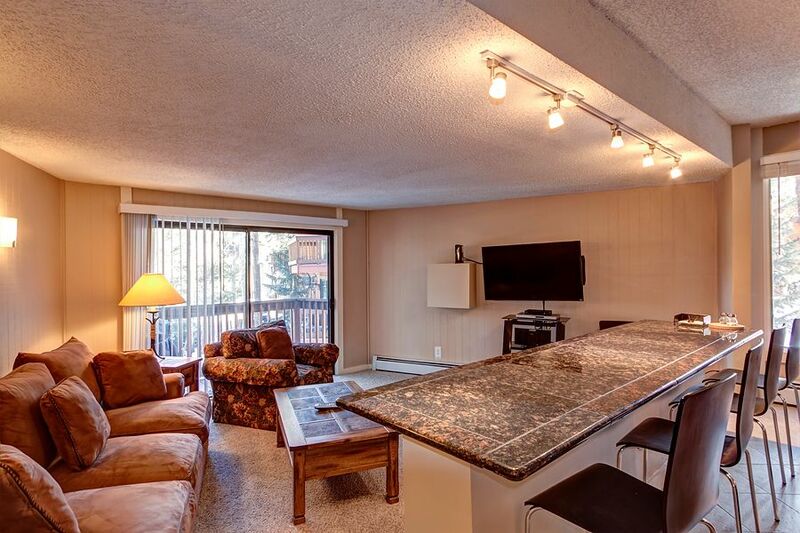 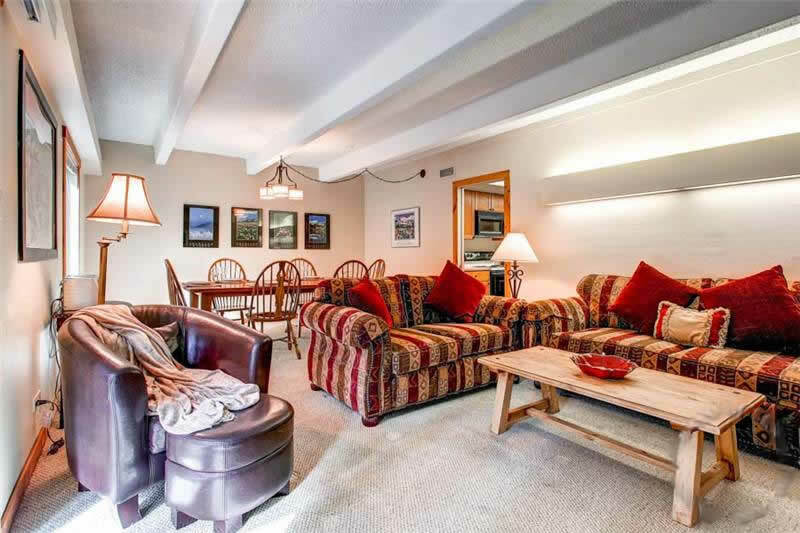 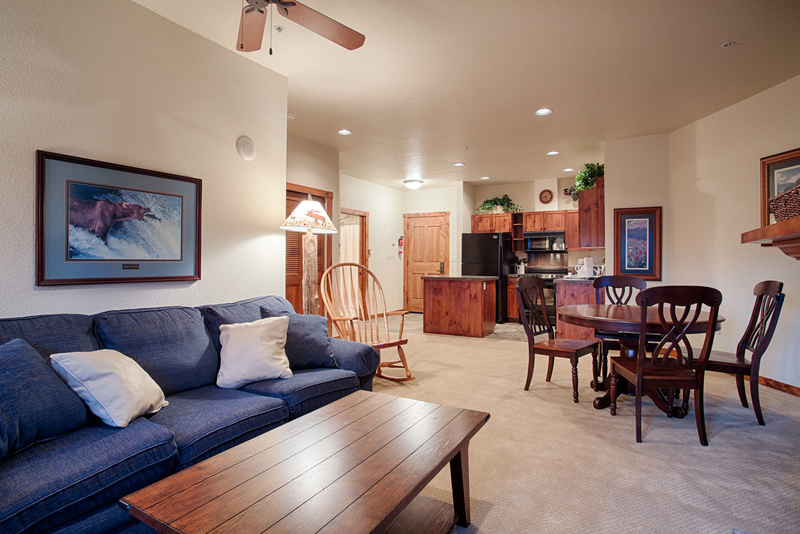 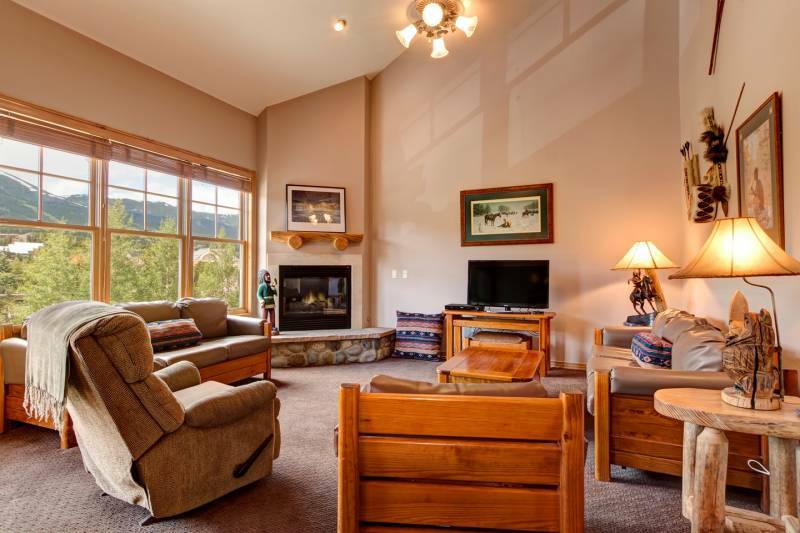 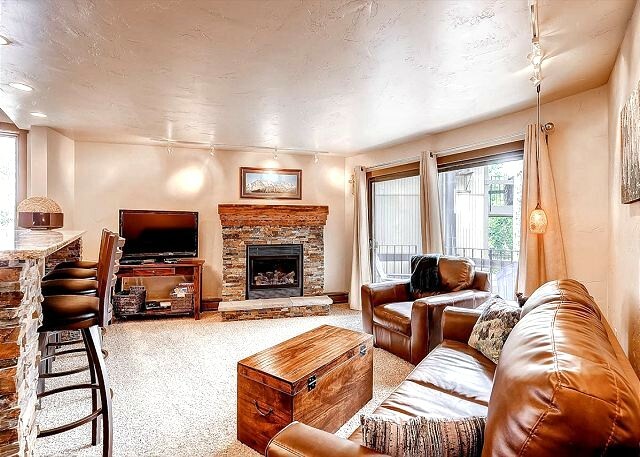 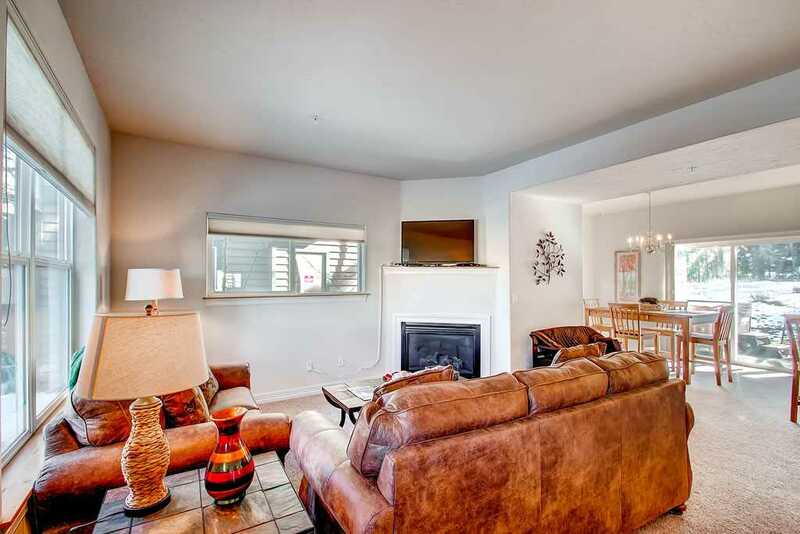 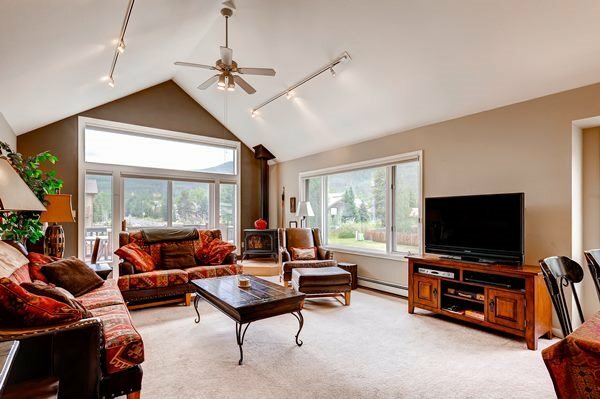 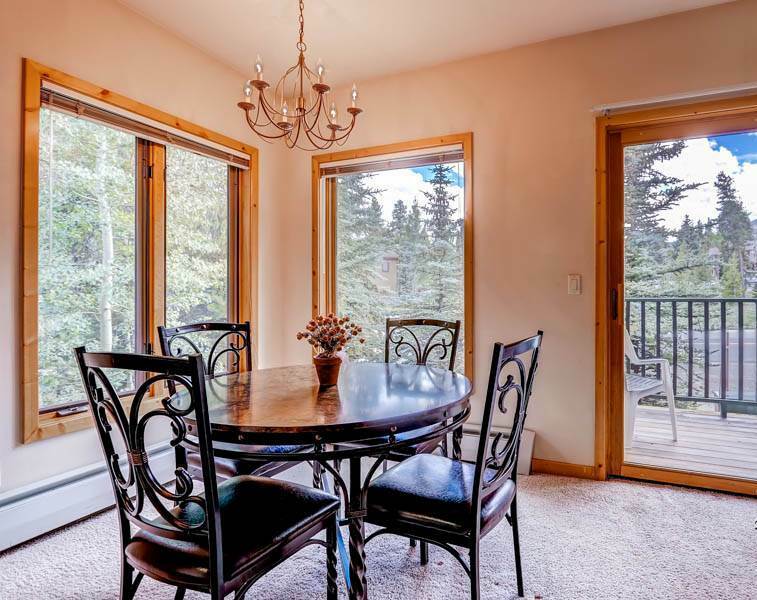 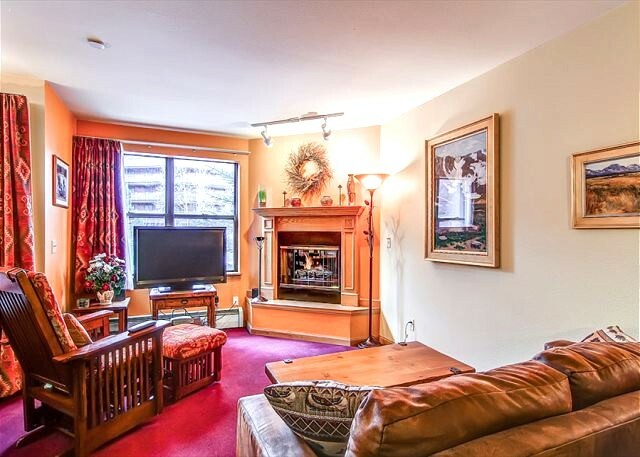 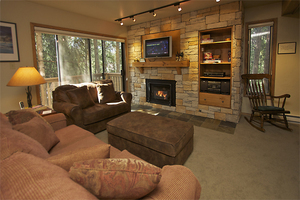 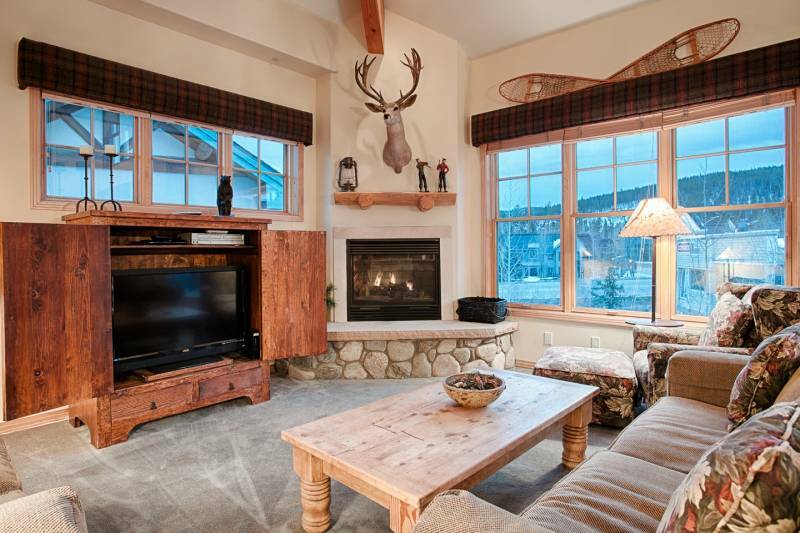 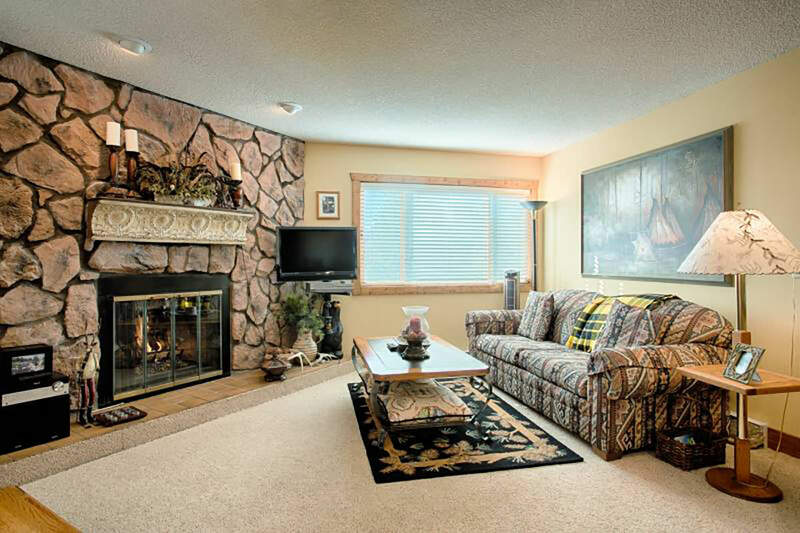 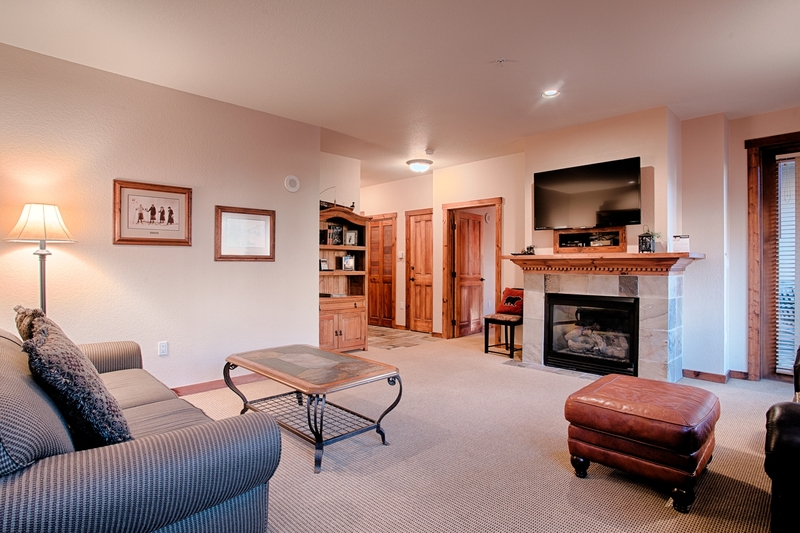 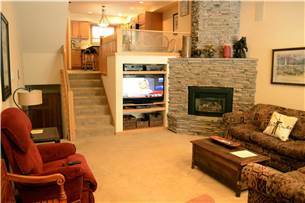 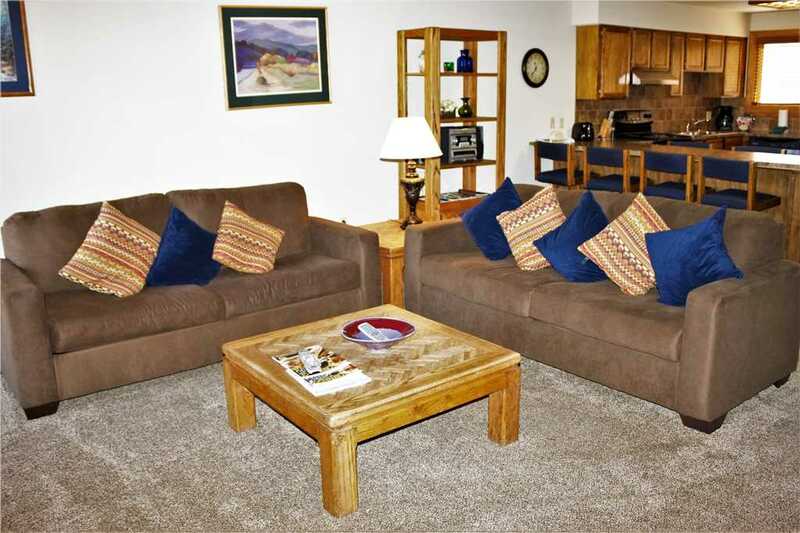 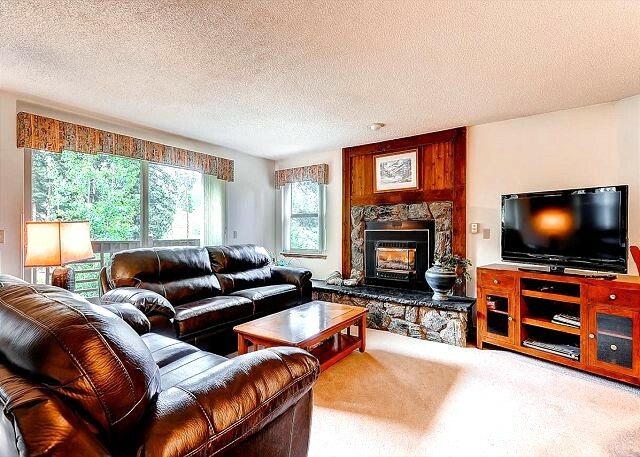 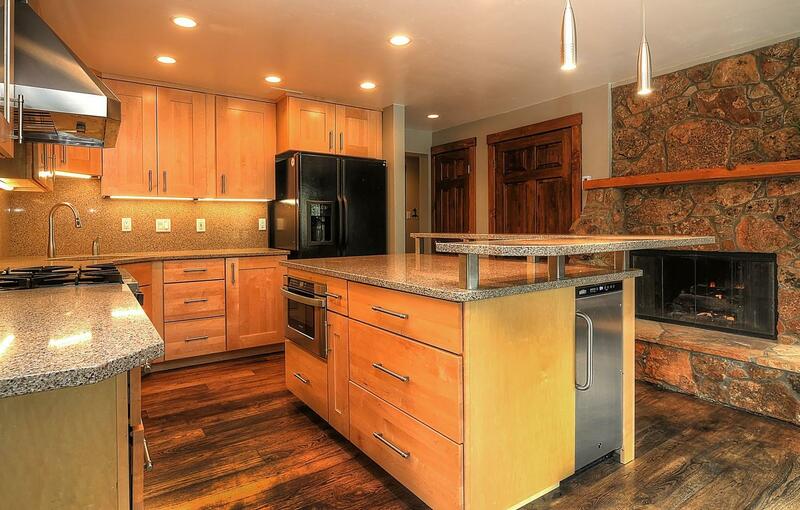 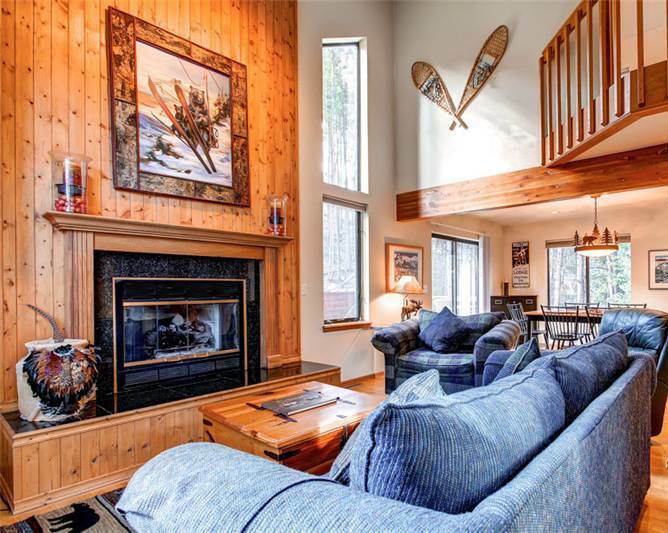 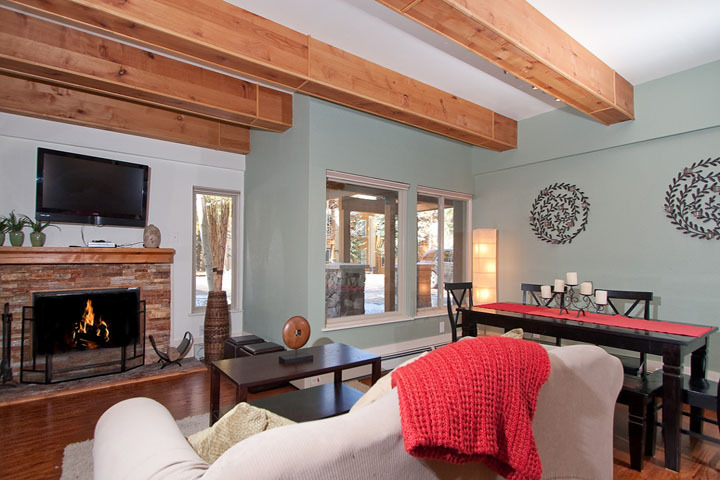 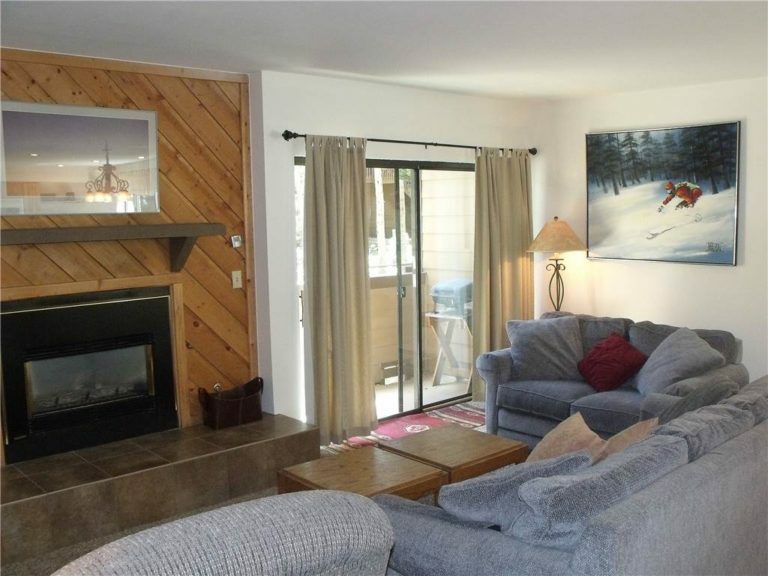 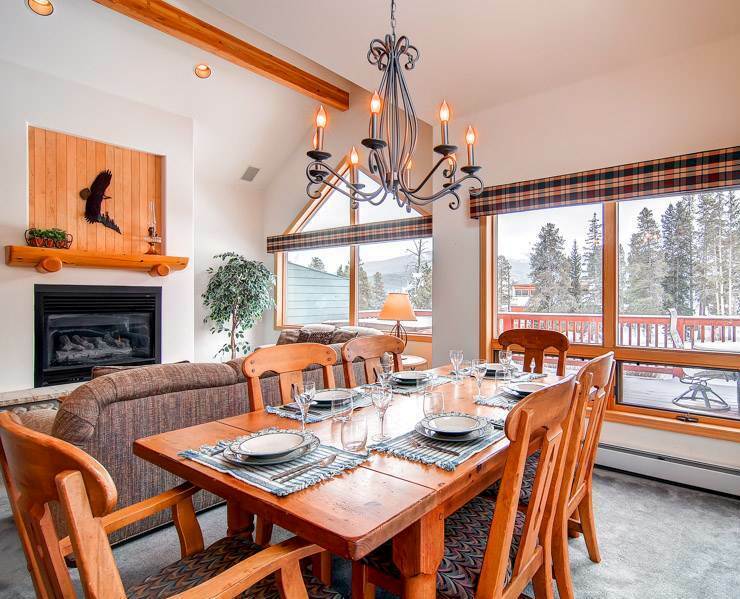 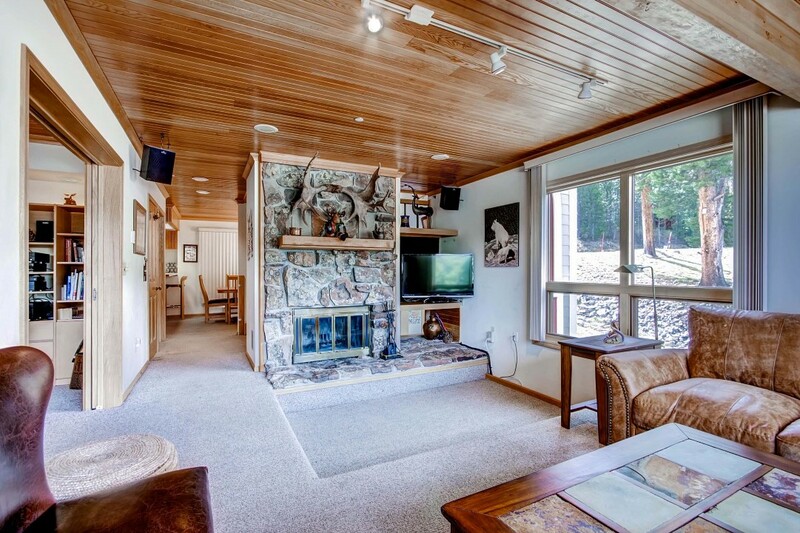 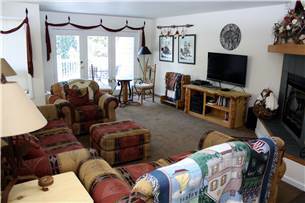 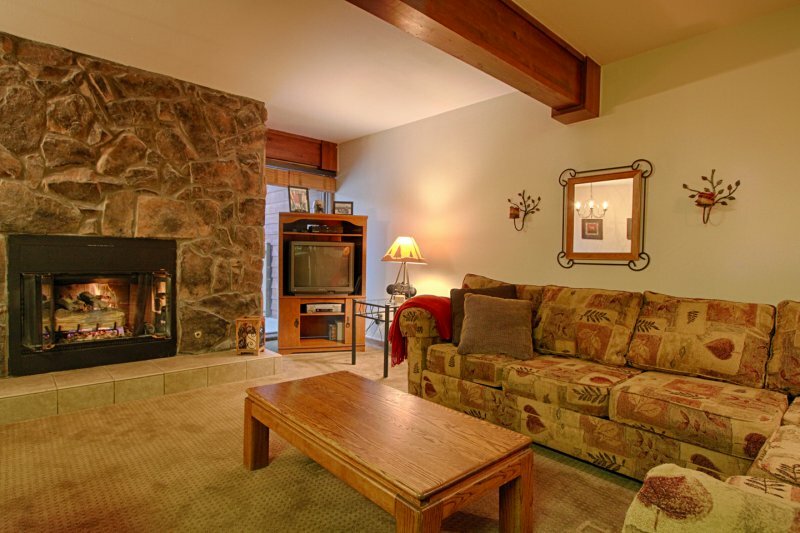 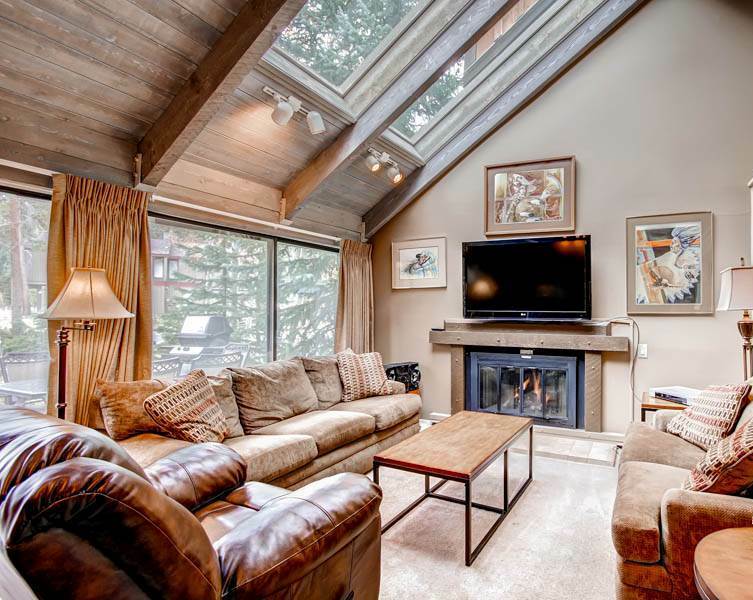 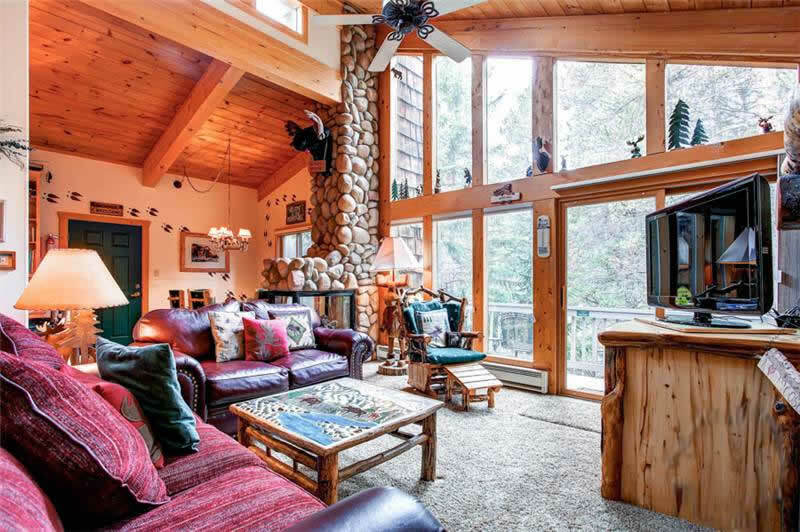 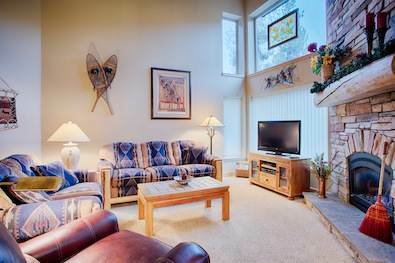 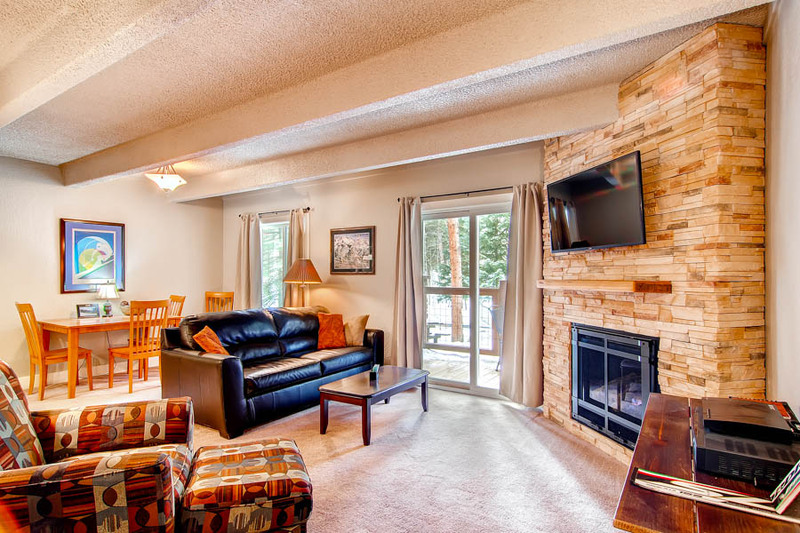 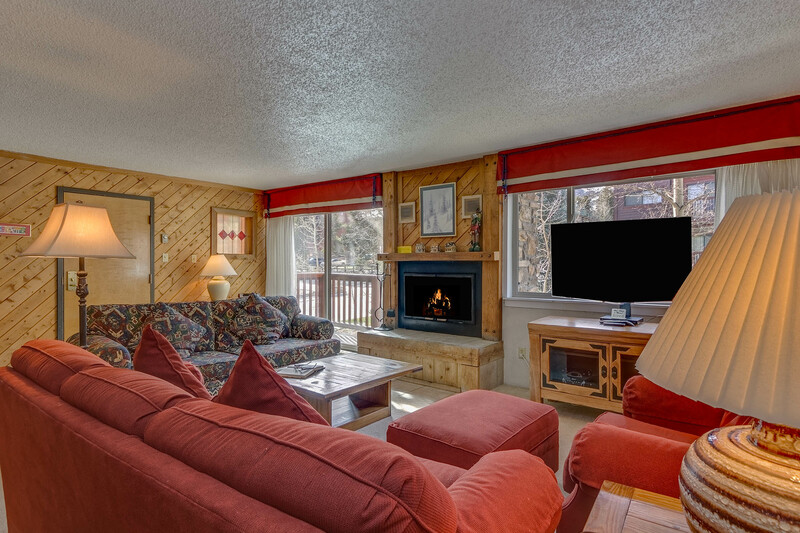 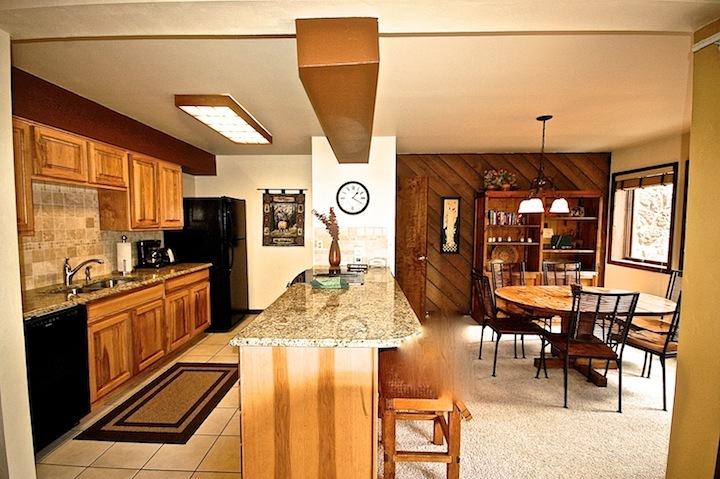 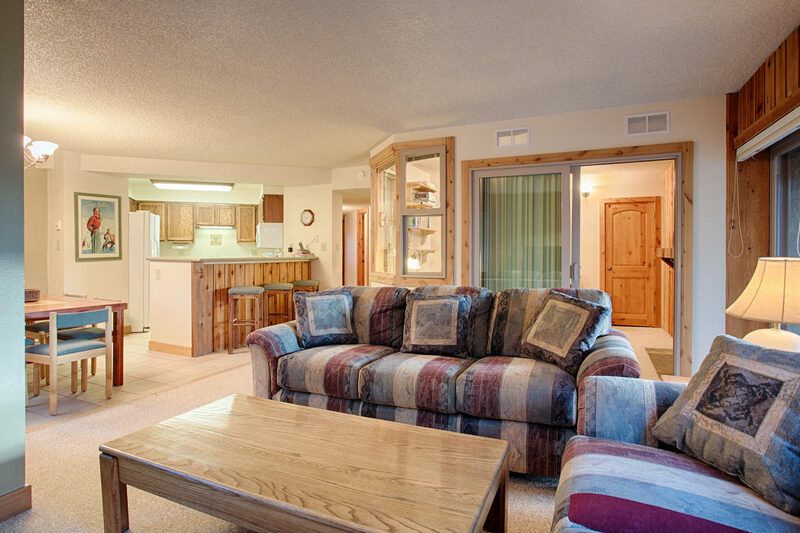 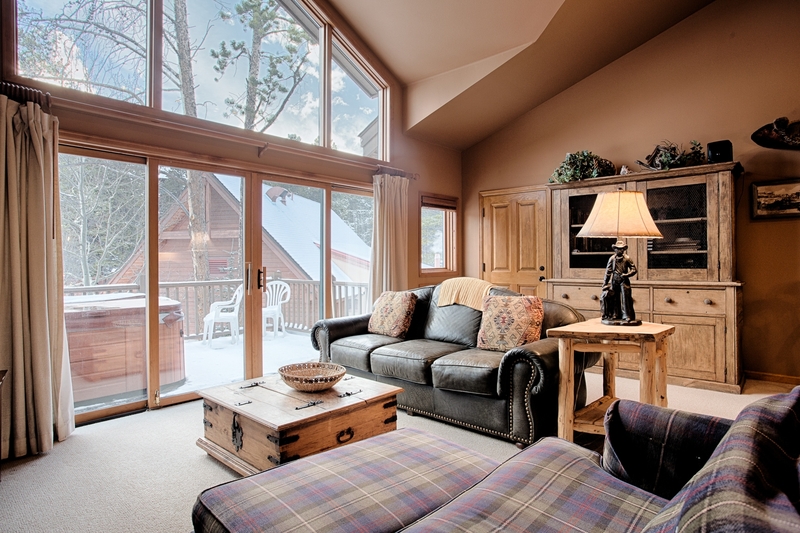 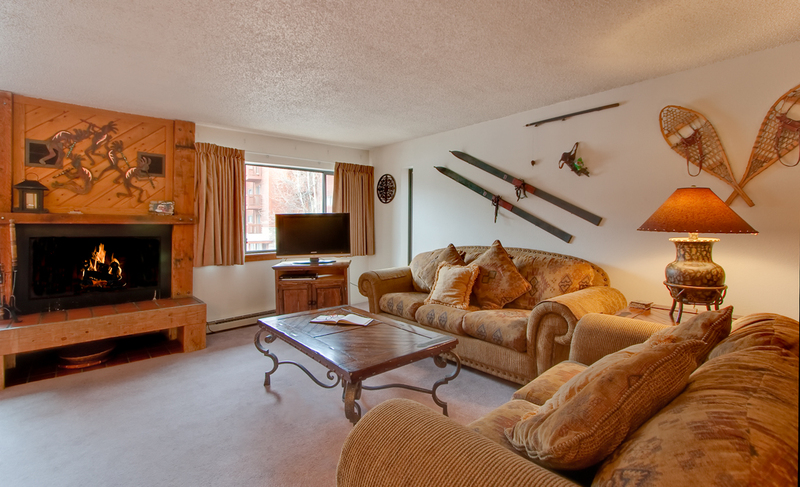 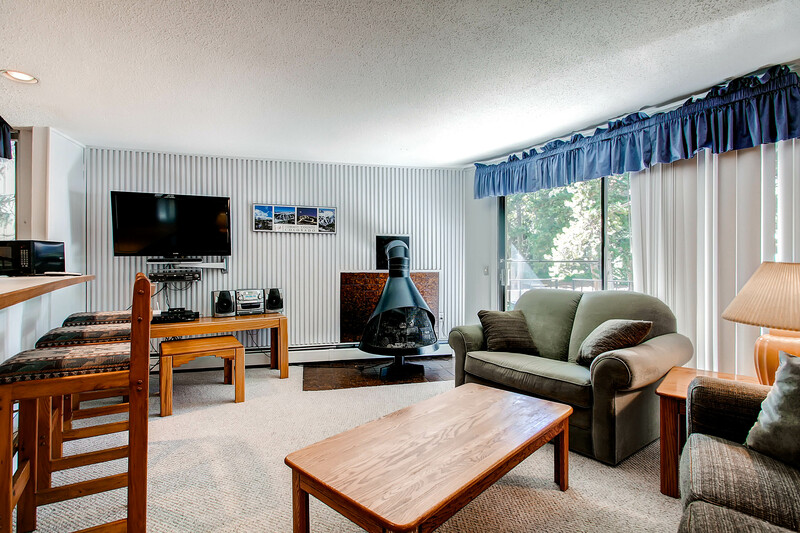 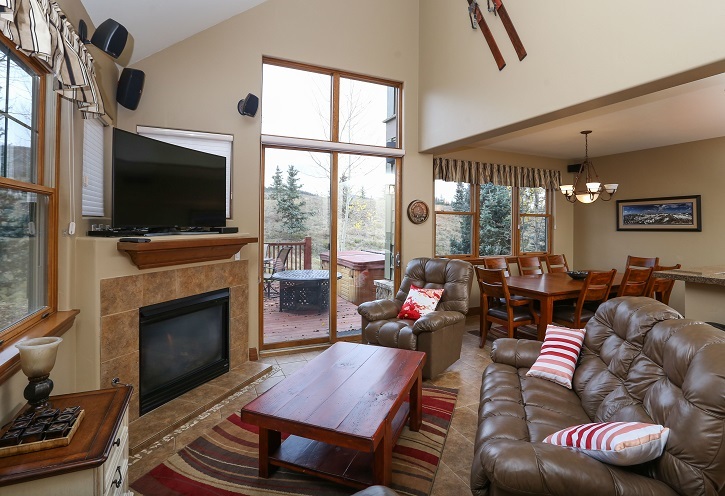 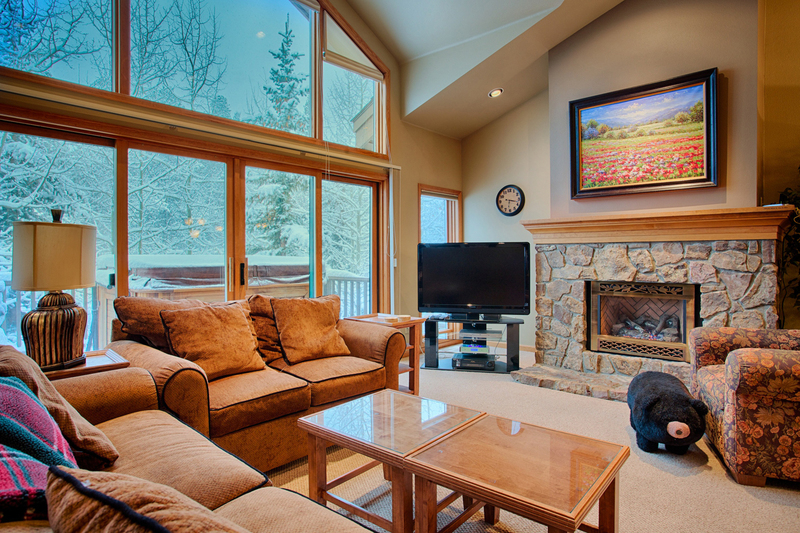 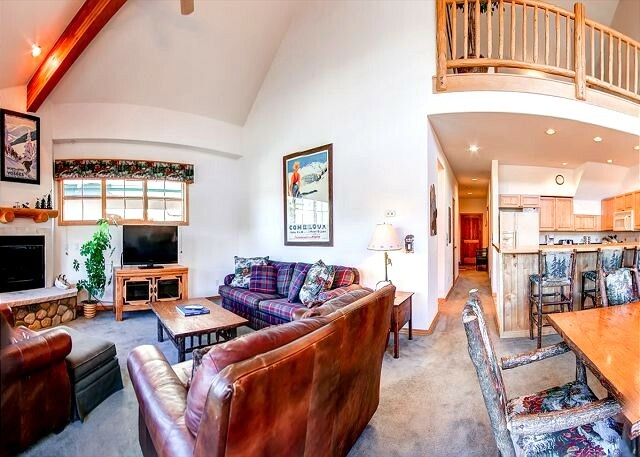 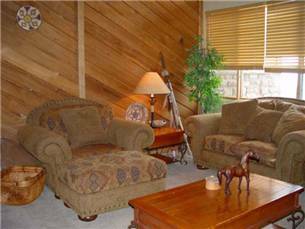 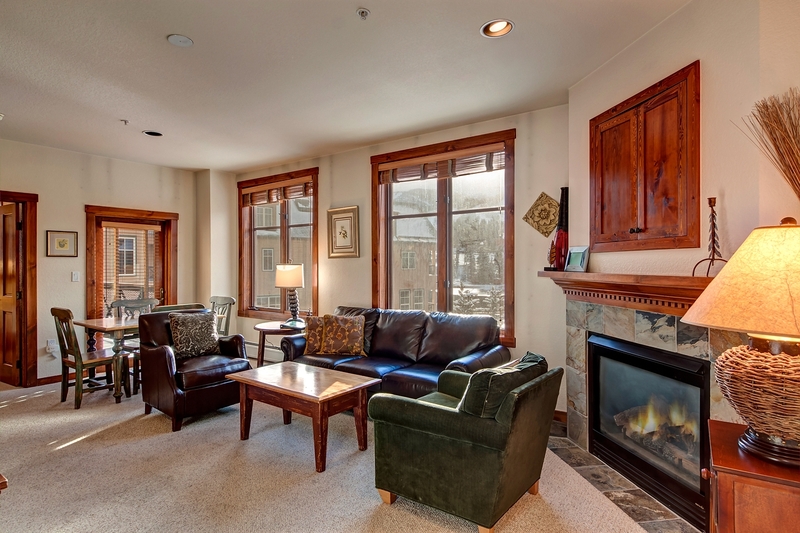 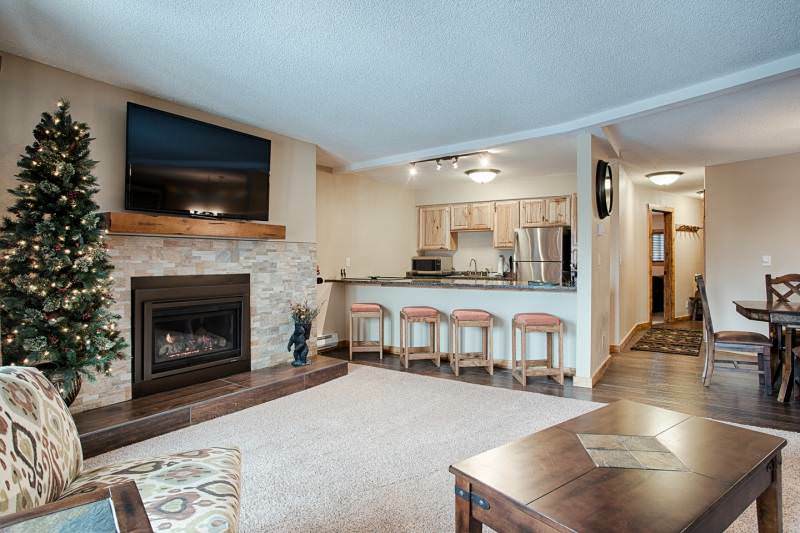 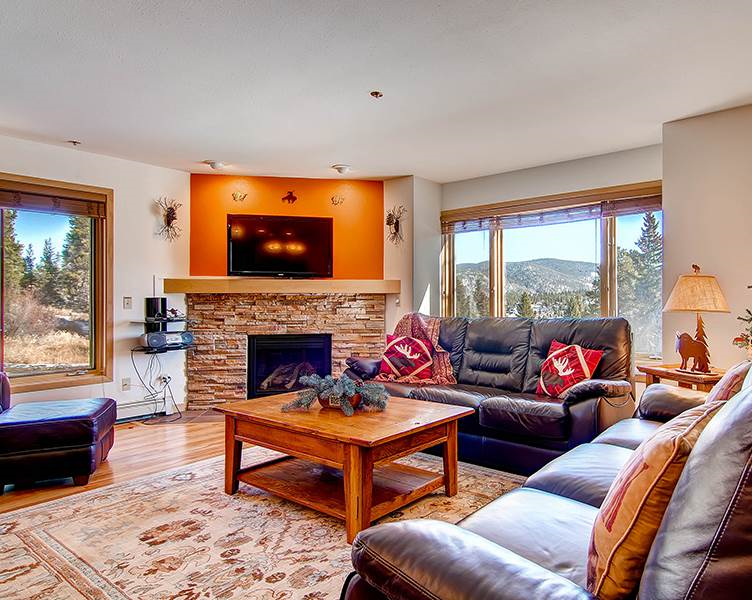 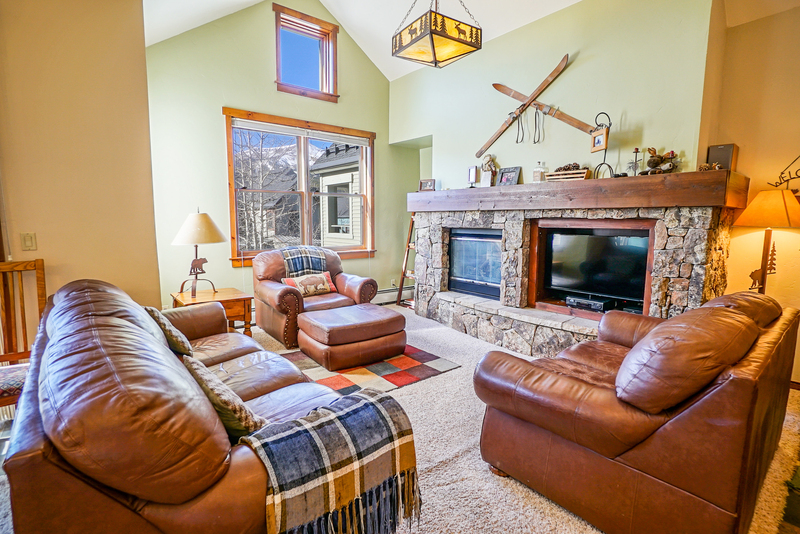 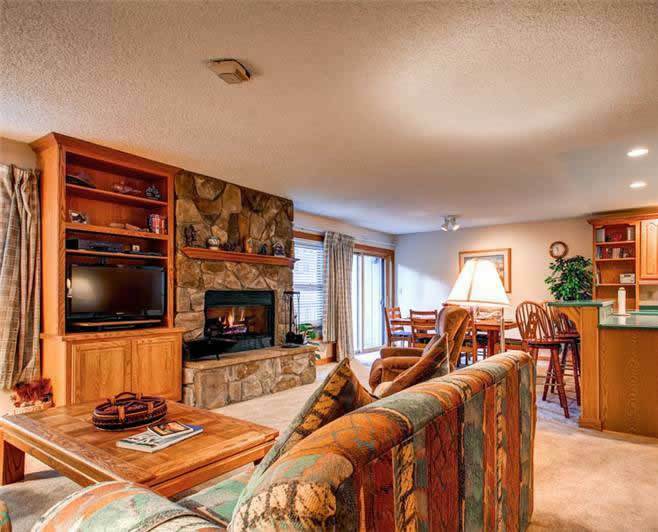 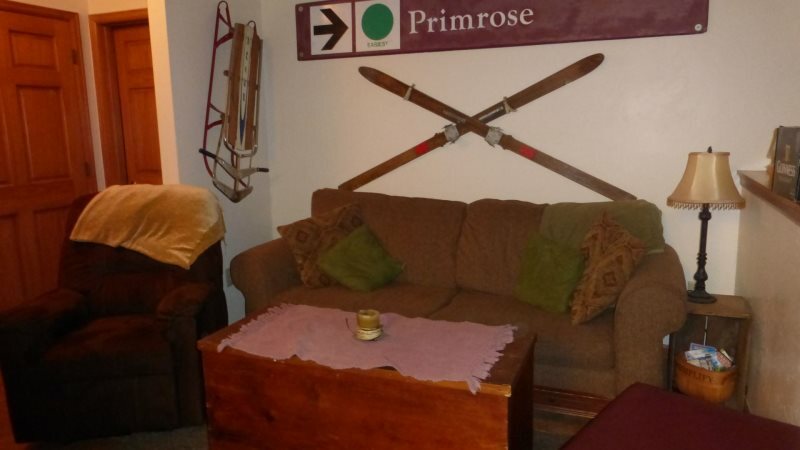 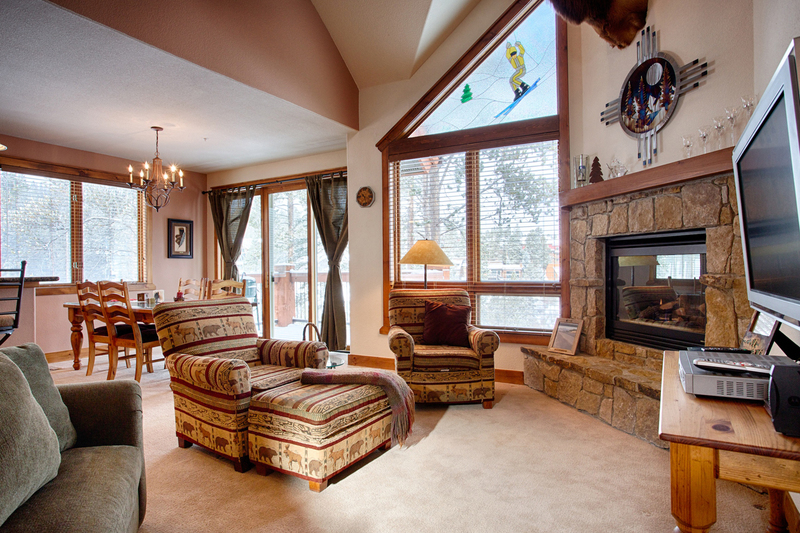 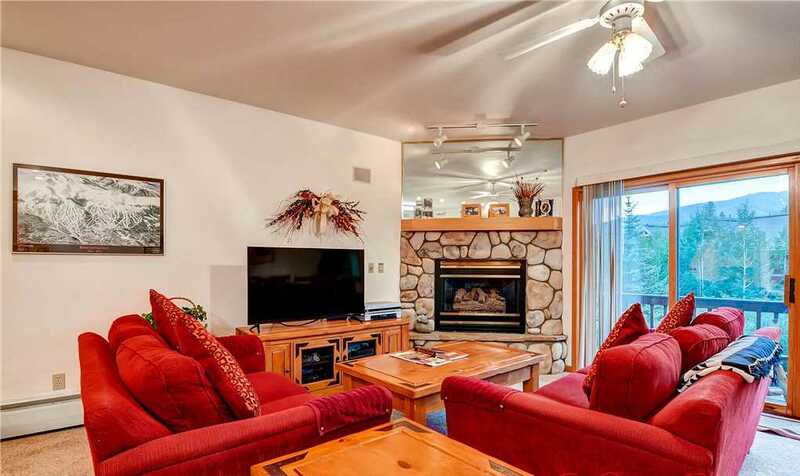 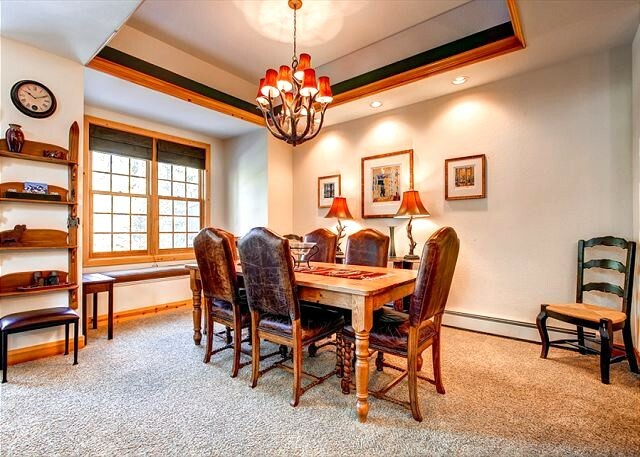 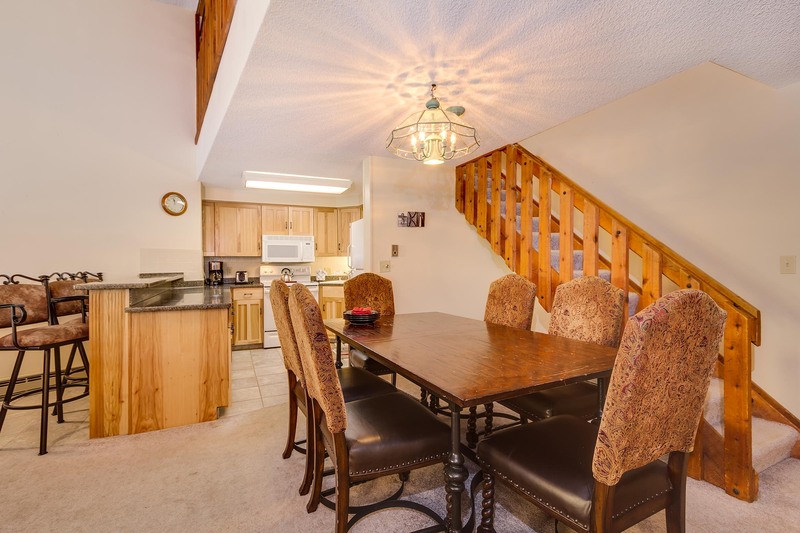 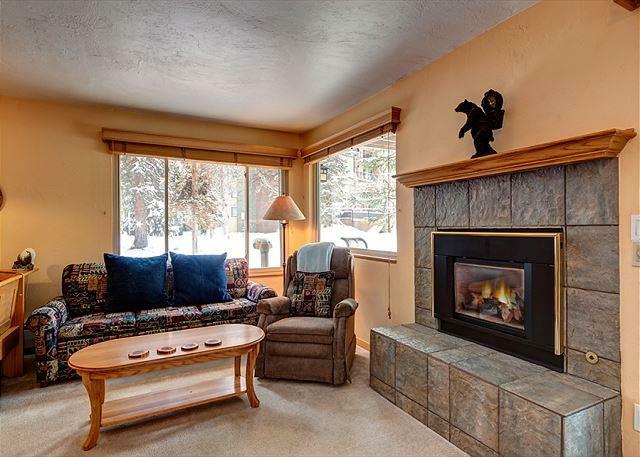 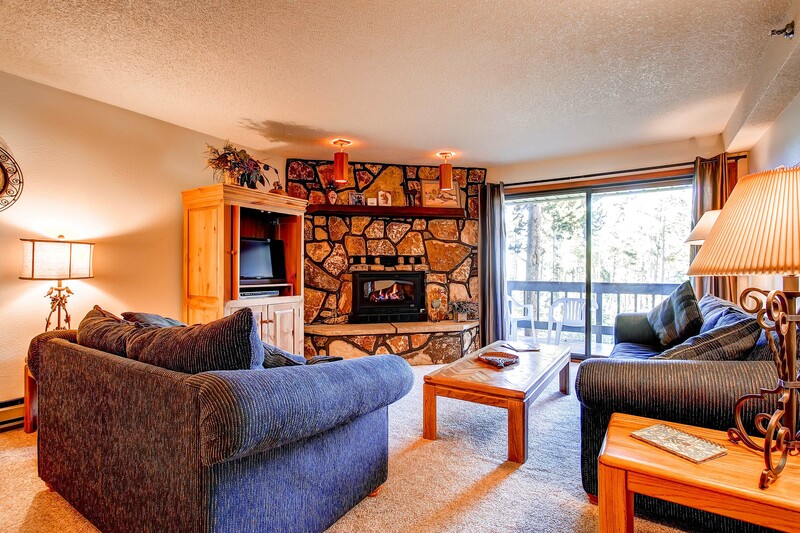 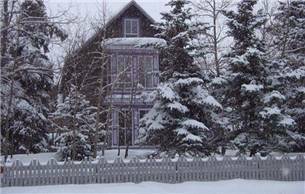 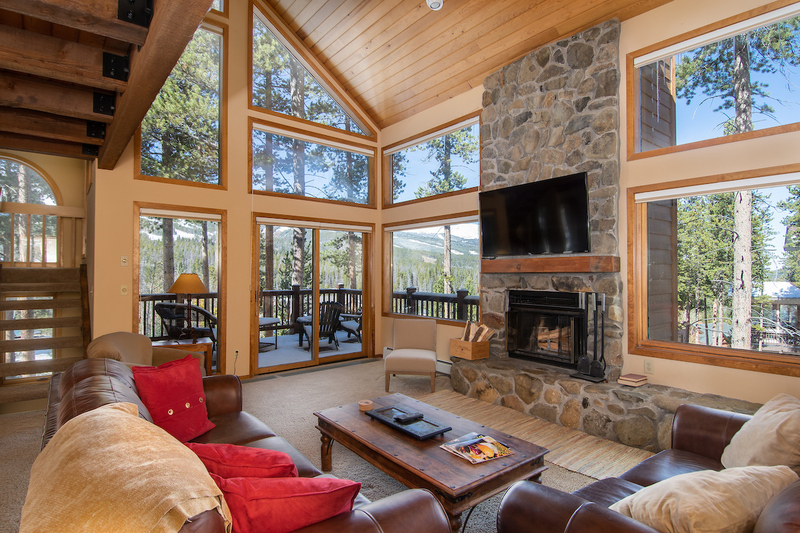 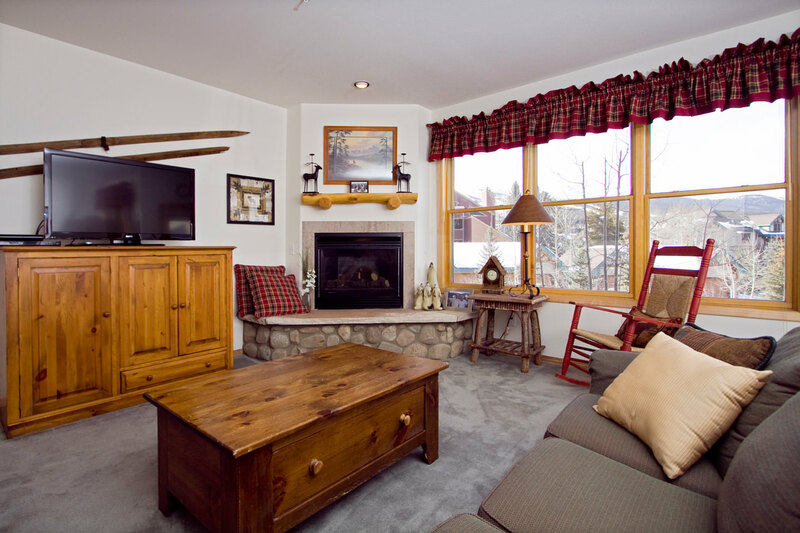 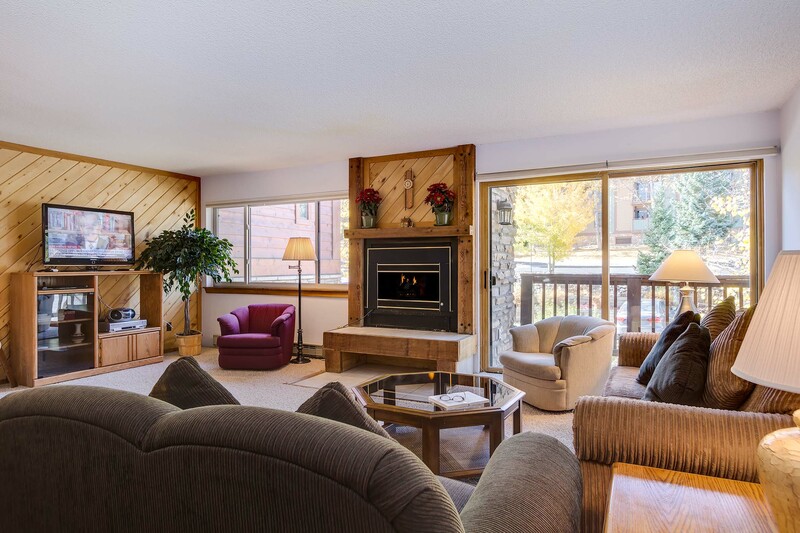 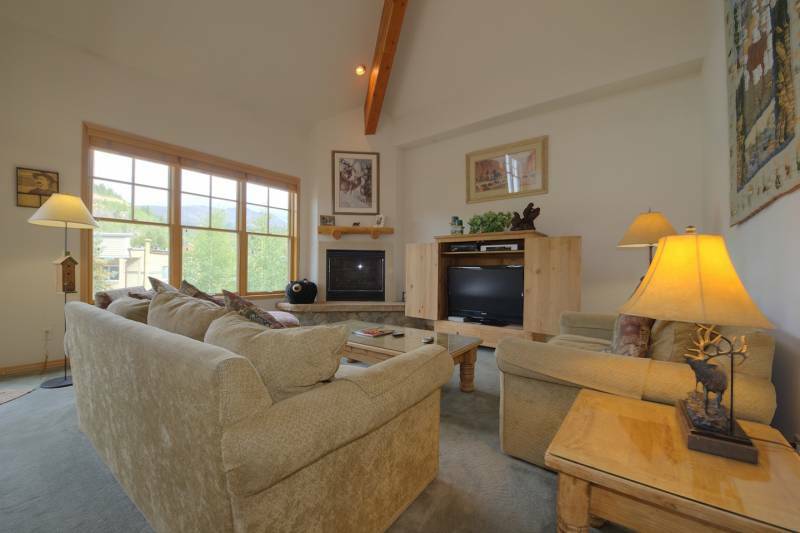 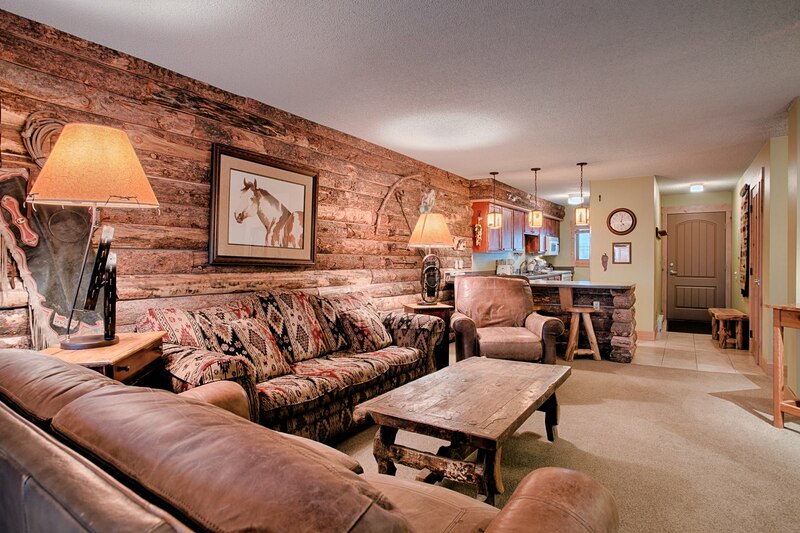 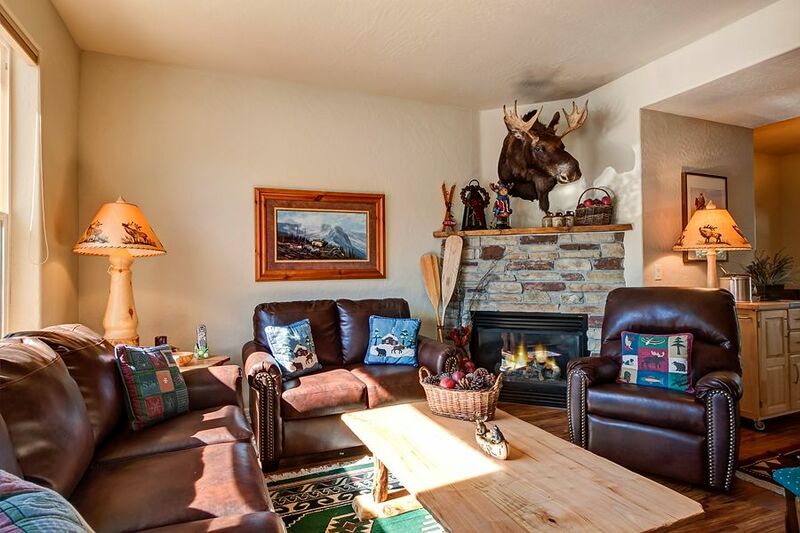 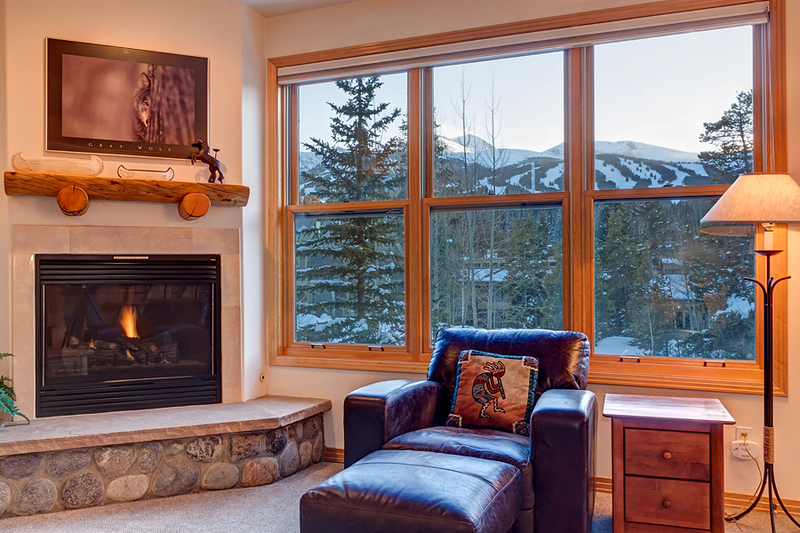 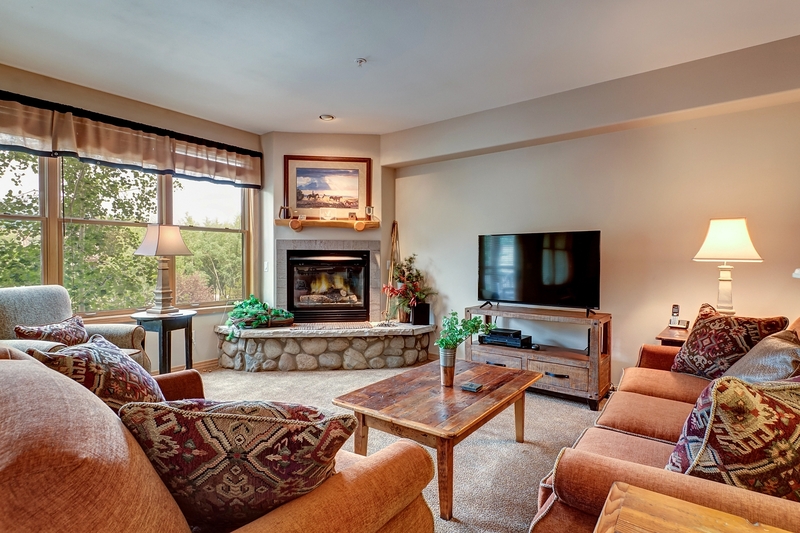 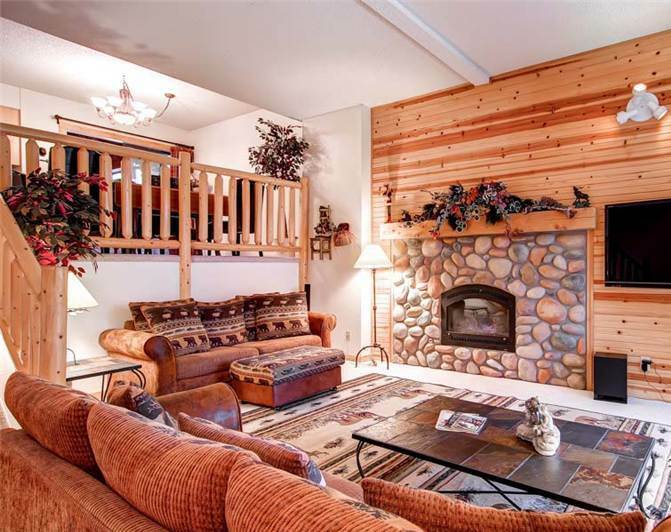 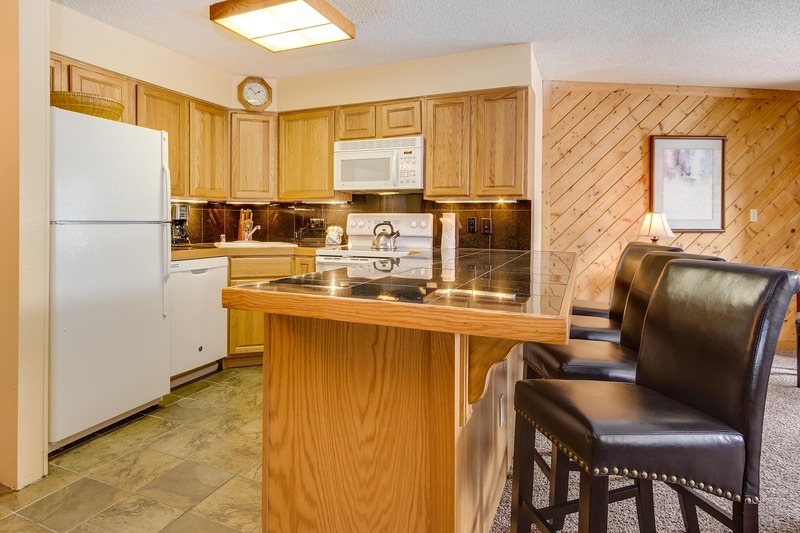 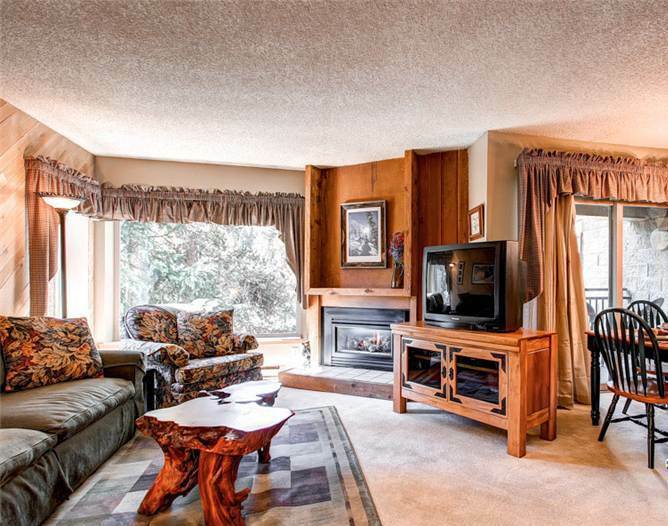 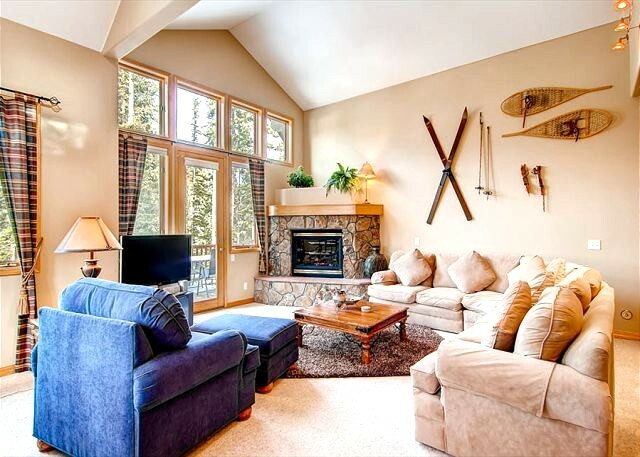 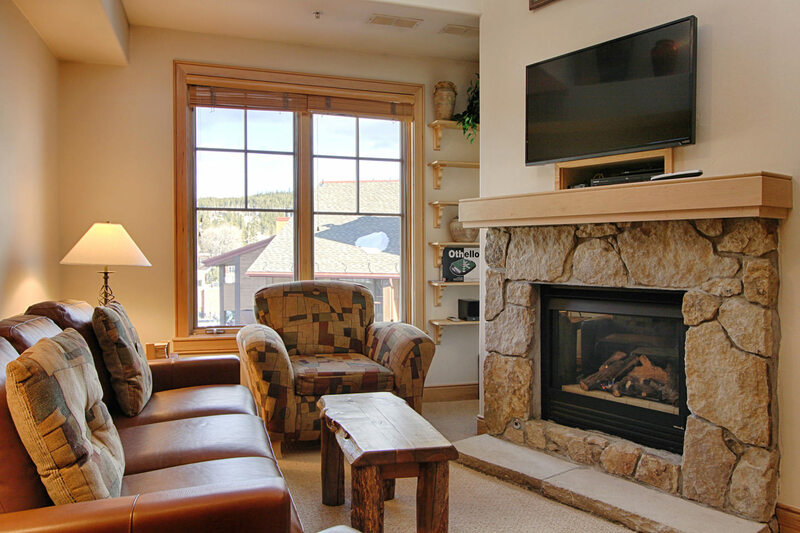 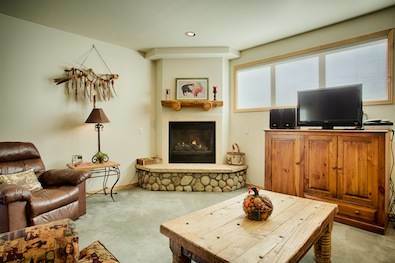 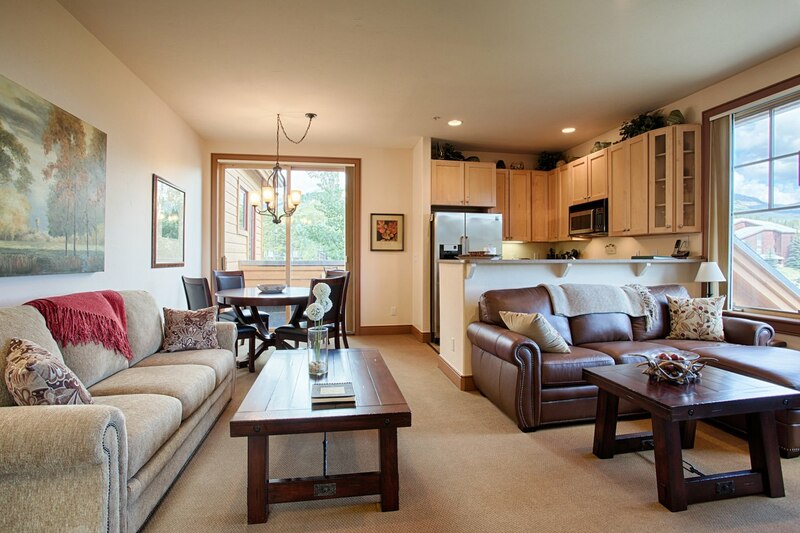 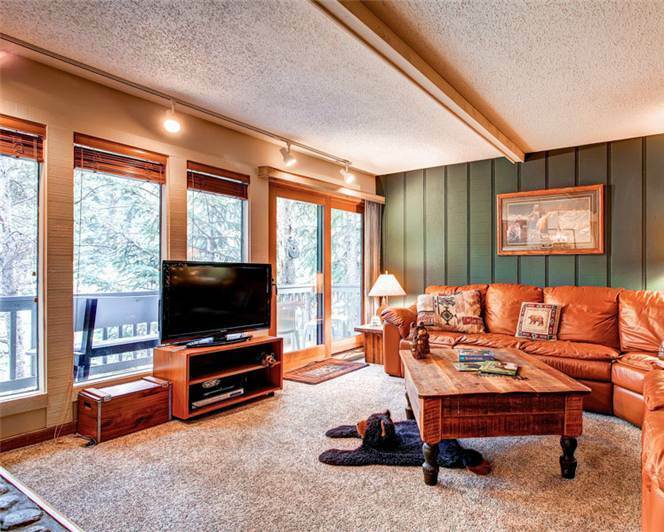 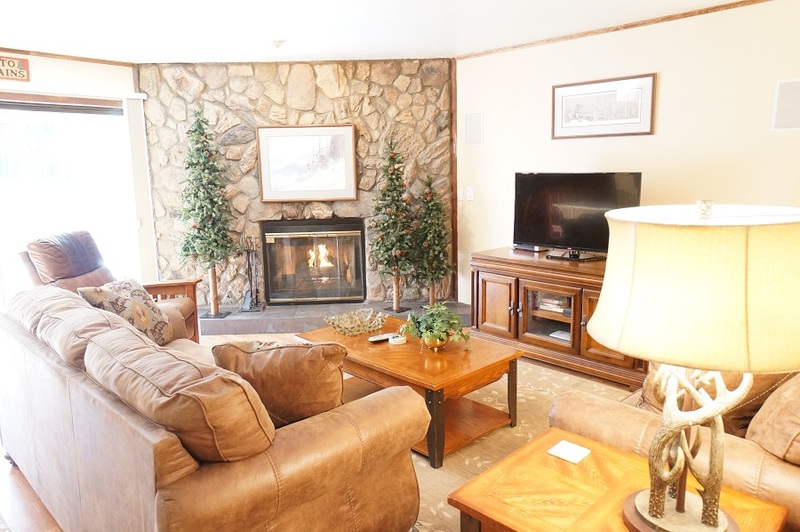 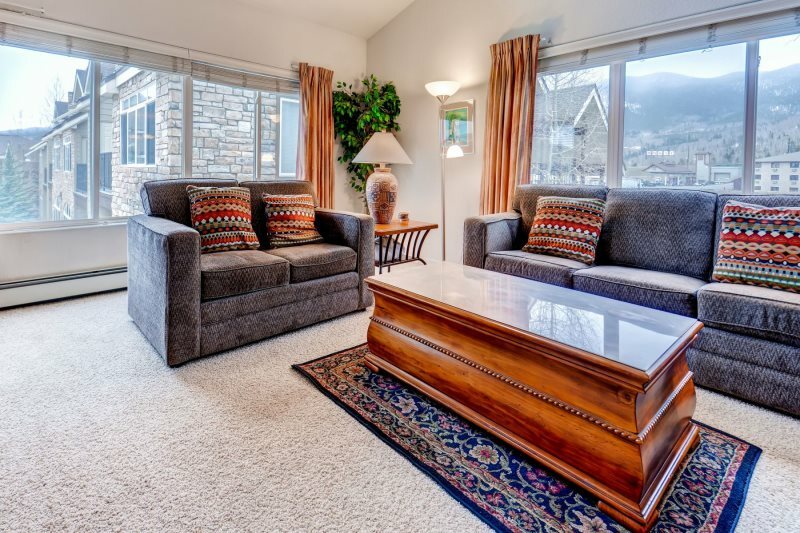 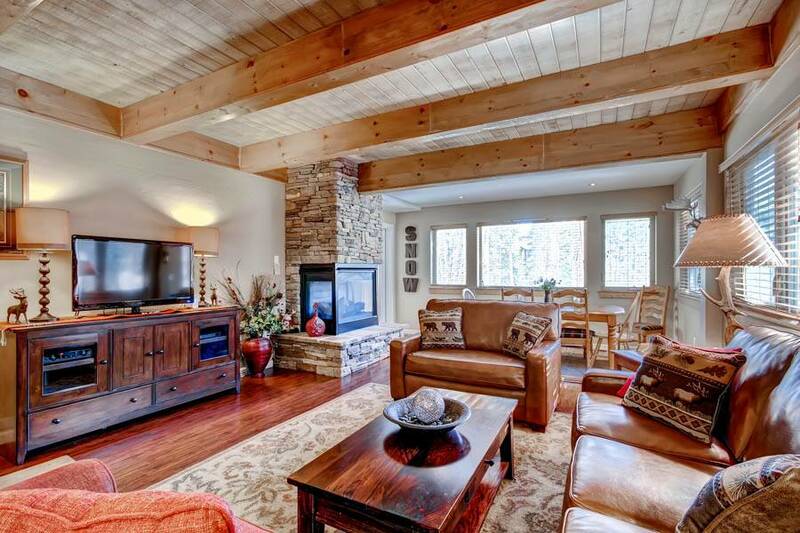 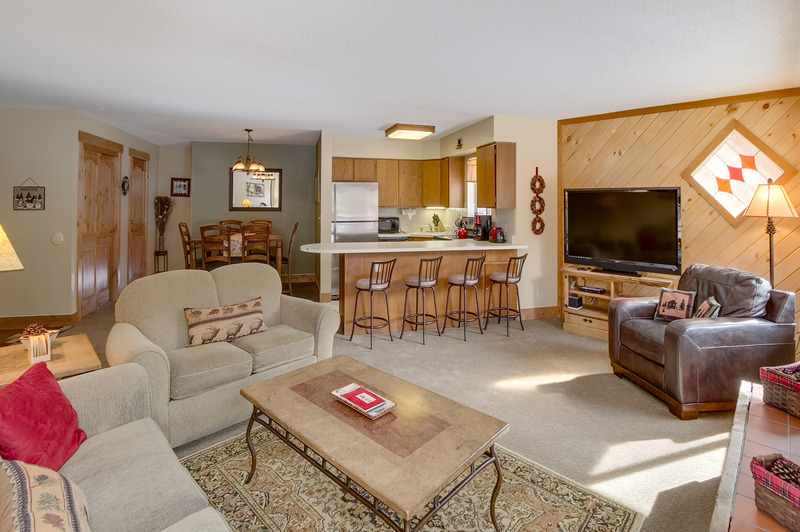 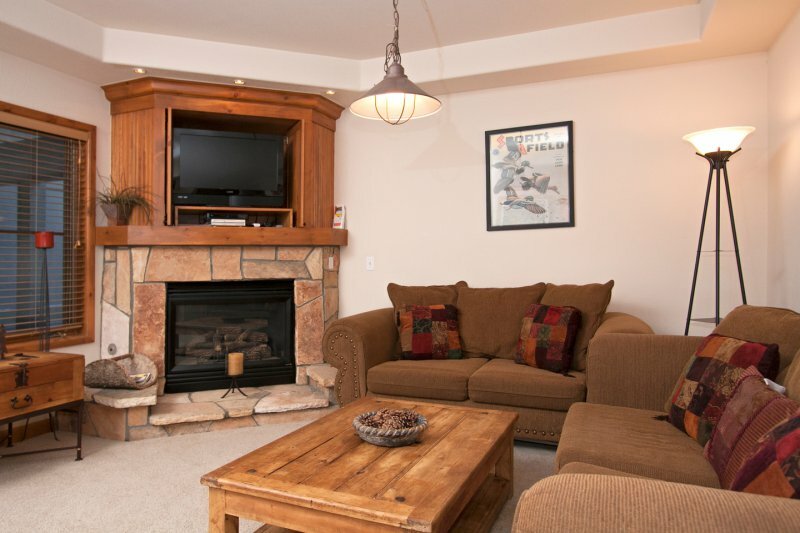 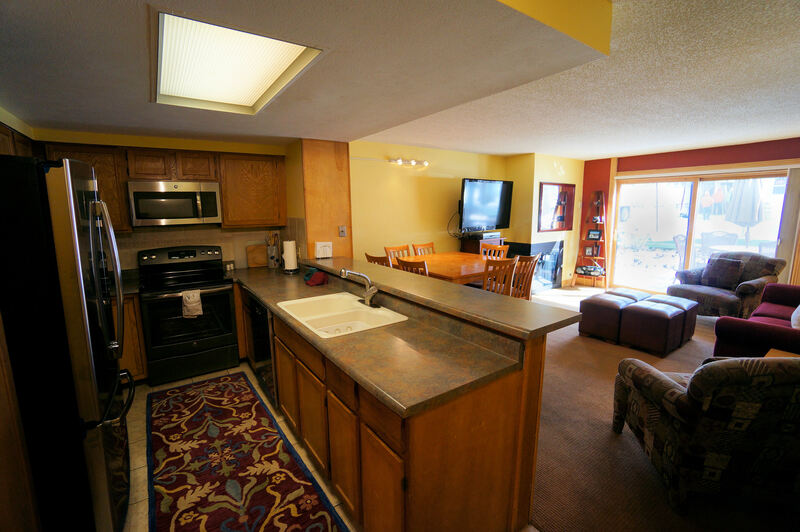 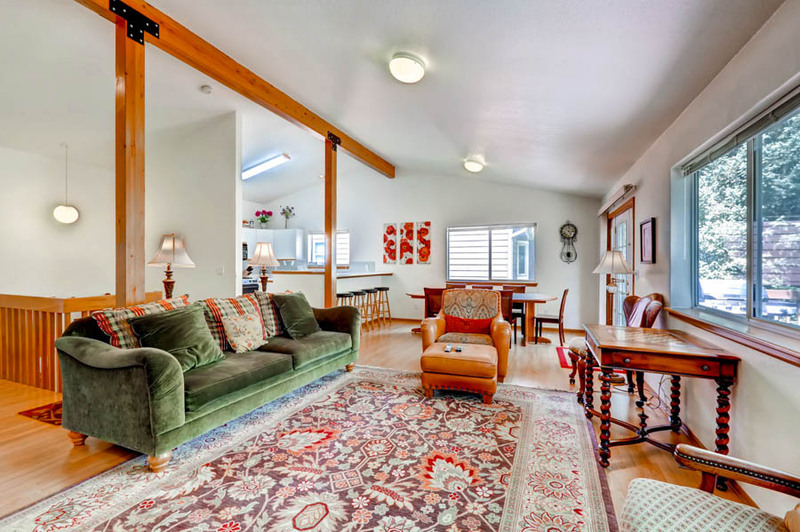 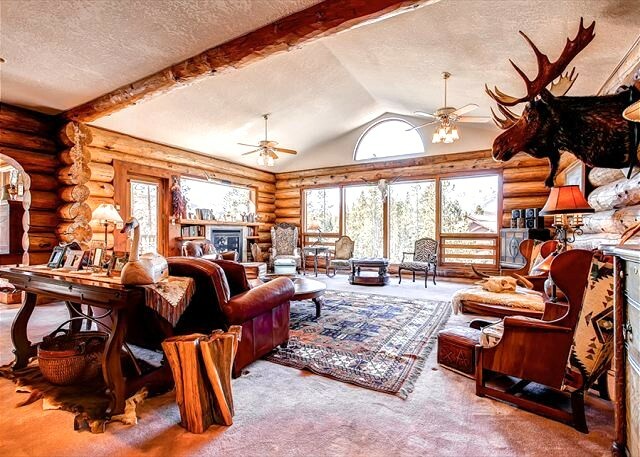 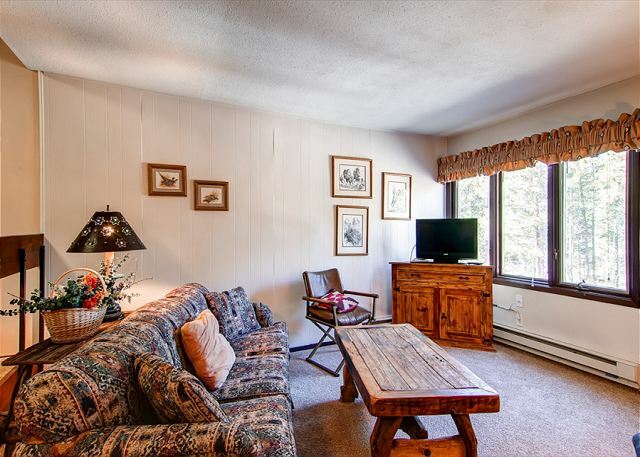 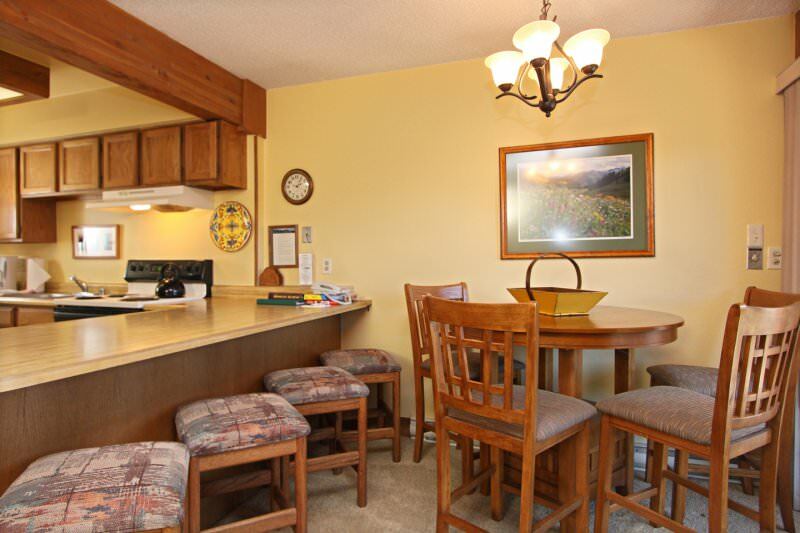 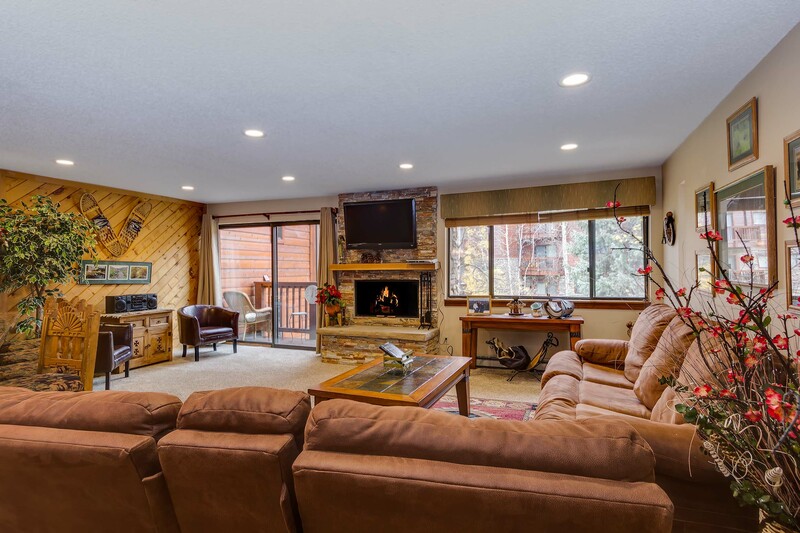 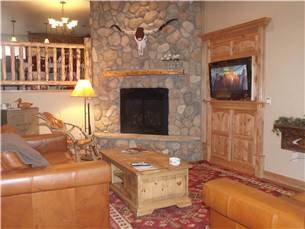 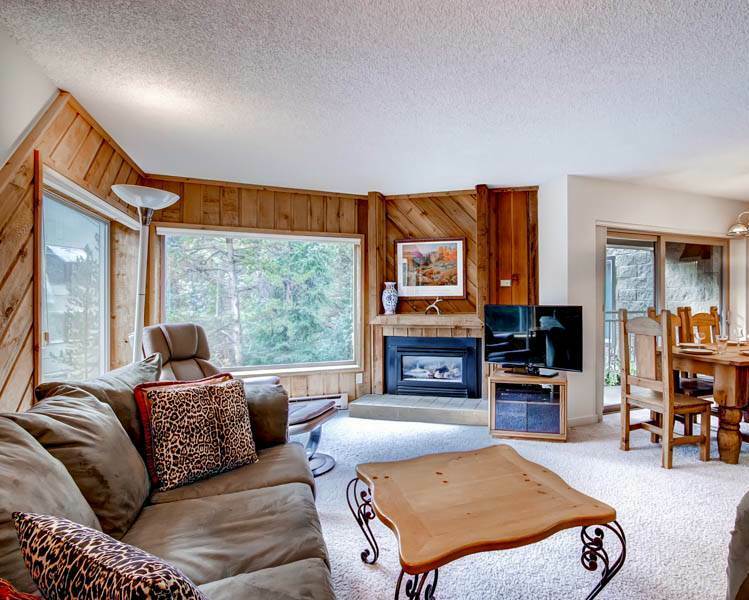 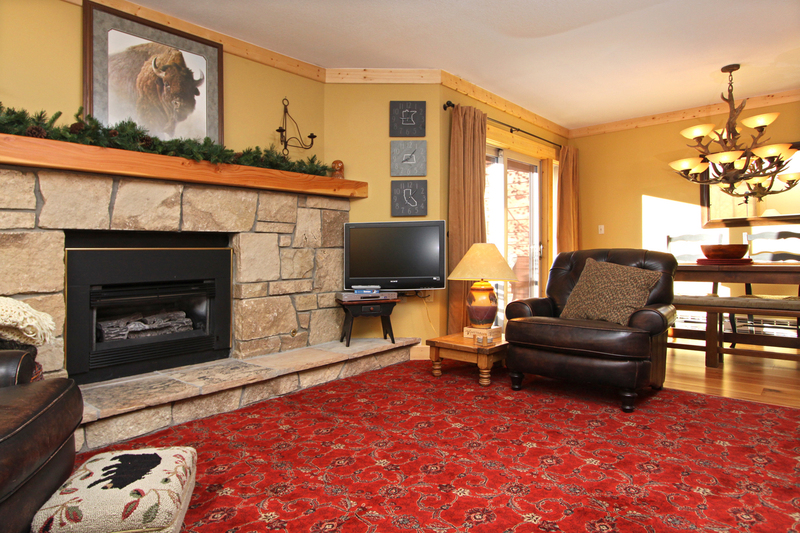 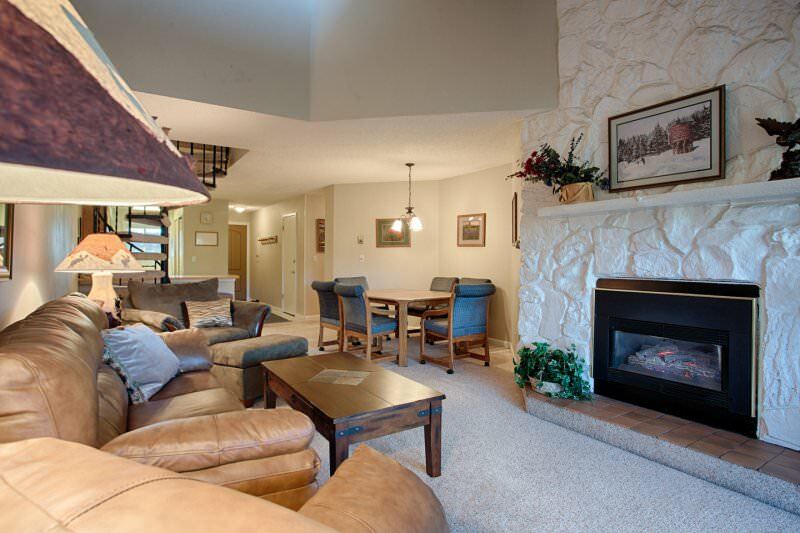 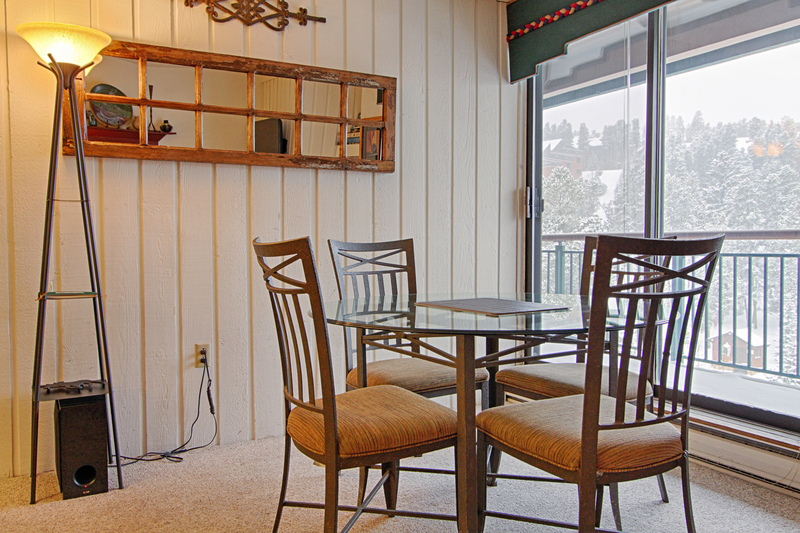 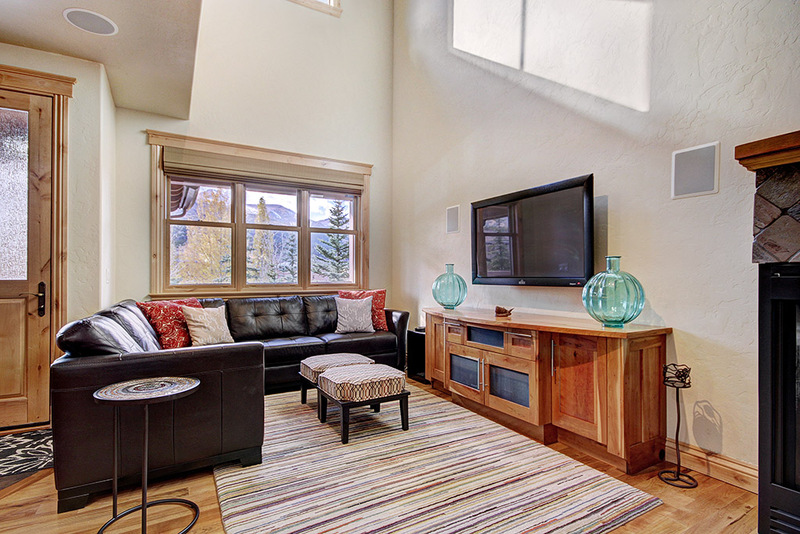 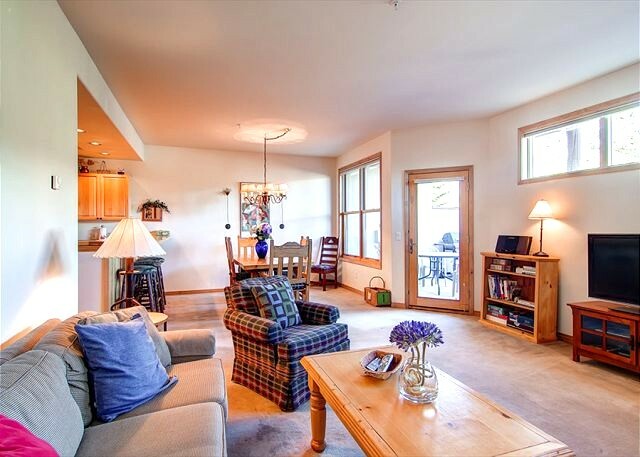 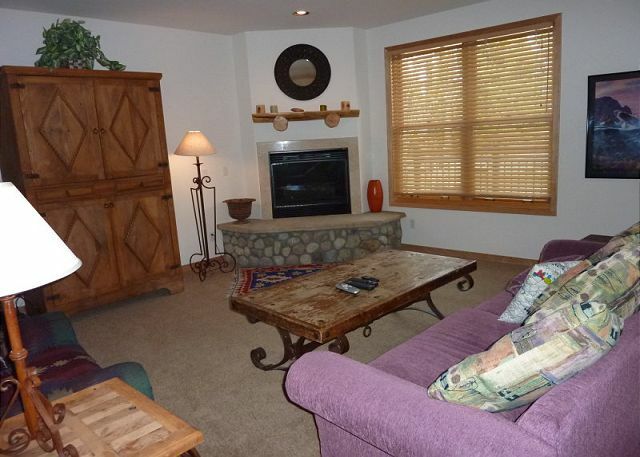 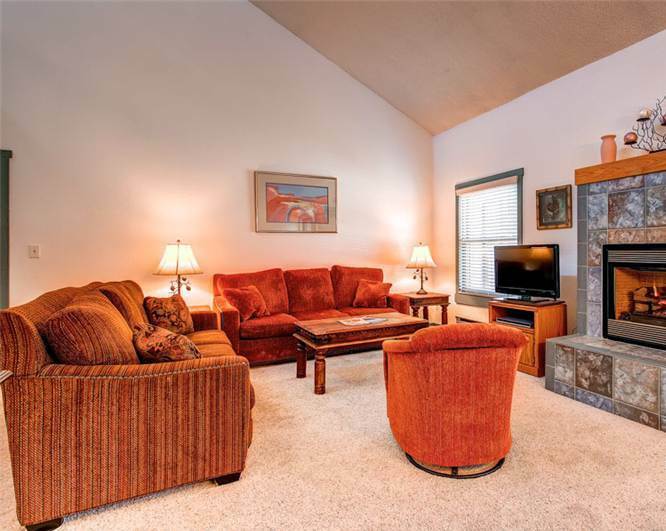 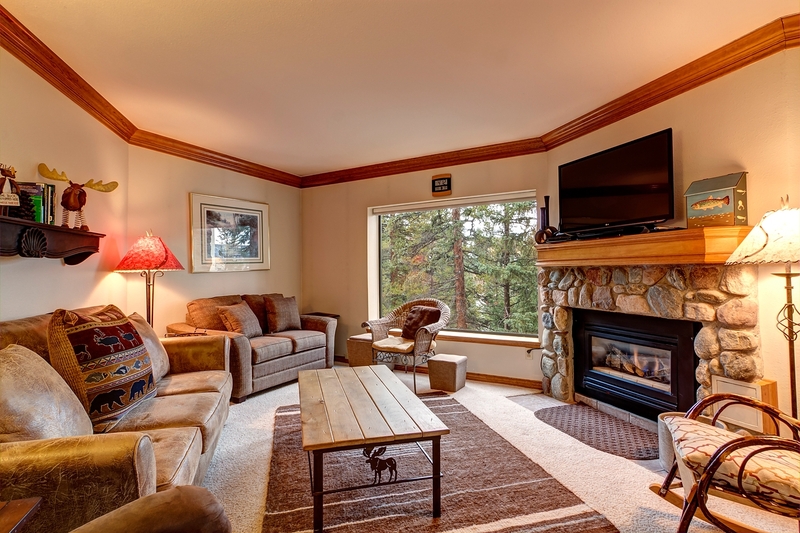 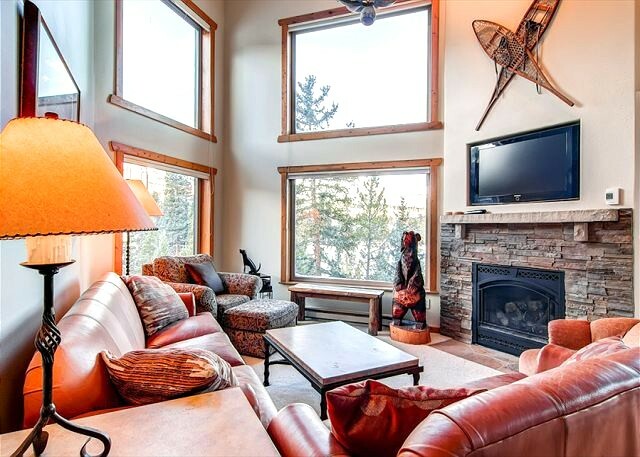 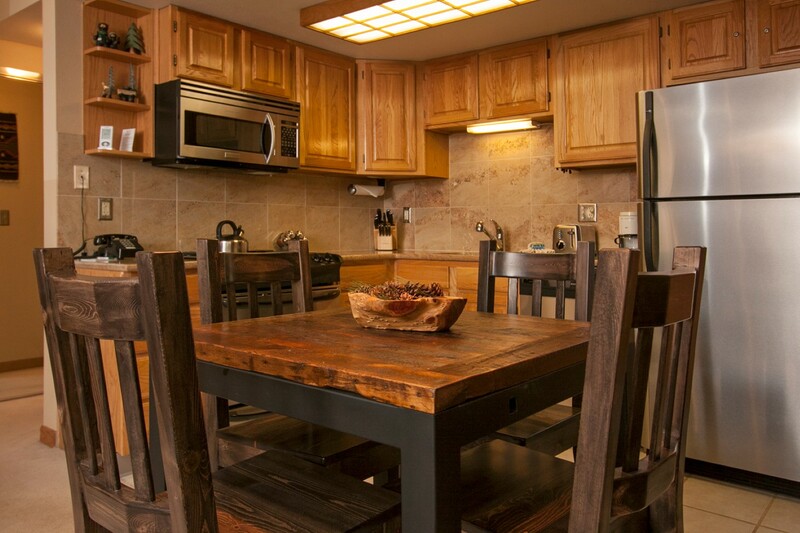 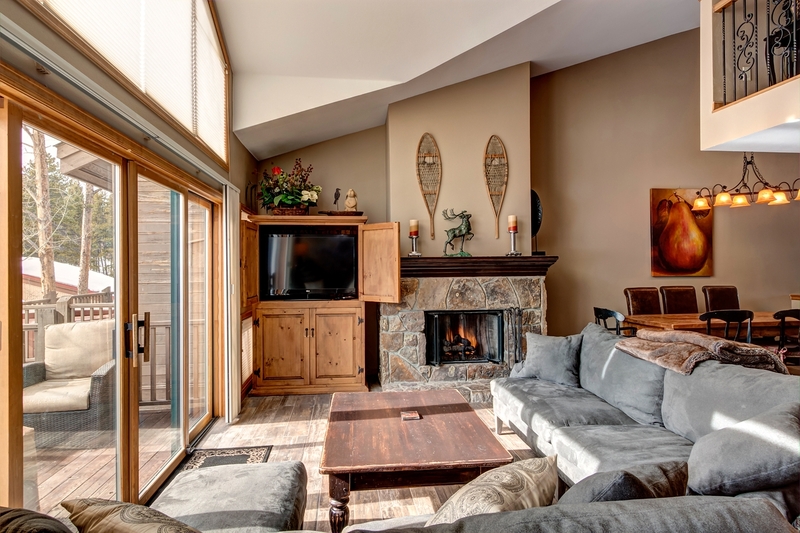 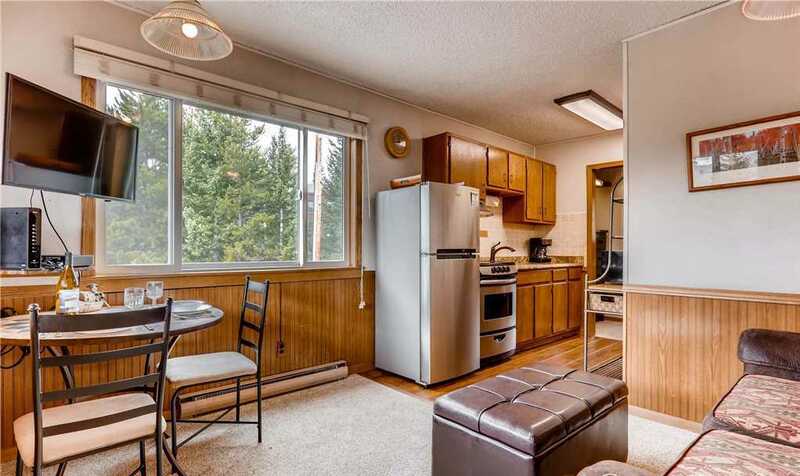 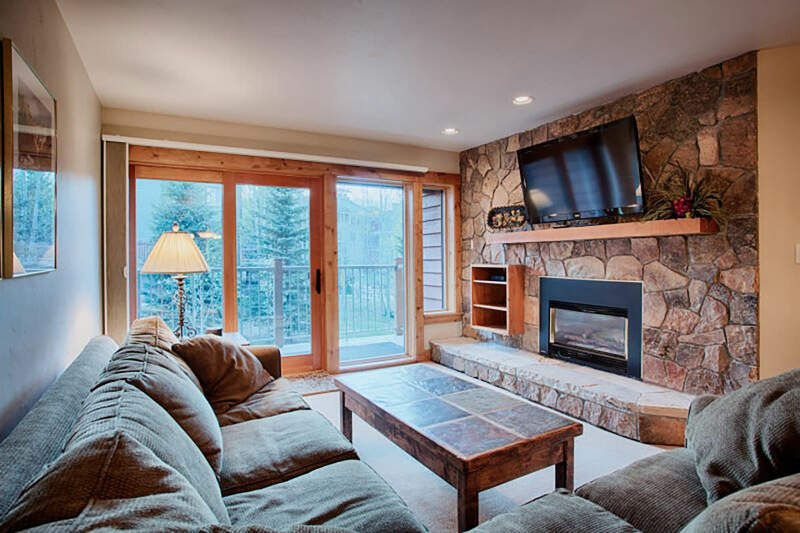 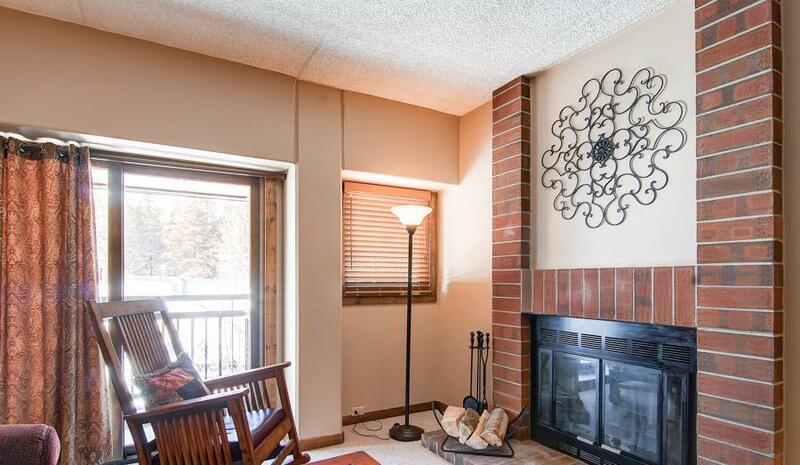 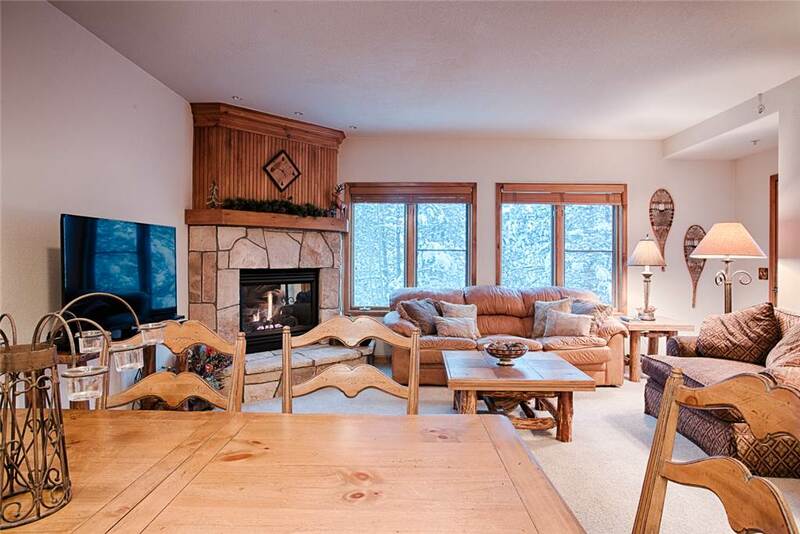 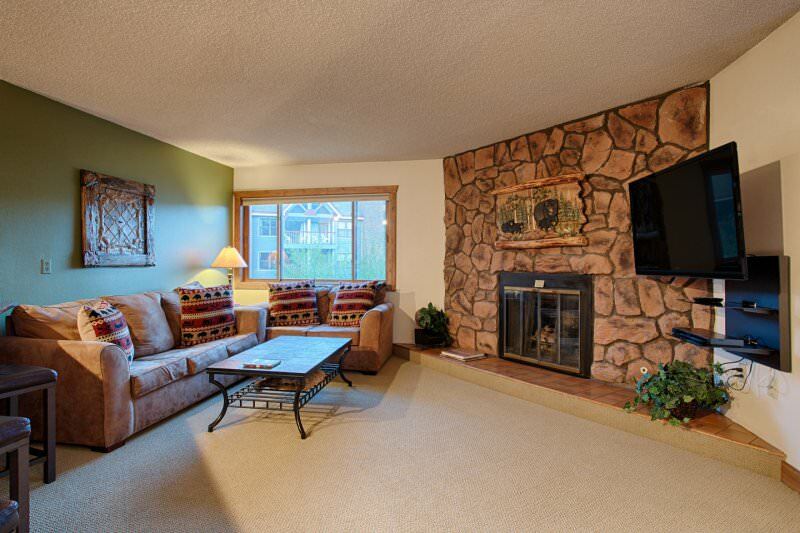 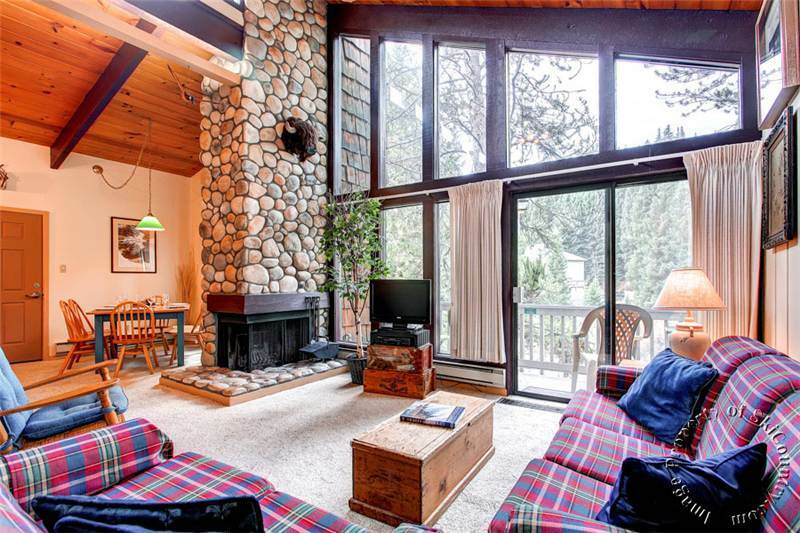 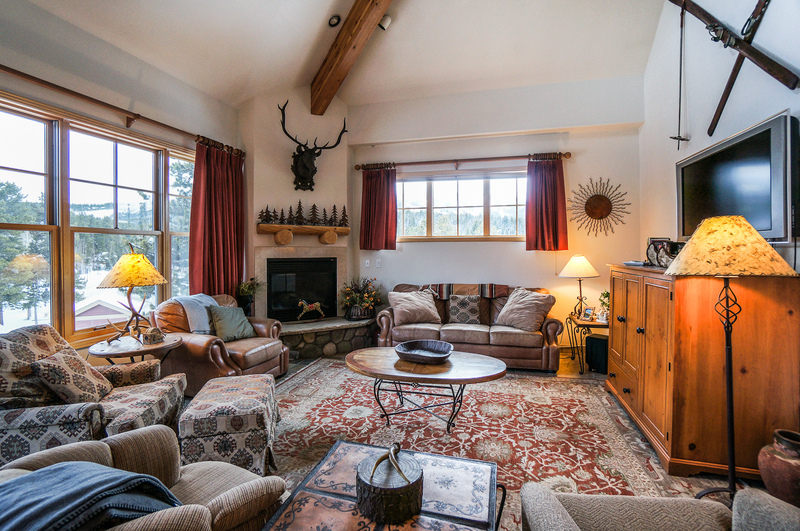 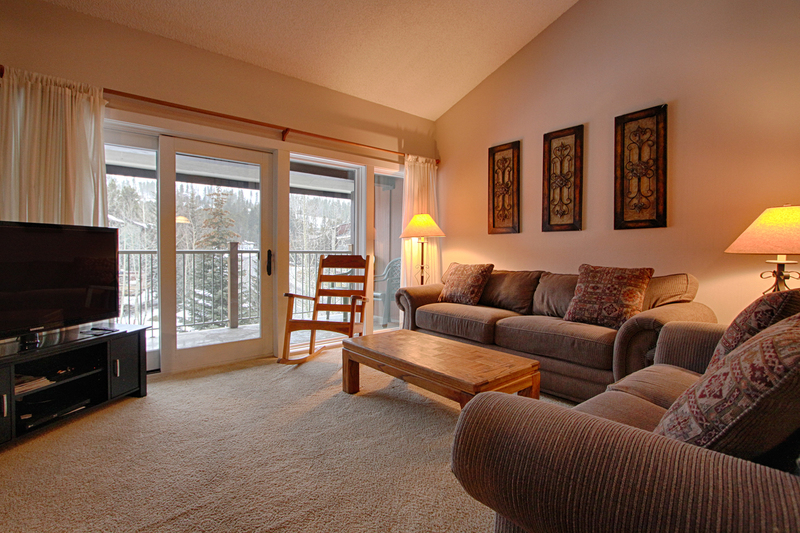 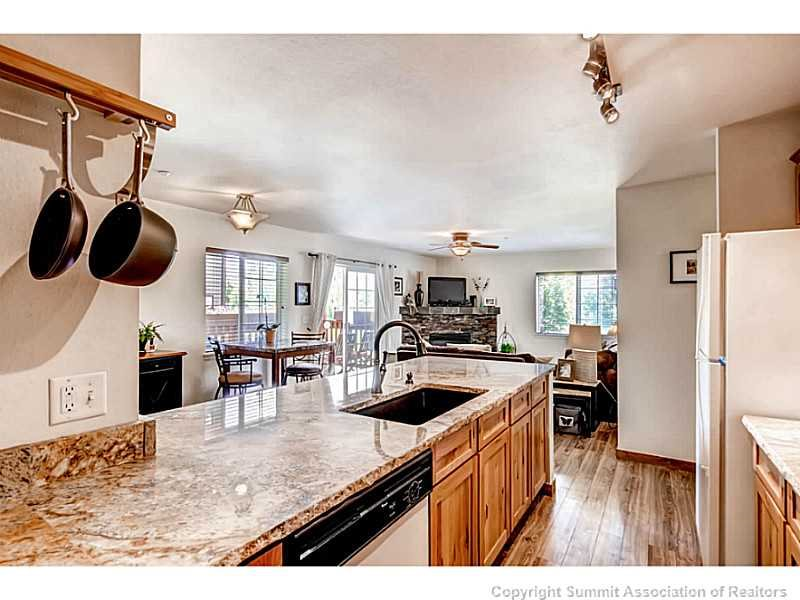 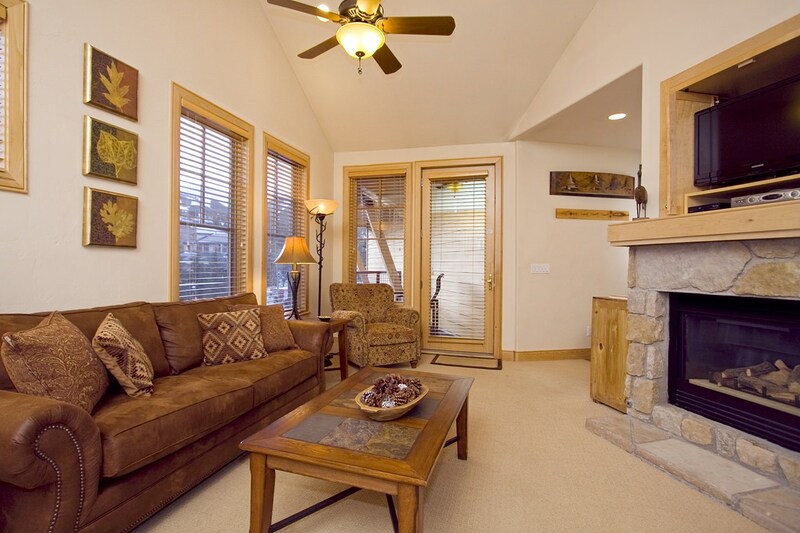 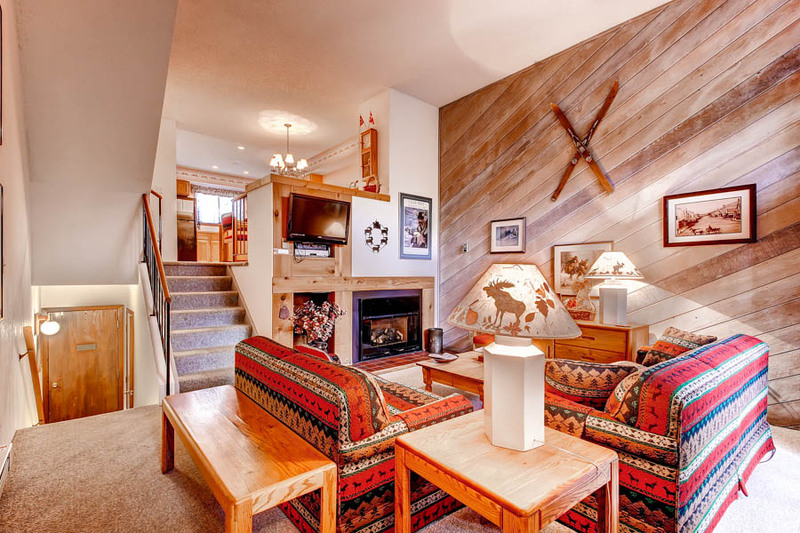 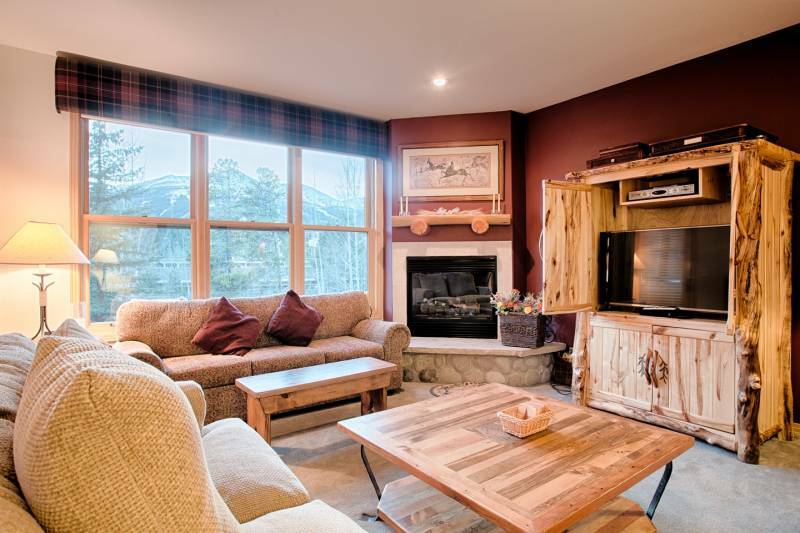 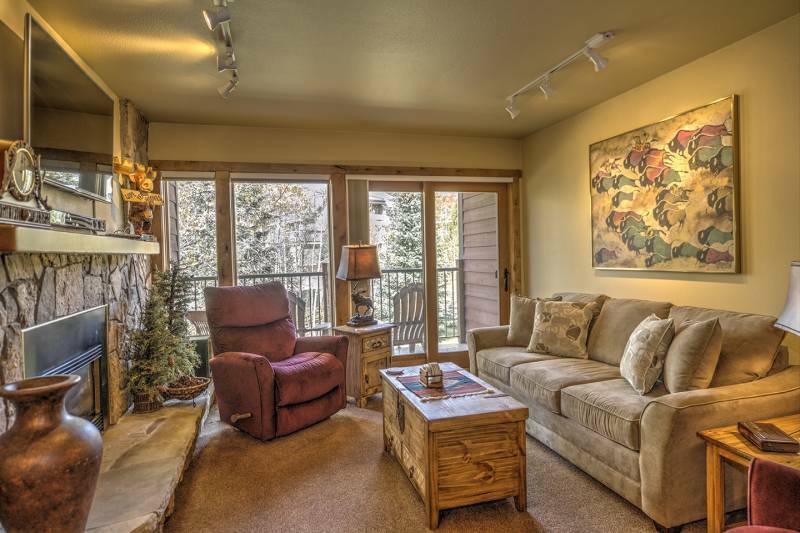 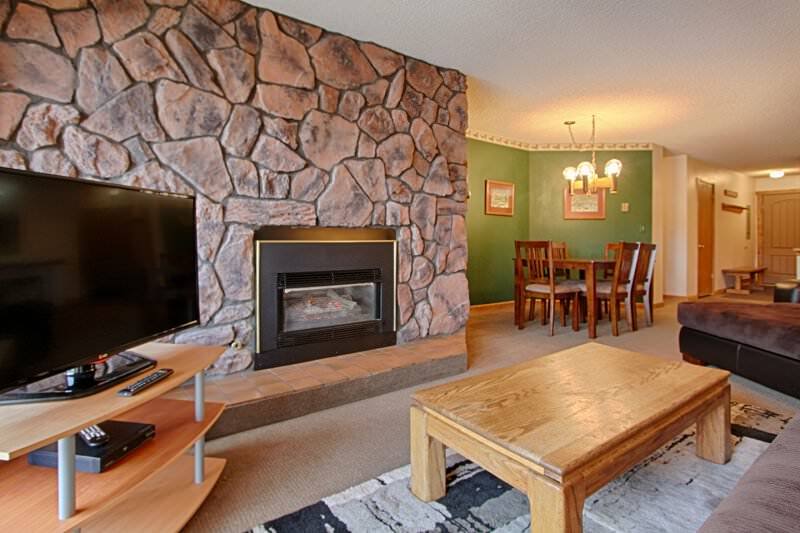 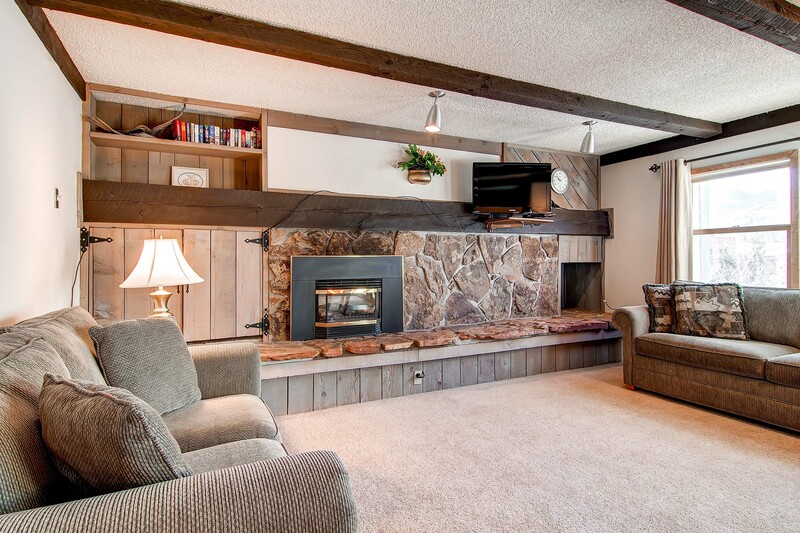 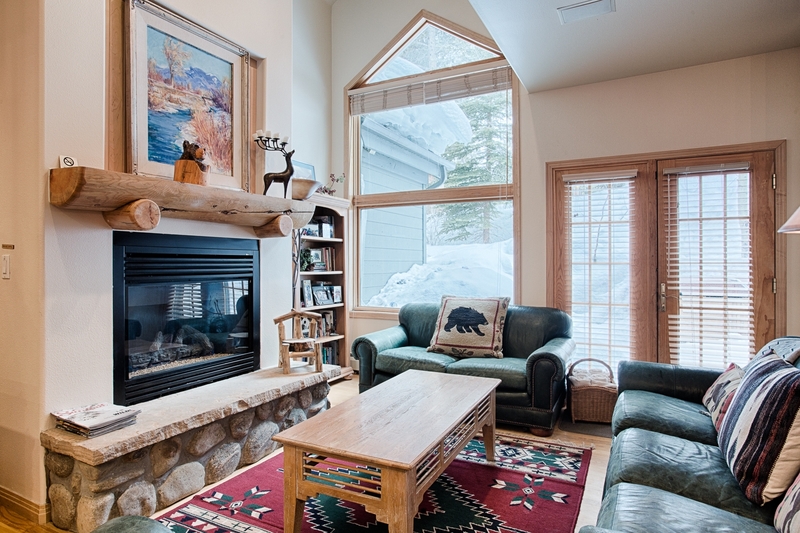 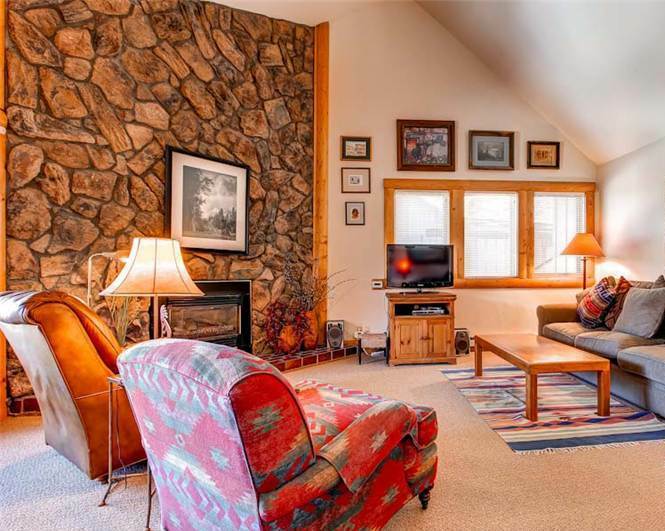 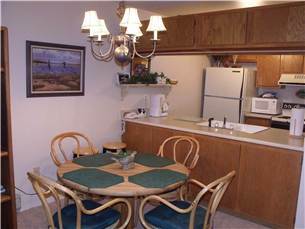 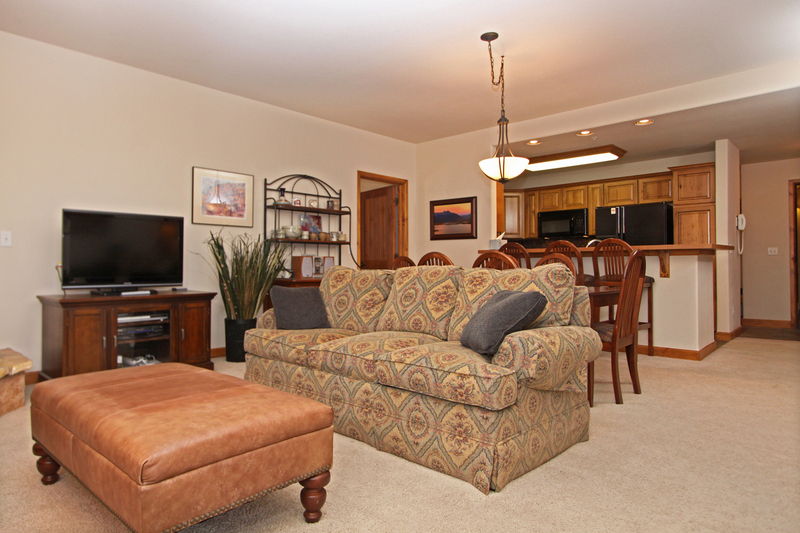 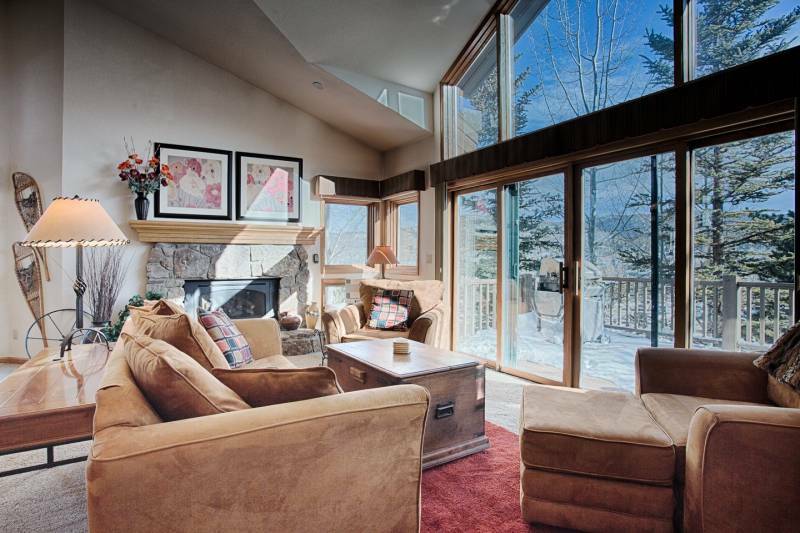 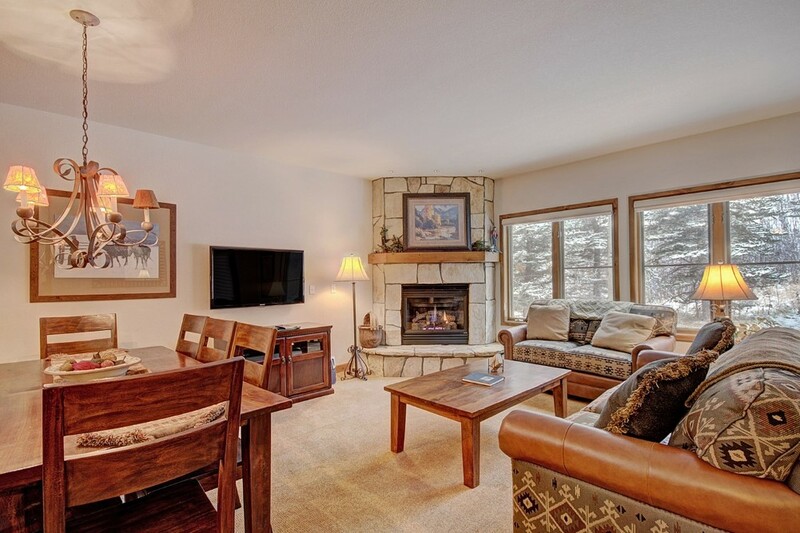 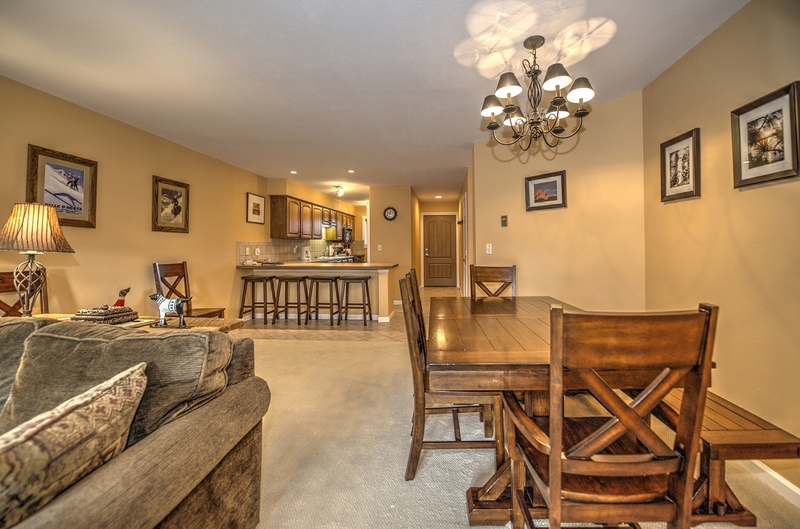 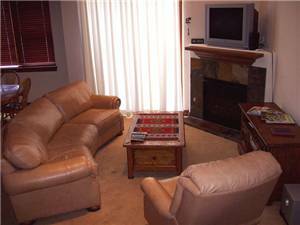 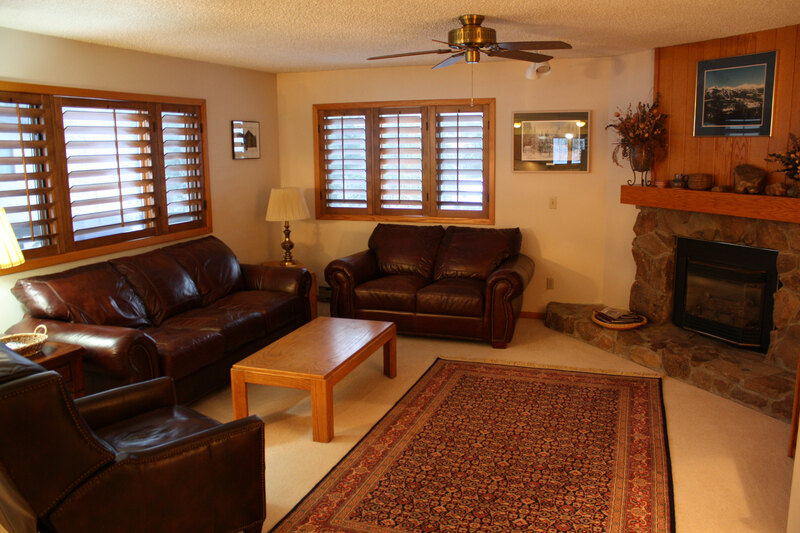 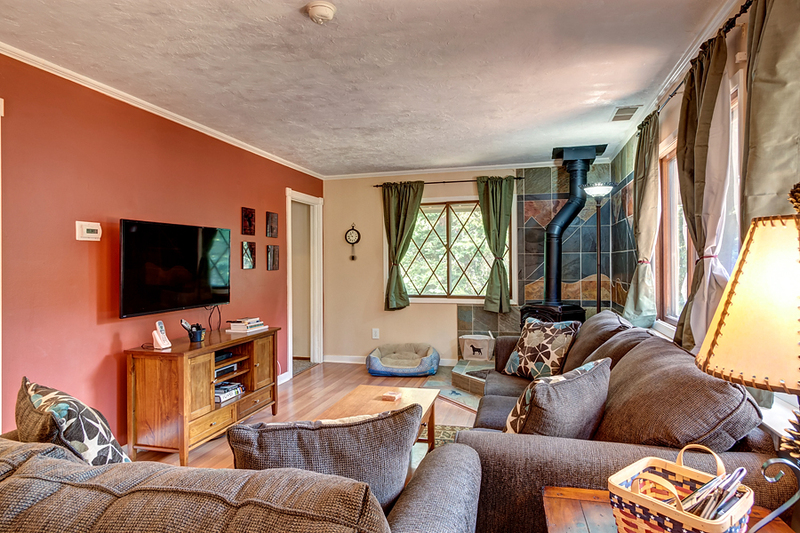 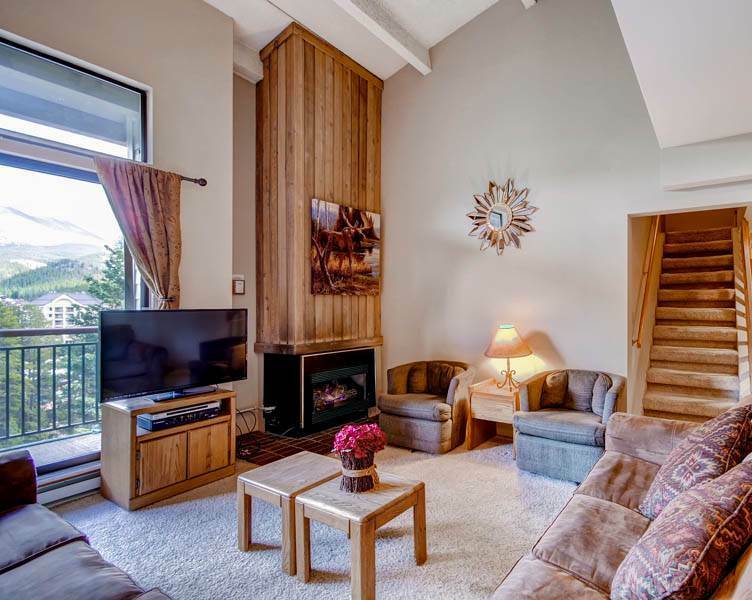 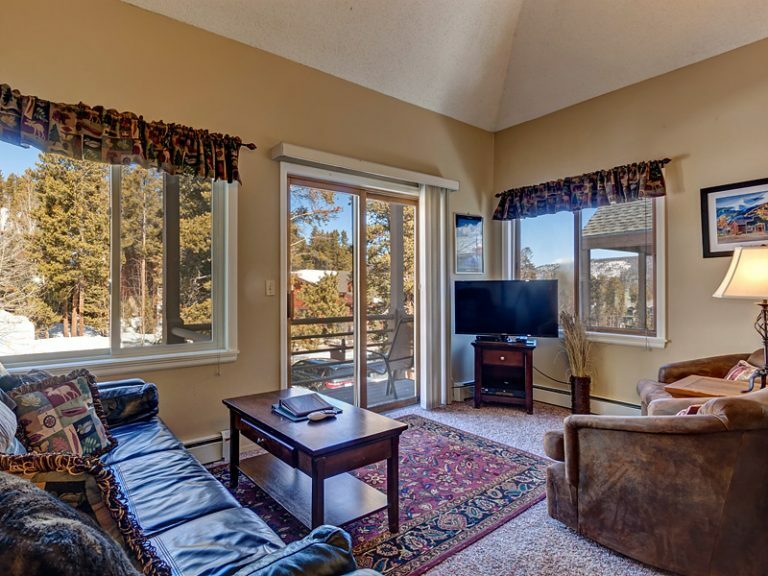 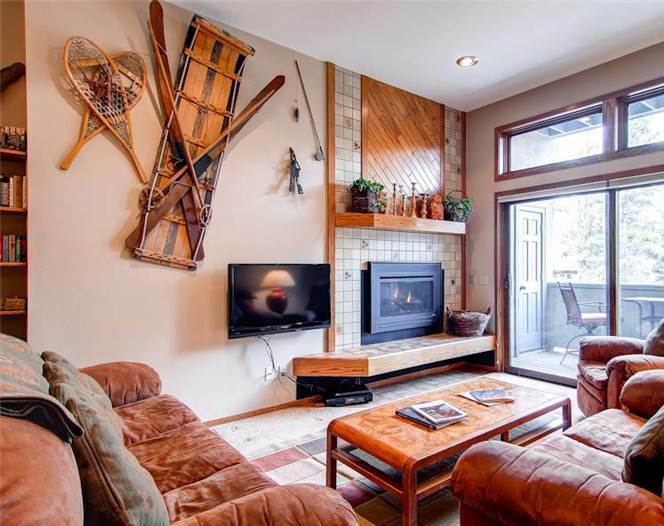 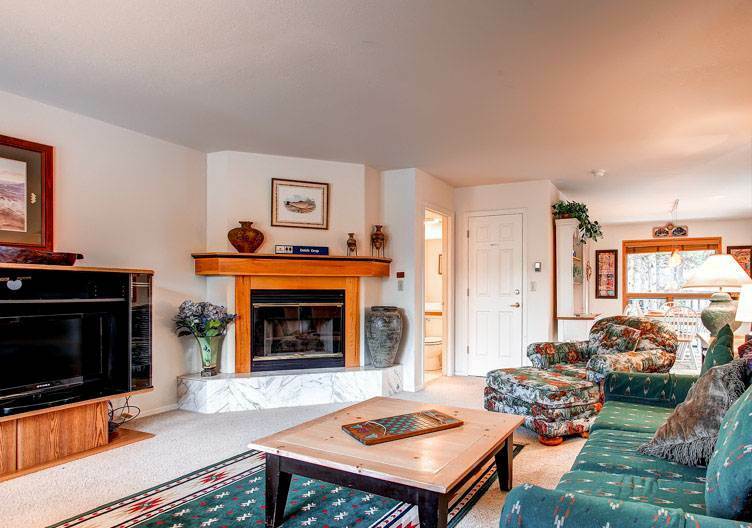 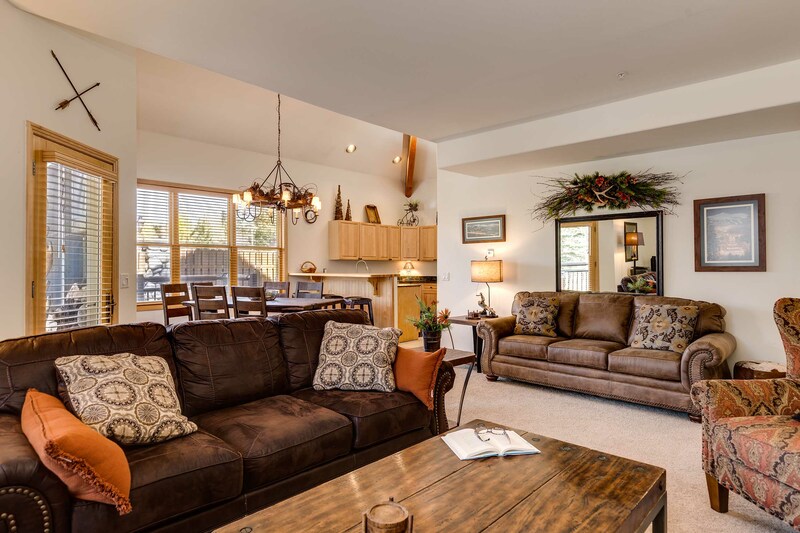 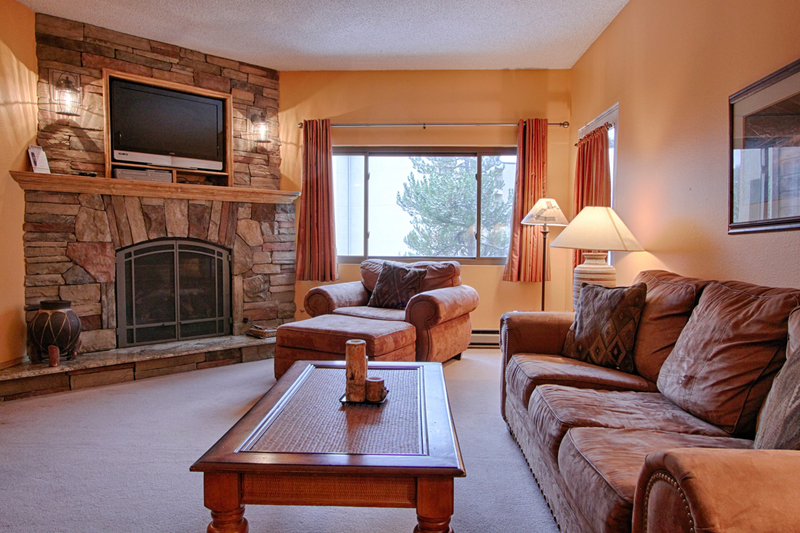 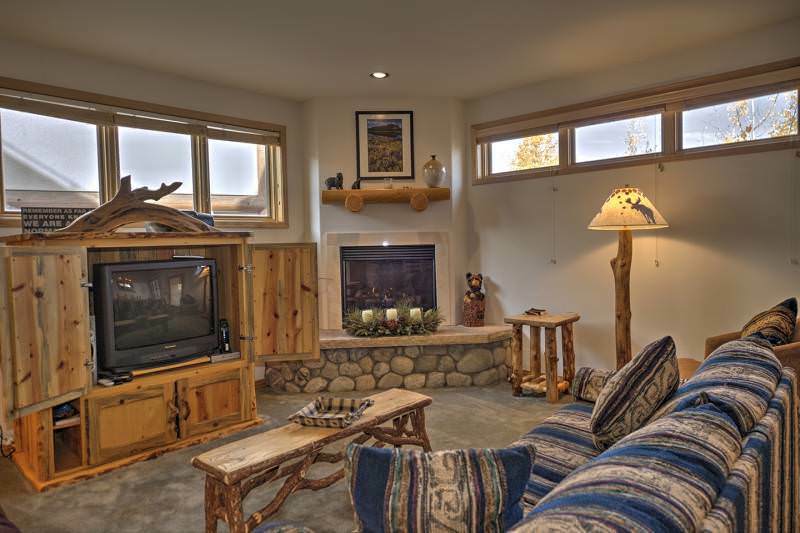 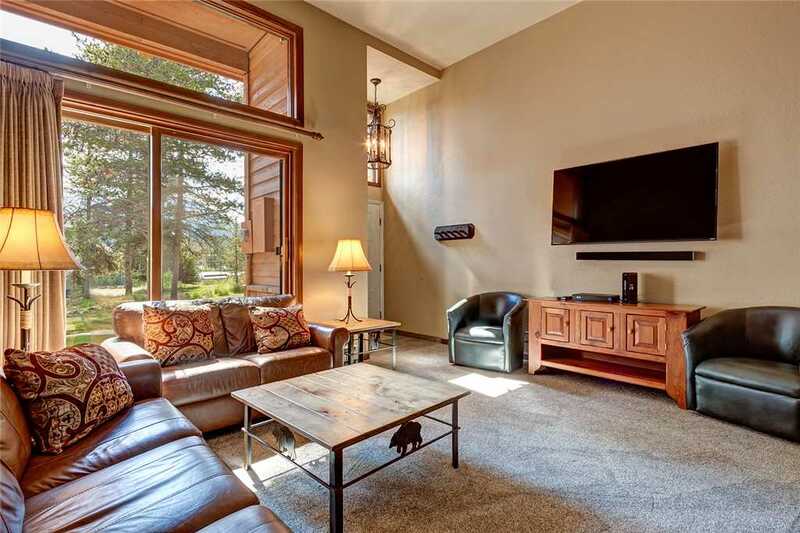 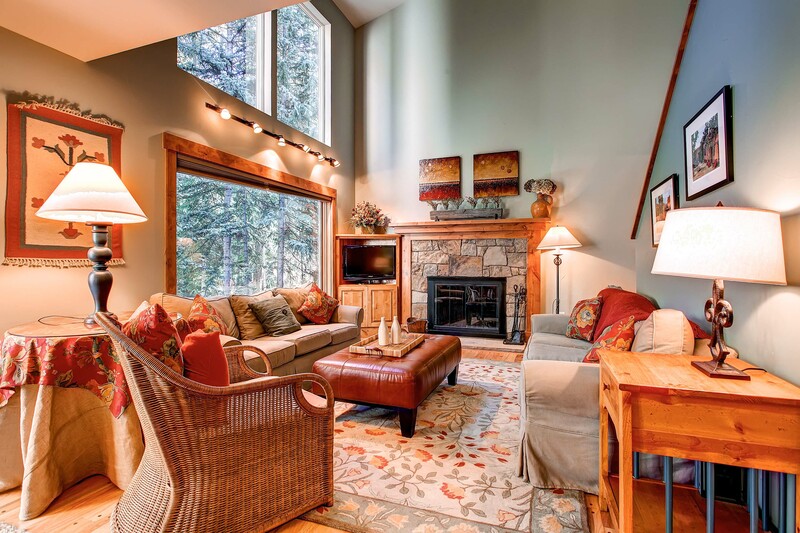 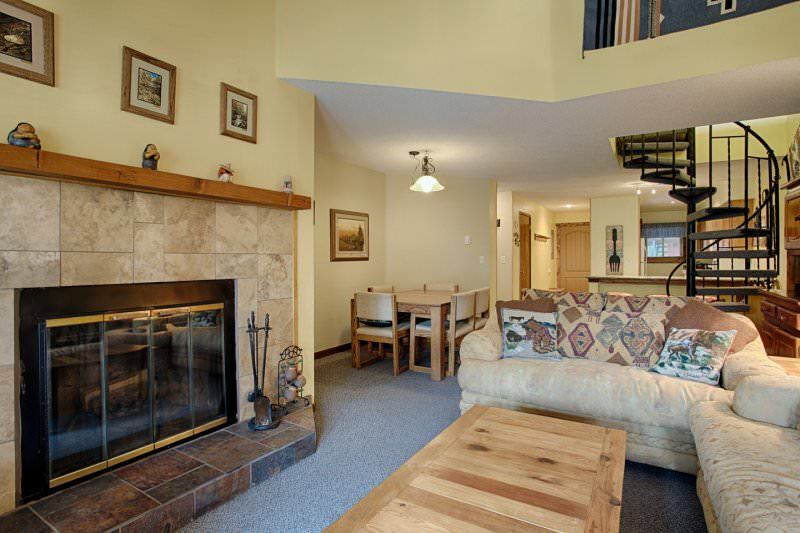 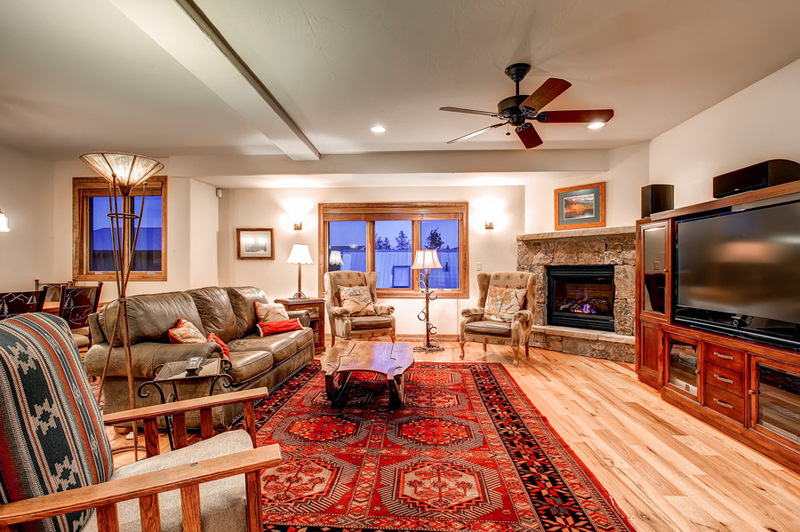 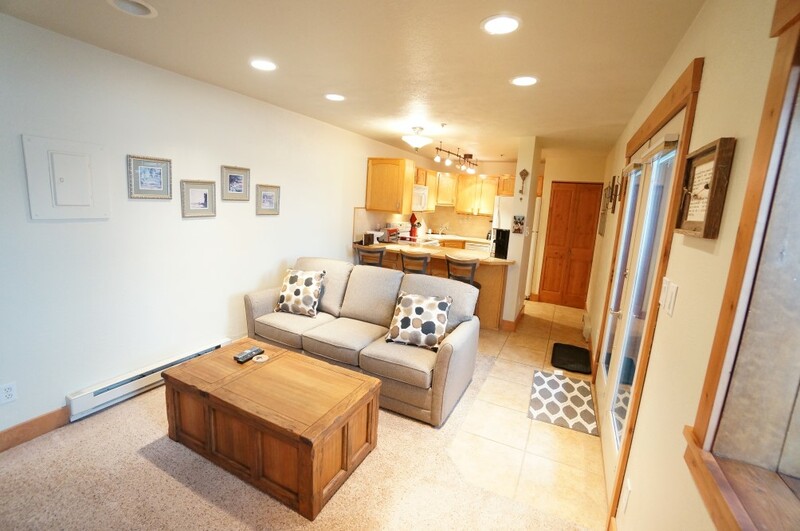 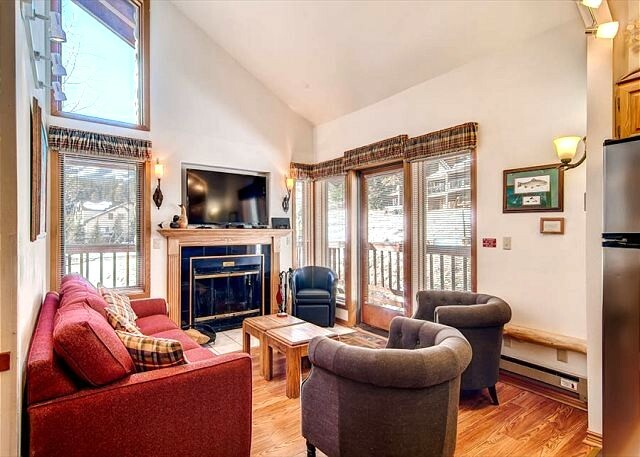 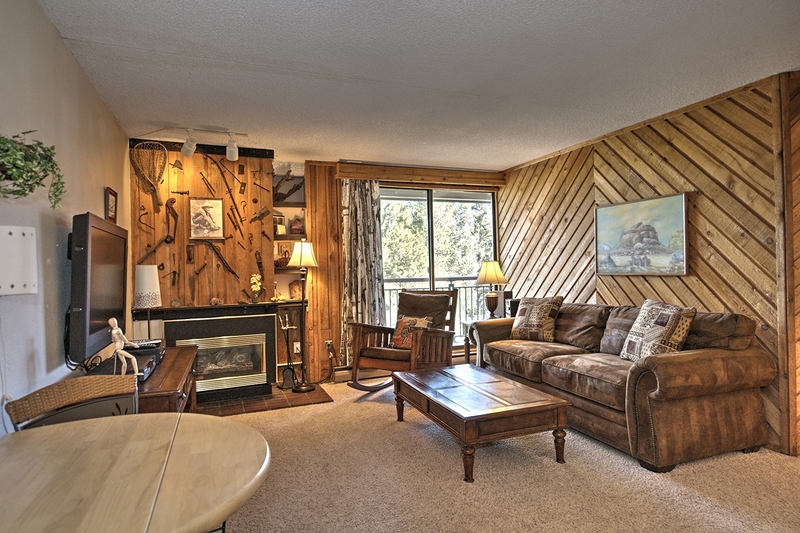 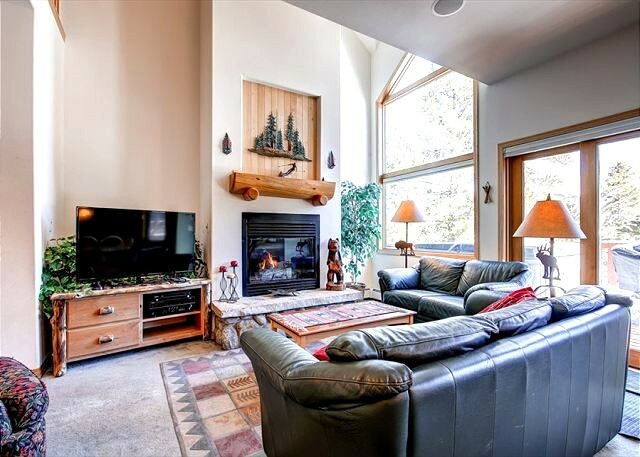 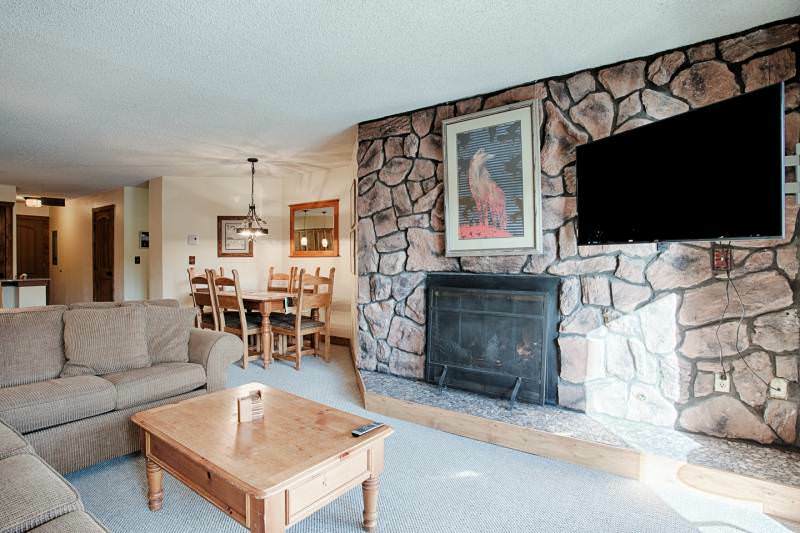 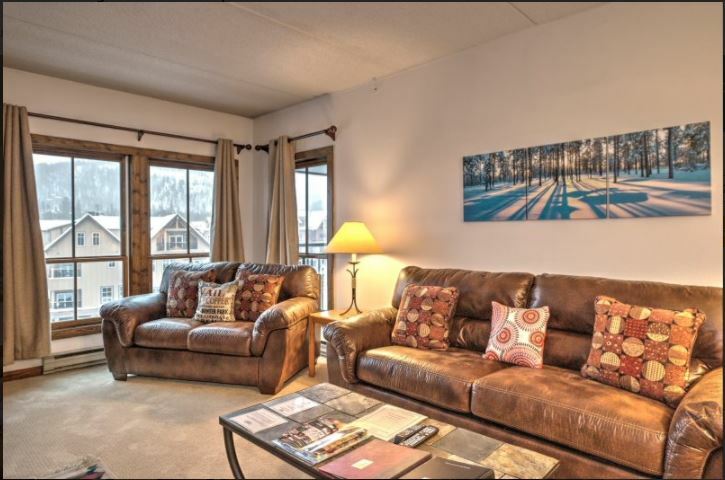 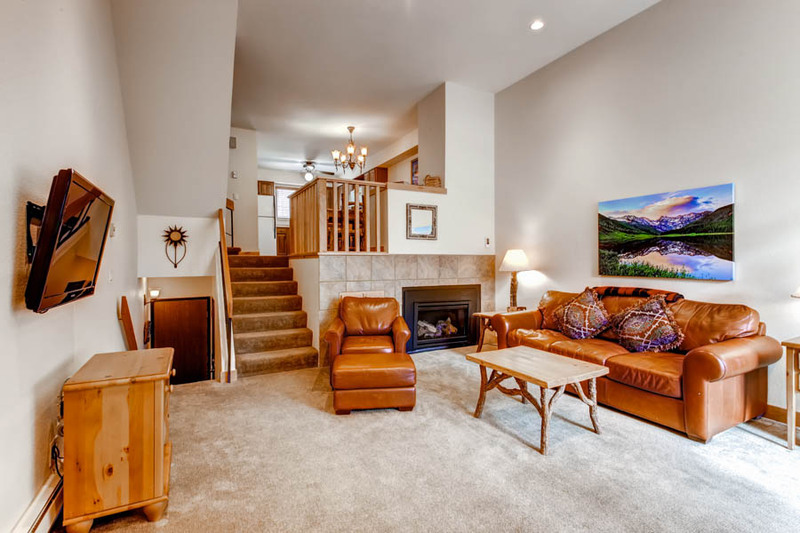 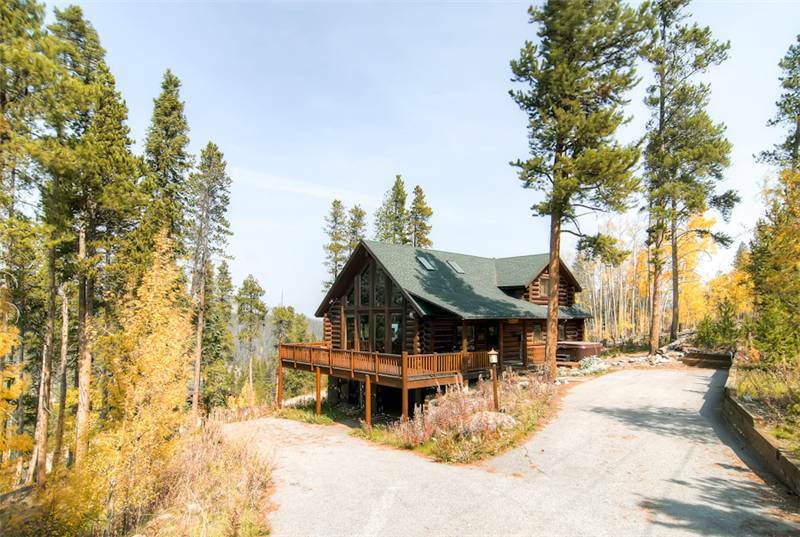 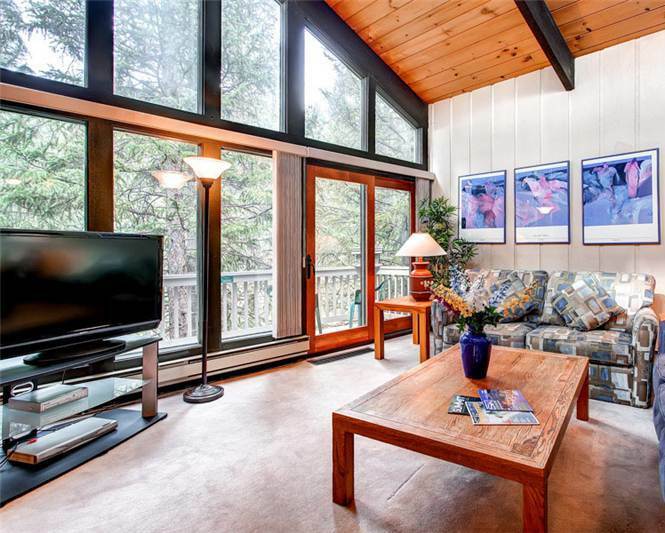 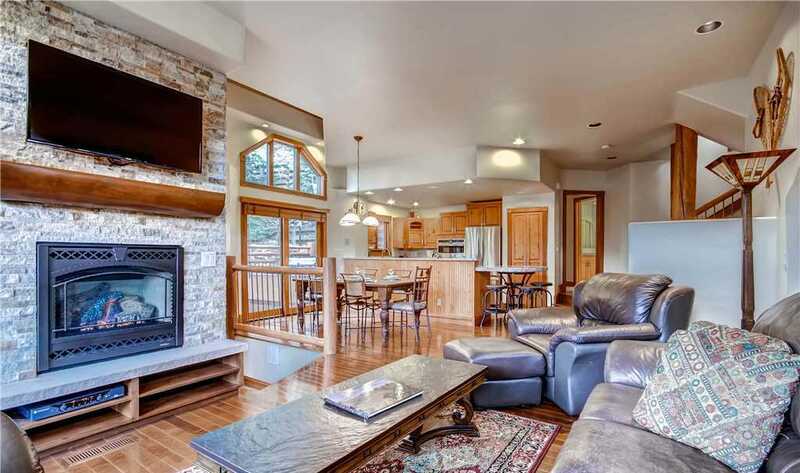 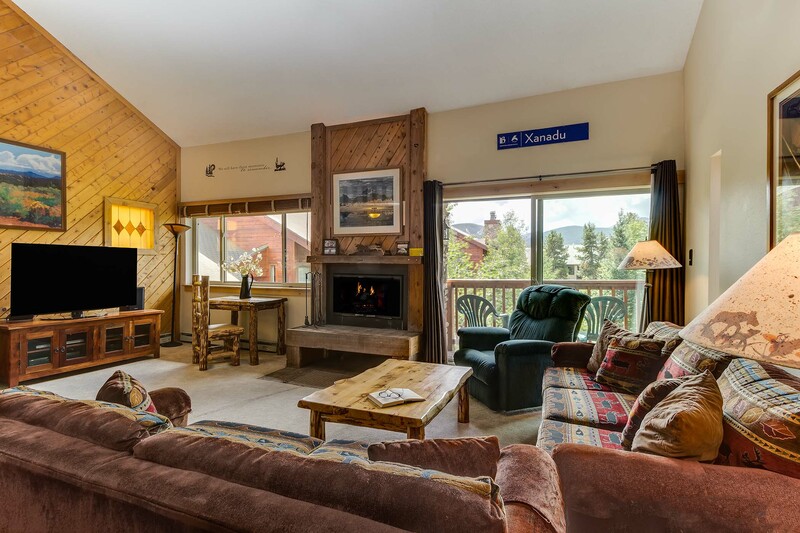 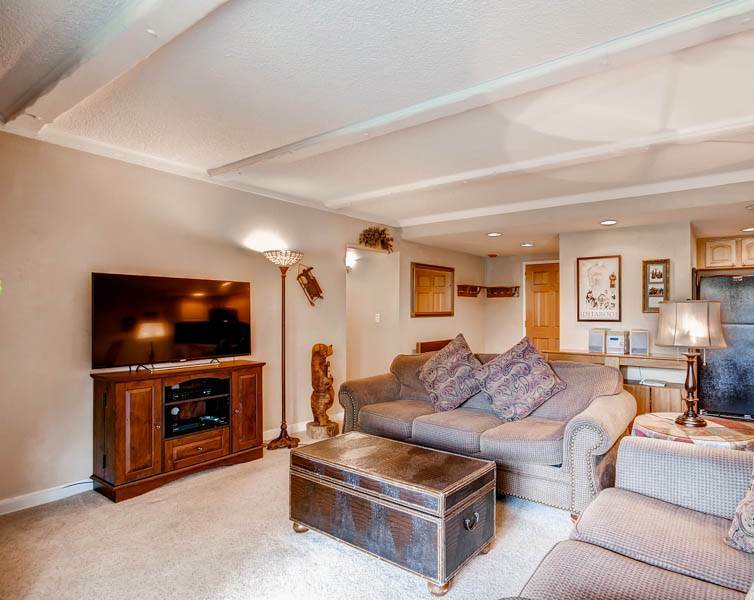 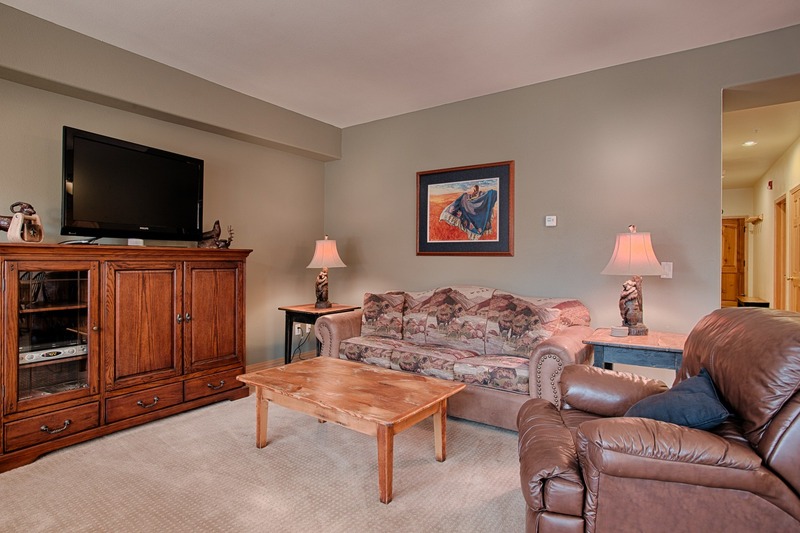 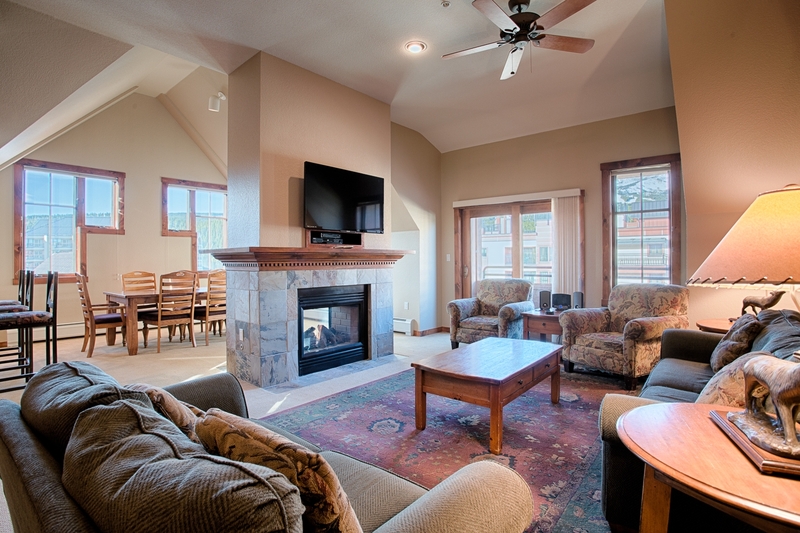 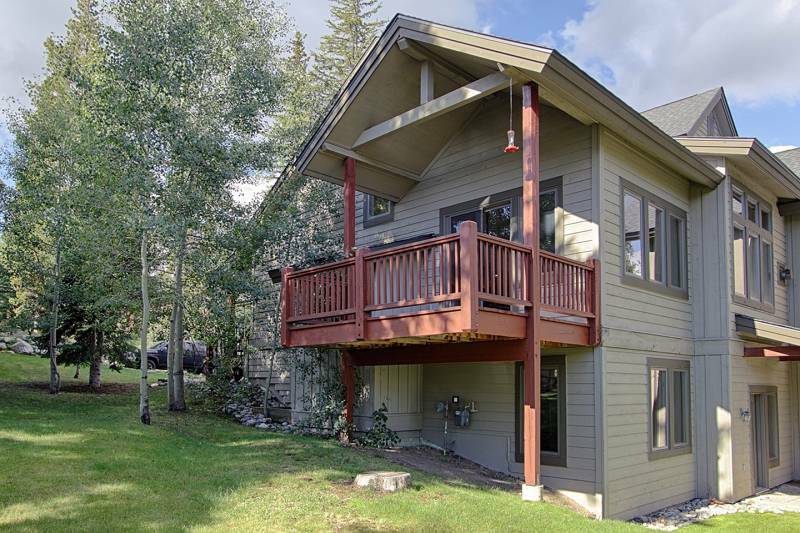 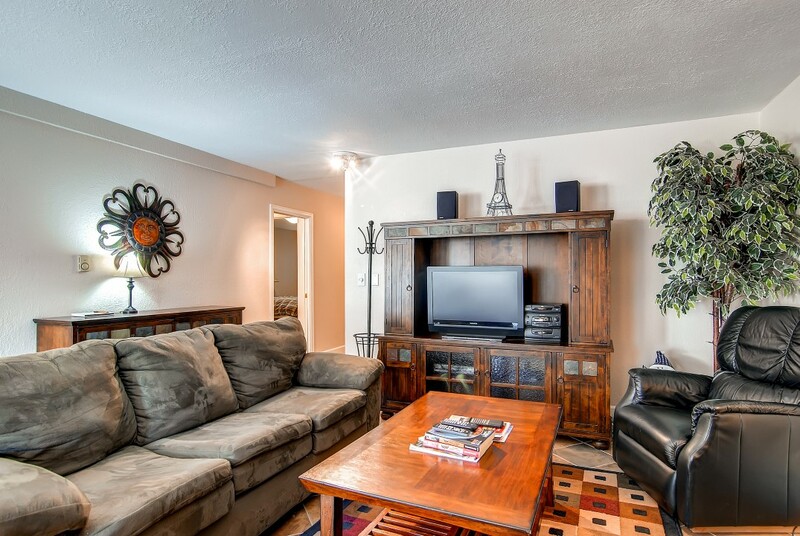 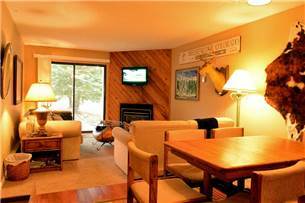 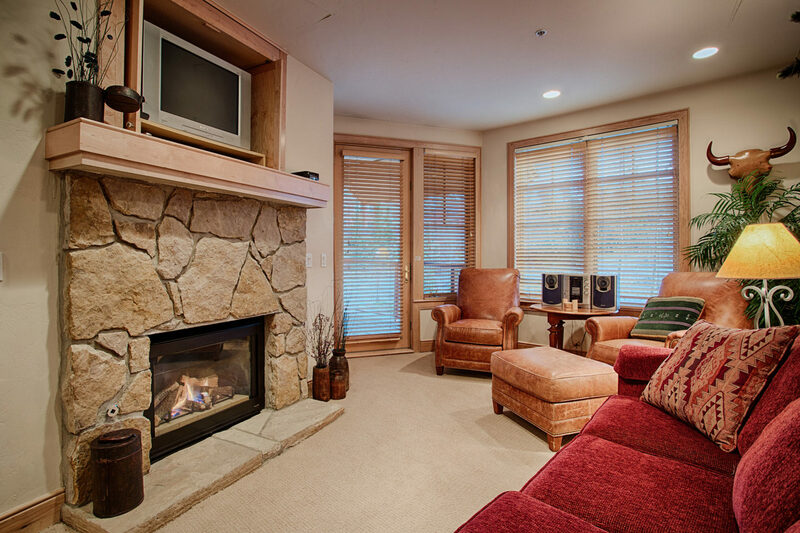 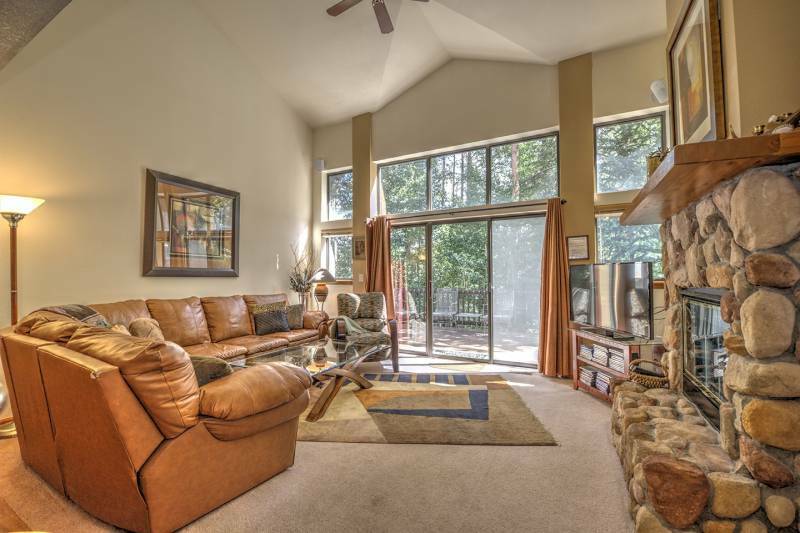 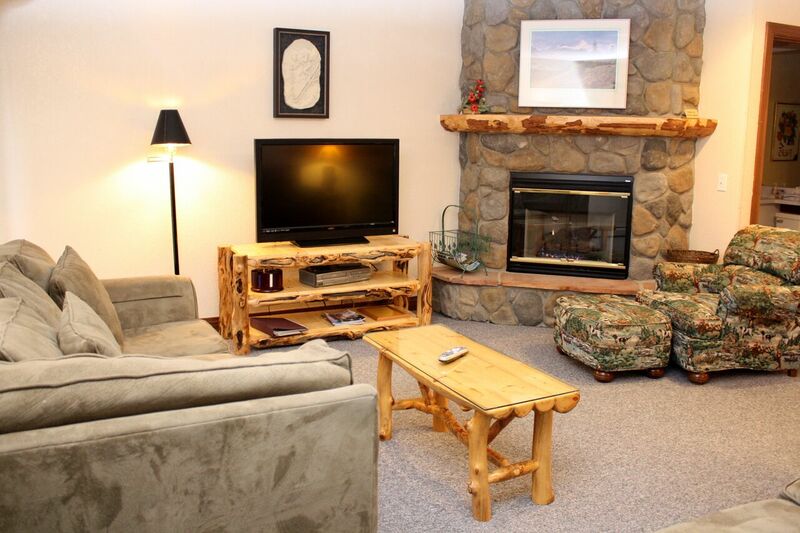 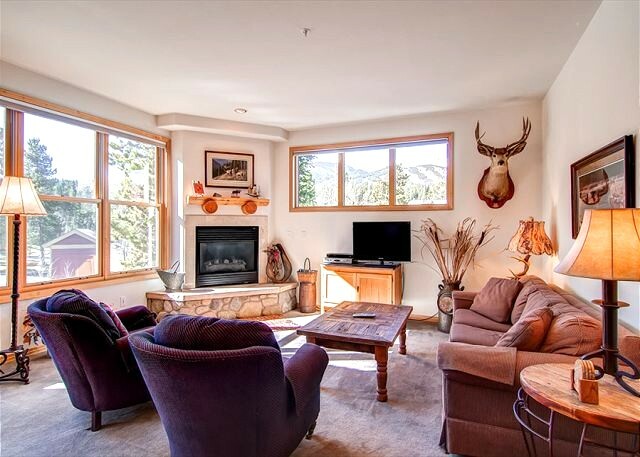 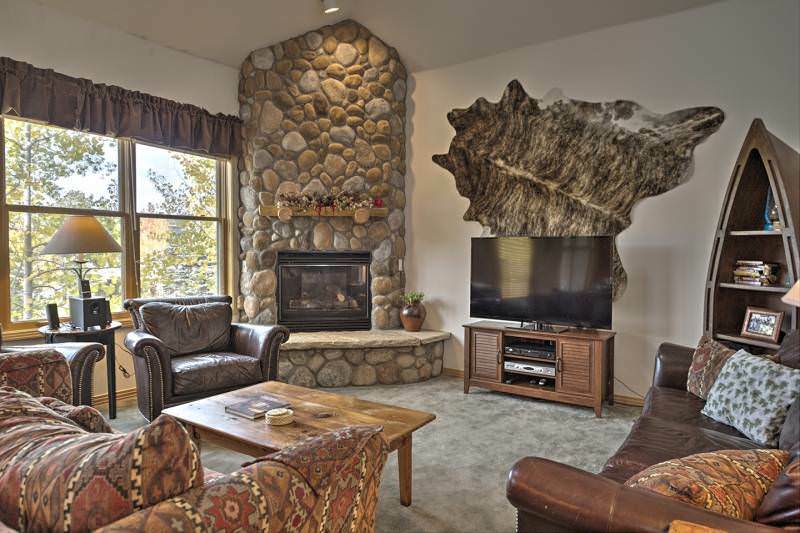 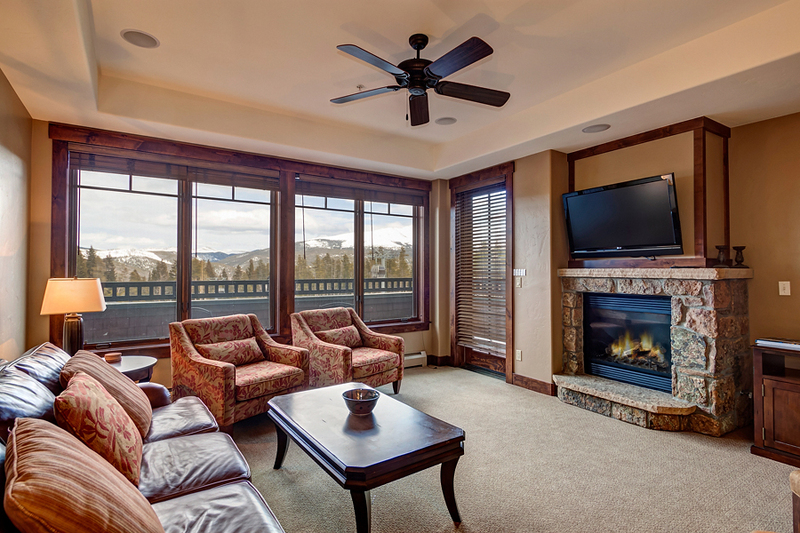 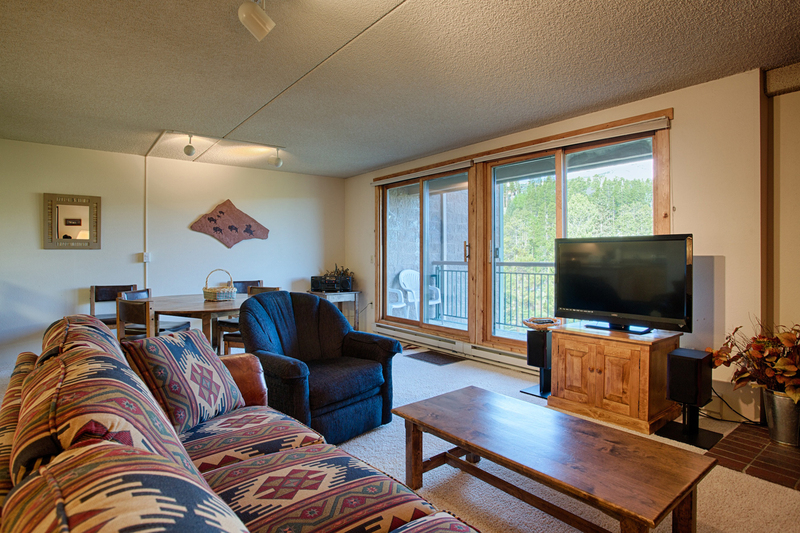 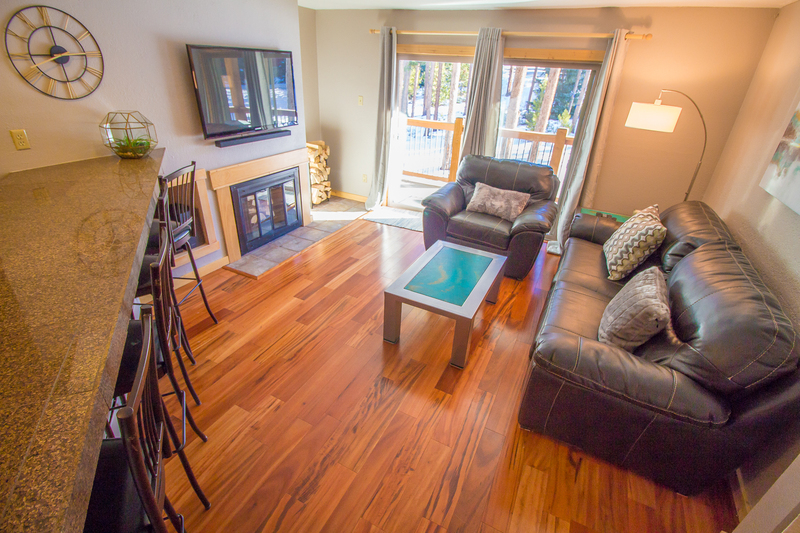 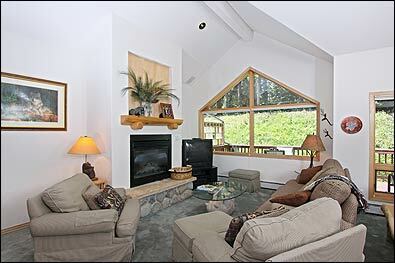 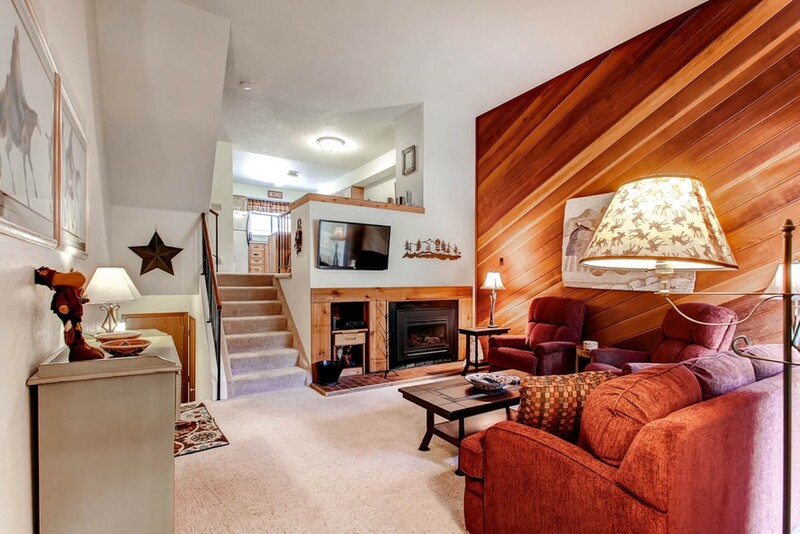 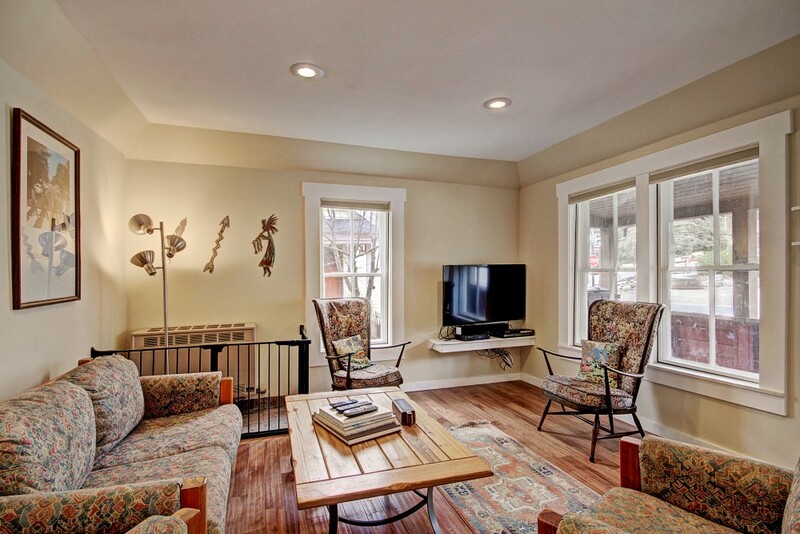 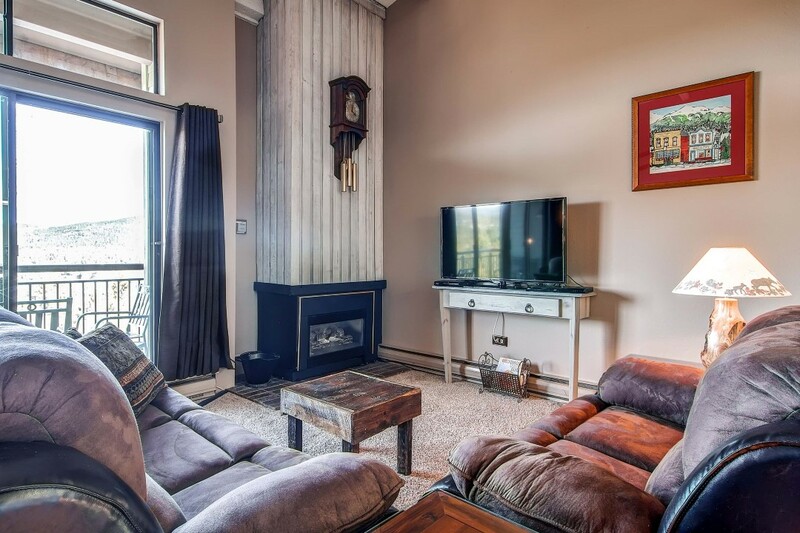 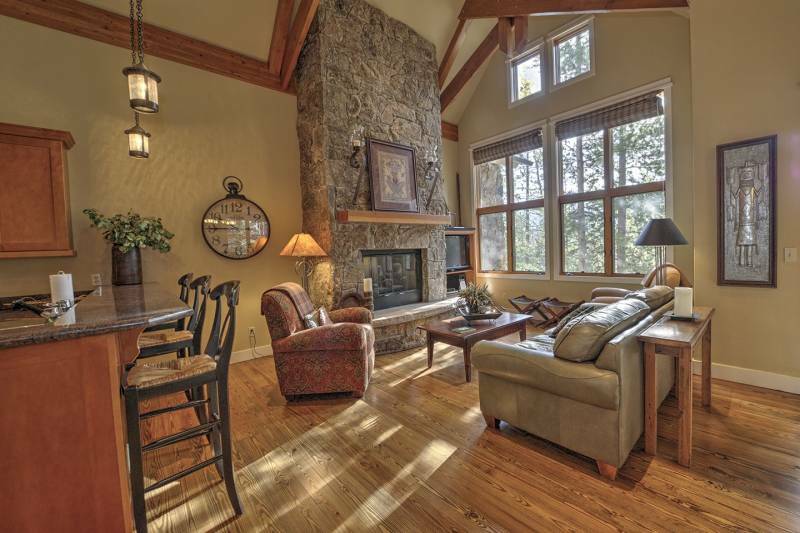 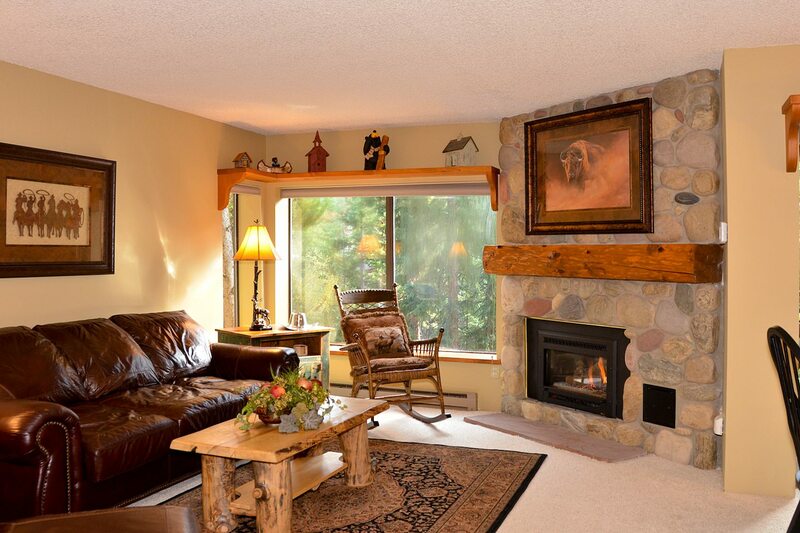 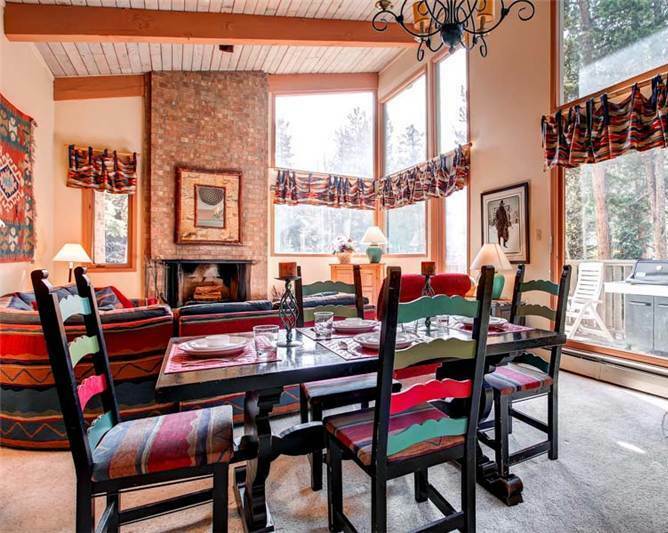 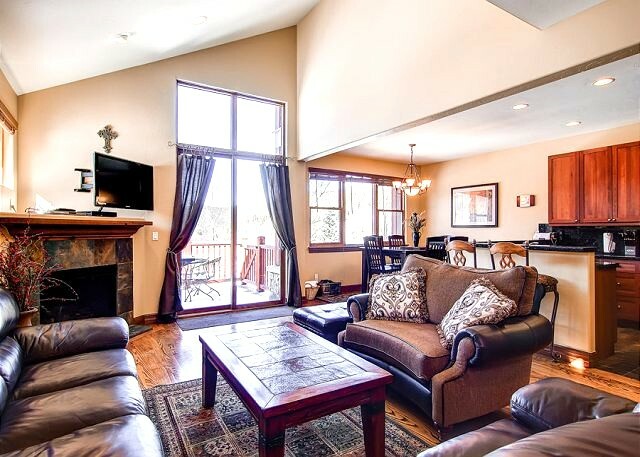 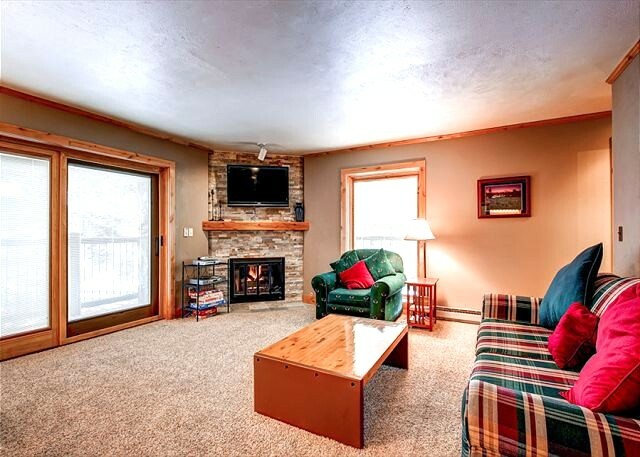 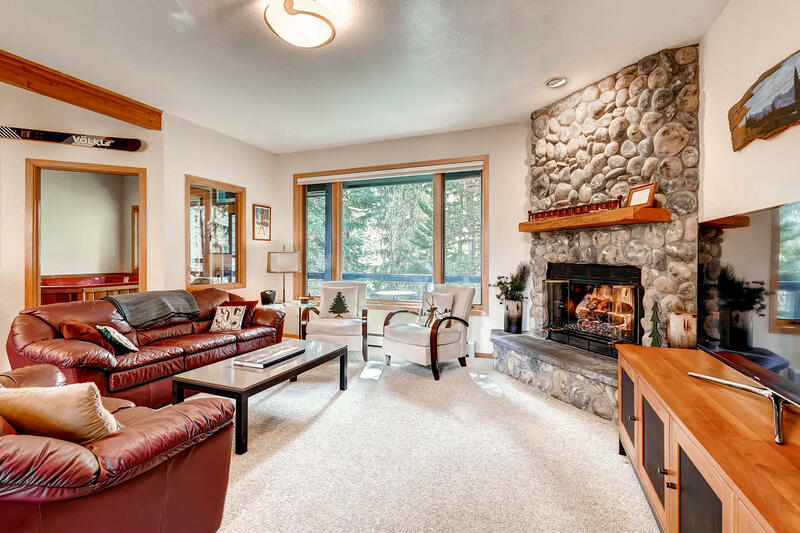 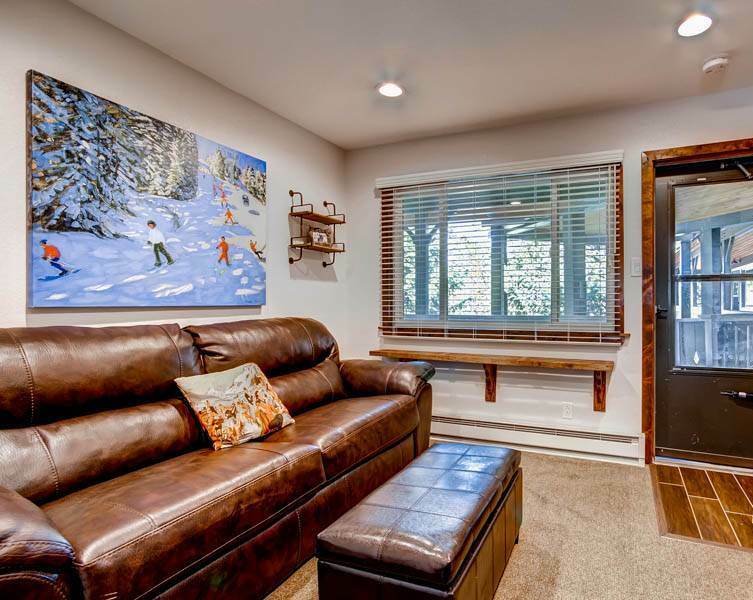 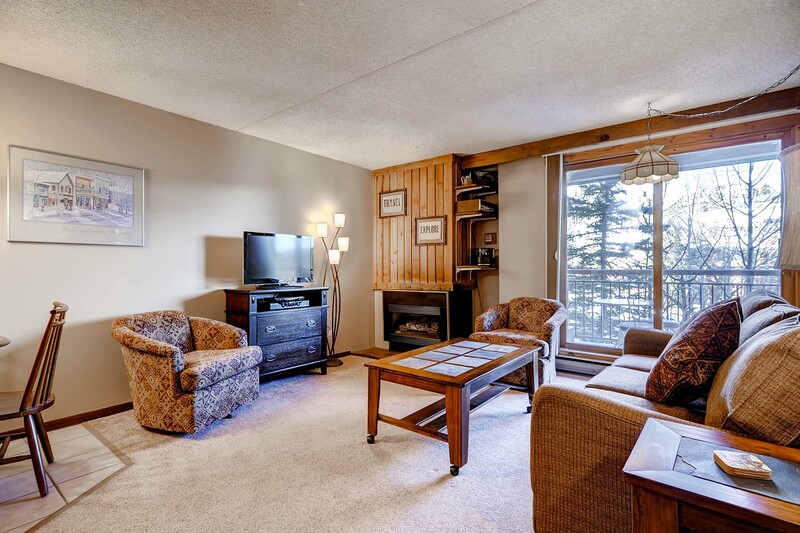 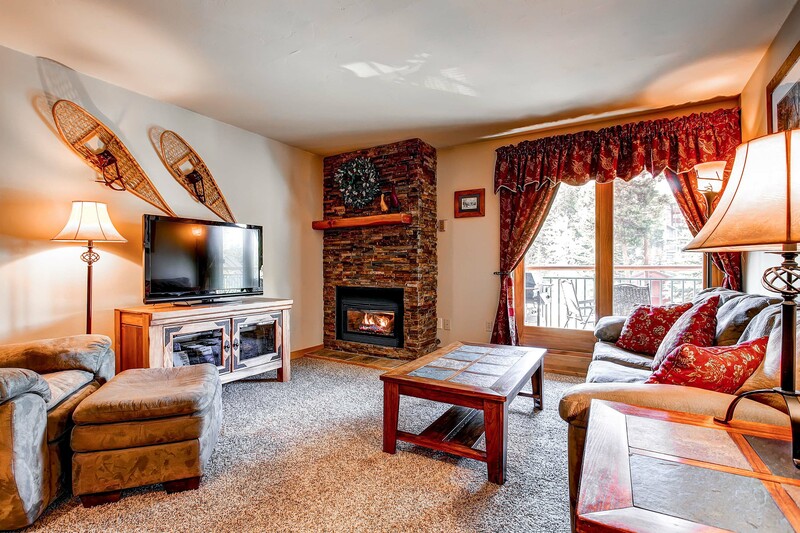 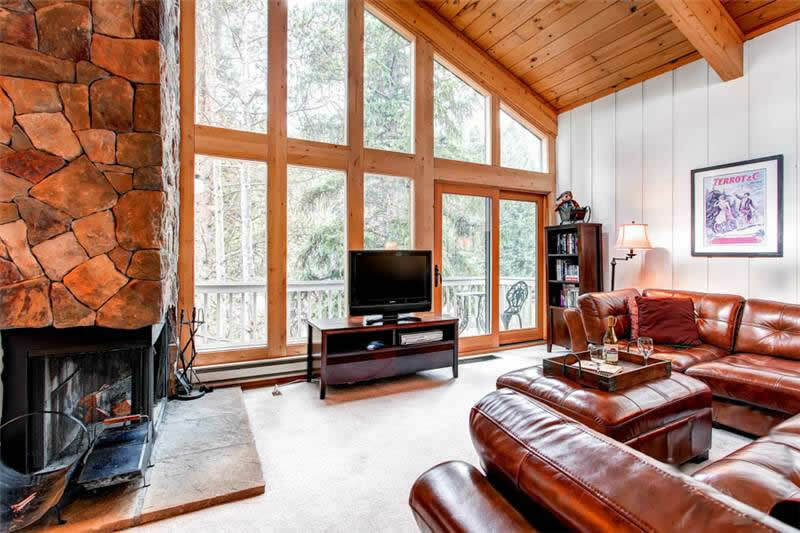 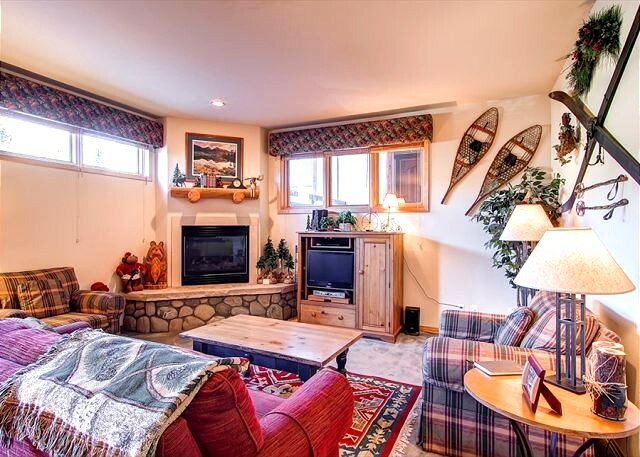 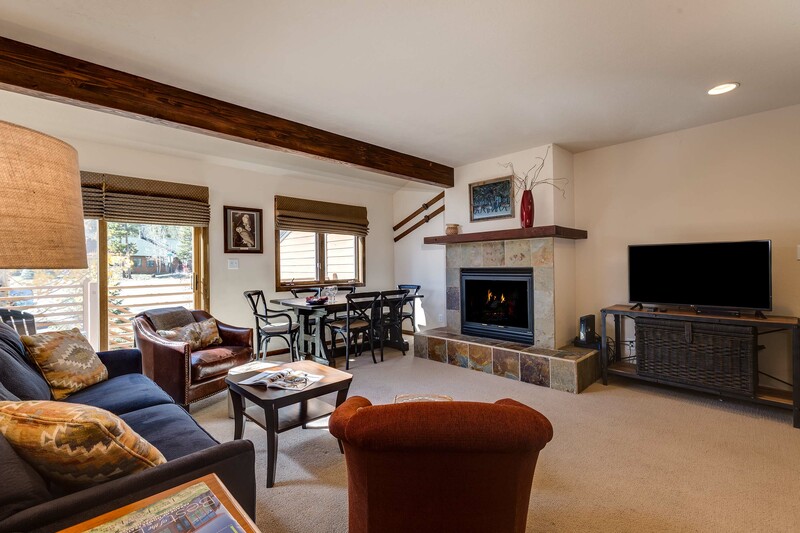 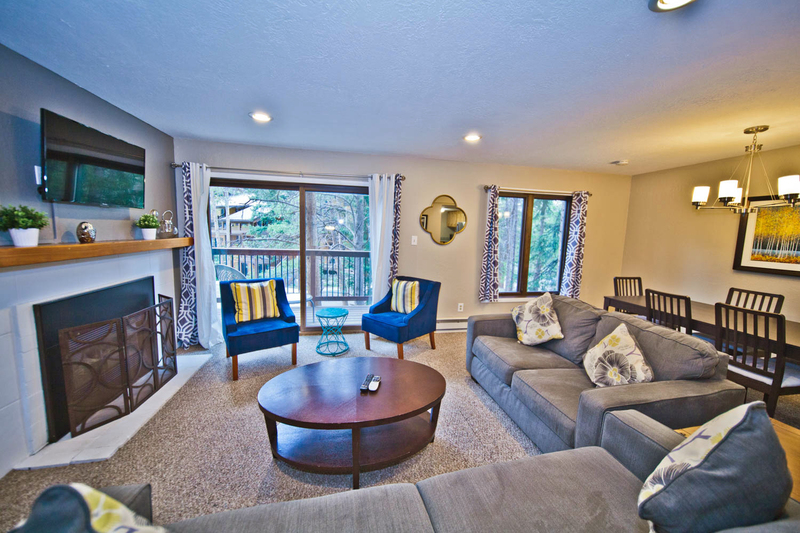 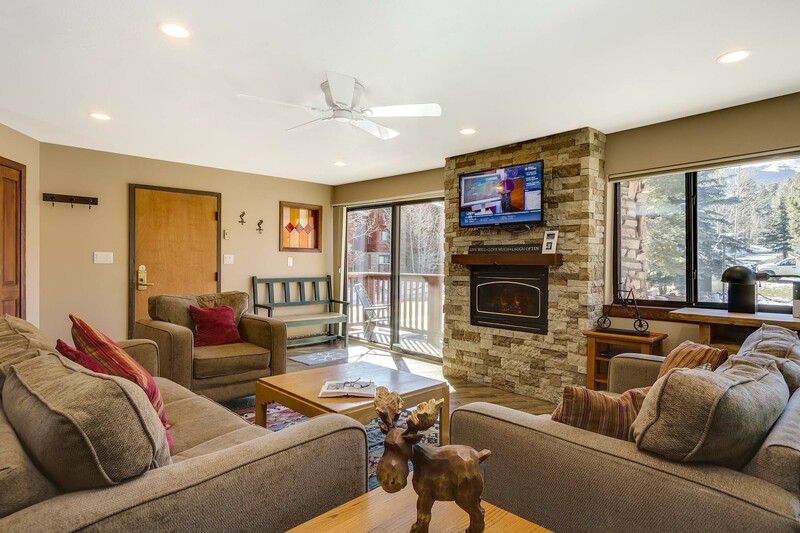 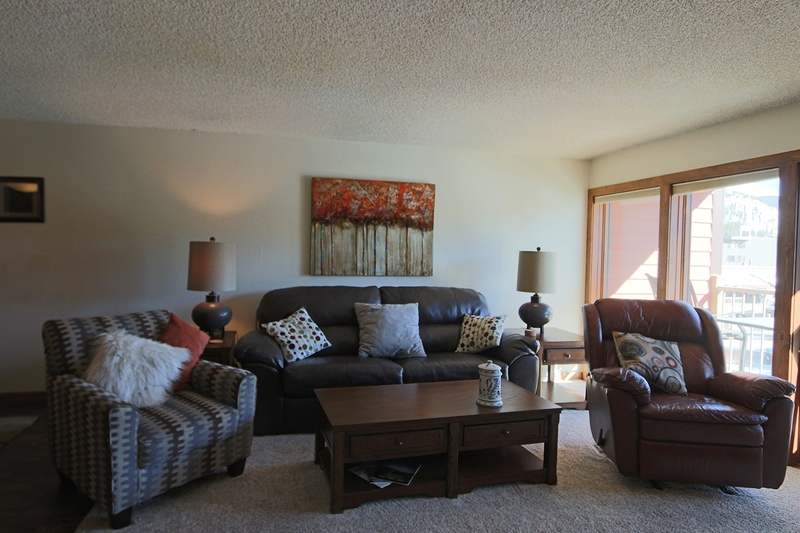 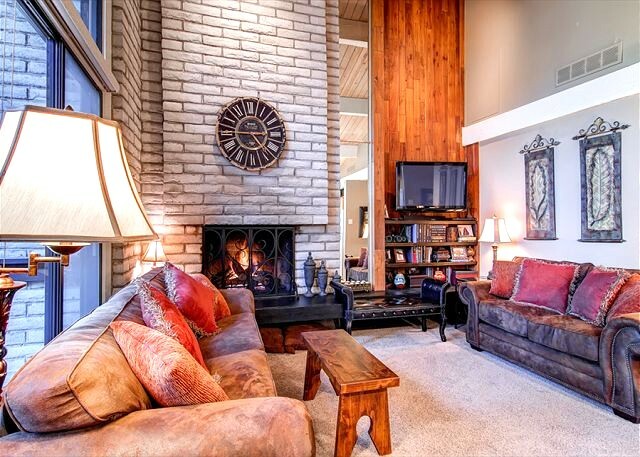 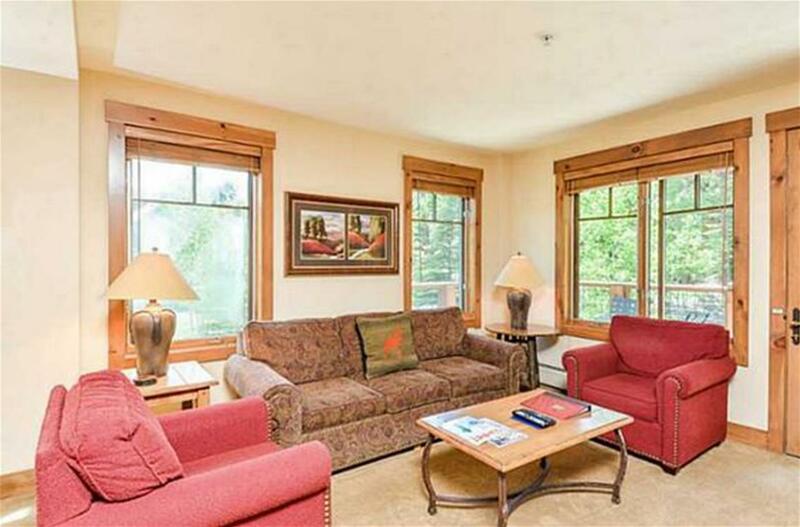 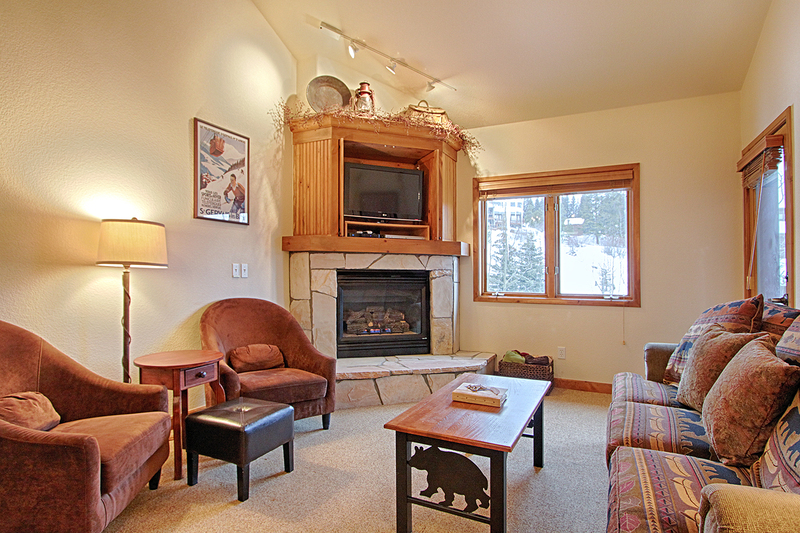 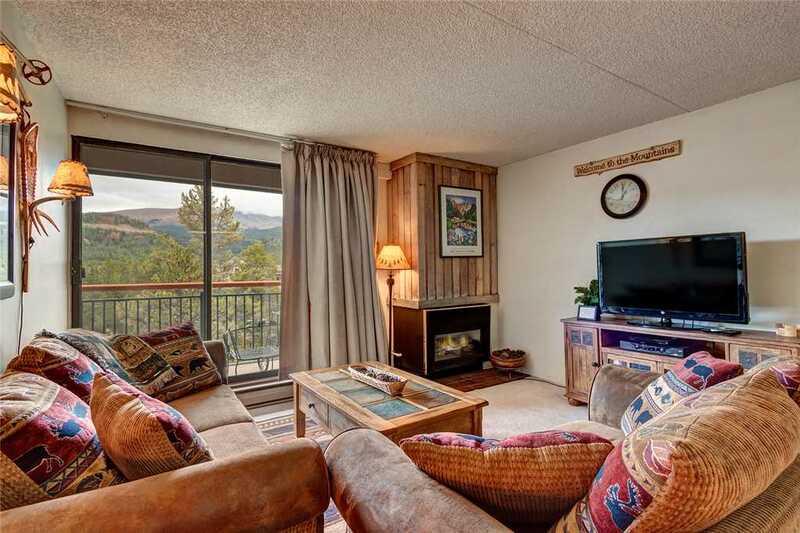 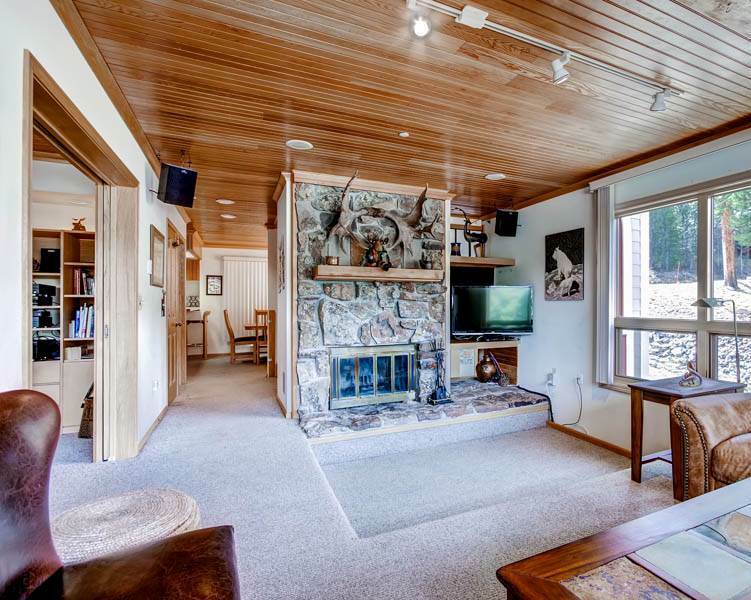 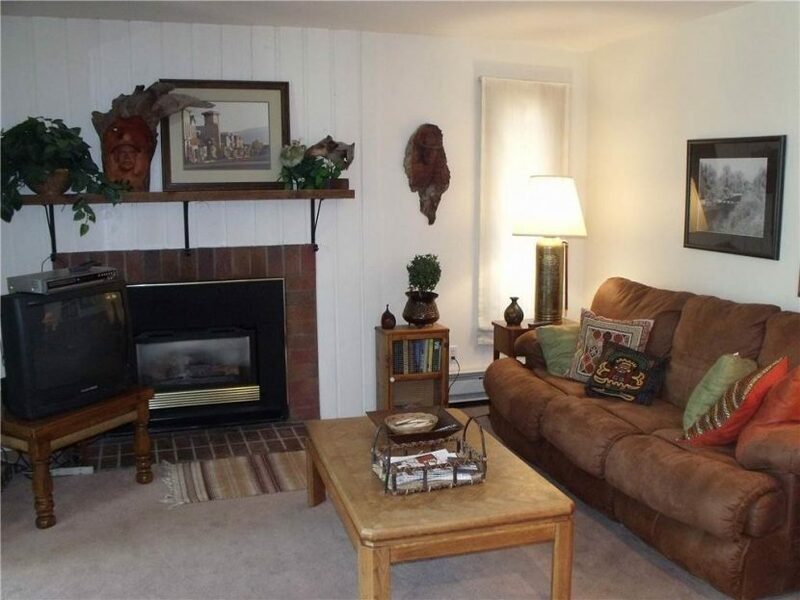 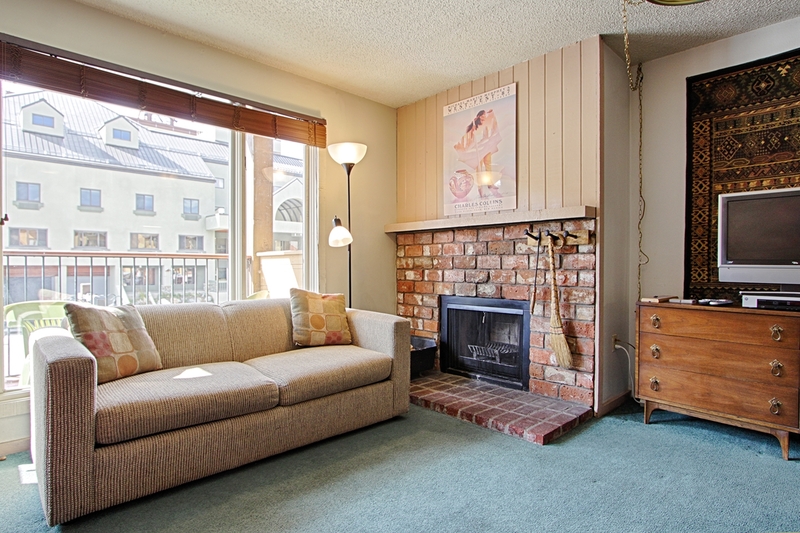 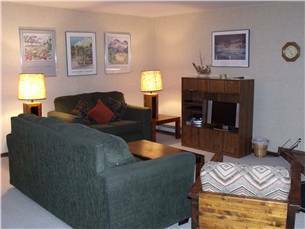 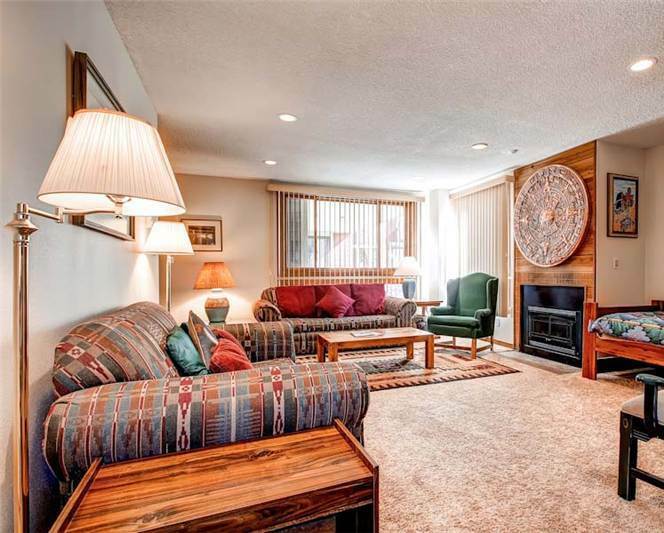 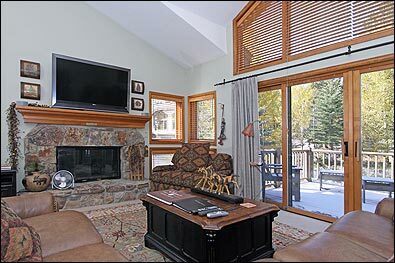 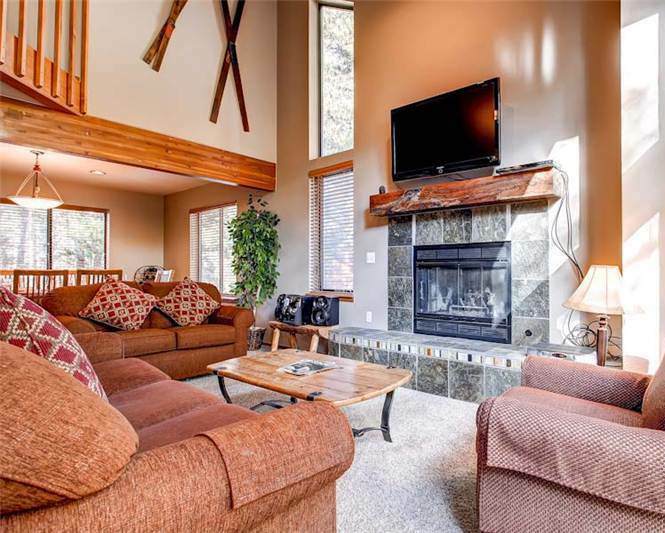 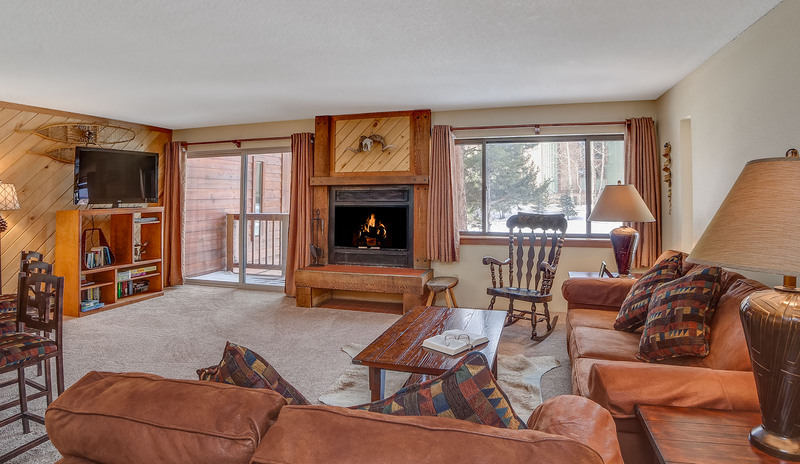 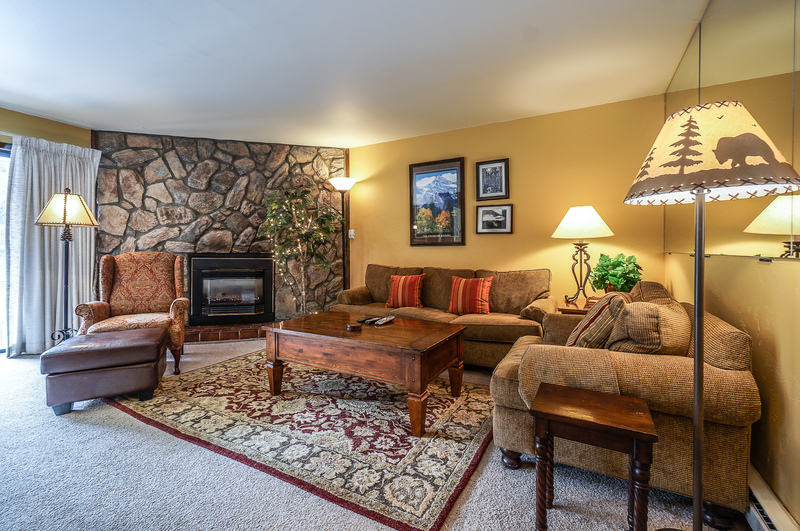 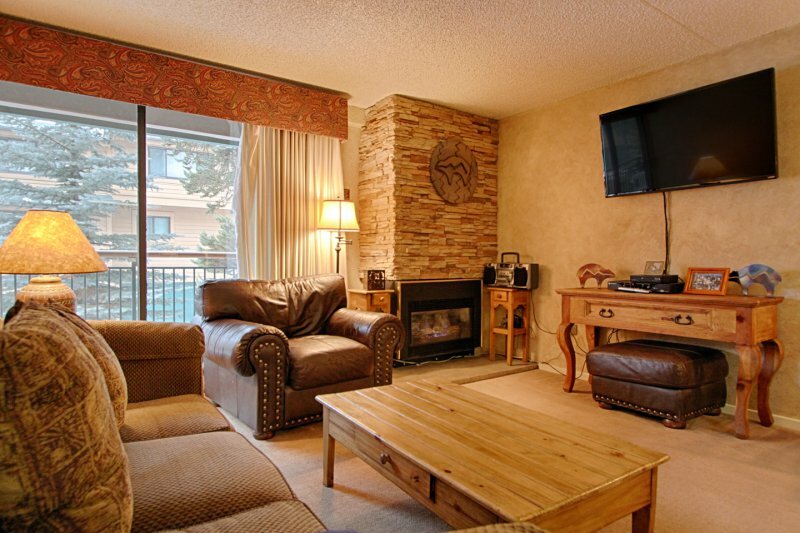 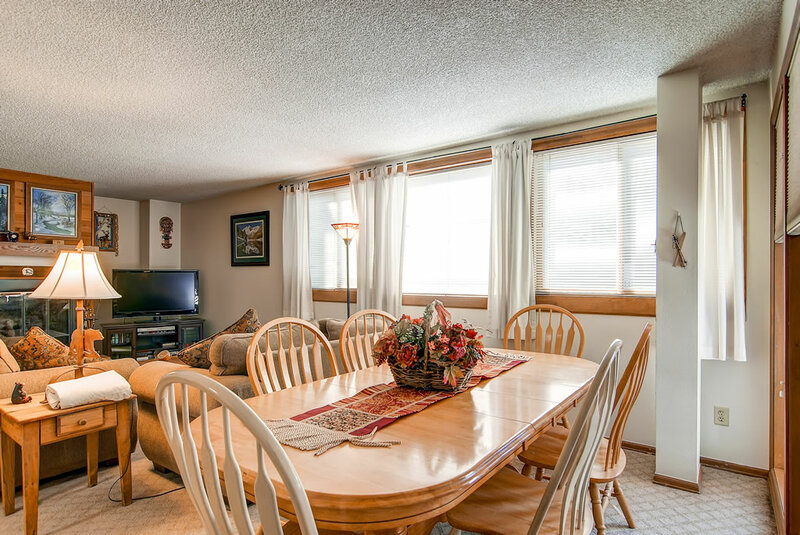 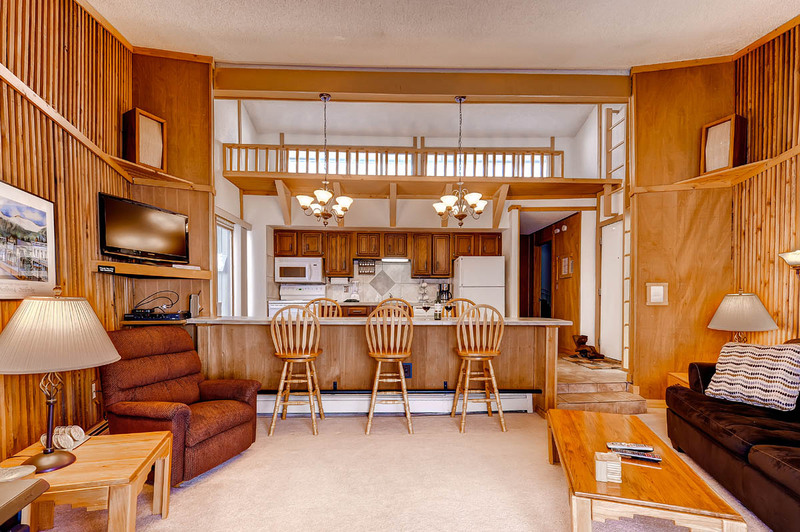 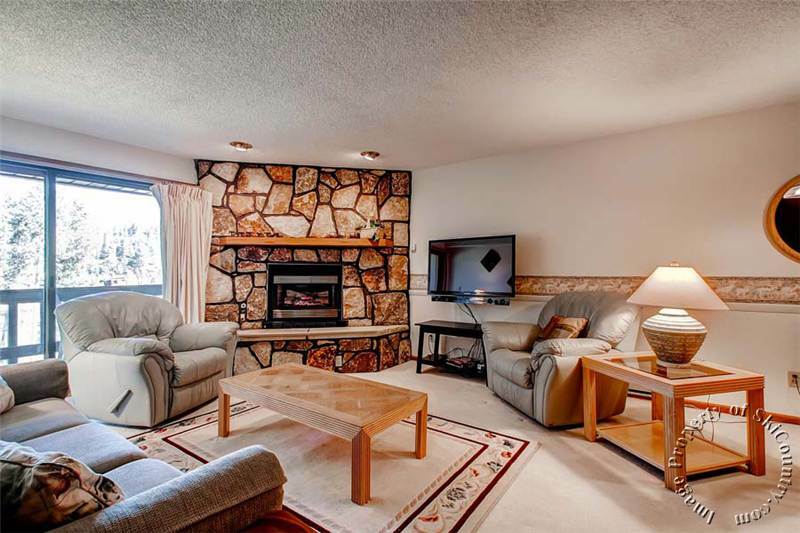 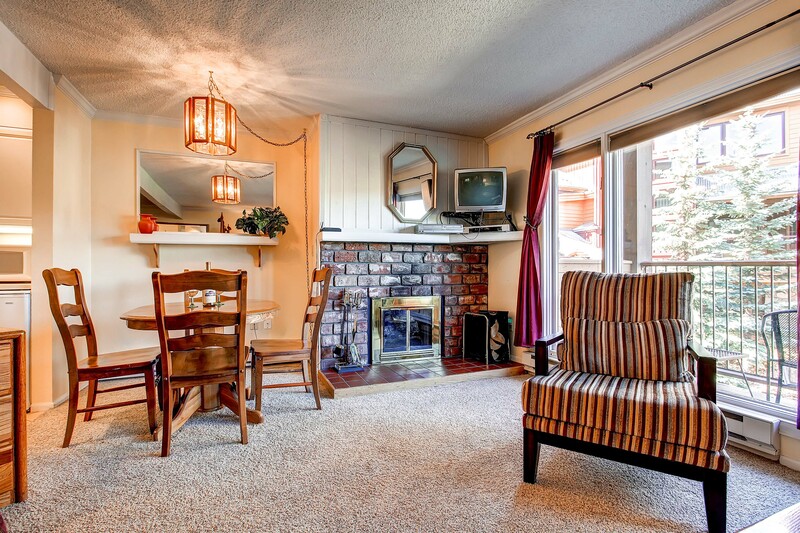 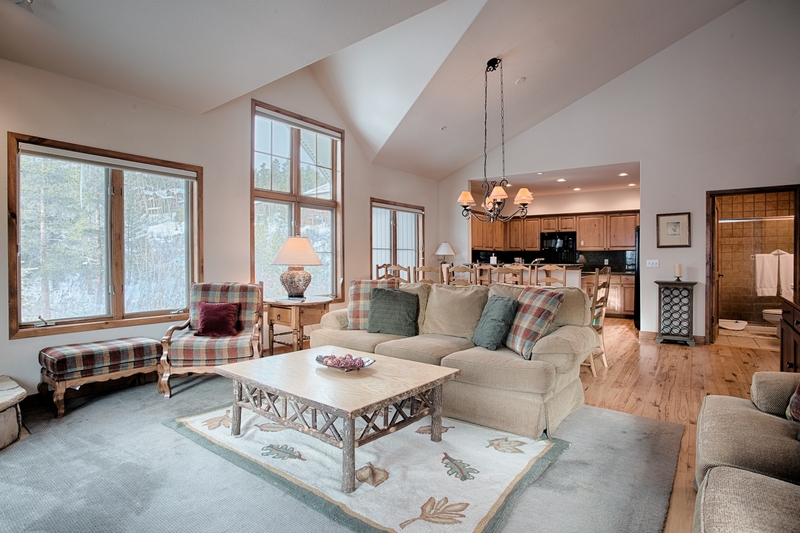 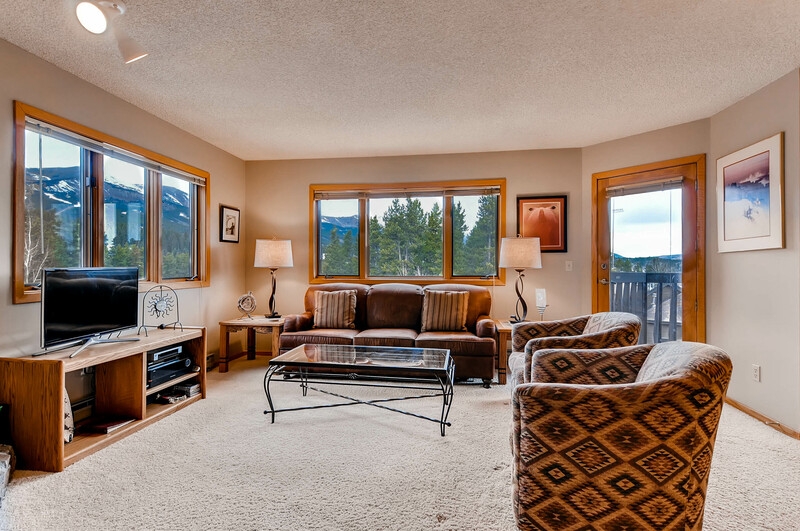 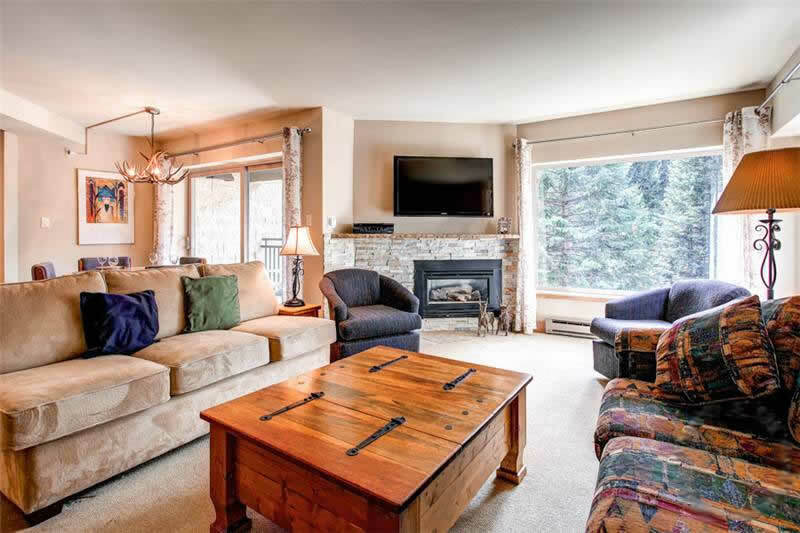 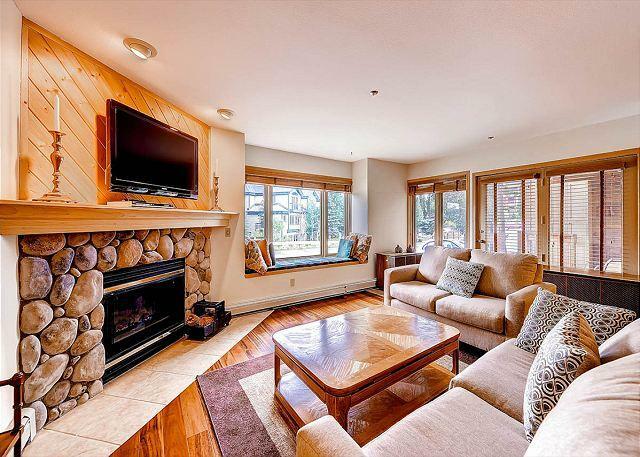 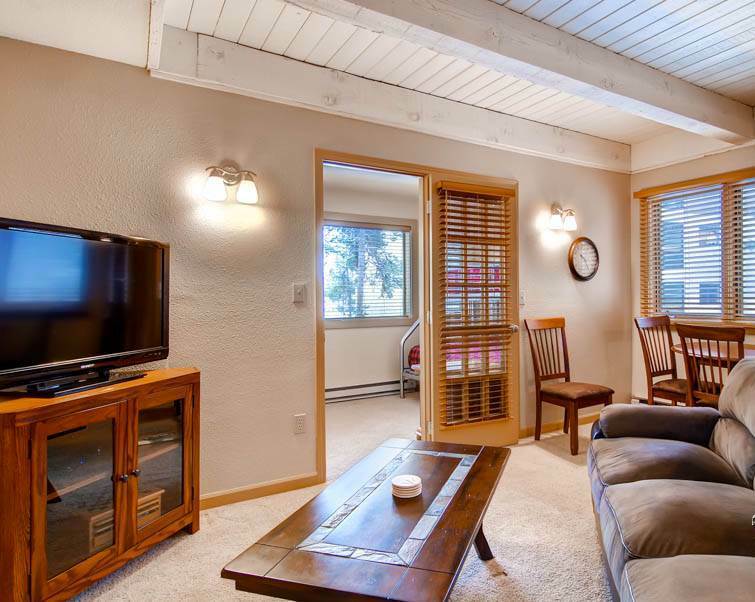 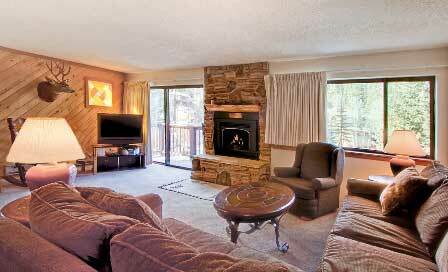 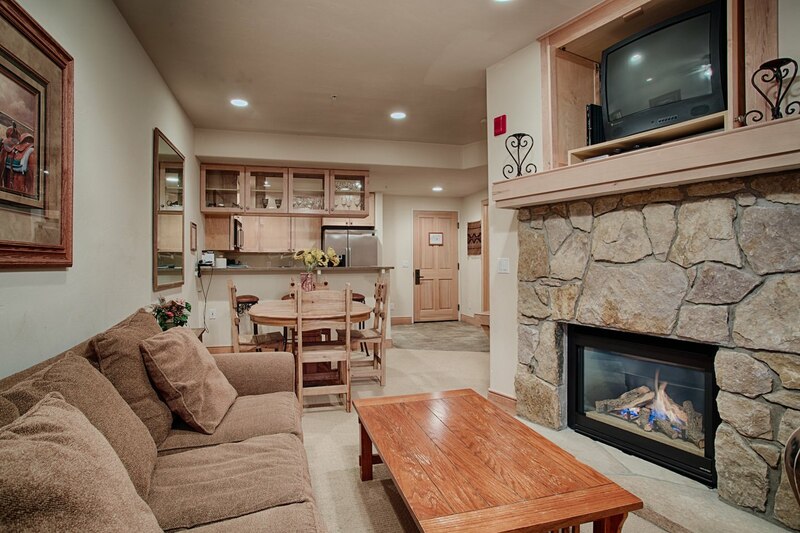 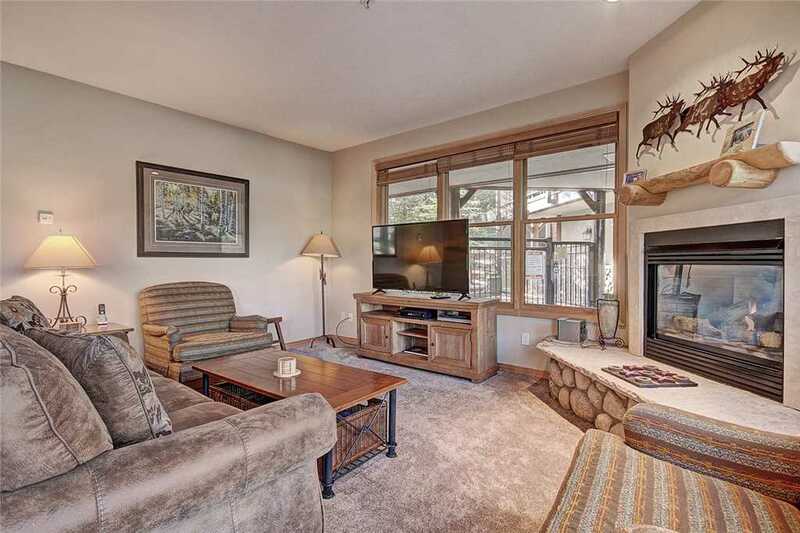 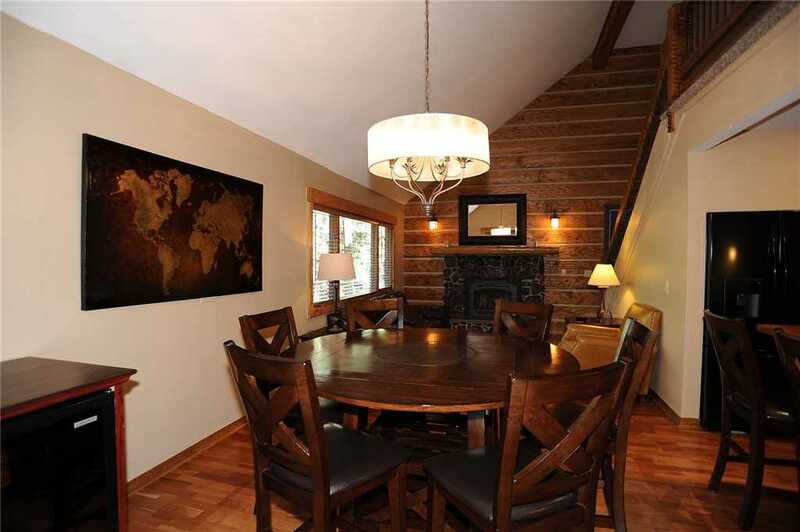 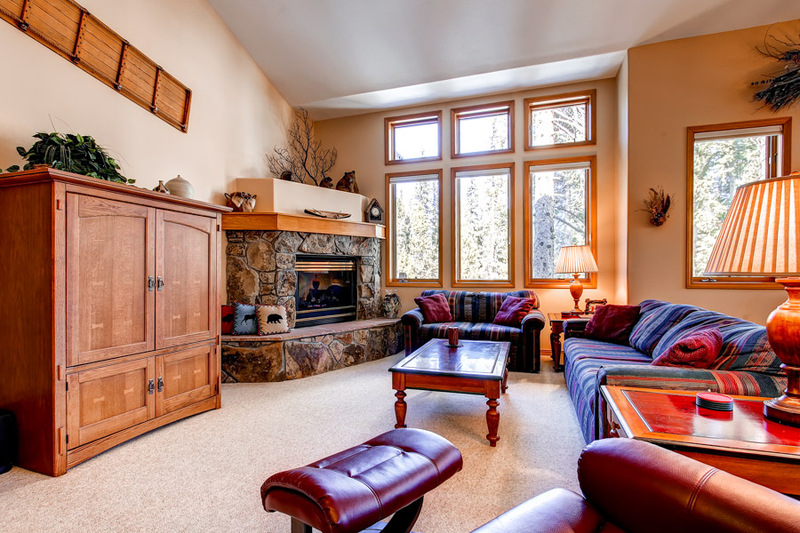 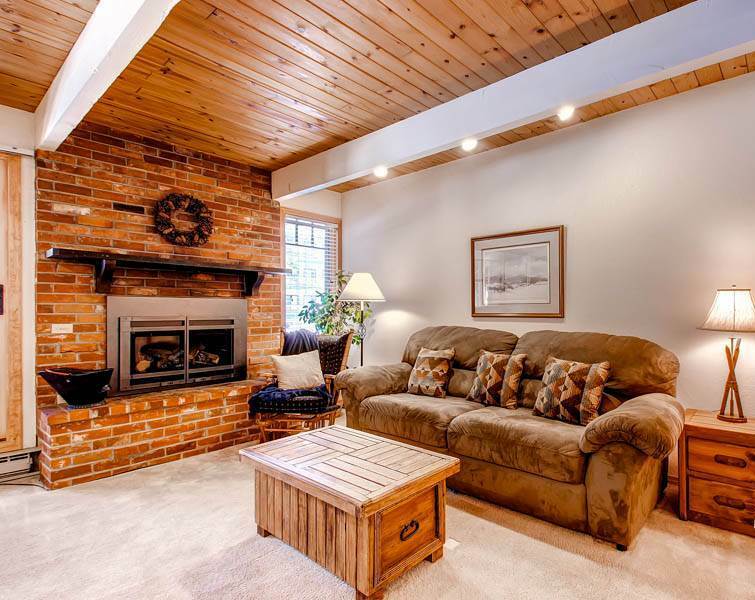 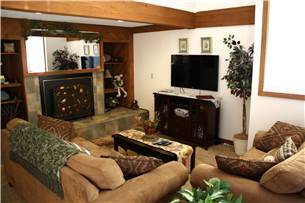 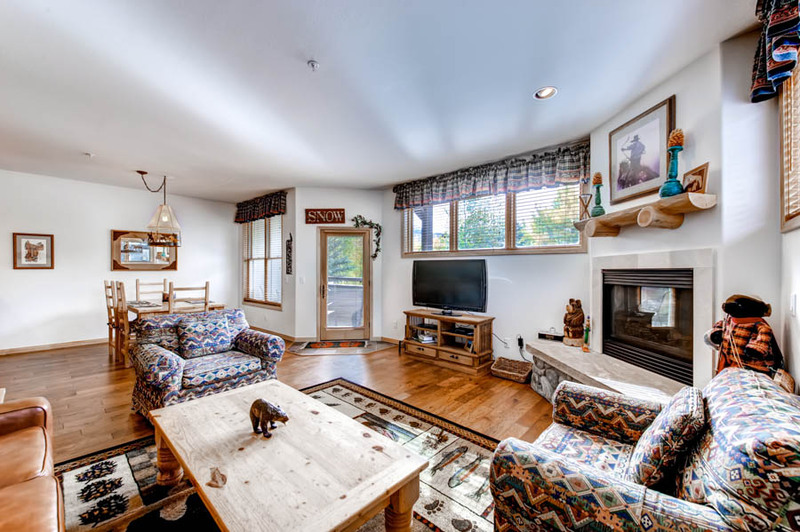 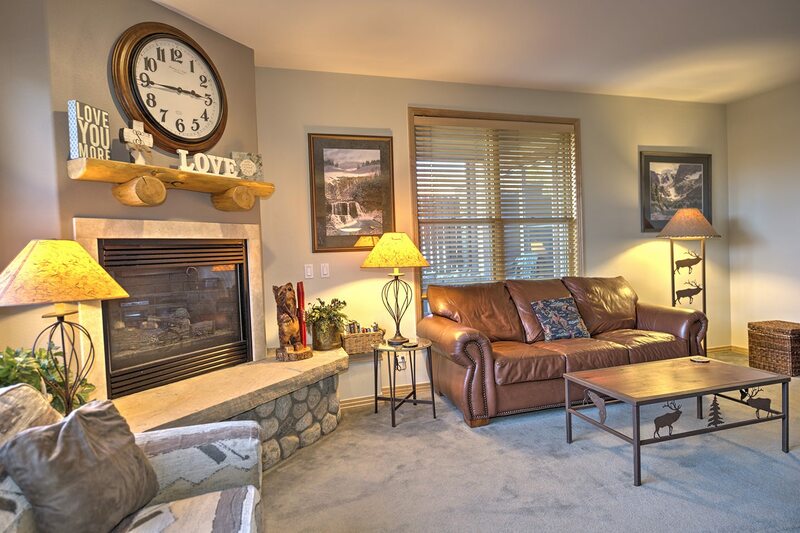 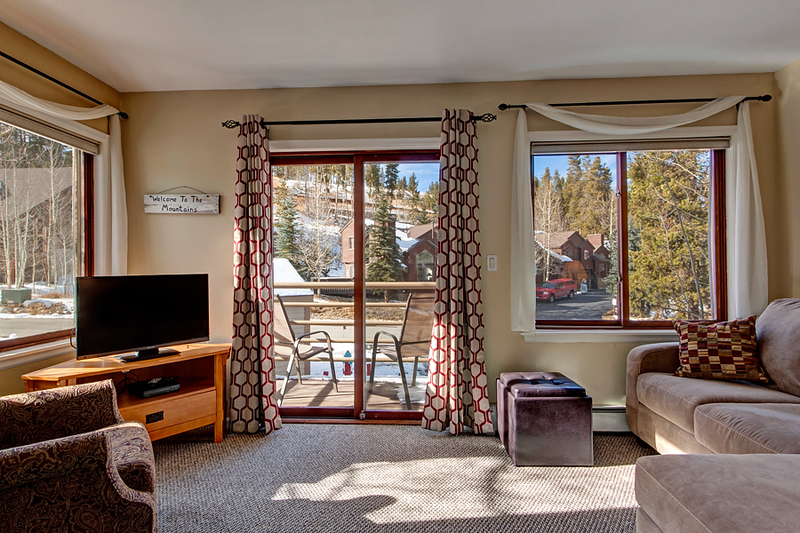 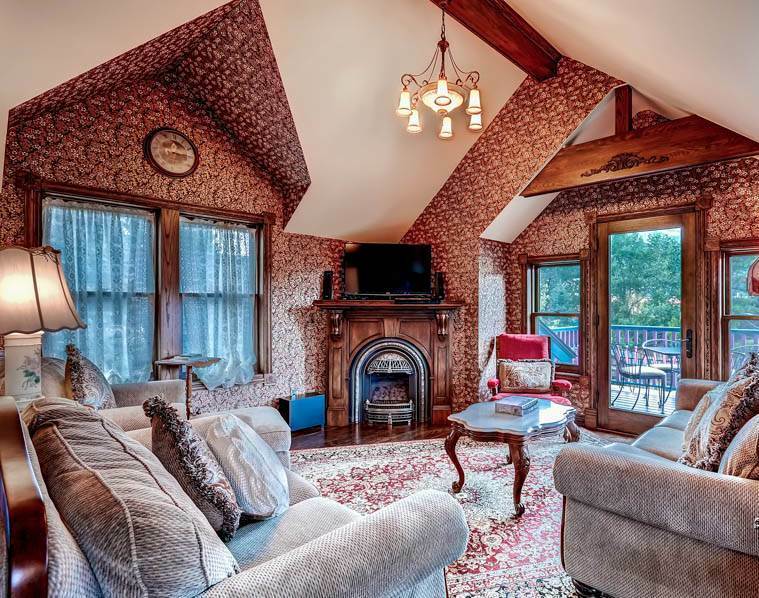 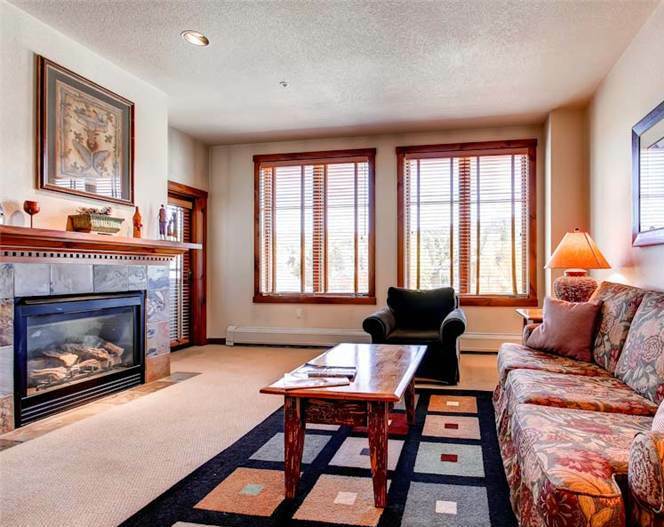 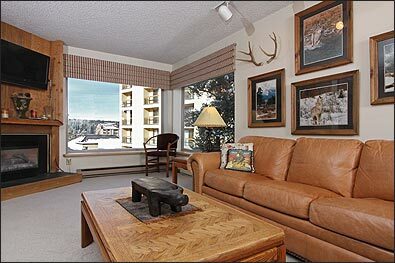 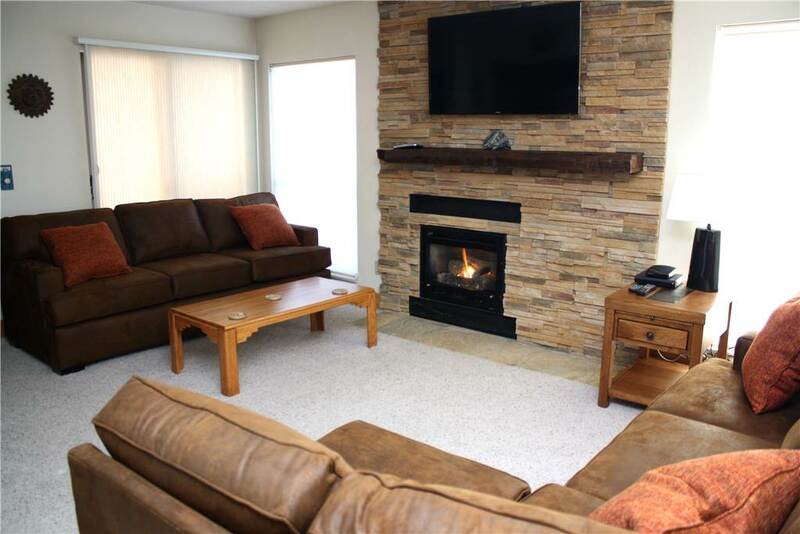 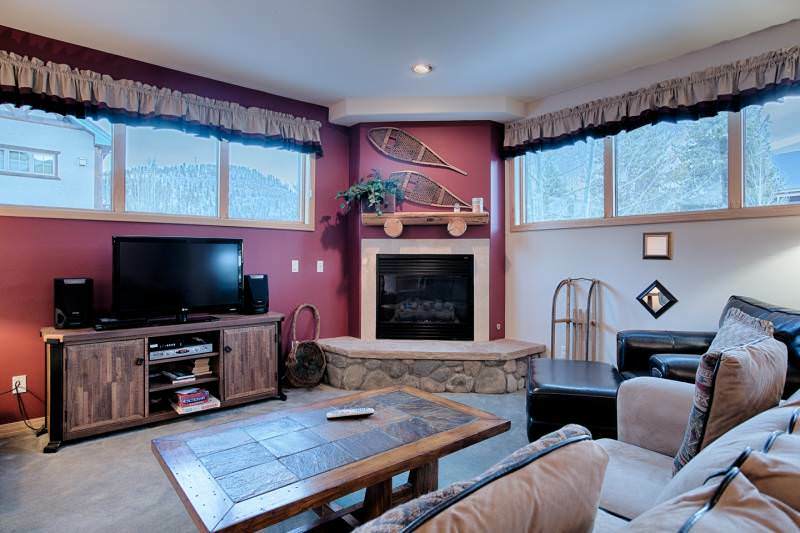 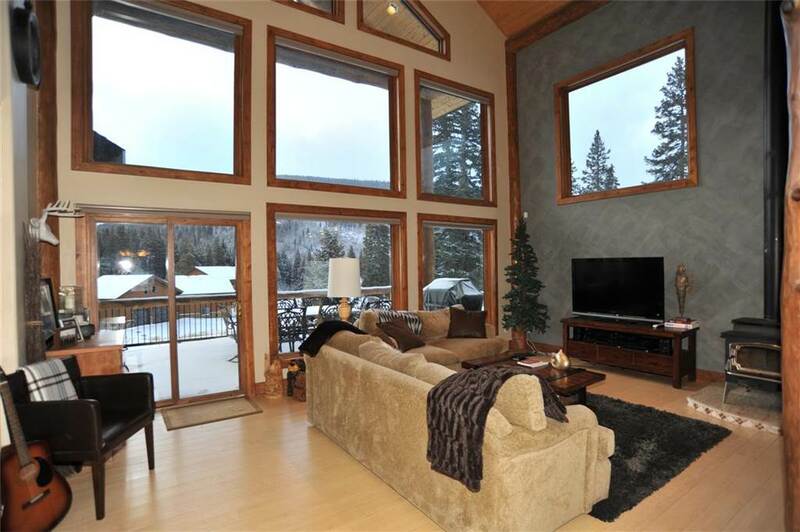 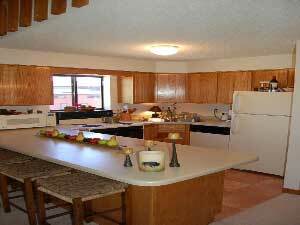 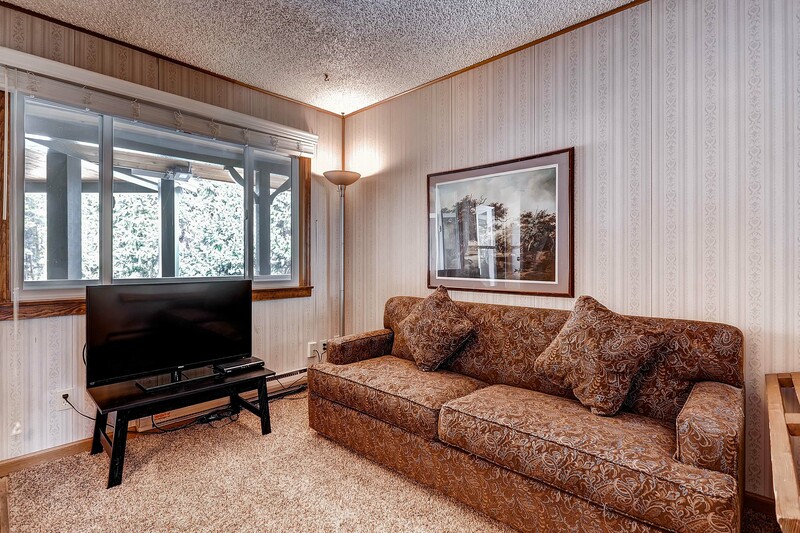 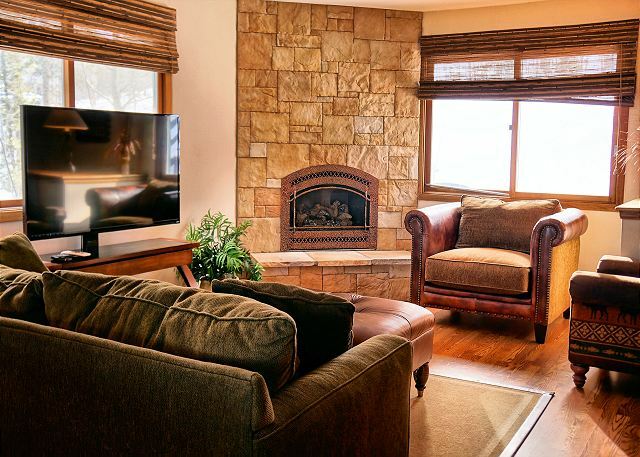 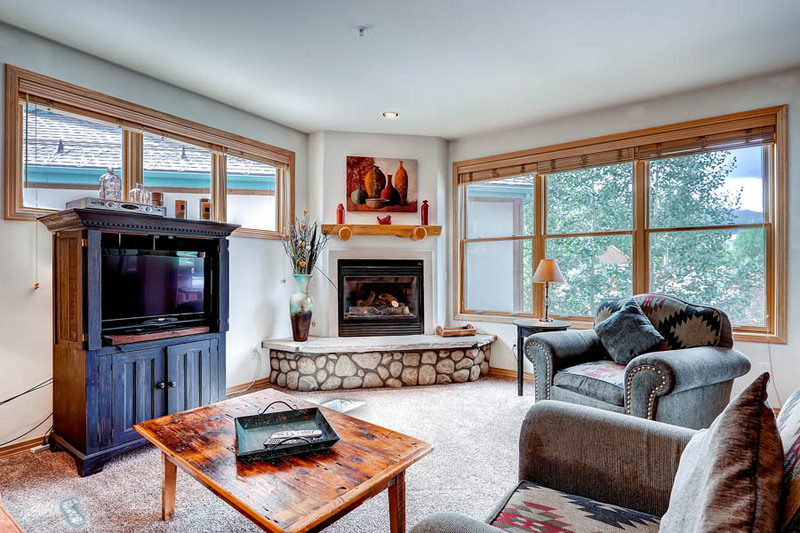 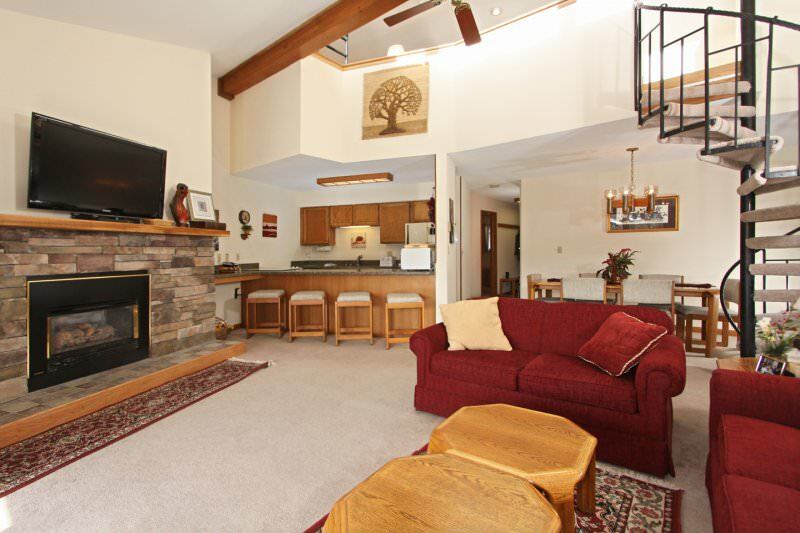 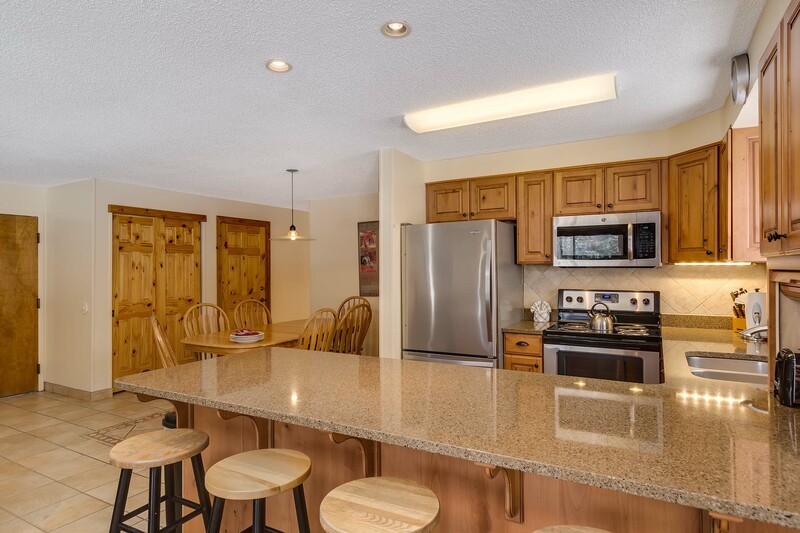 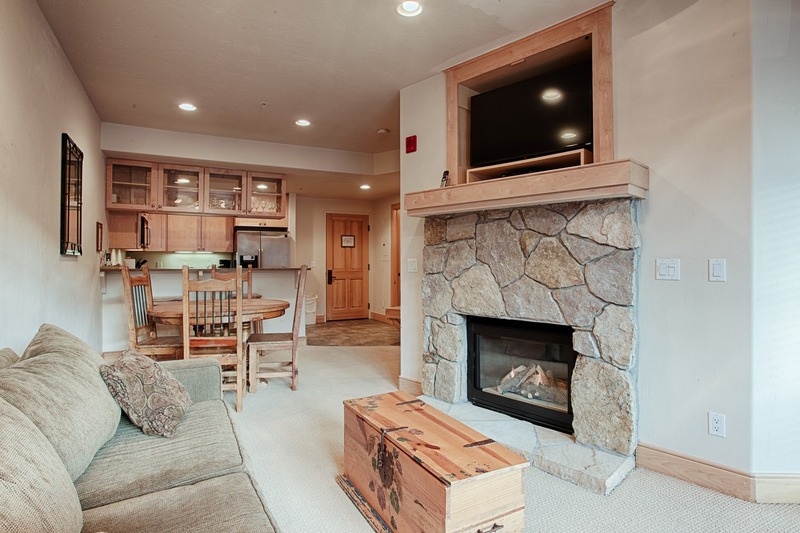 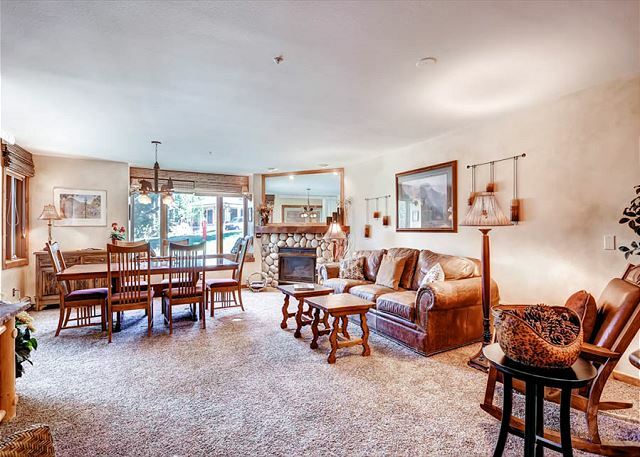 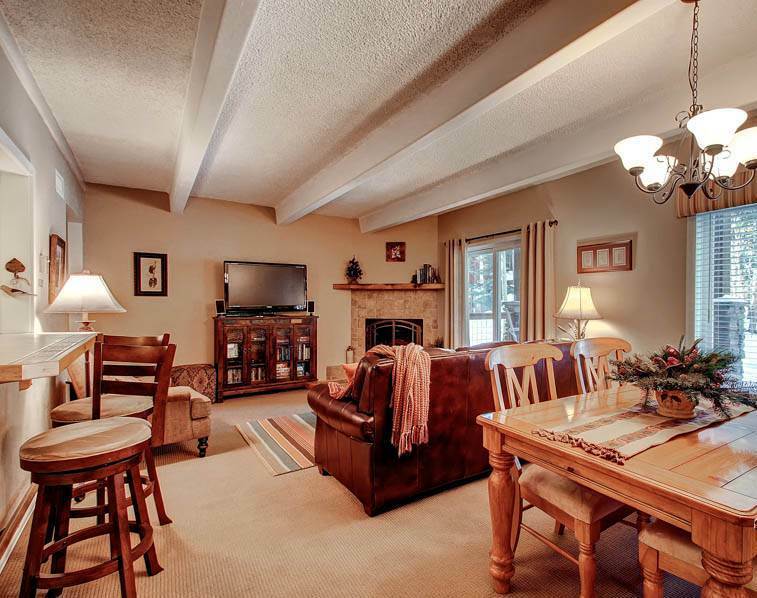 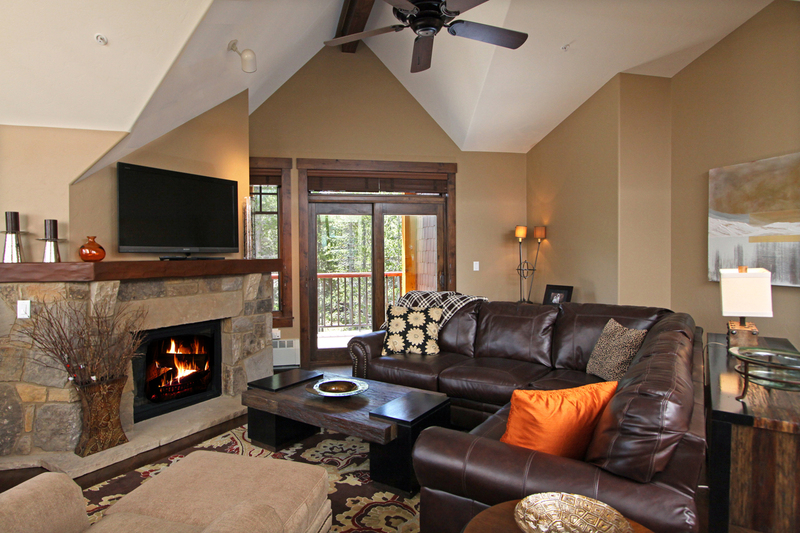 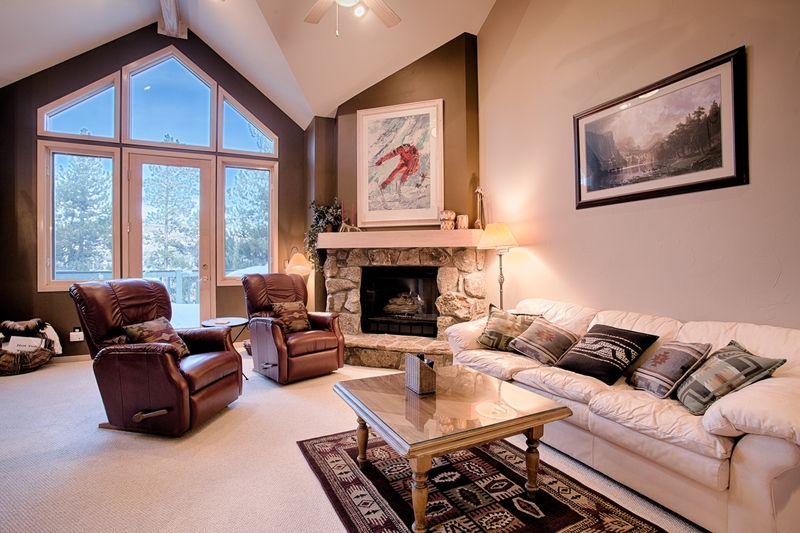 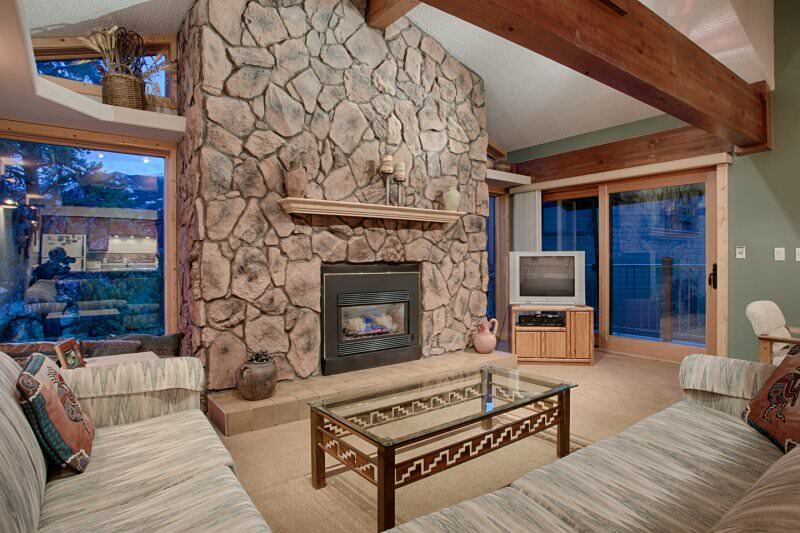 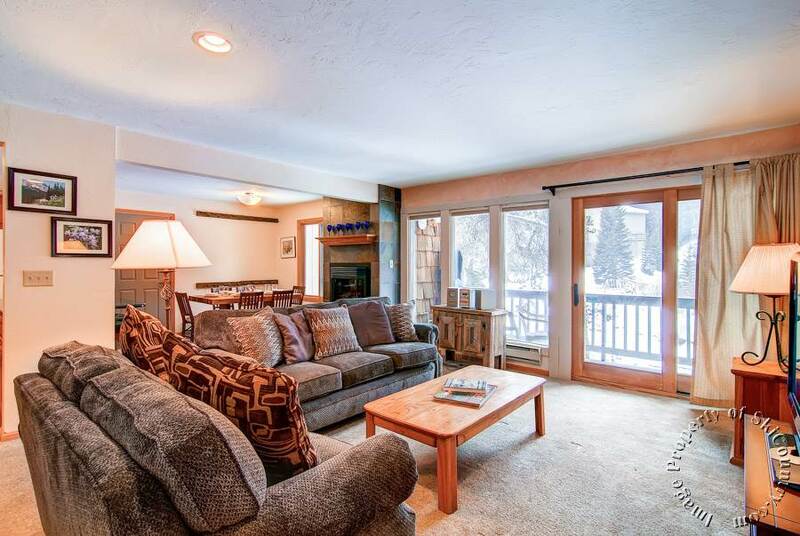 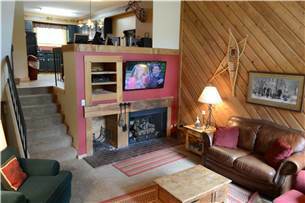 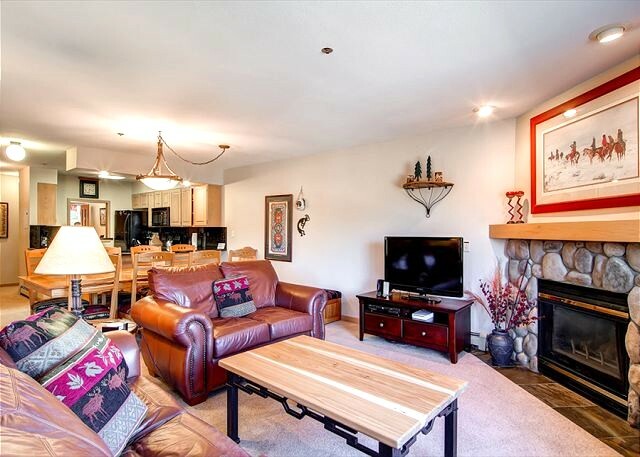 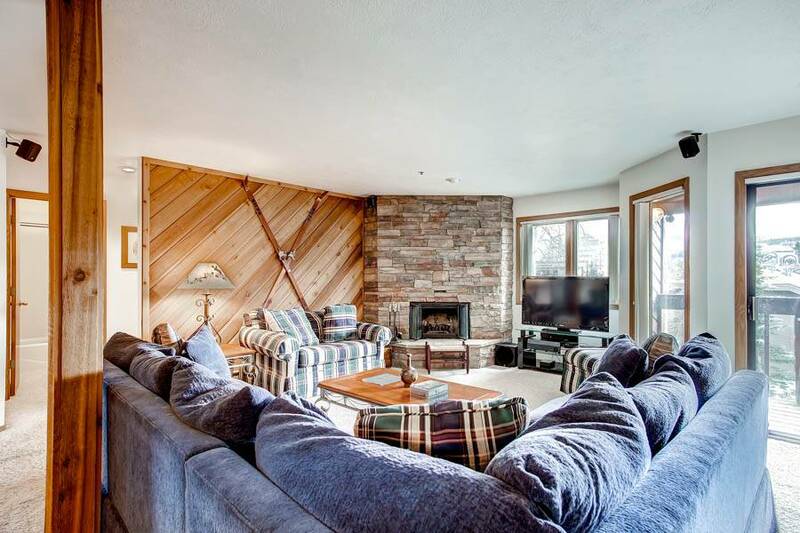 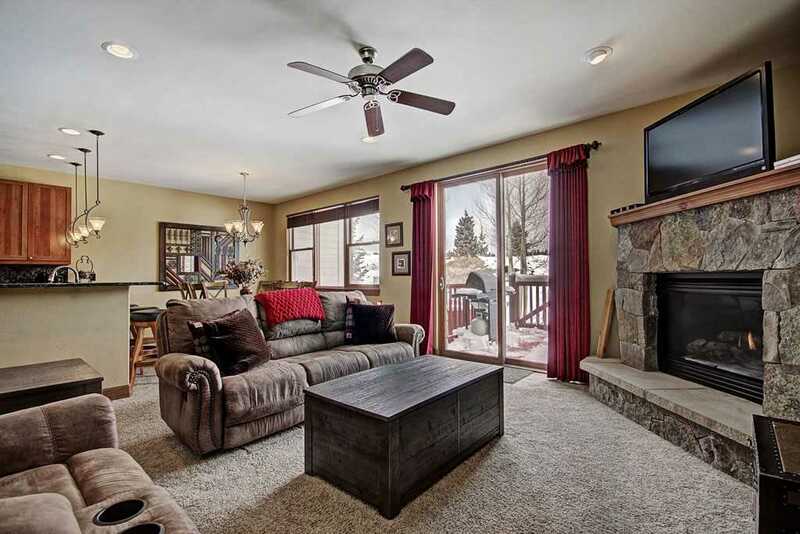 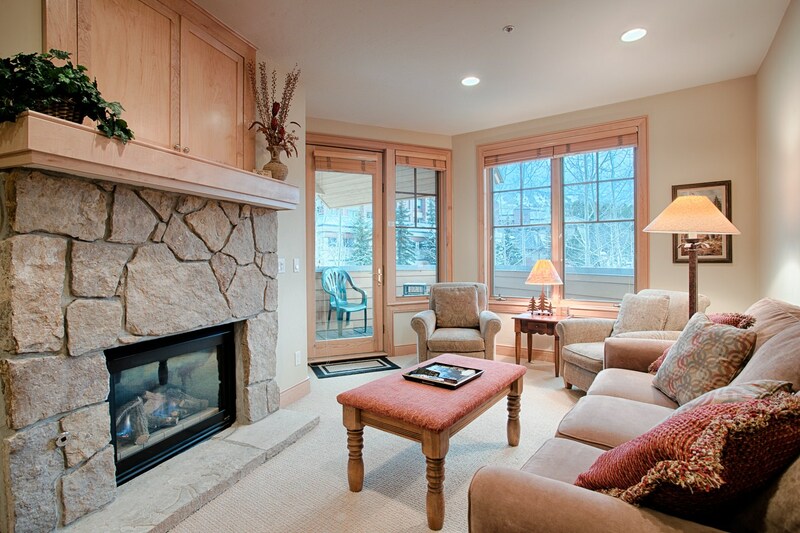 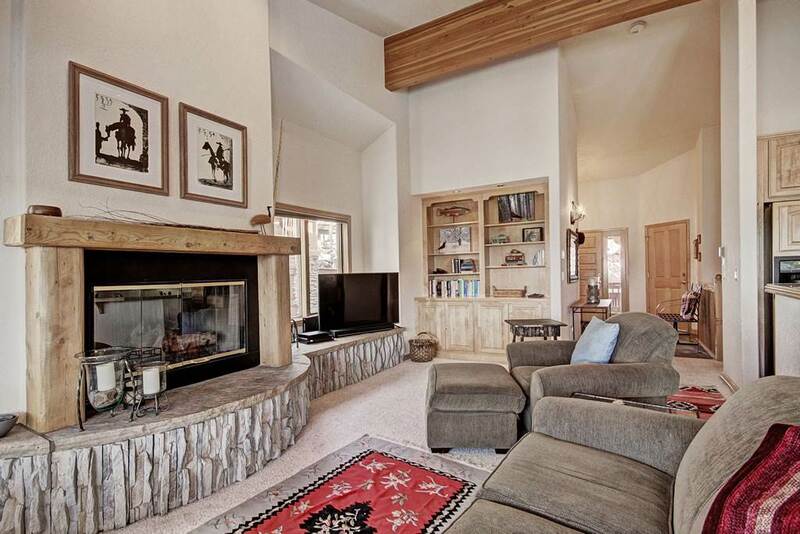 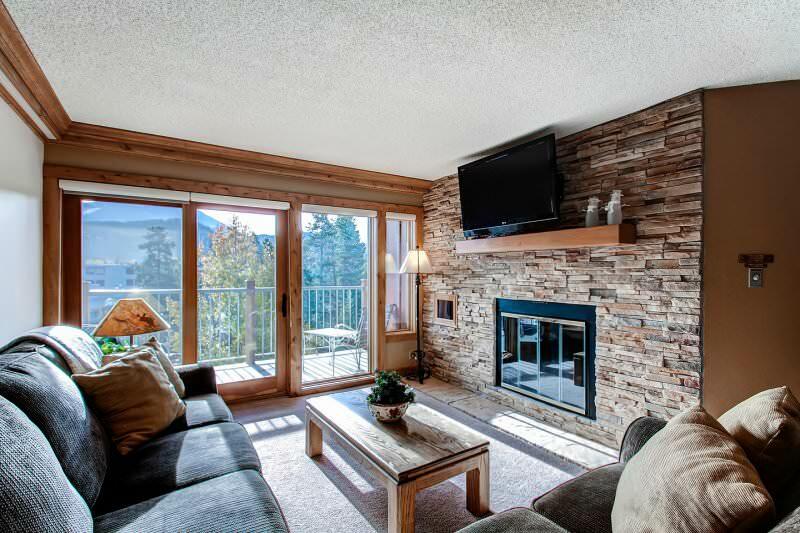 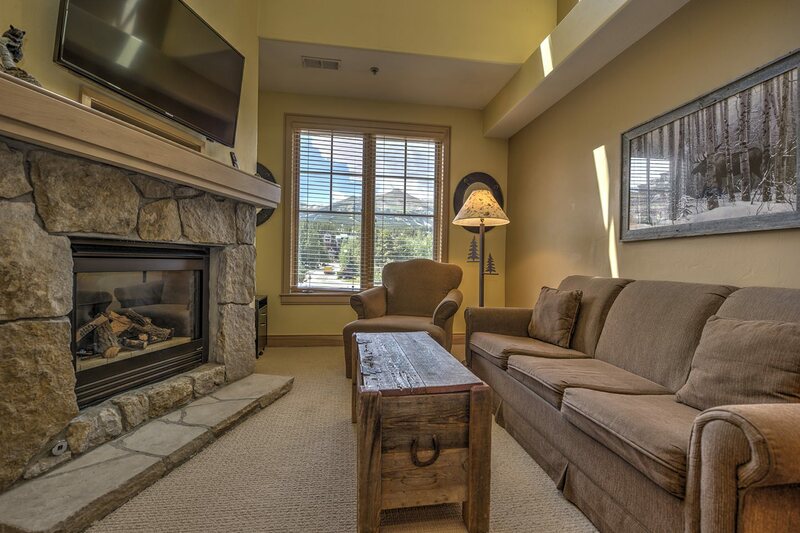 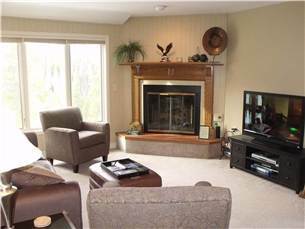 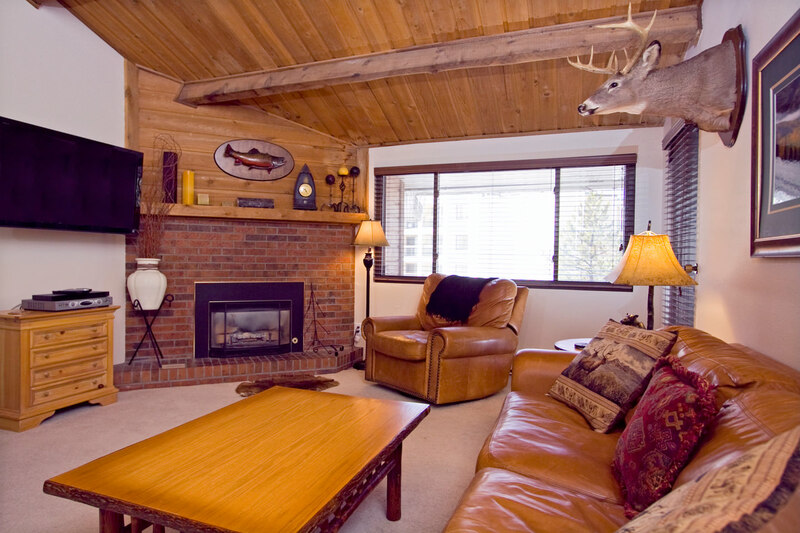 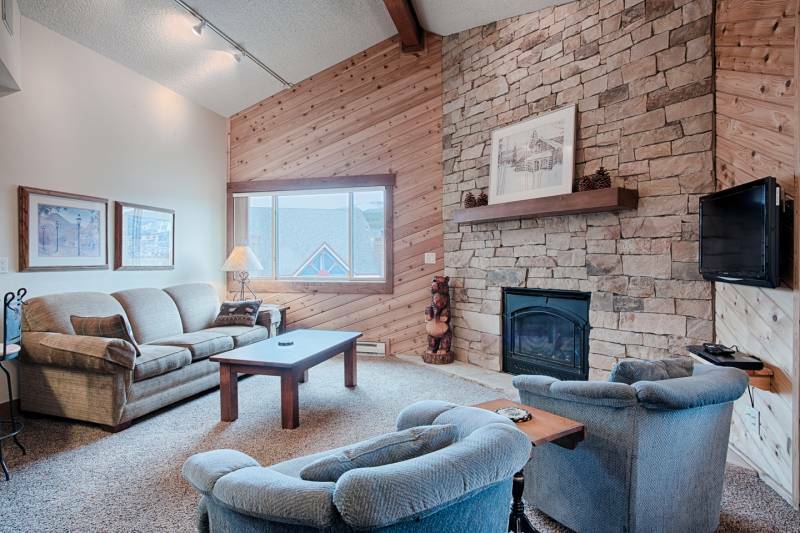 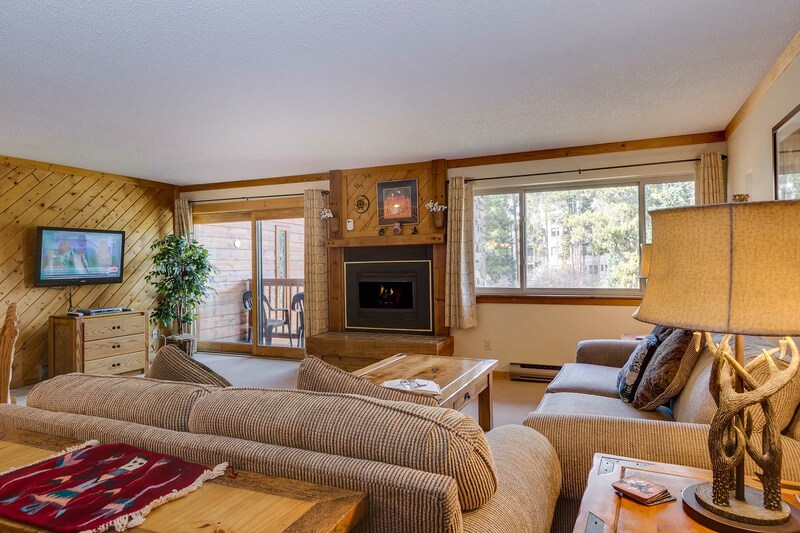 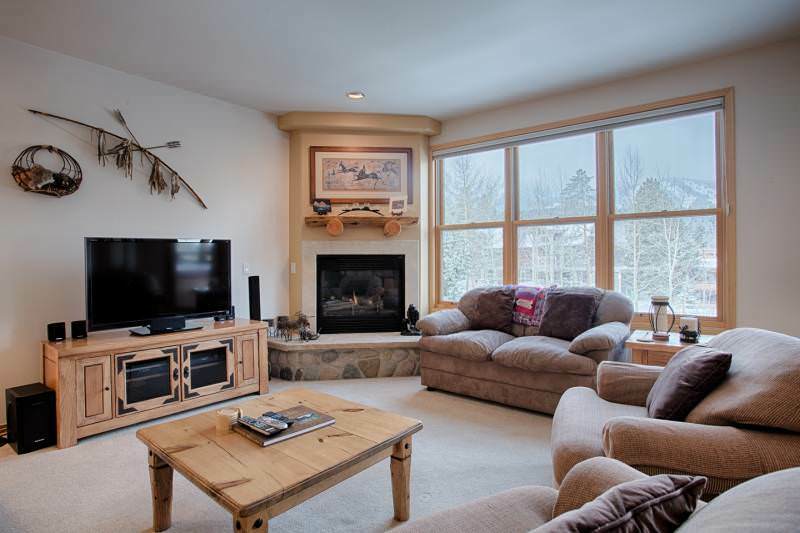 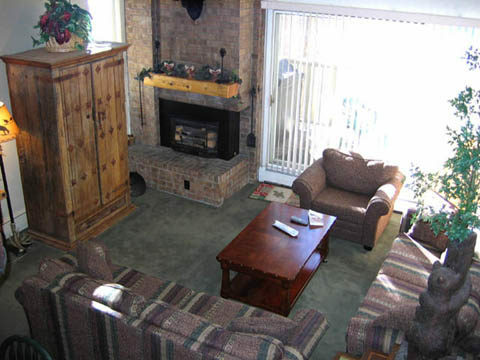 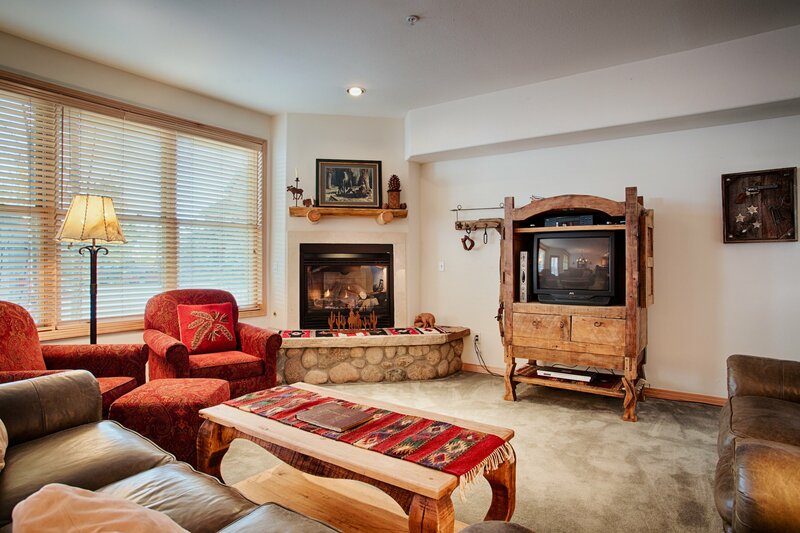 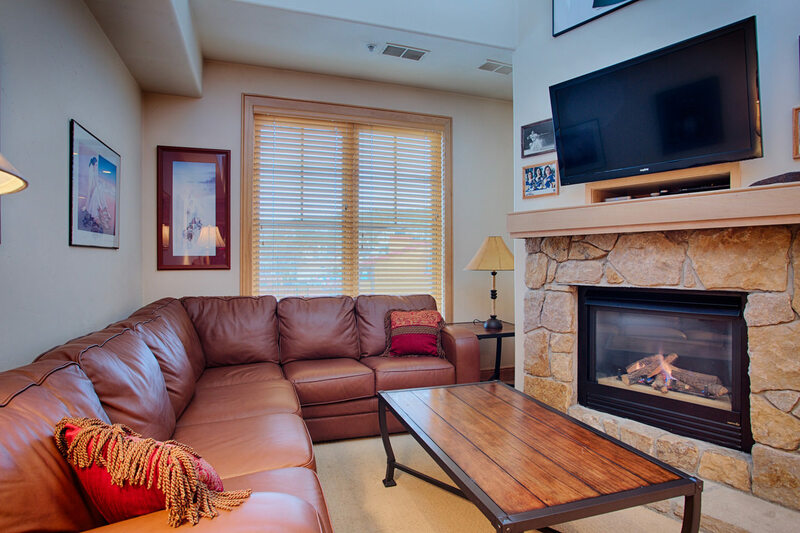 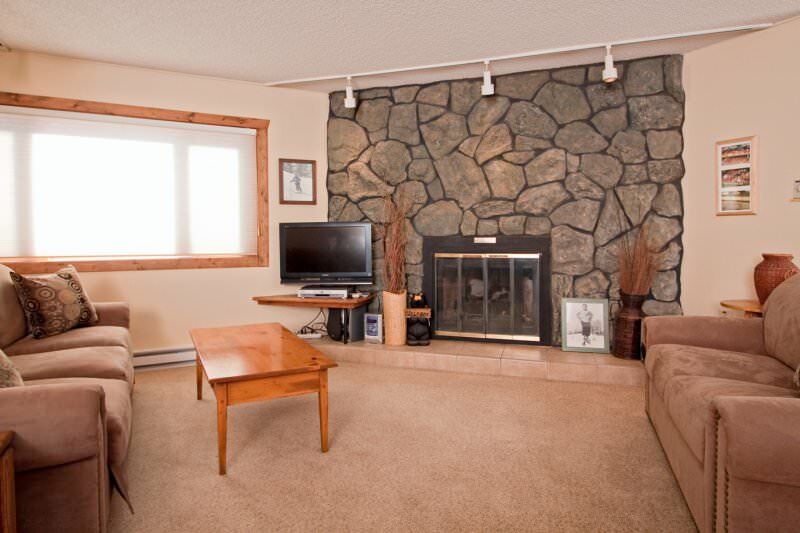 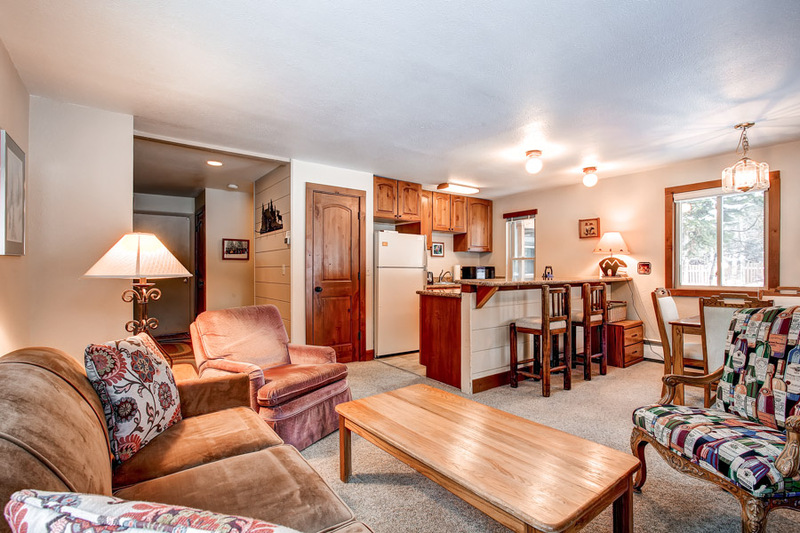 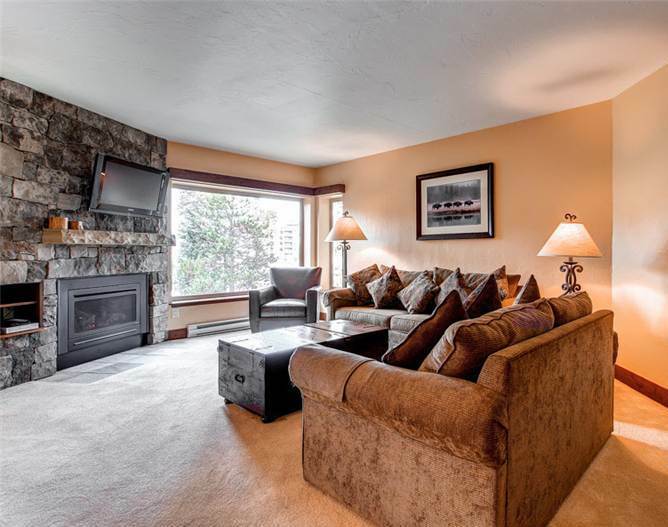 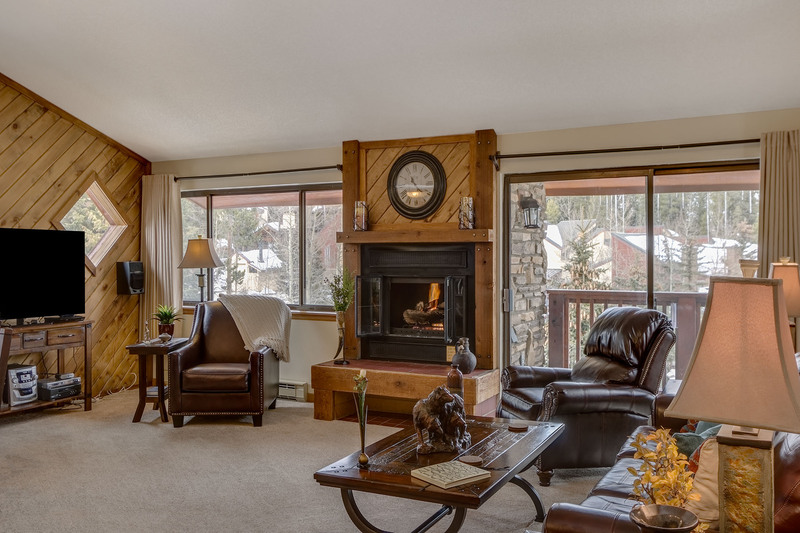 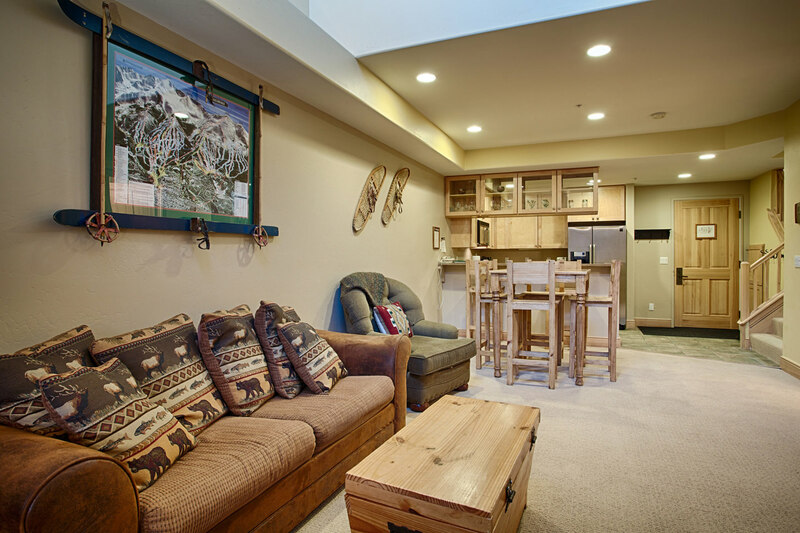 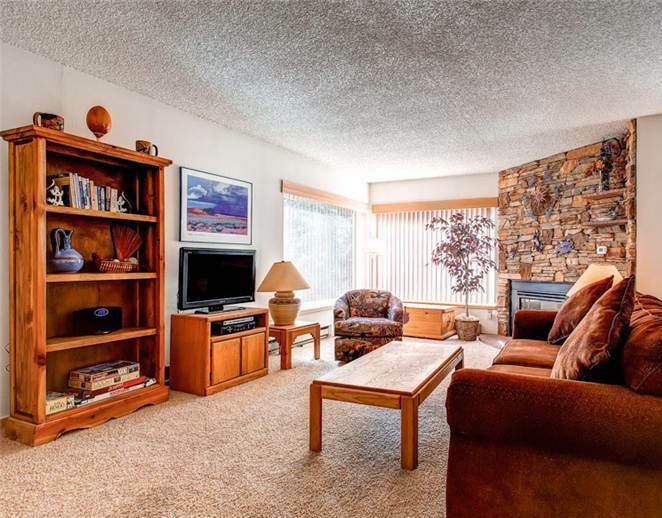 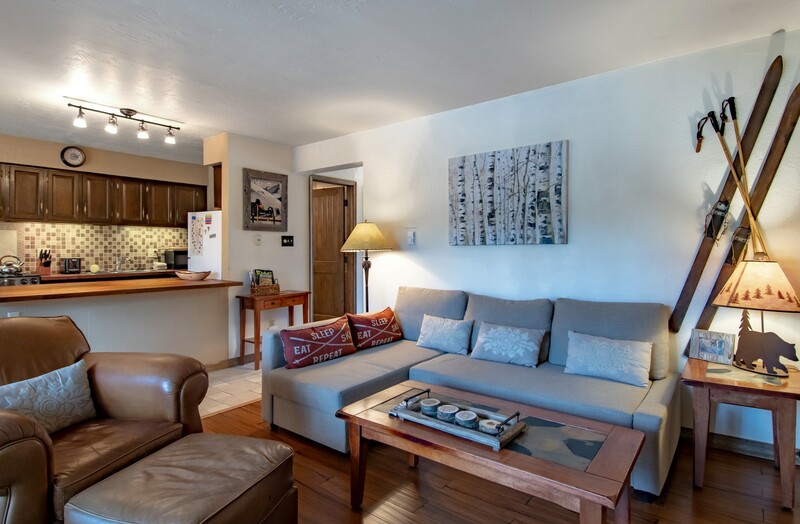 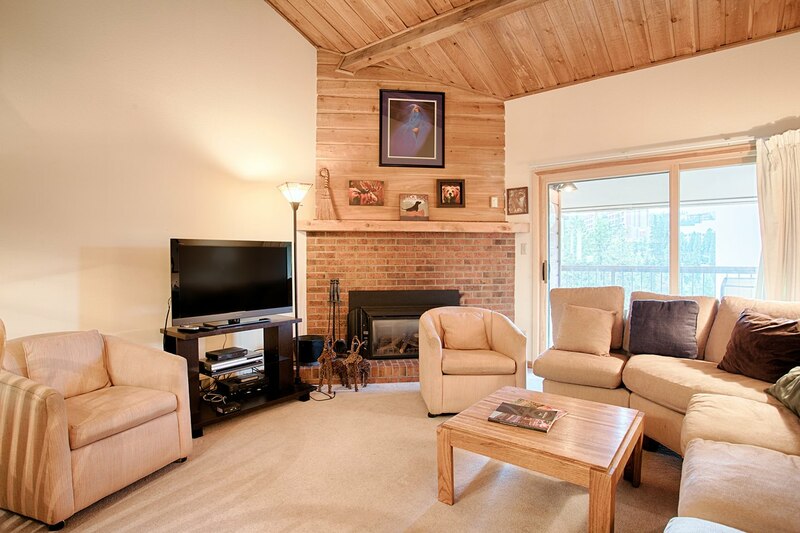 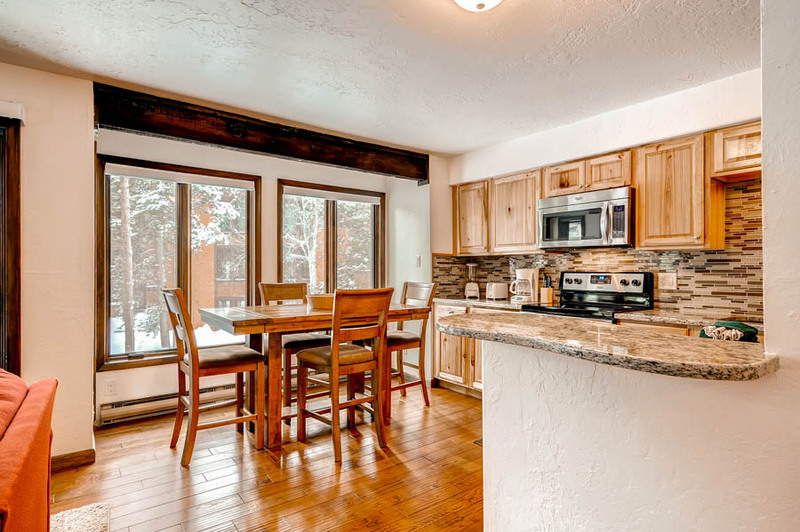 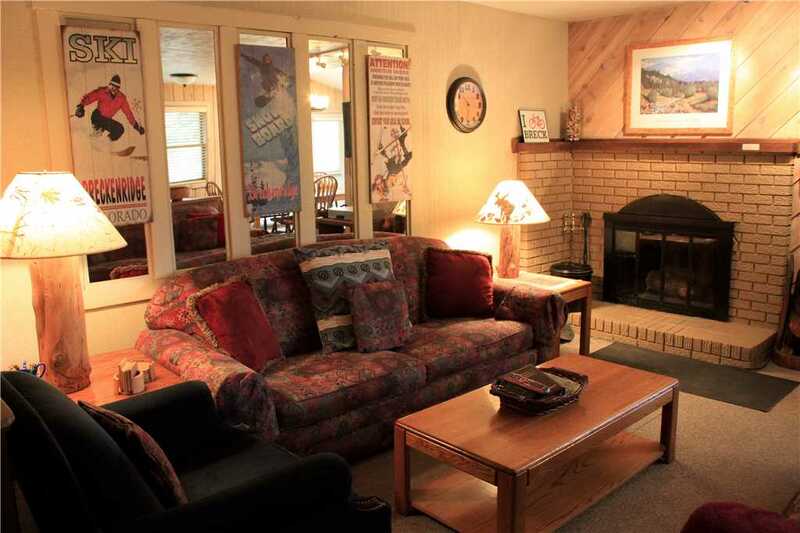 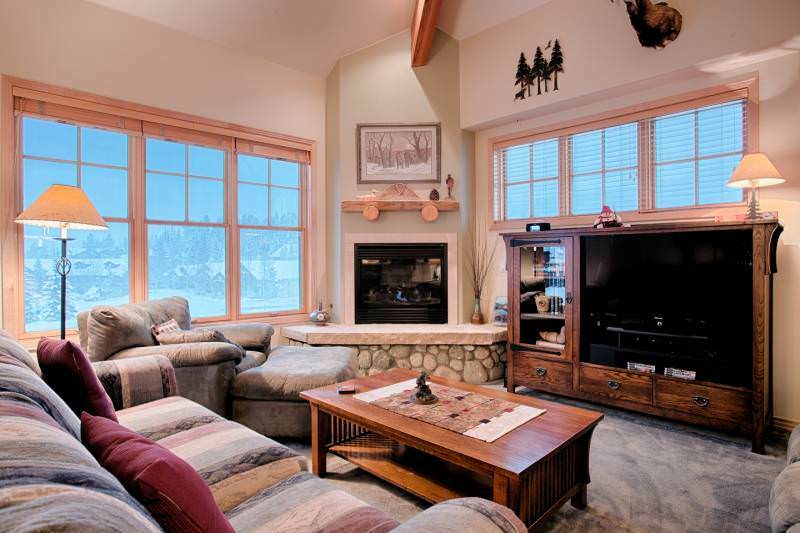 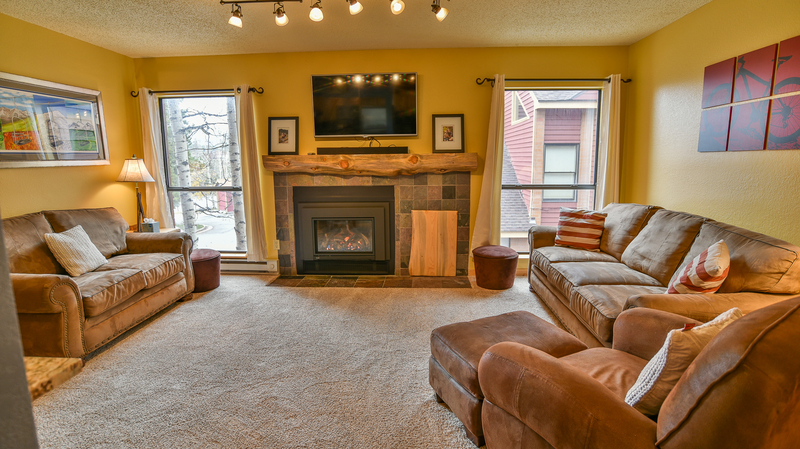 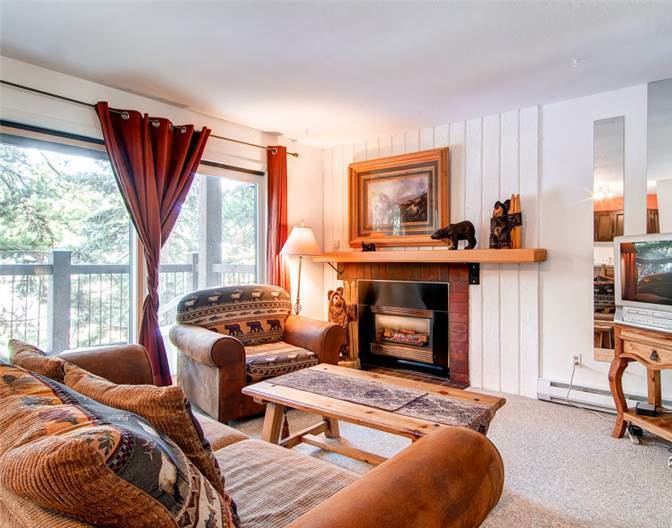 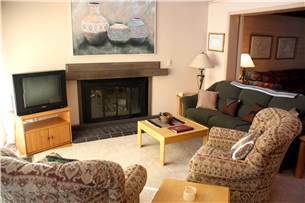 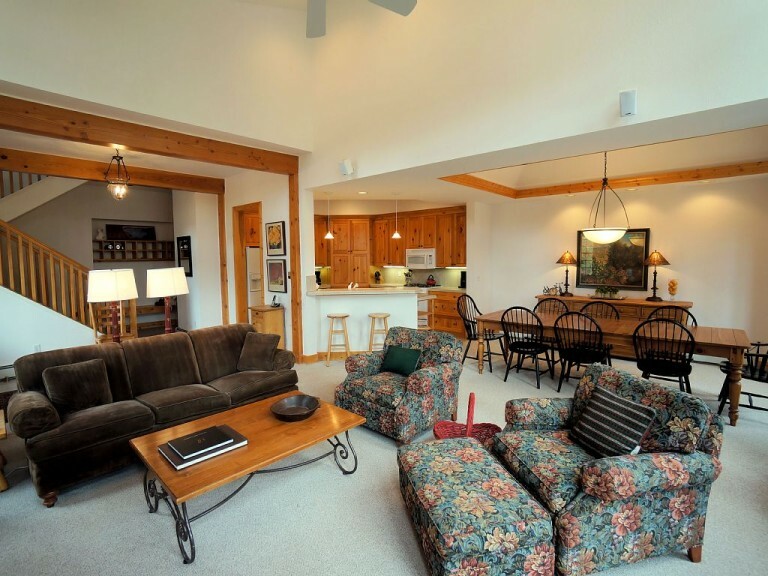 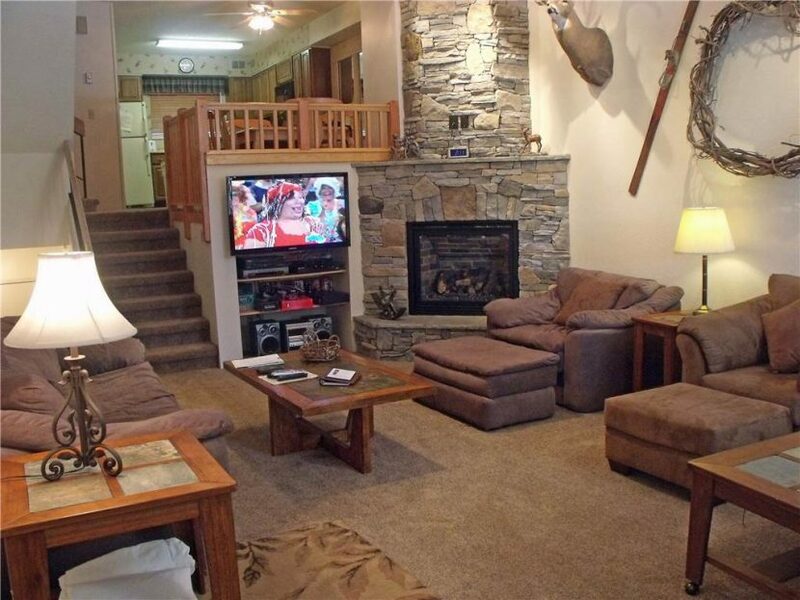 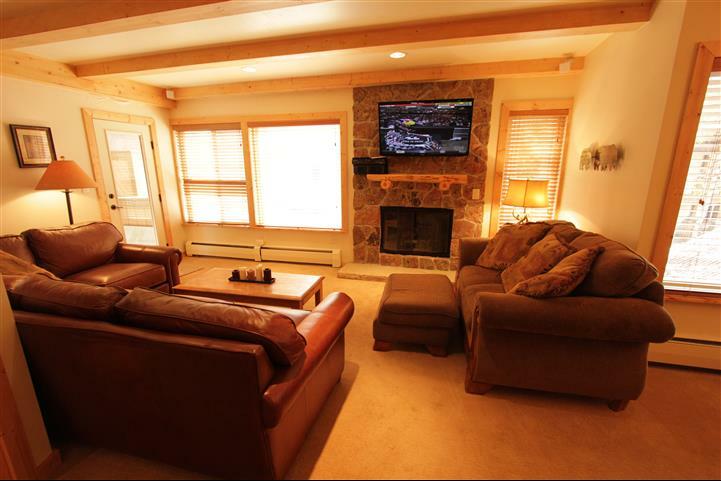 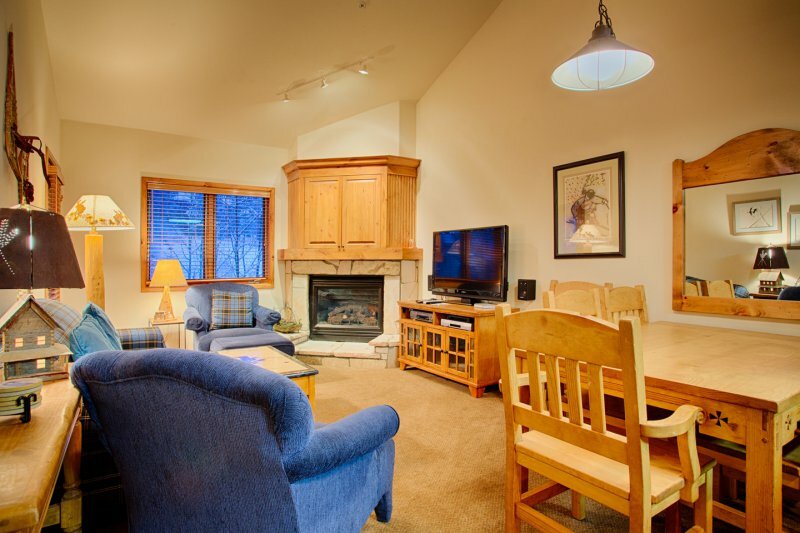 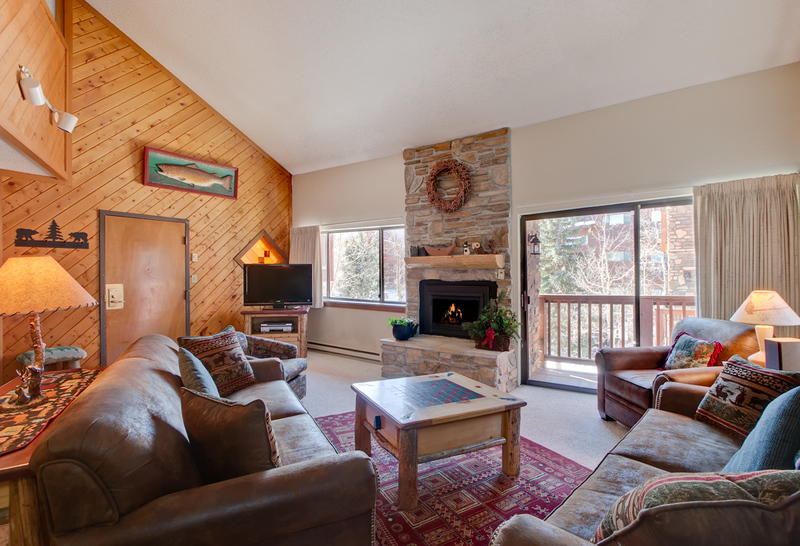 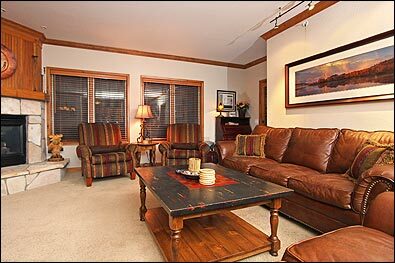 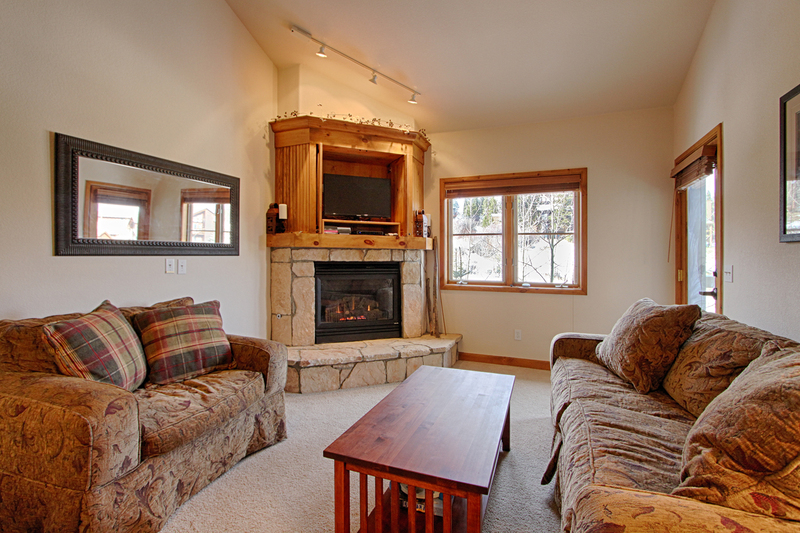 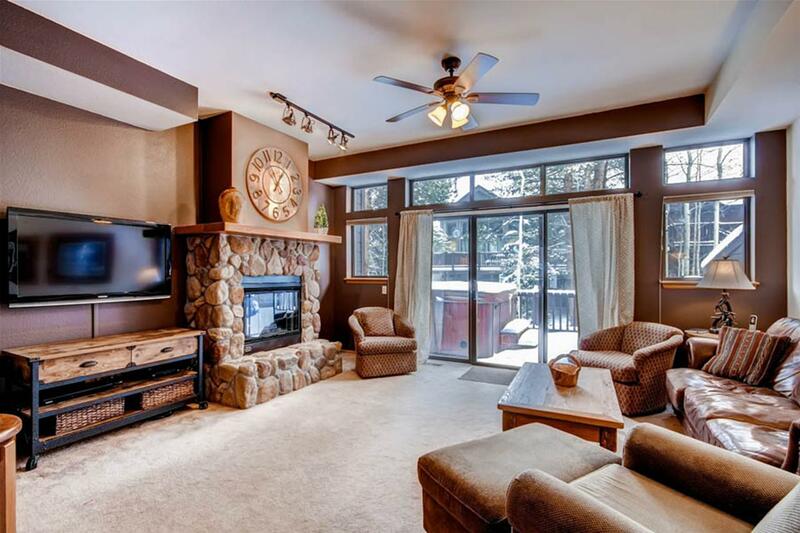 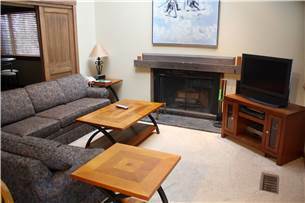 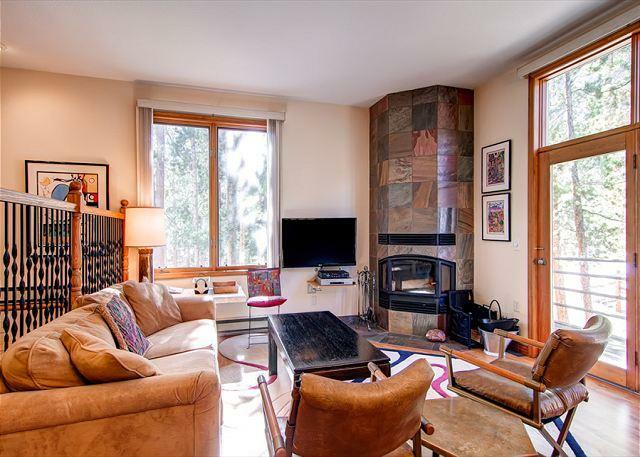 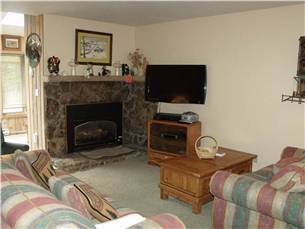 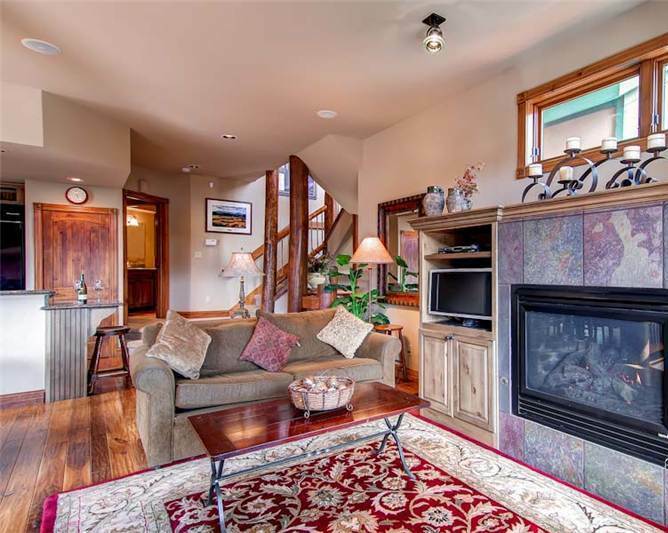 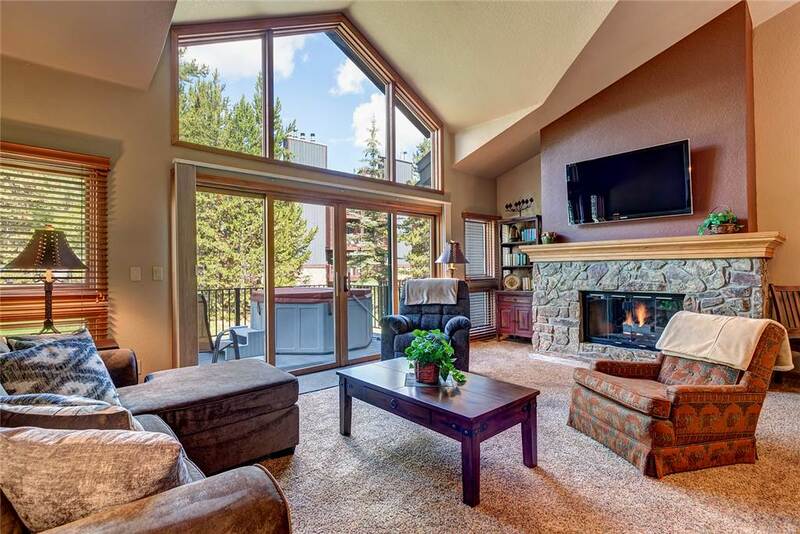 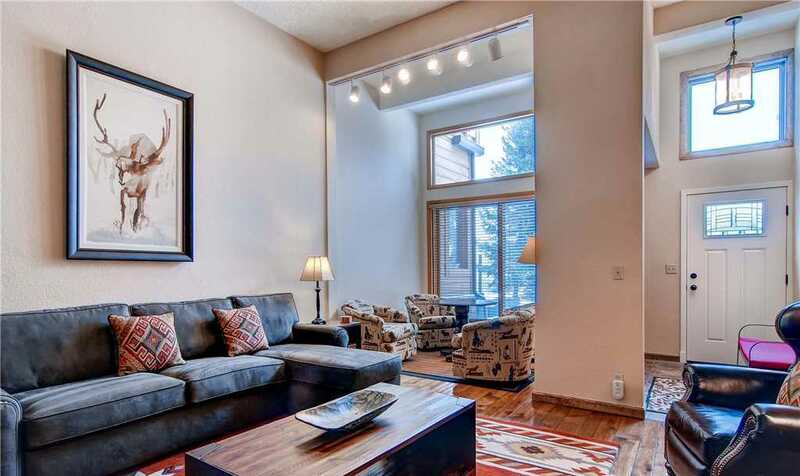 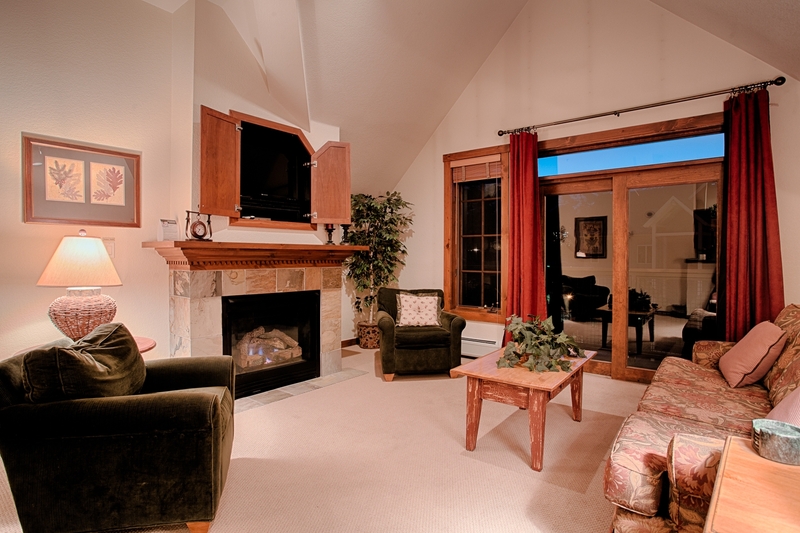 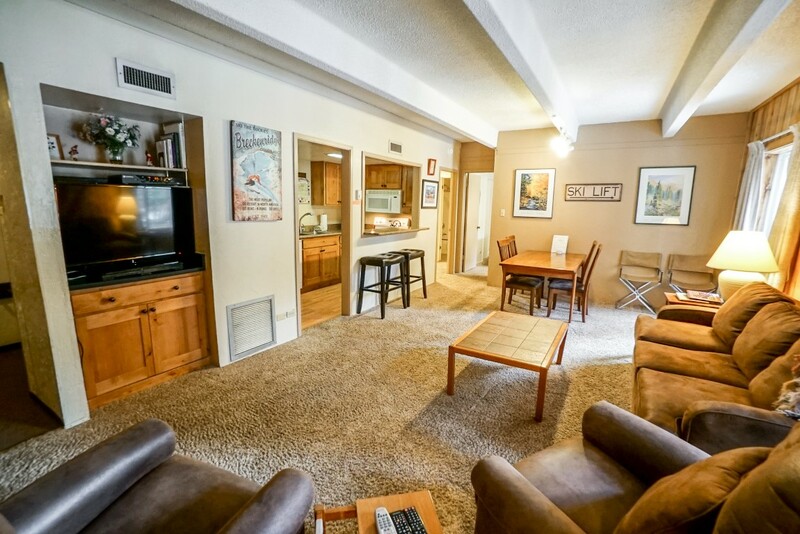 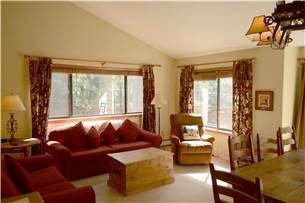 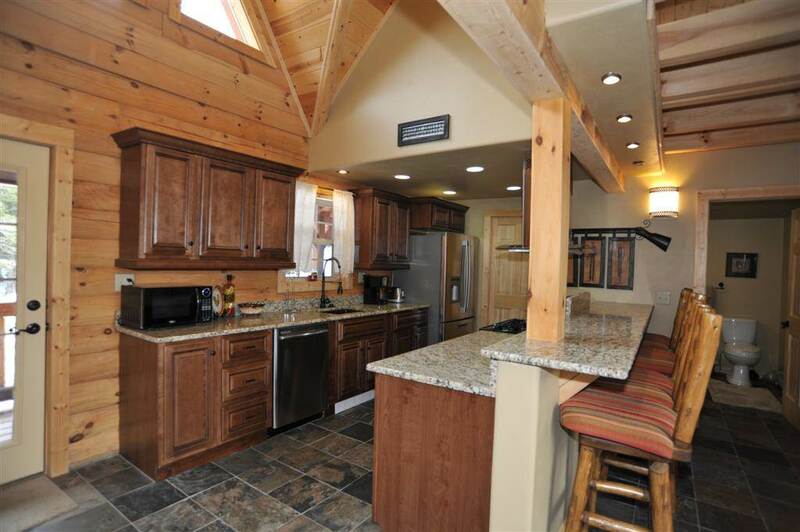 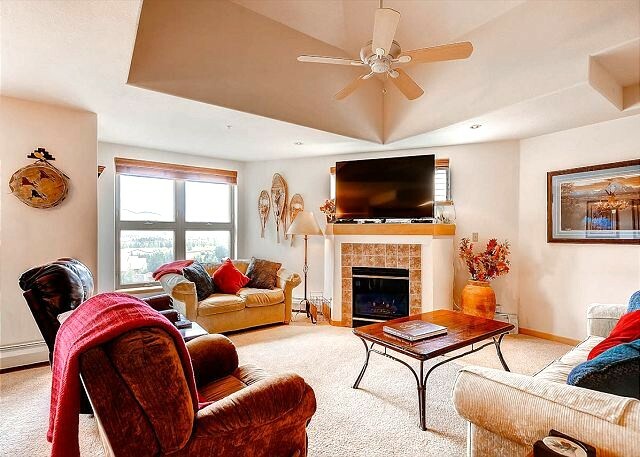 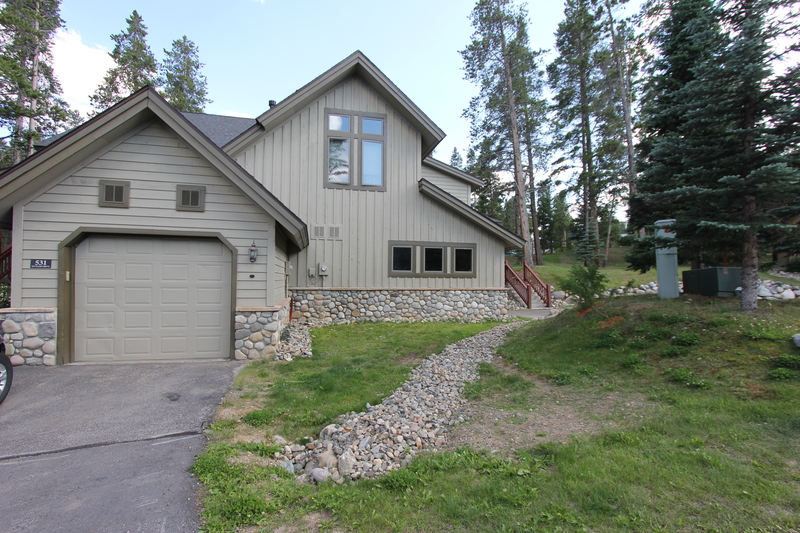 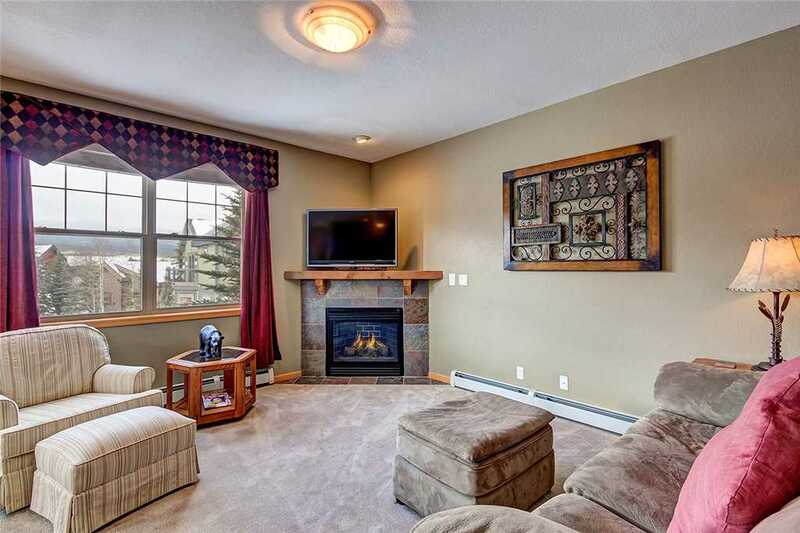 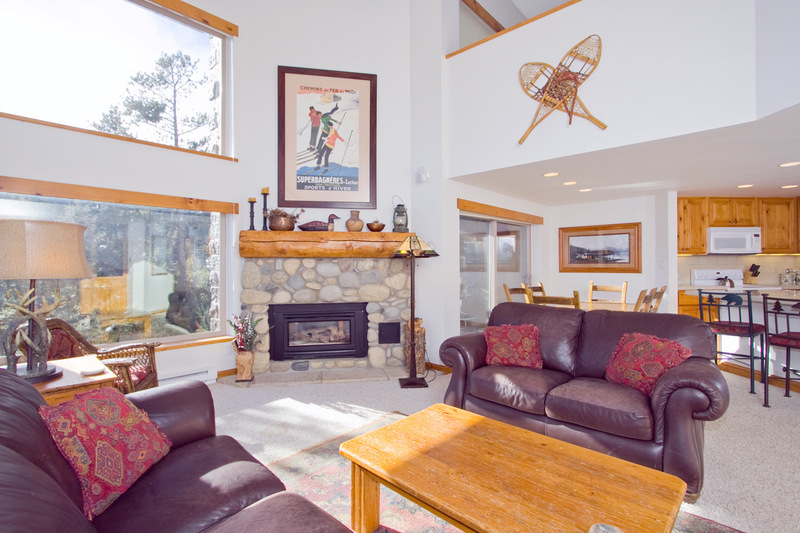 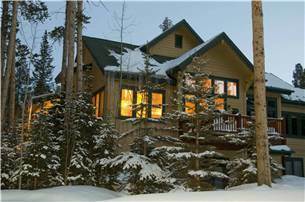 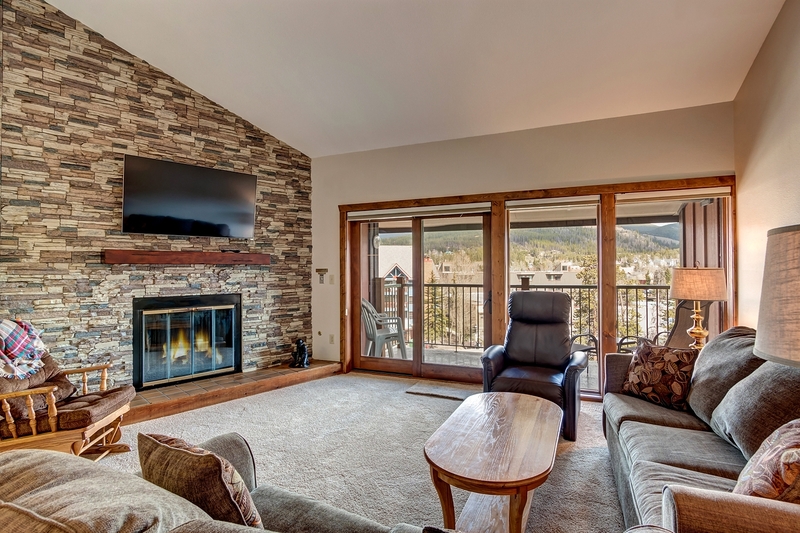 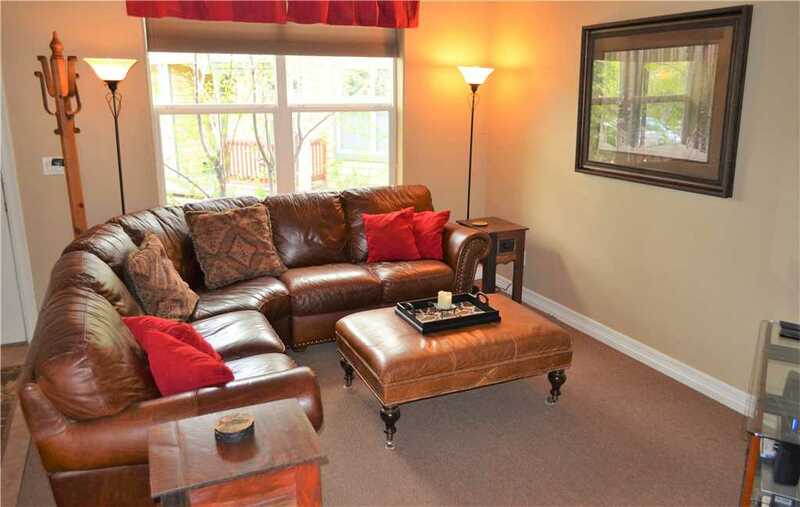 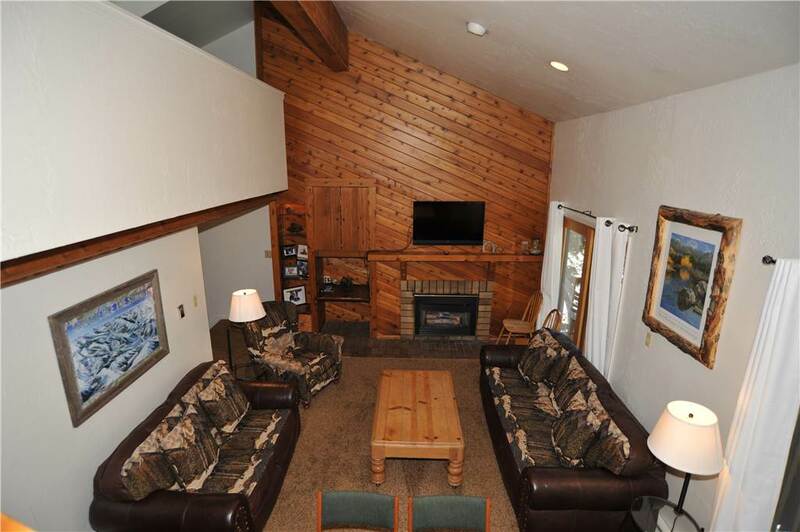 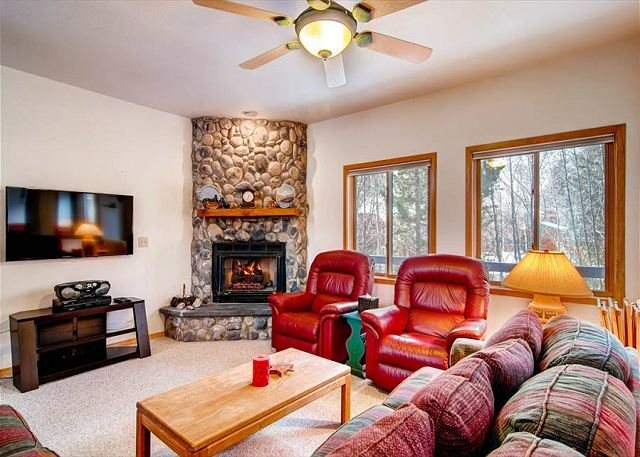 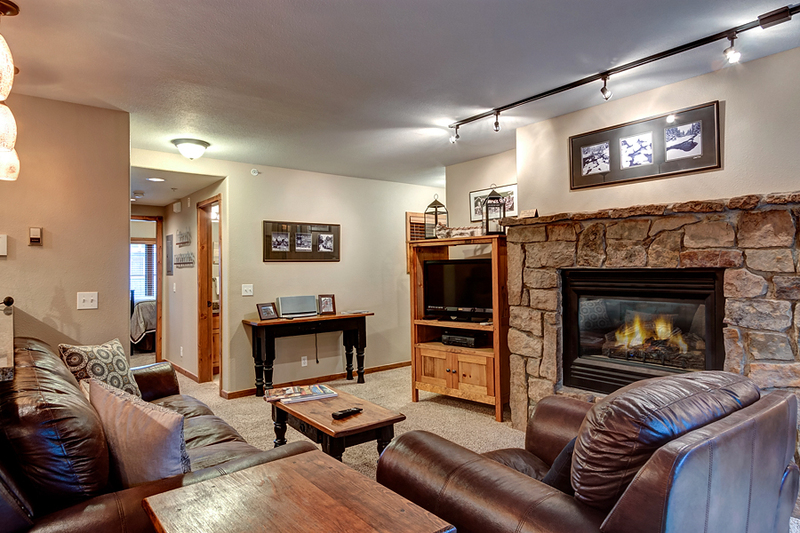 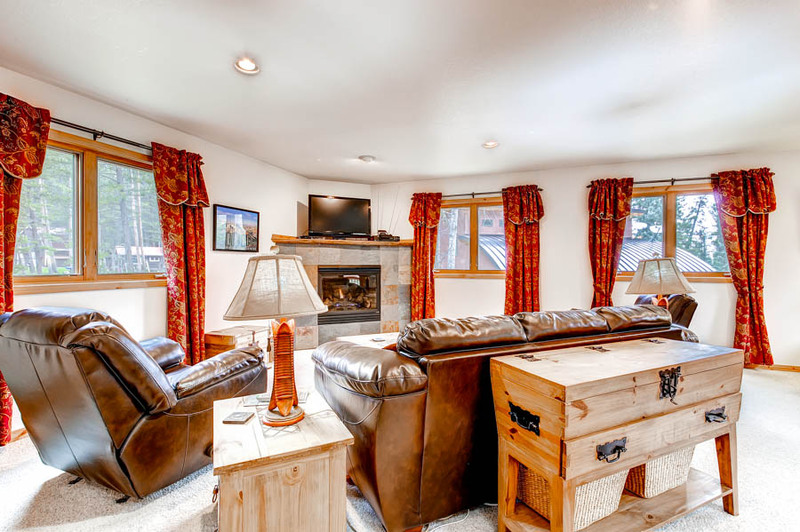 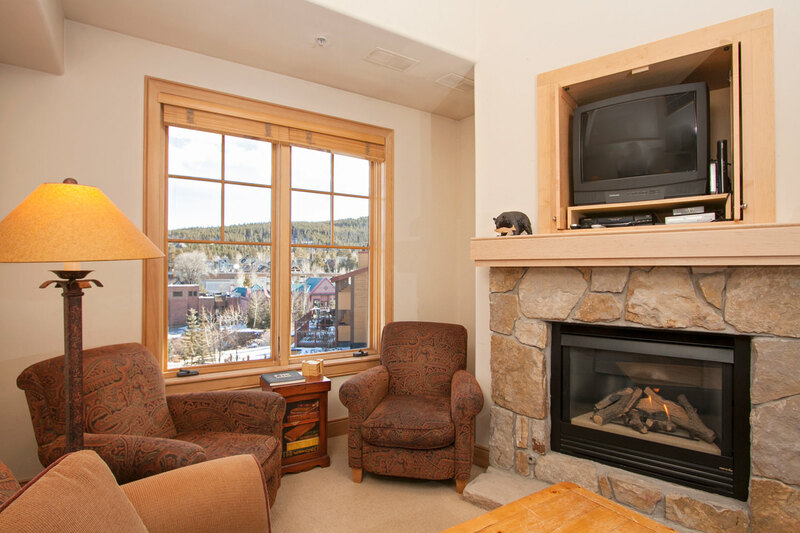 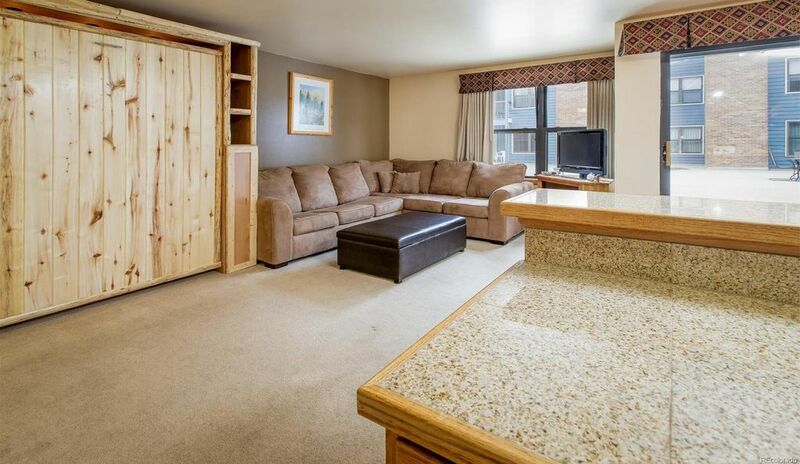 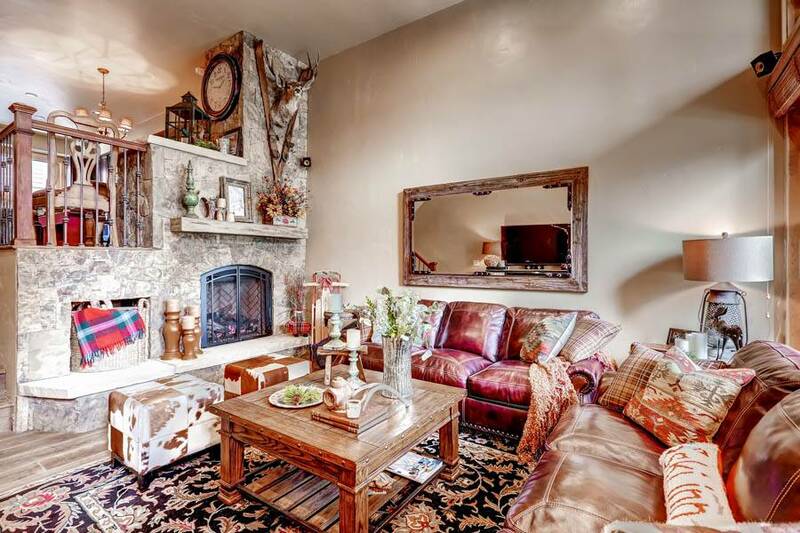 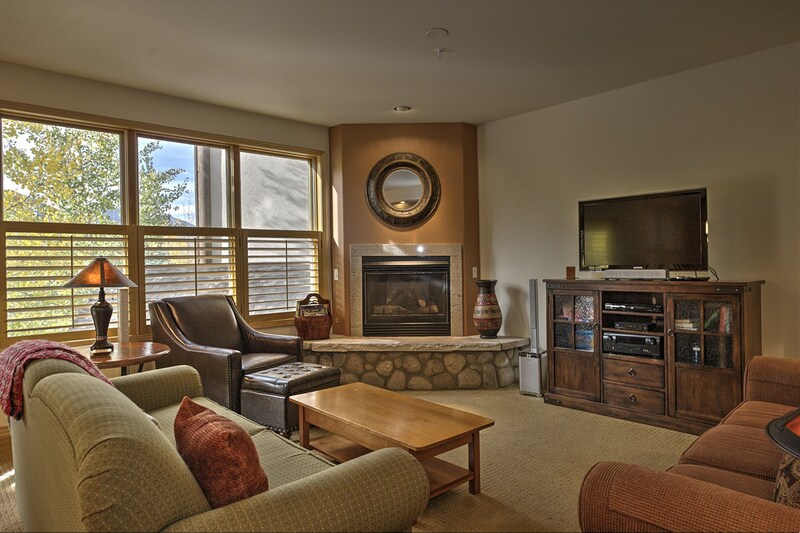 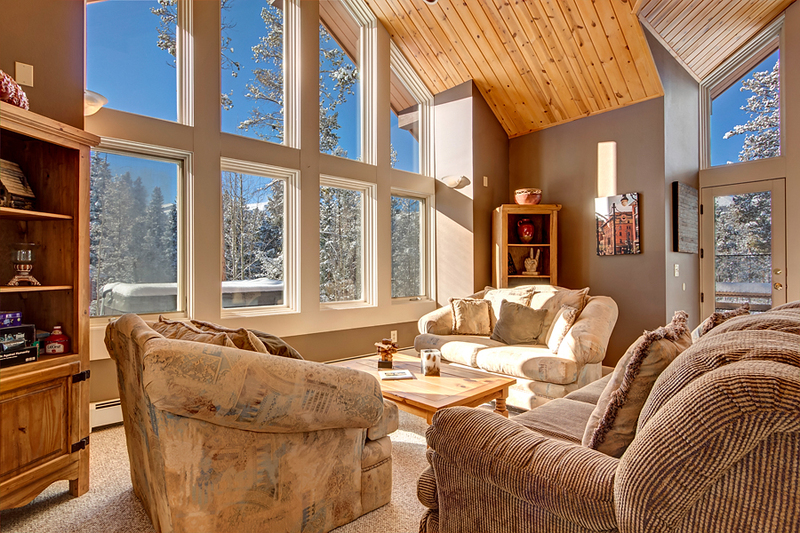 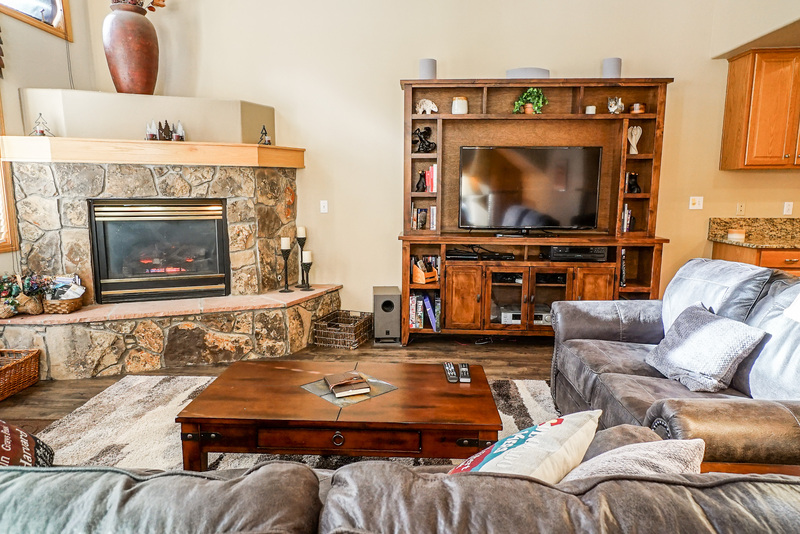 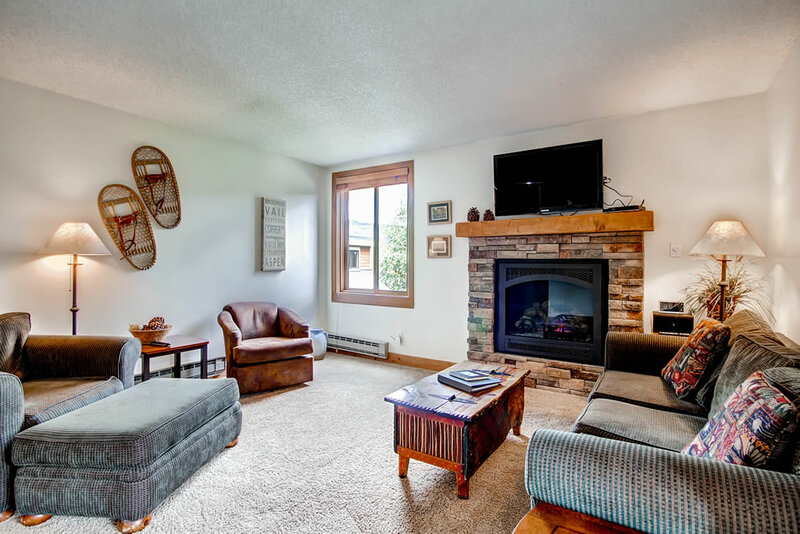 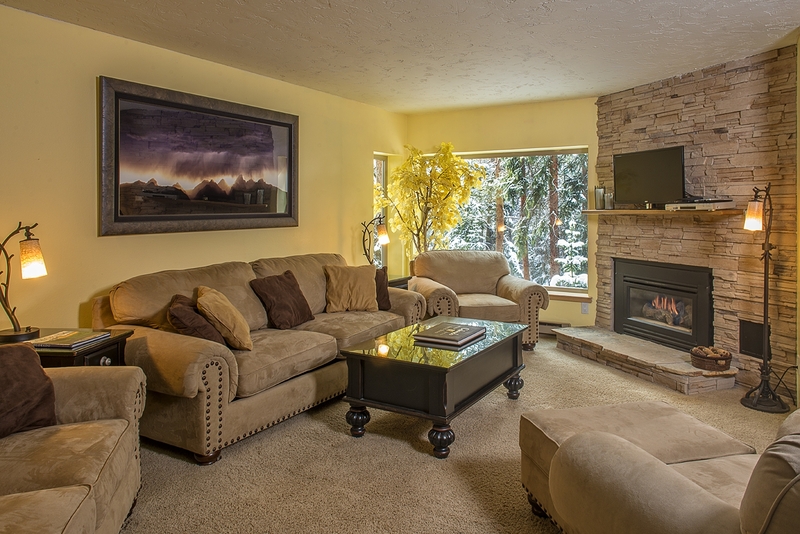 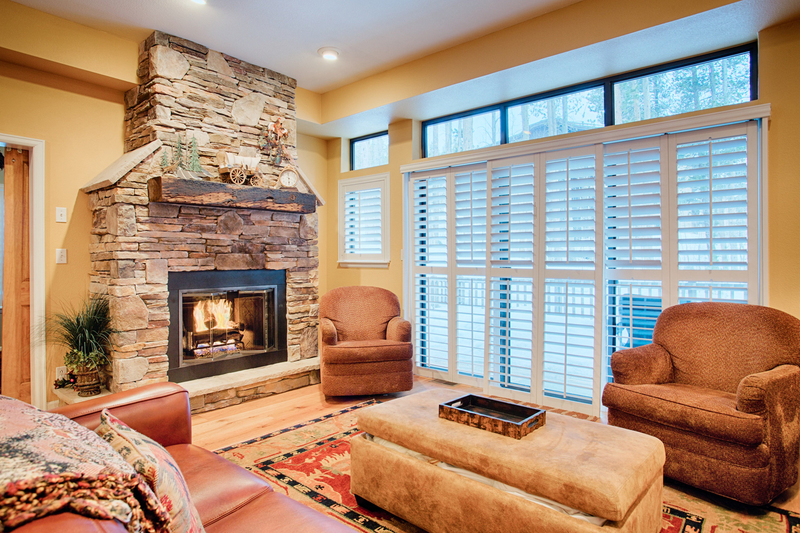 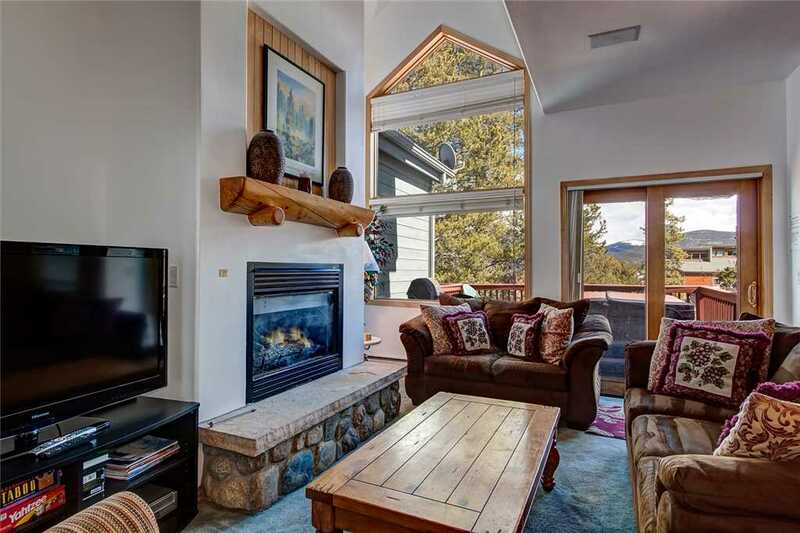 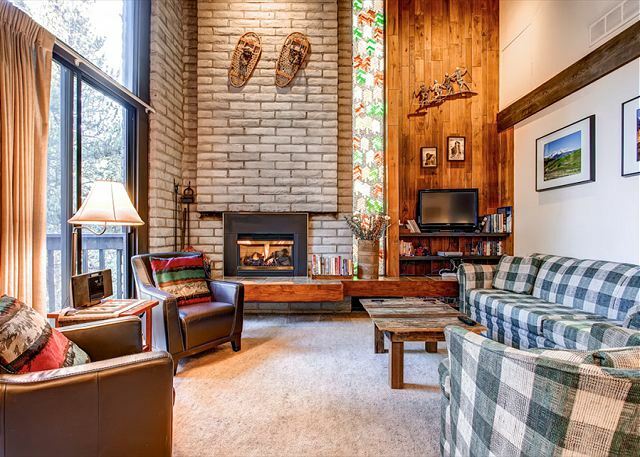 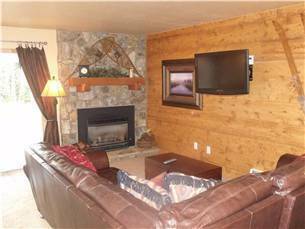 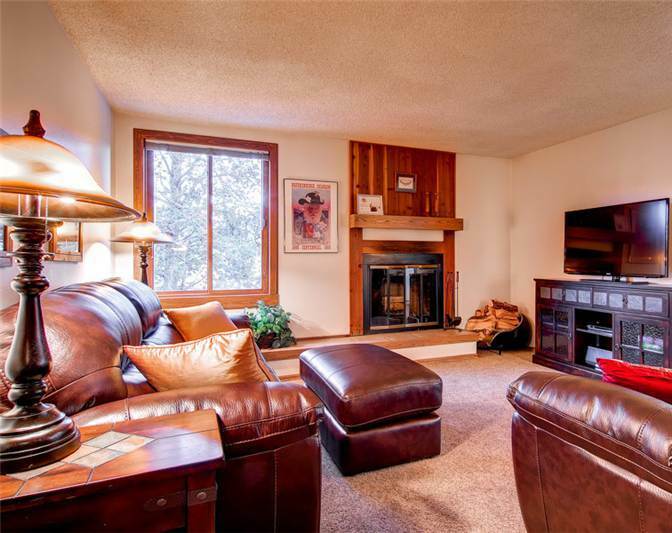 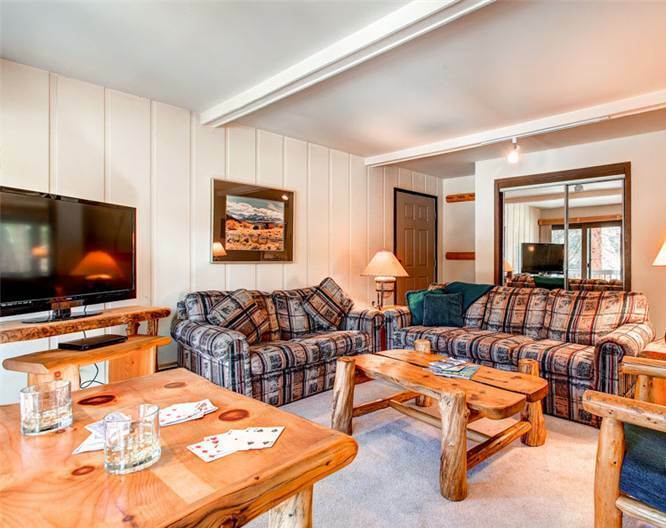 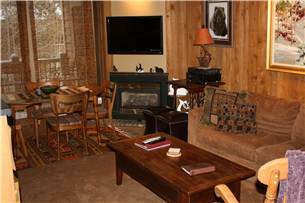 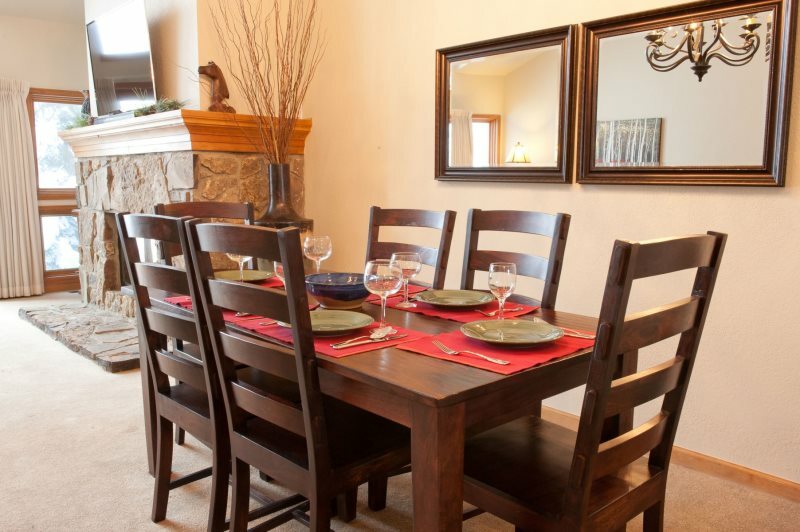 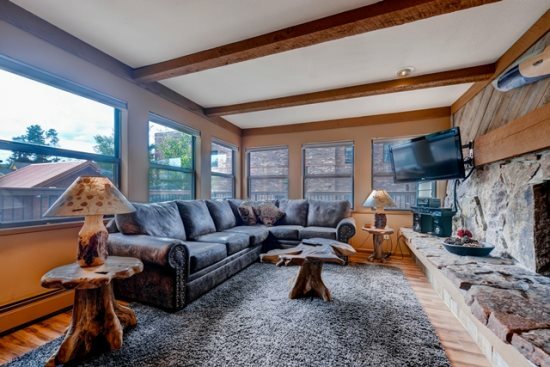 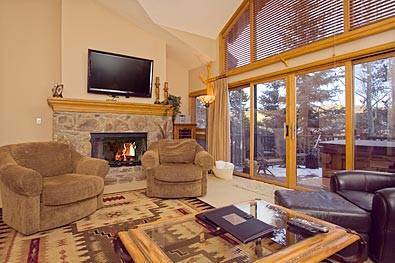 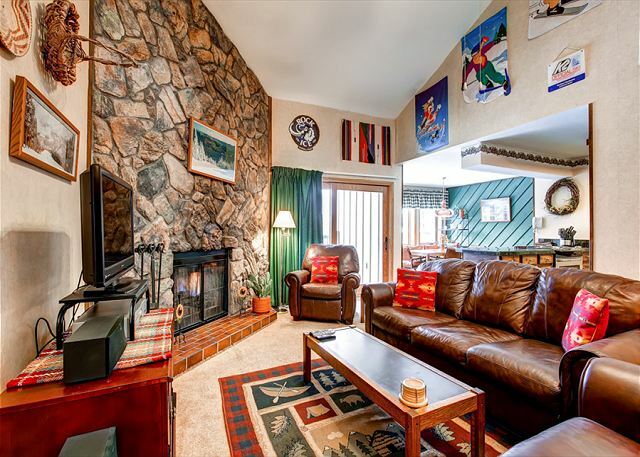 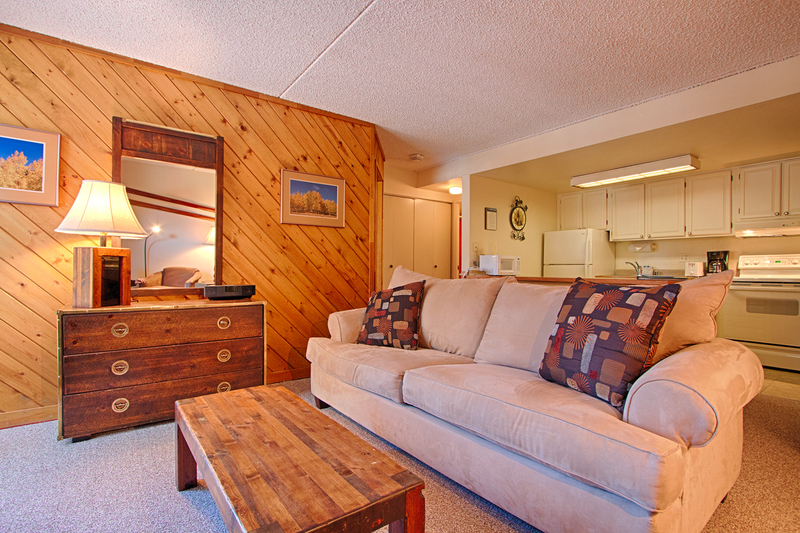 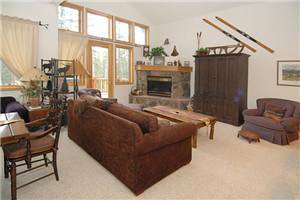 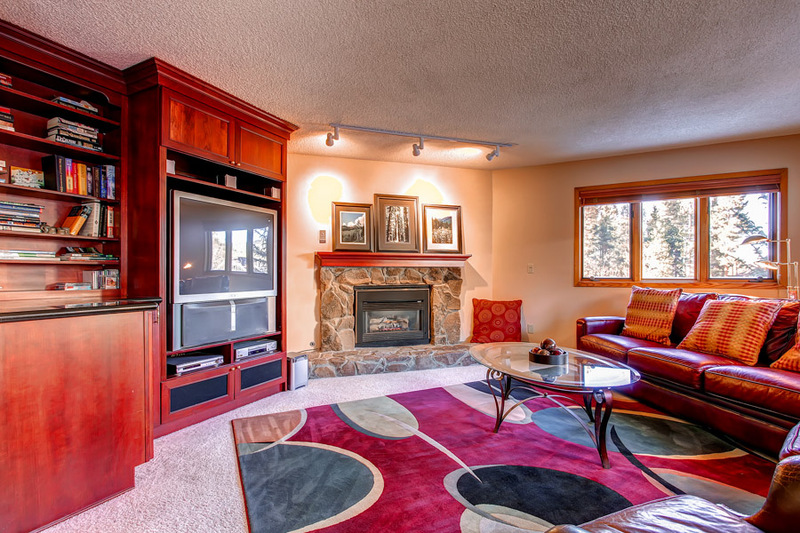 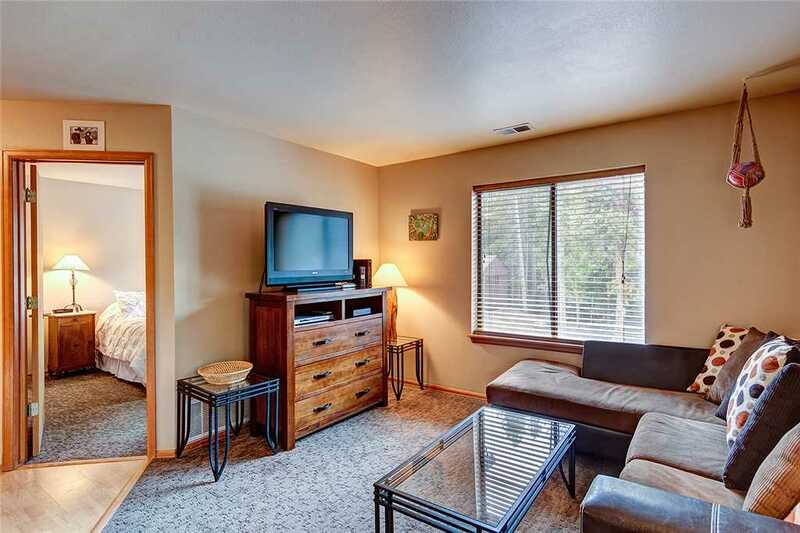 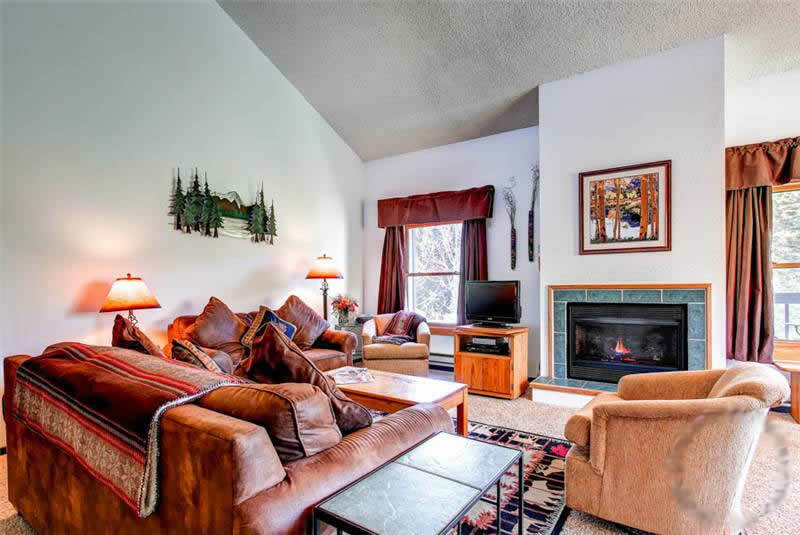 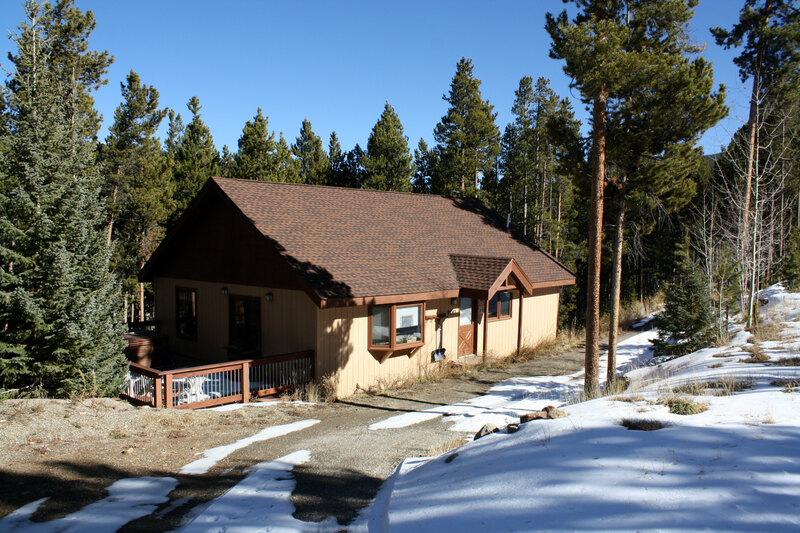 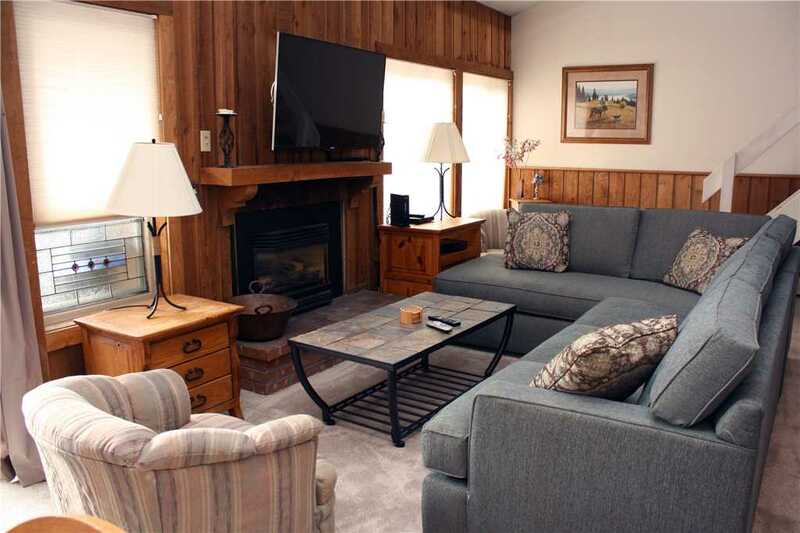 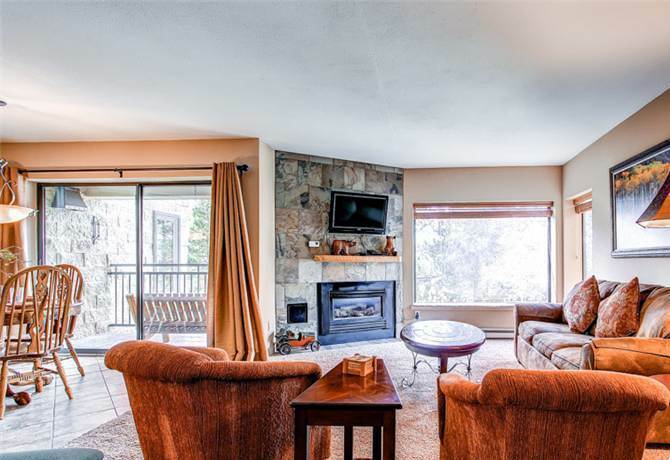 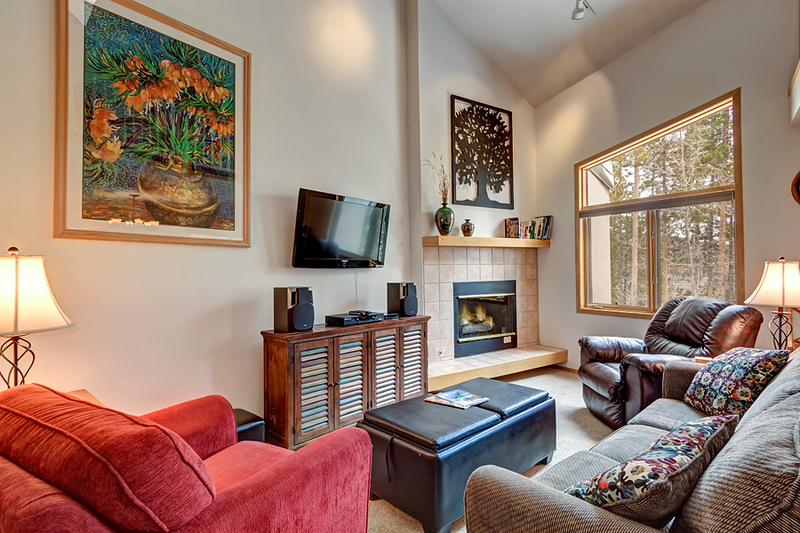 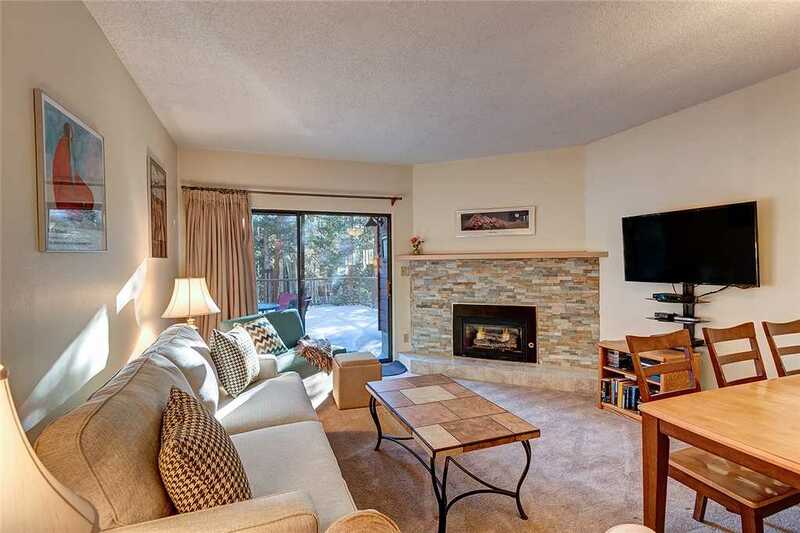 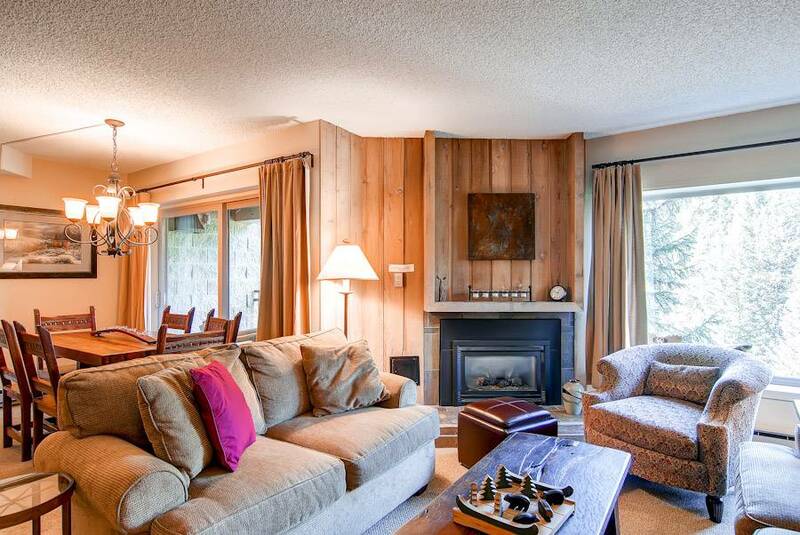 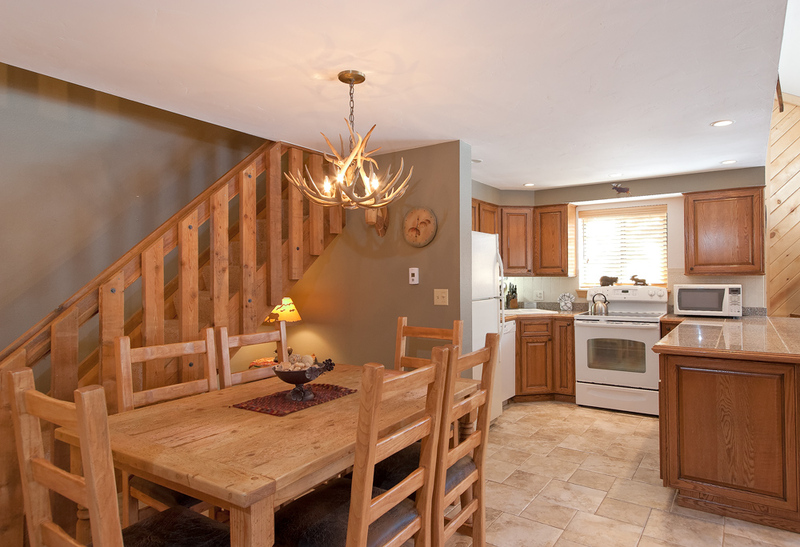 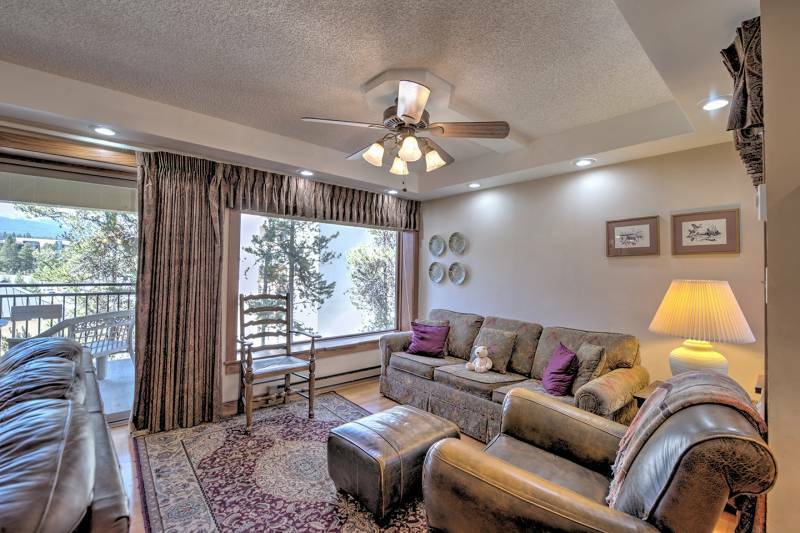 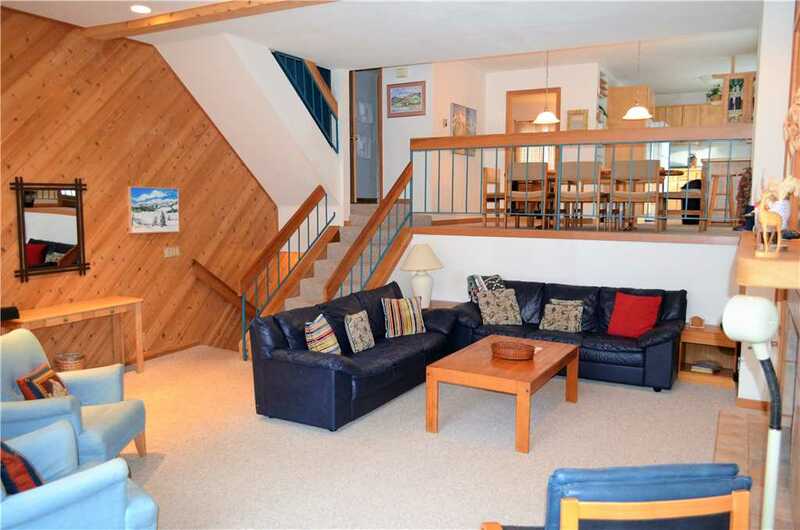 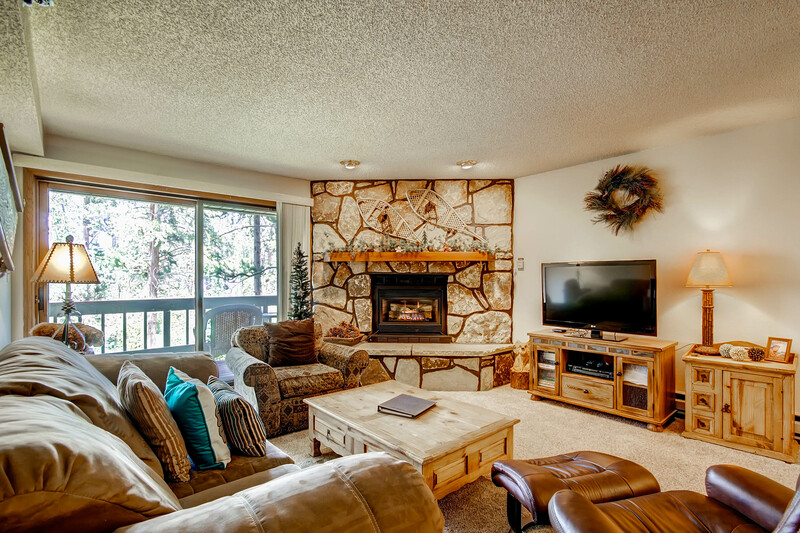 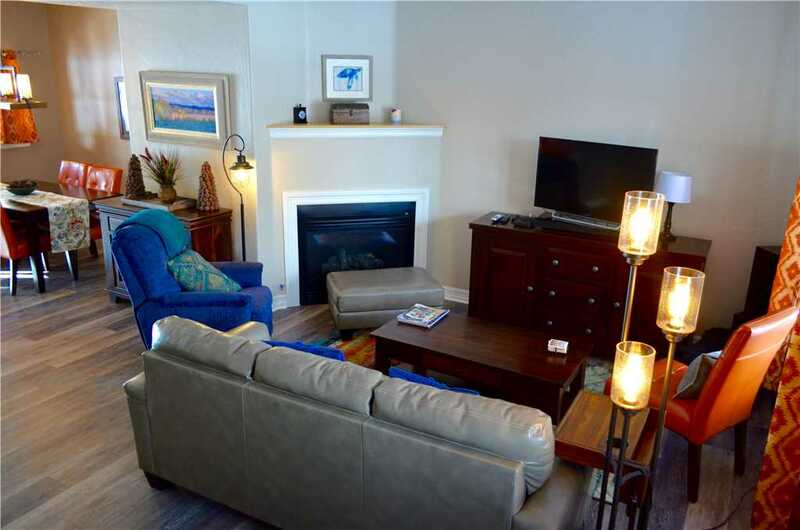 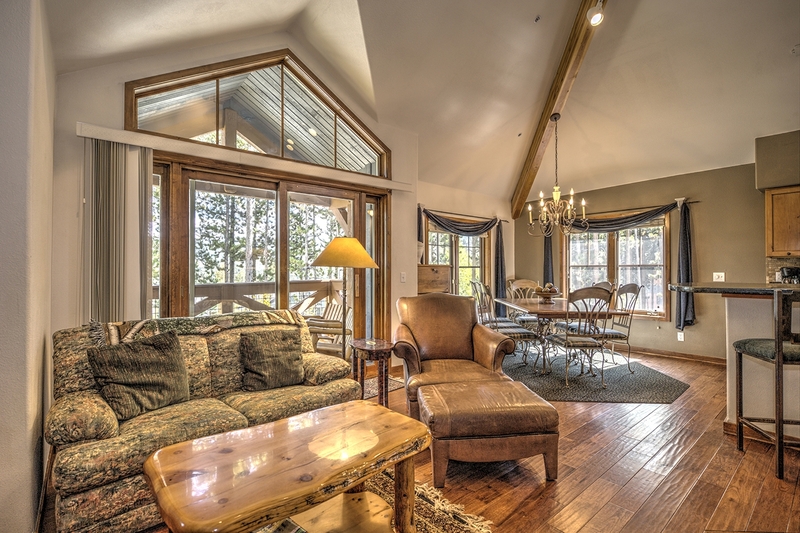 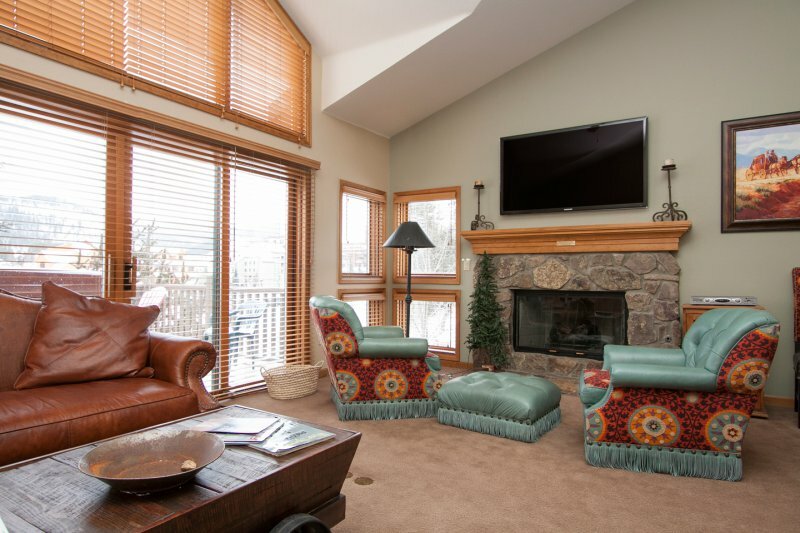 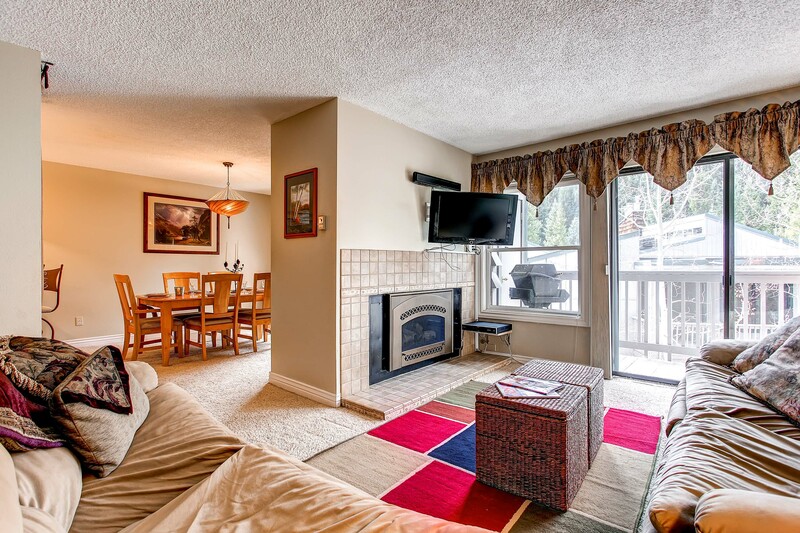 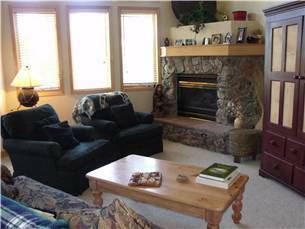 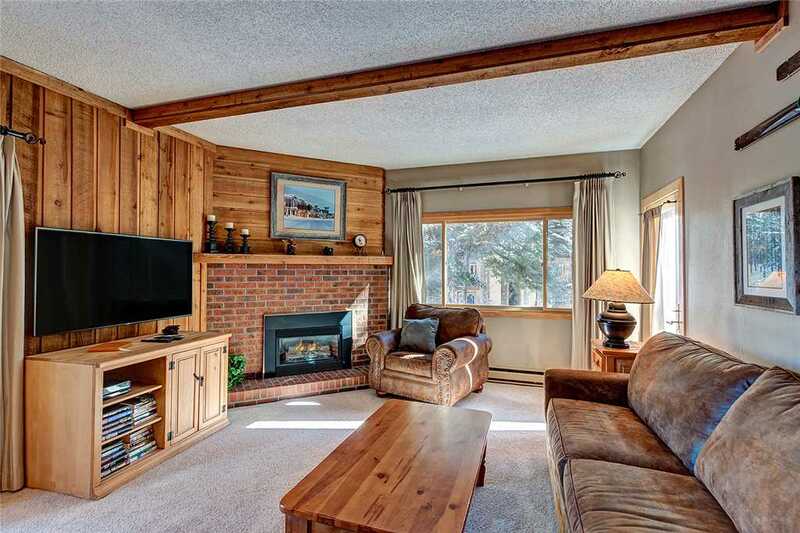 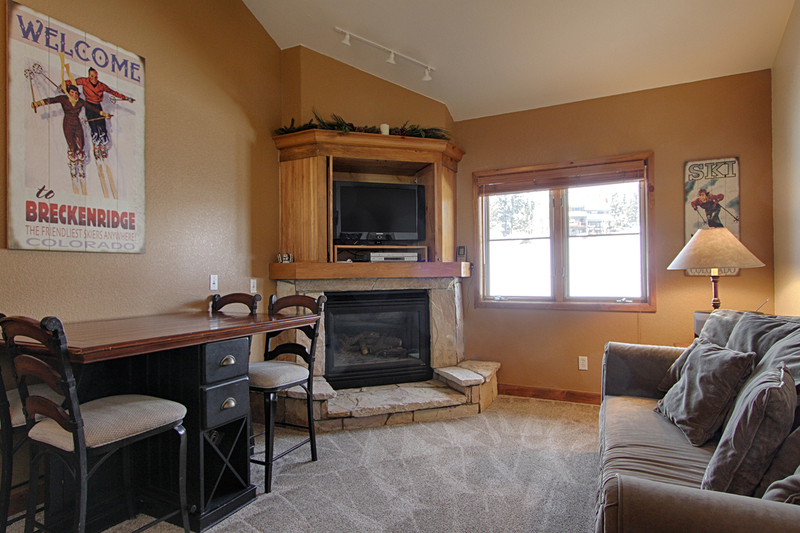 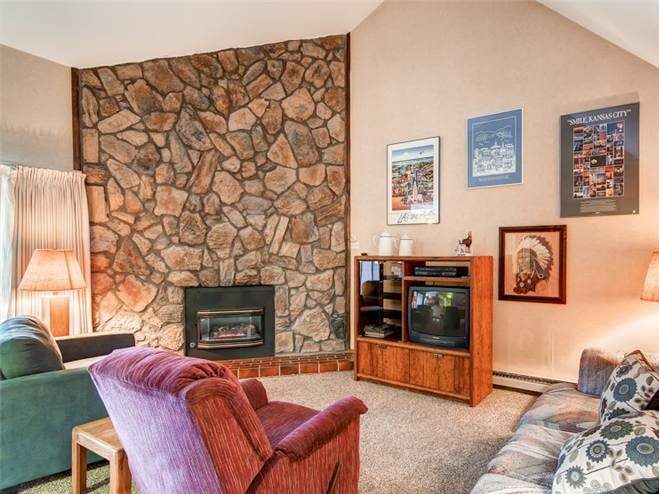 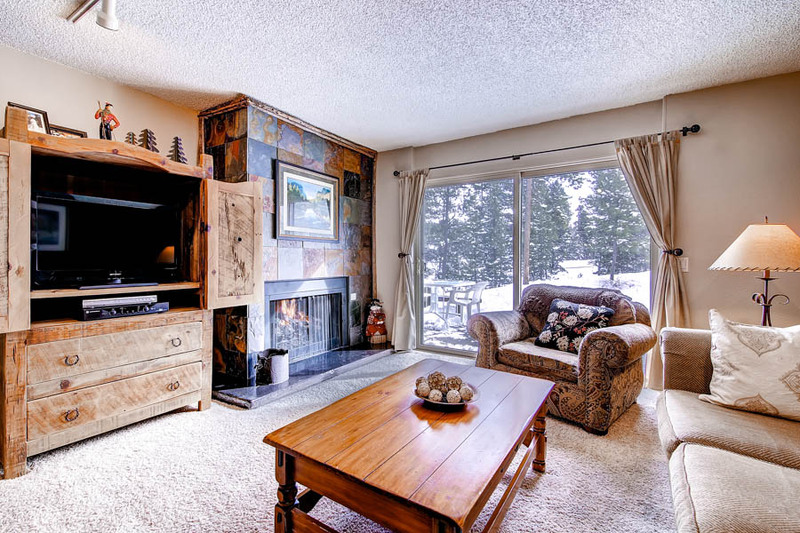 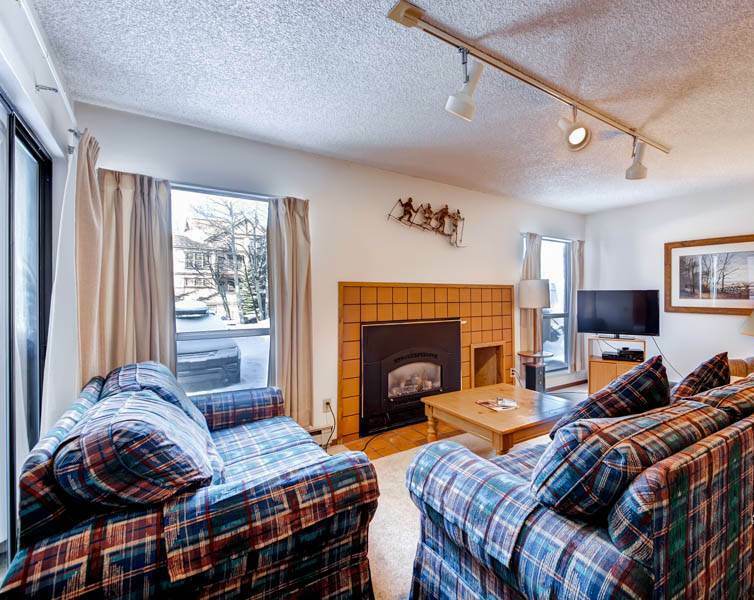 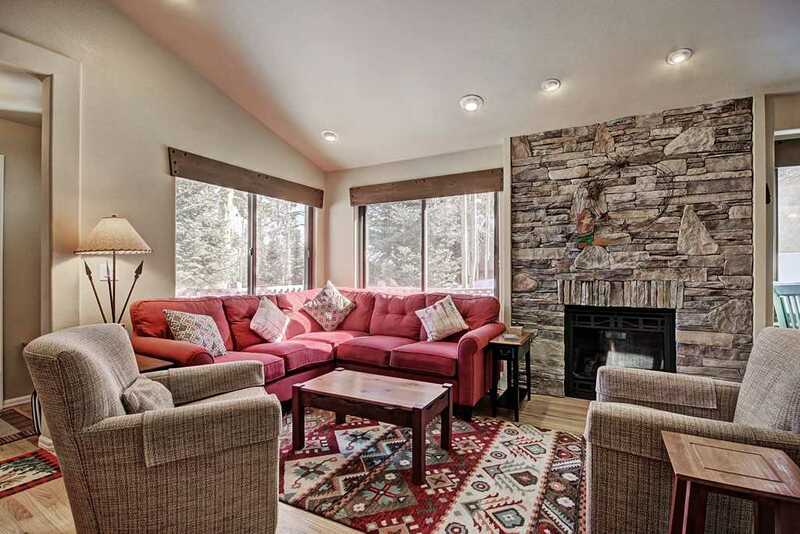 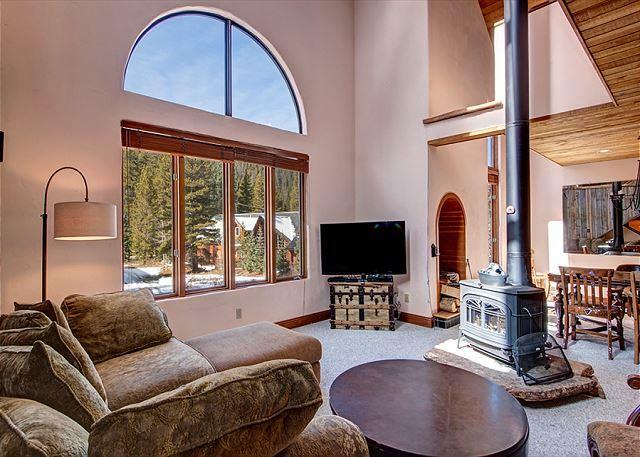 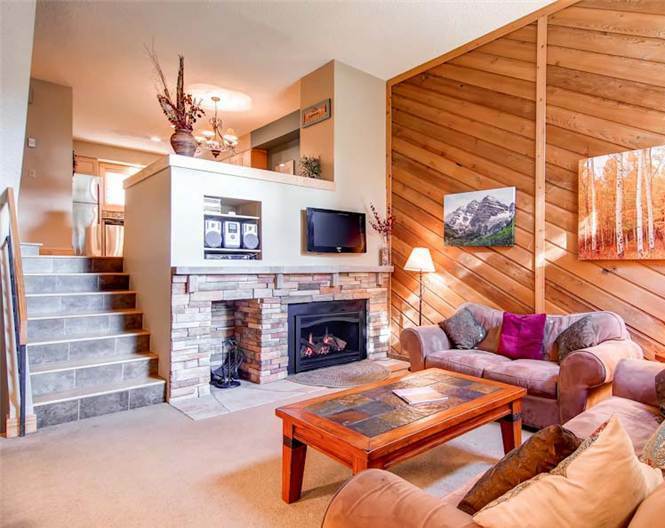 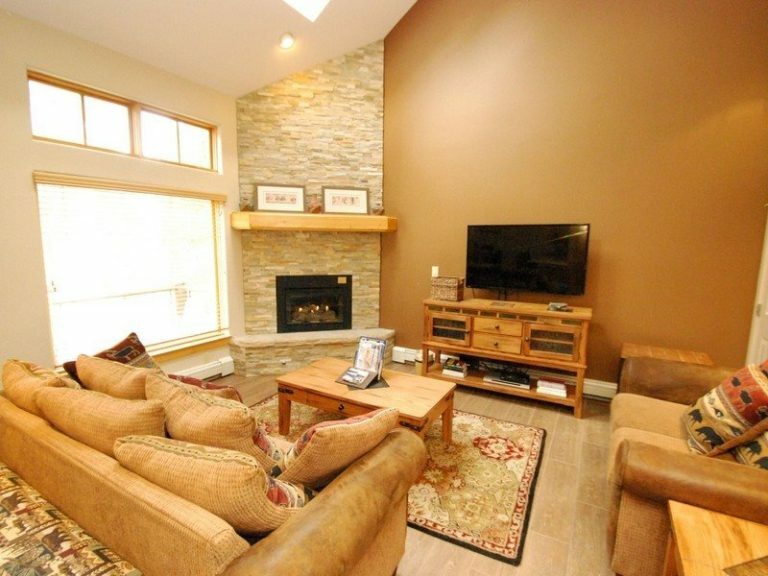 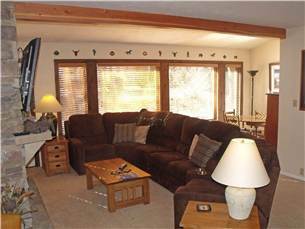 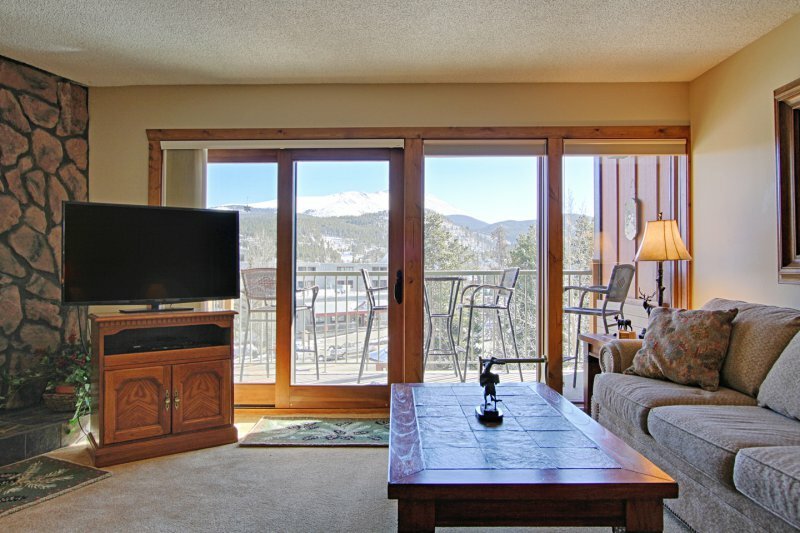 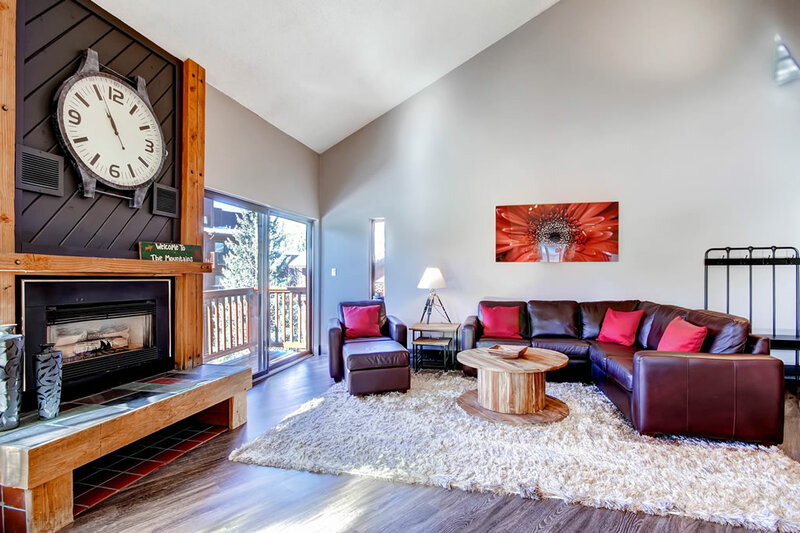 The living area is spacious and inviting with a gas fireplace, large LCD-TV and huge windows to let in the mountain light. 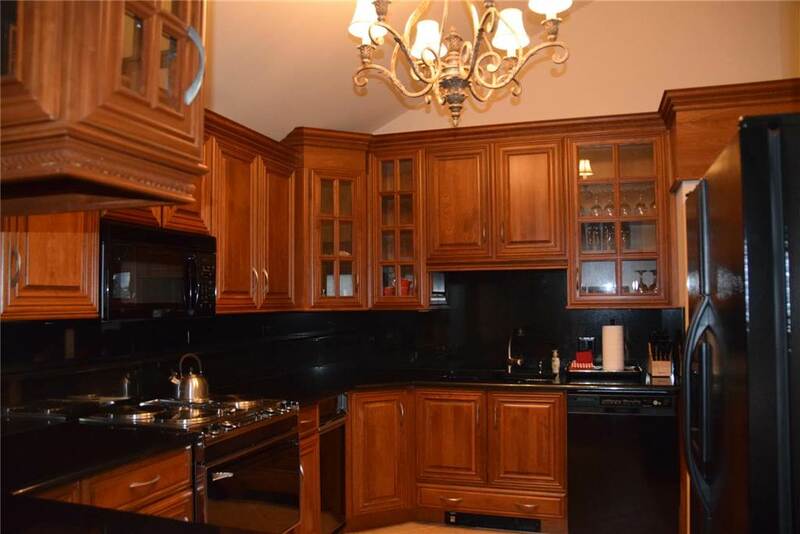 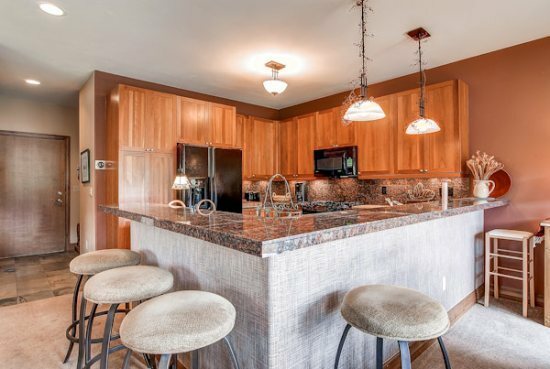 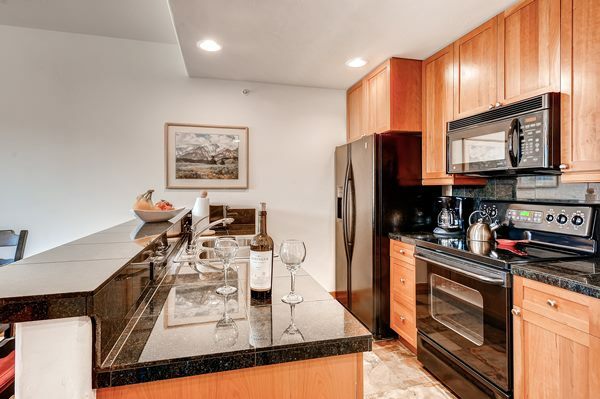 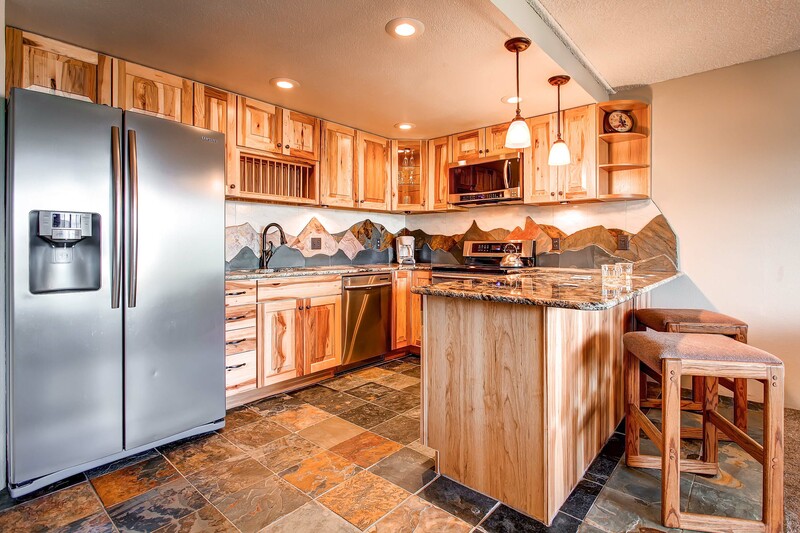 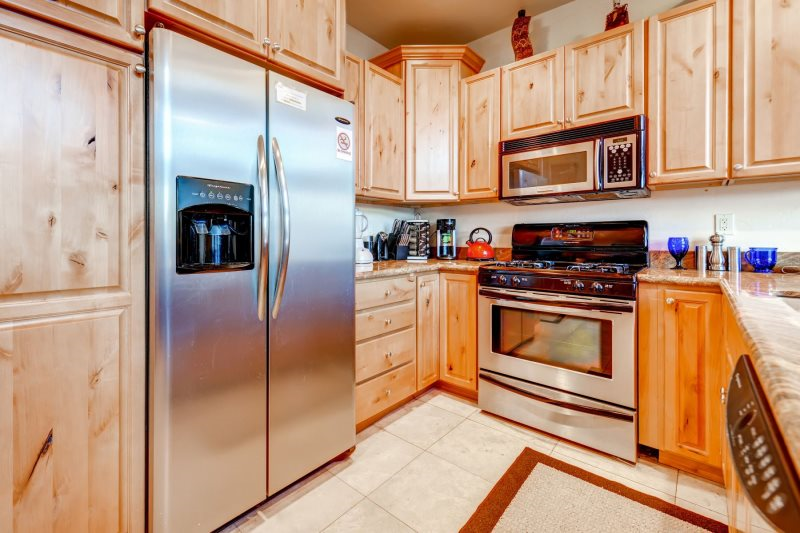 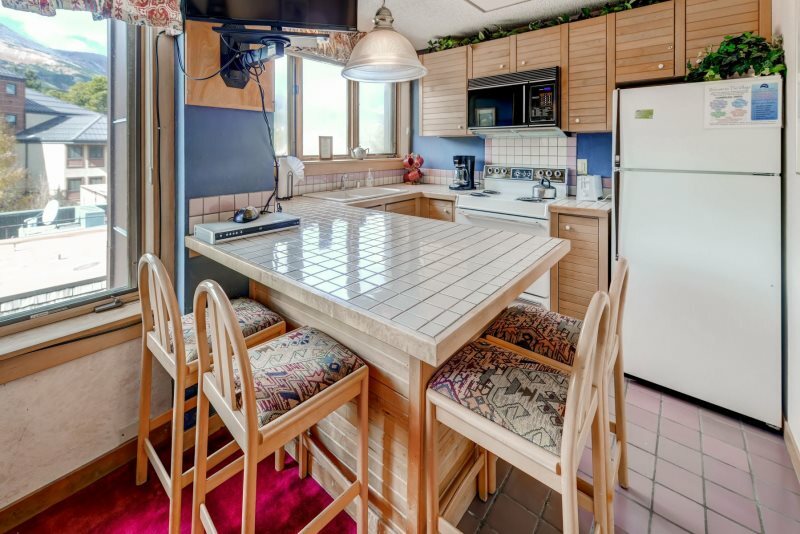 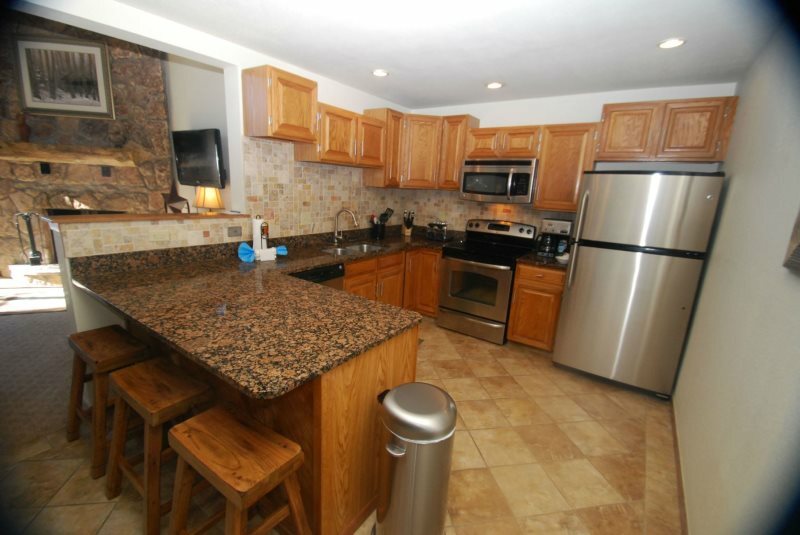 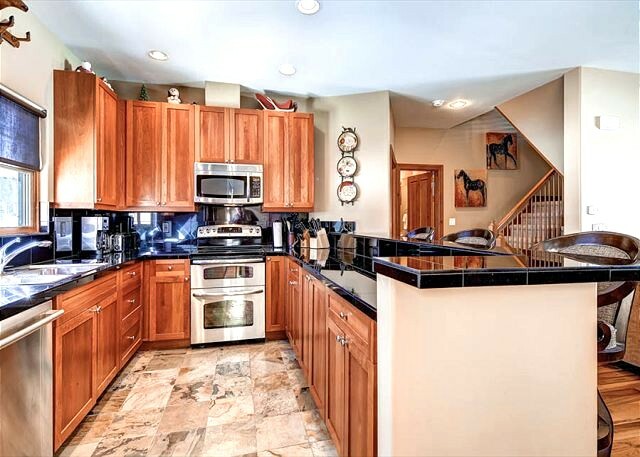 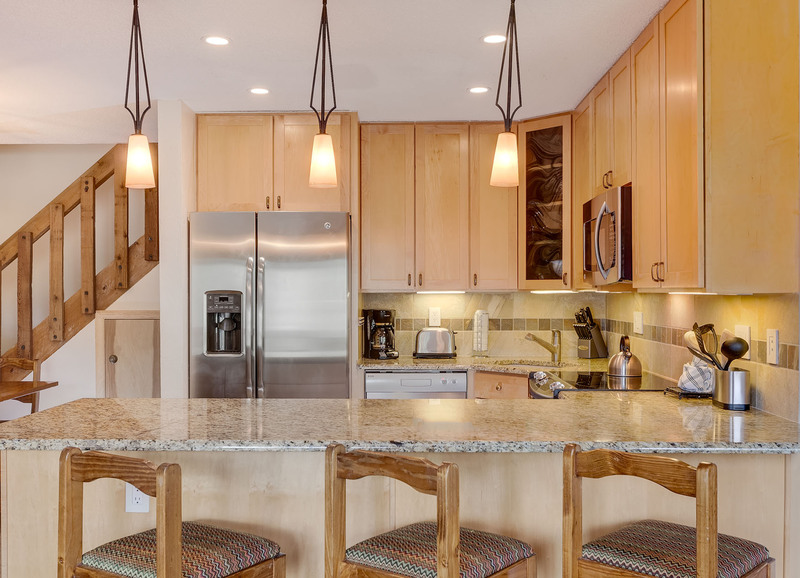 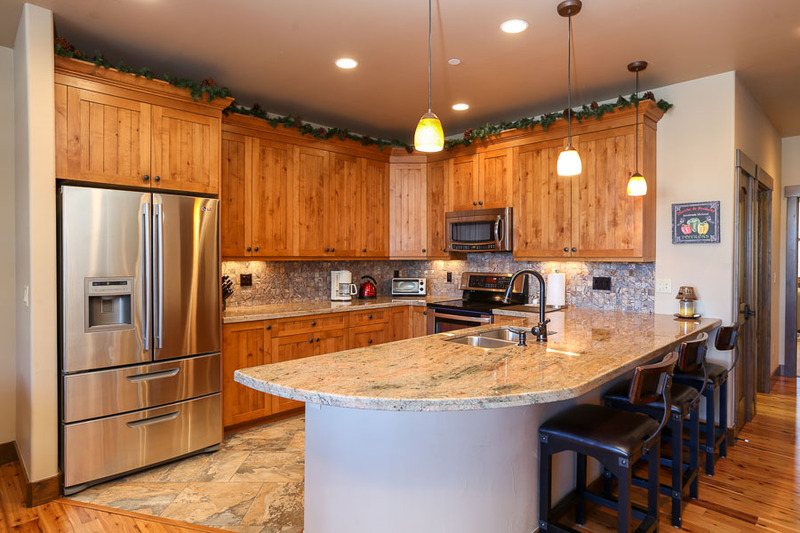 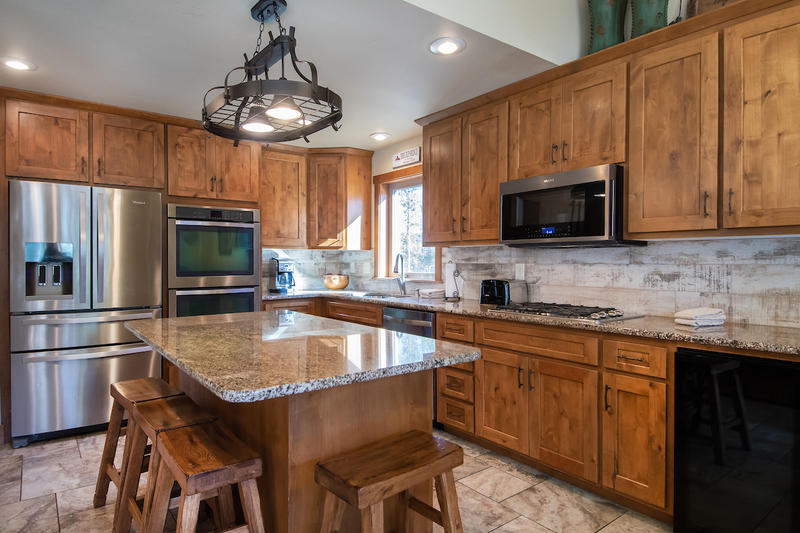 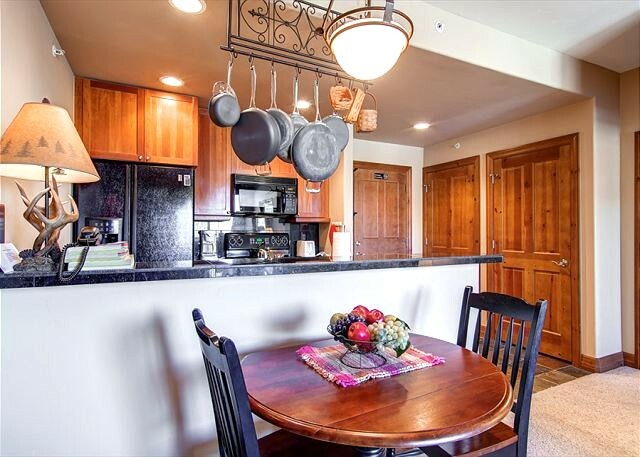 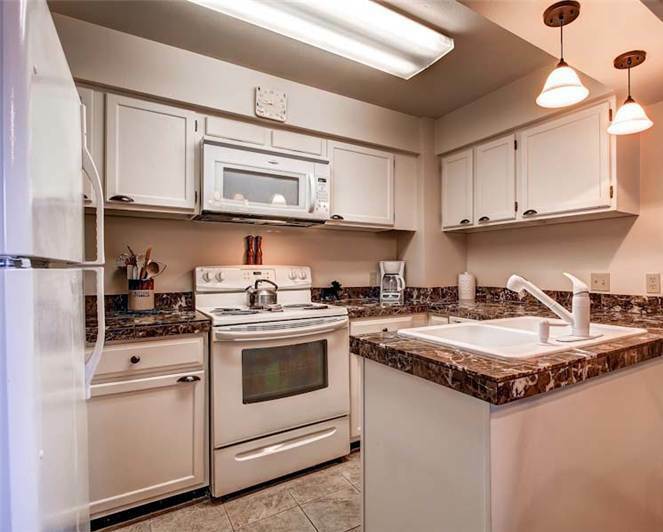 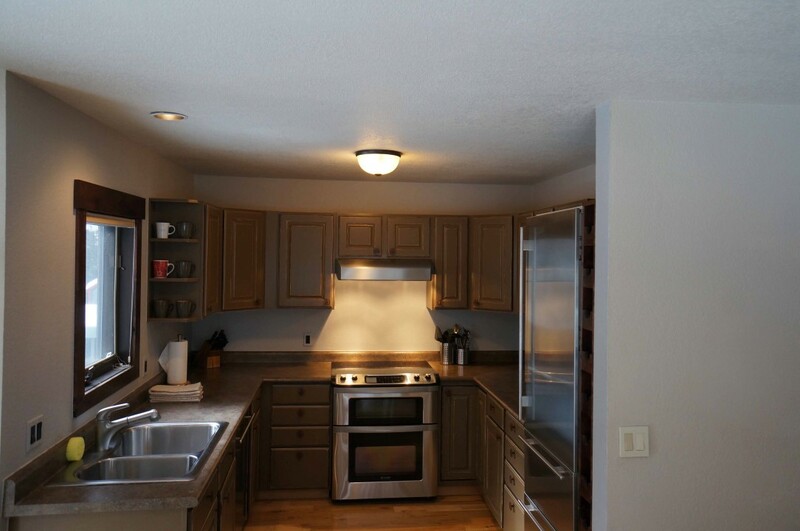 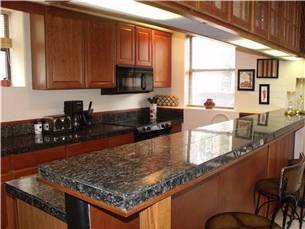 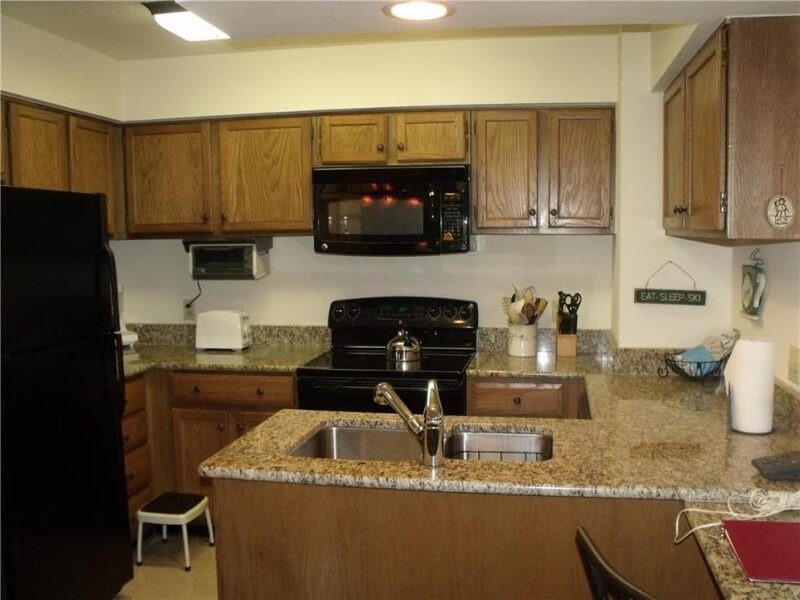 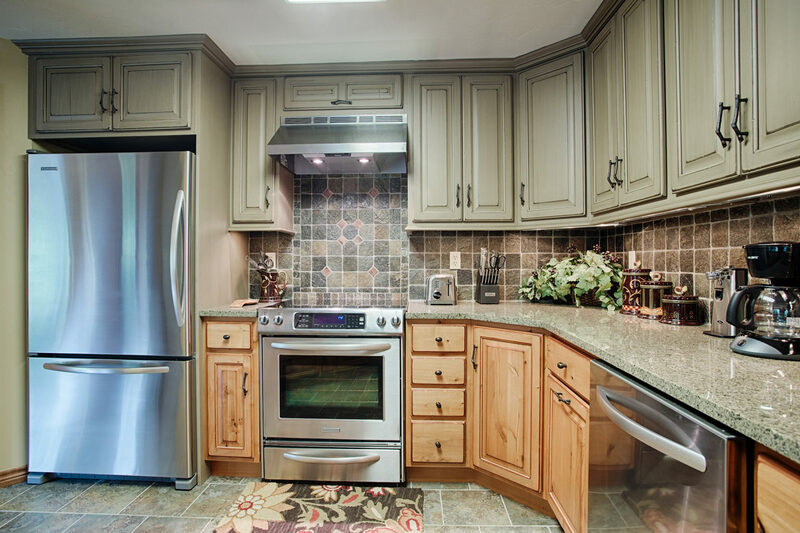 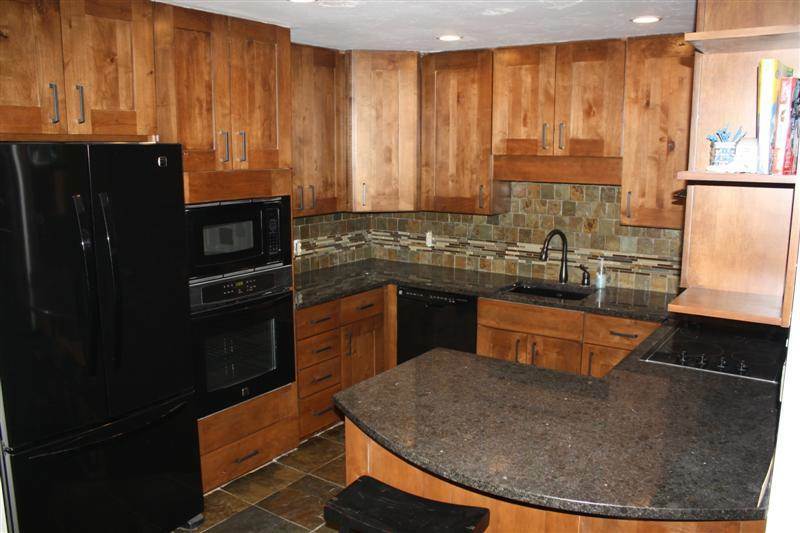 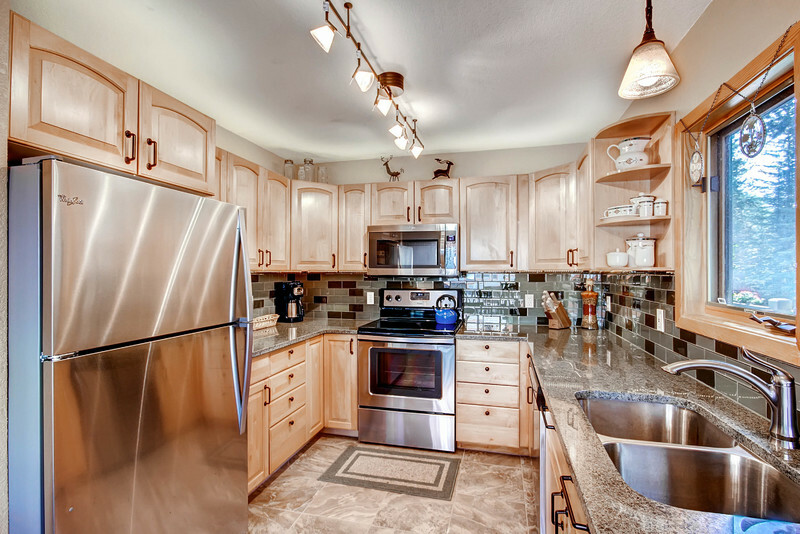 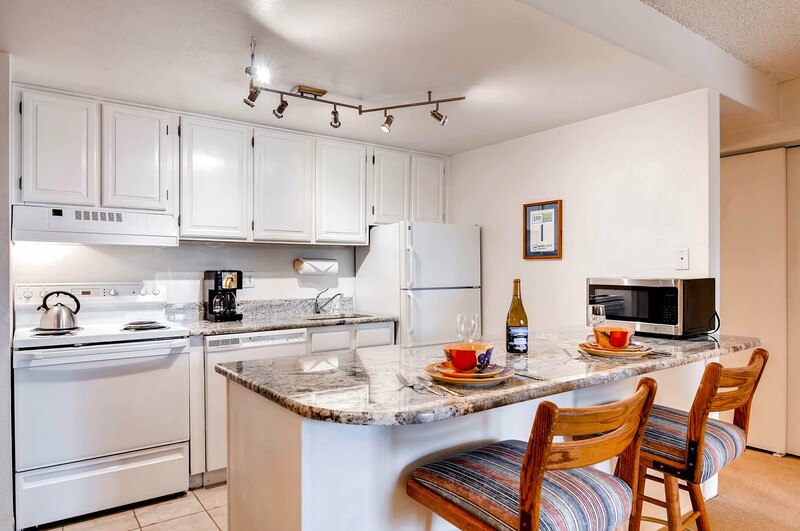 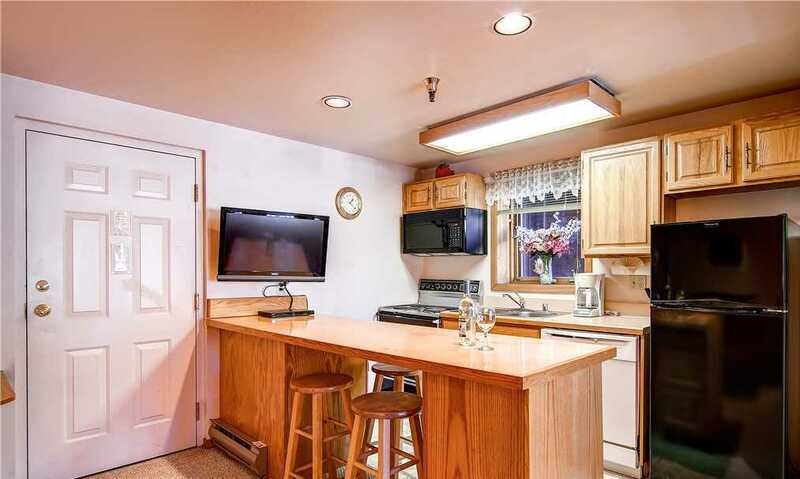 The kitchen is equally impressive, with granite counters, custom cabinetry, stainless steel appliances (including a gas range and double ovens) and a lovely dining table that seats eight. 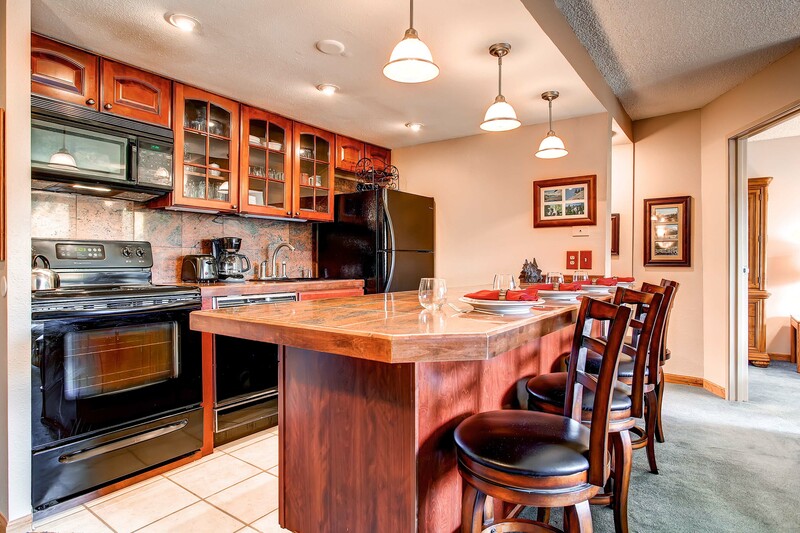 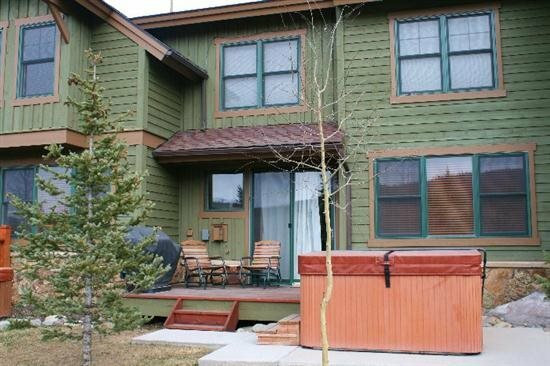 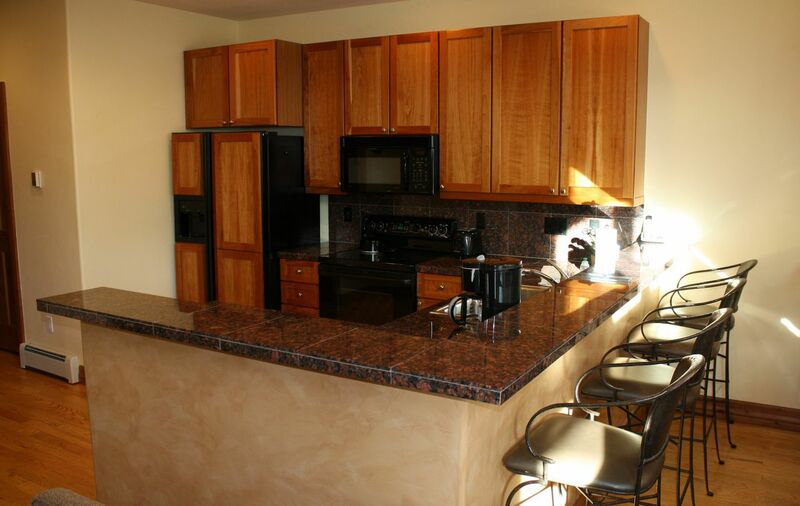 Just outside, relax in the beautifully landscaped patio area featuring a large private hot tub, gas grill and seating. 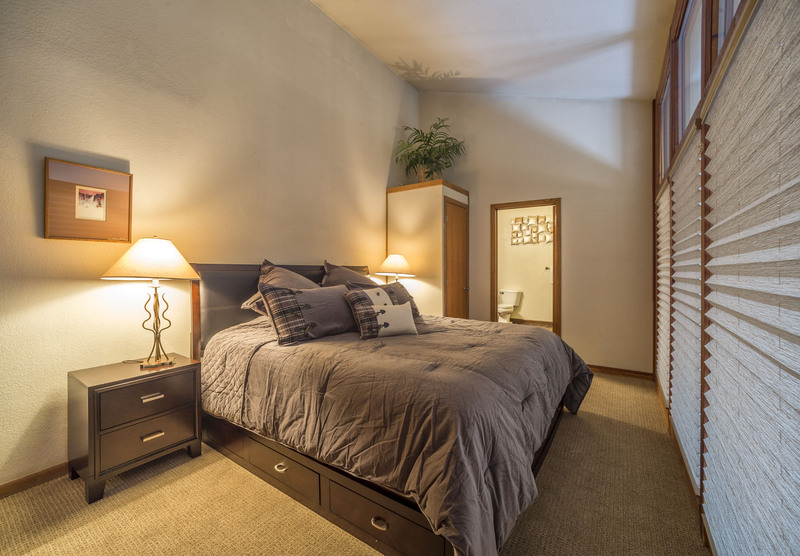 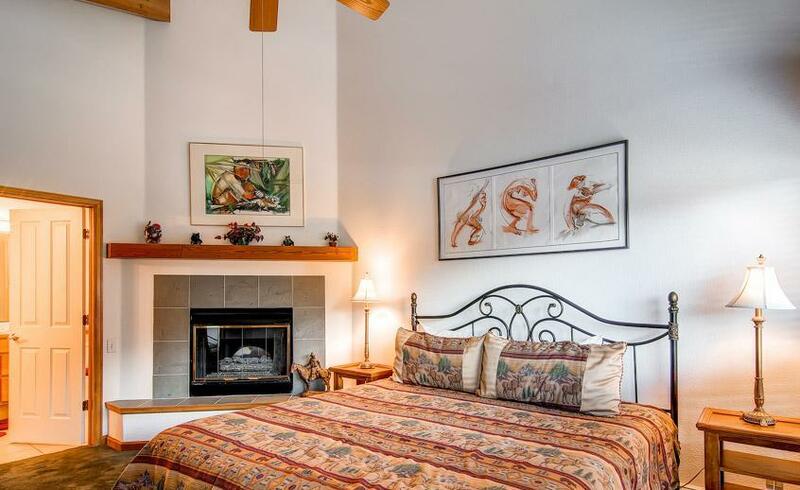 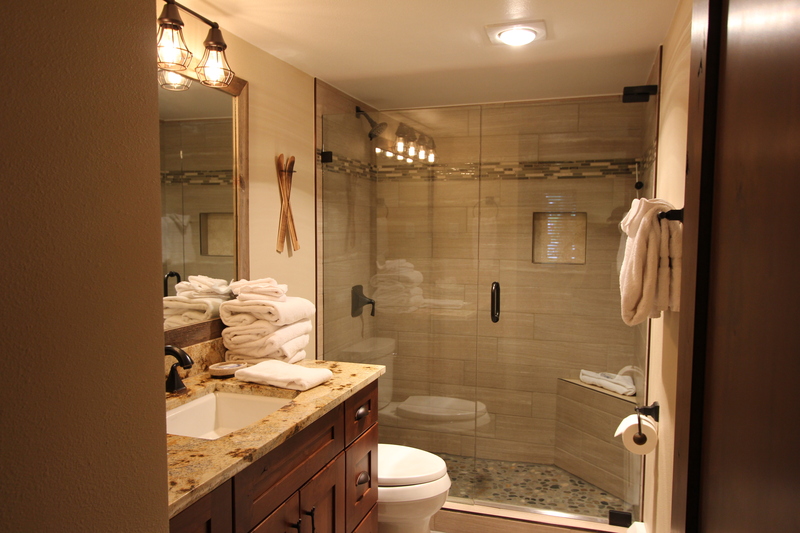 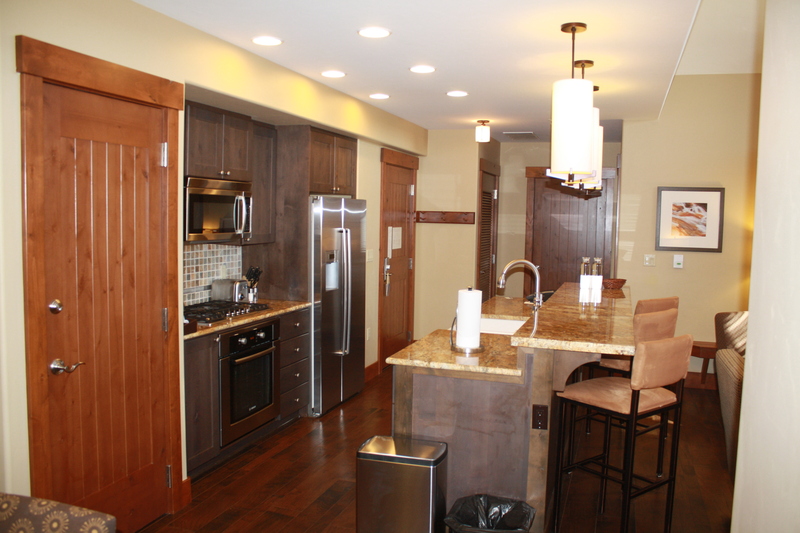 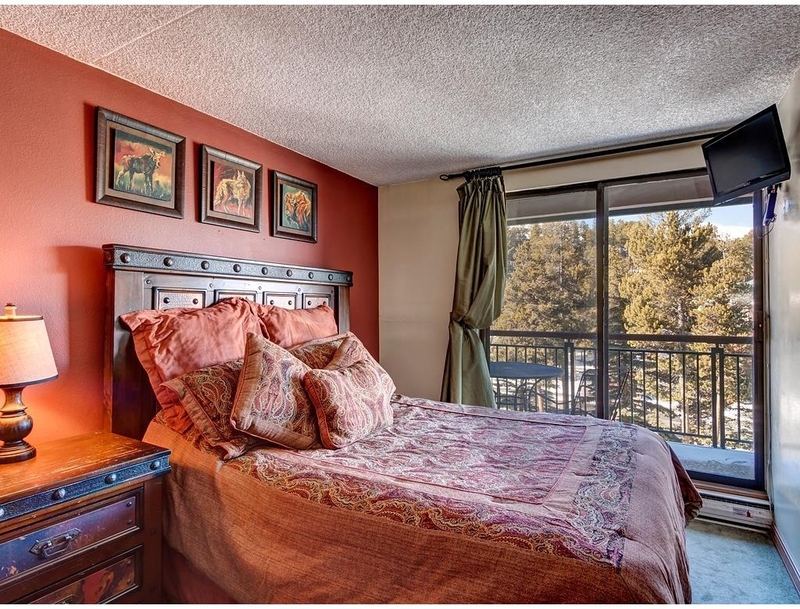 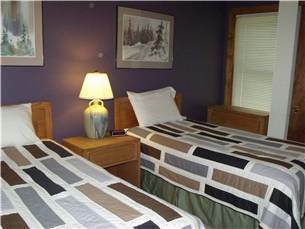 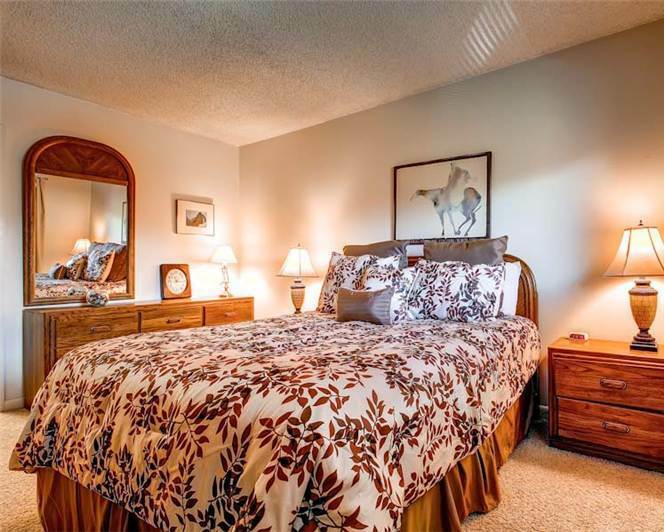 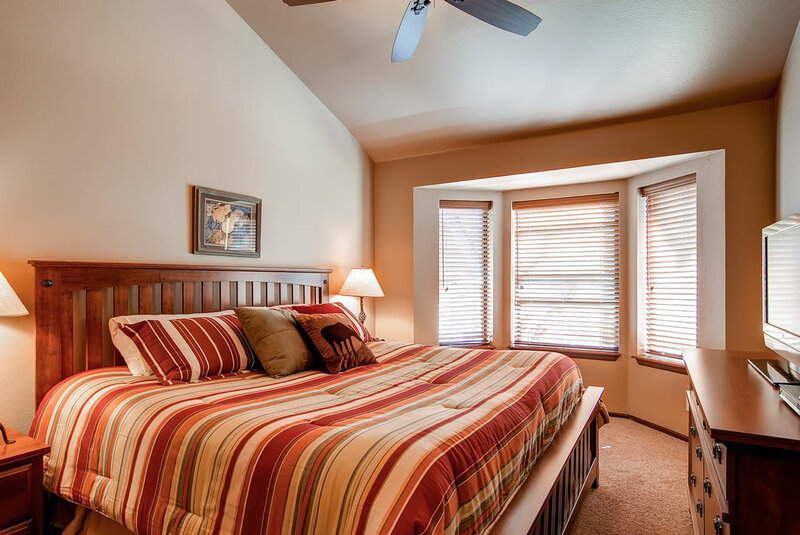 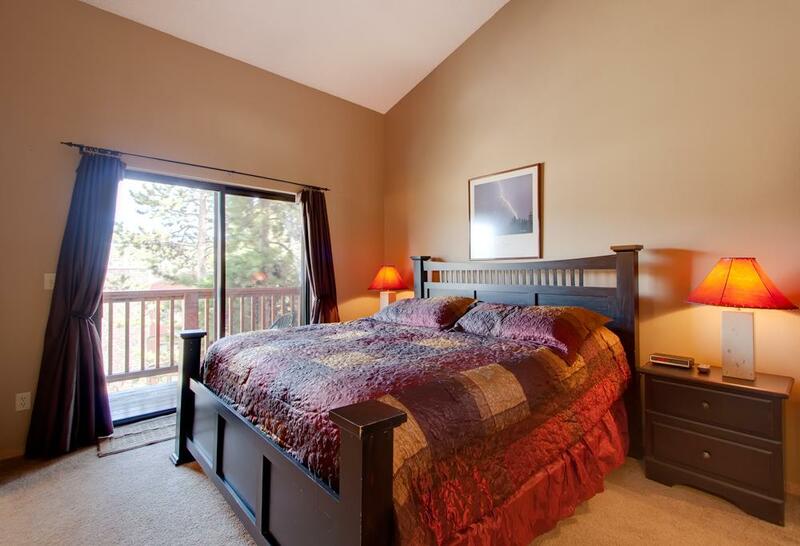 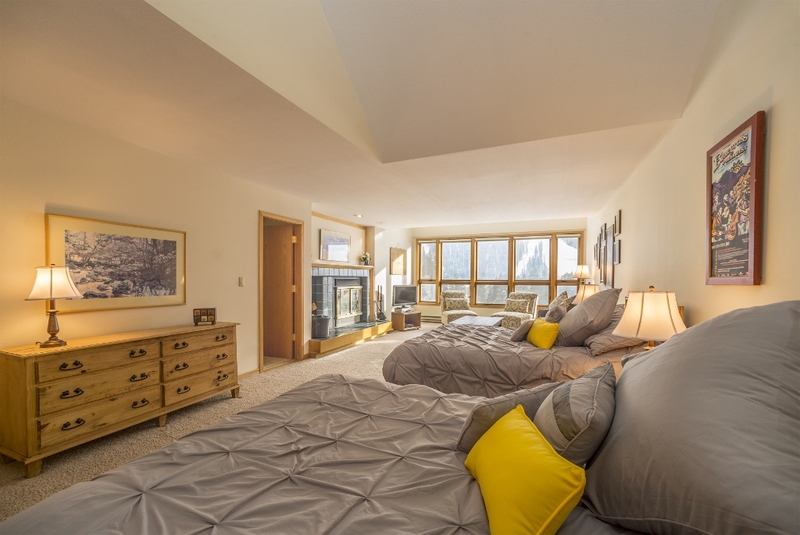 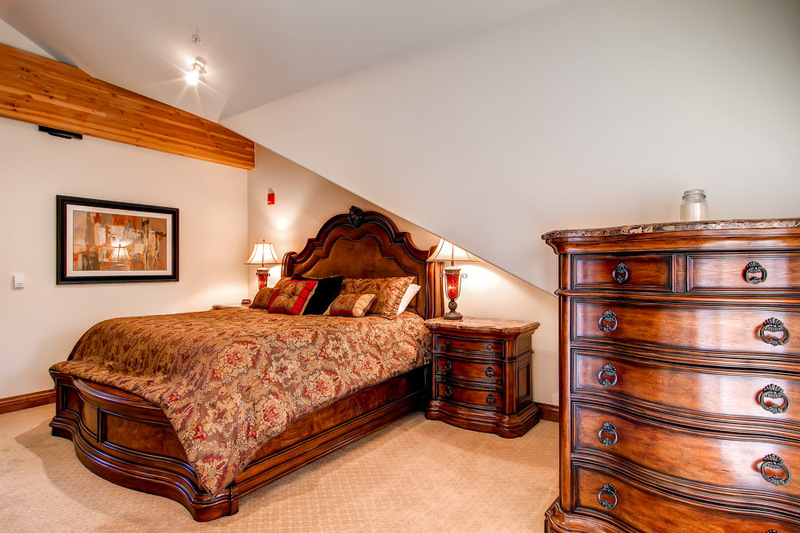 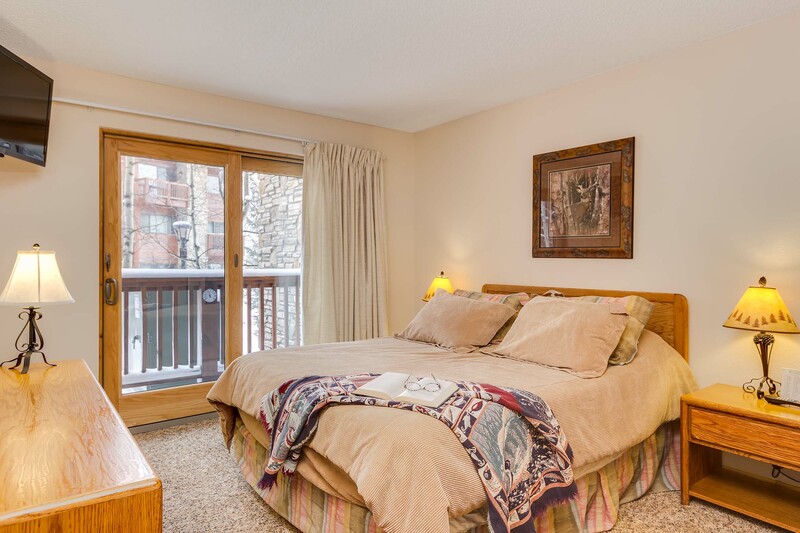 On the main level, the master suite is a private sanctuary with a king bed, gas fireplace, LCD-TV, a huge private bathroom with a Jacuzzi tub, and a private door to the hot tub. 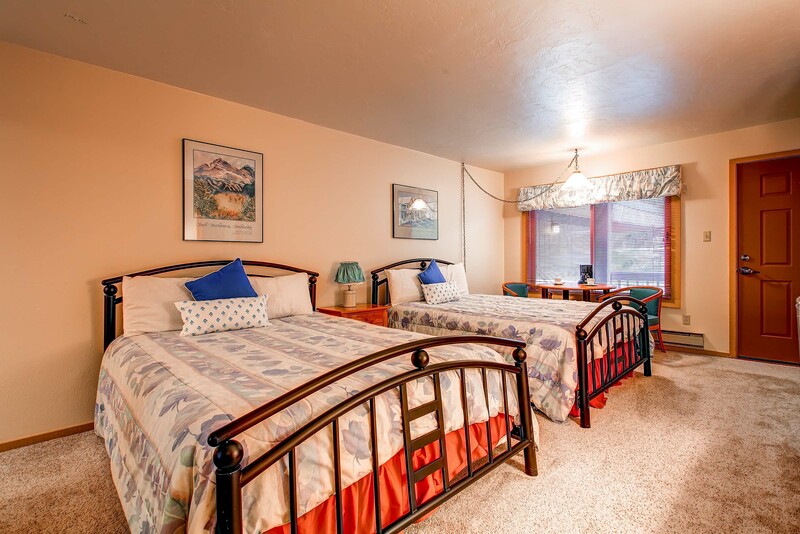 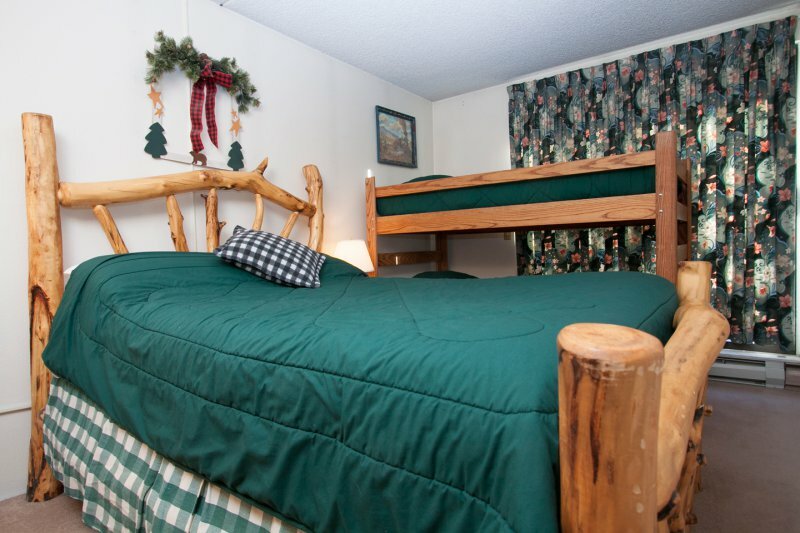 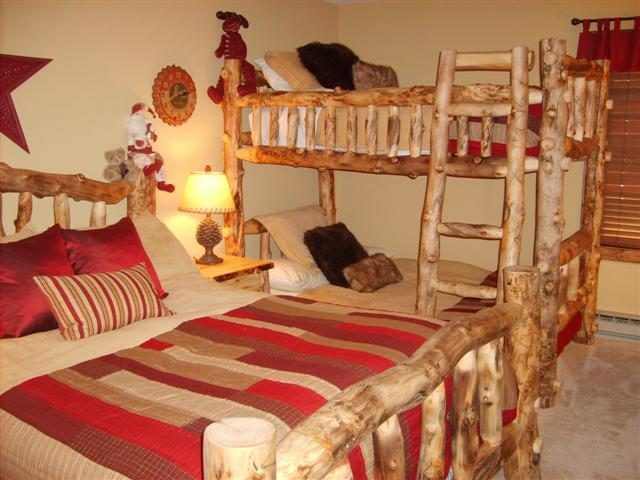 Upstairs, there’s another king bedroom suite with a private bathroom, as well as a “kids’ wing” with two bedrooms (two twin beds and two twin bunk beds) and a shared pass-thru bathroom. 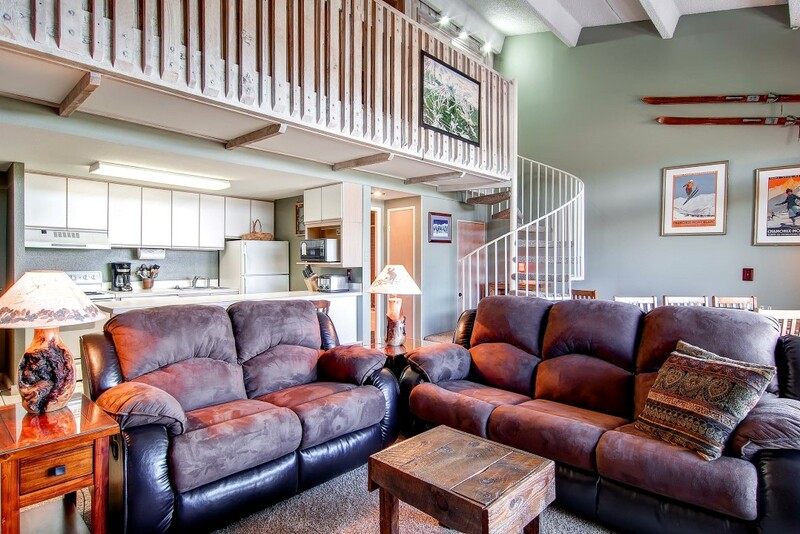 Also upstairs: a large loft/sitting area with a desk and queen sleeper sofa, as well as a laundry room with a full-size washer and dryer. 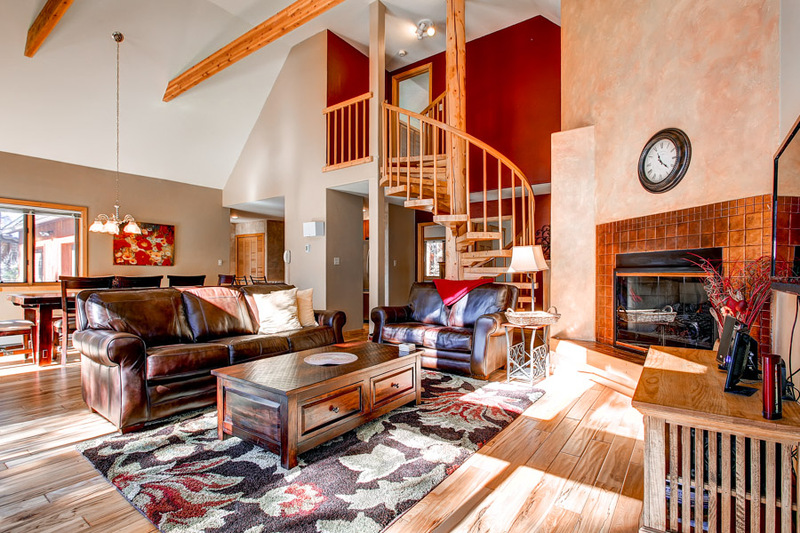 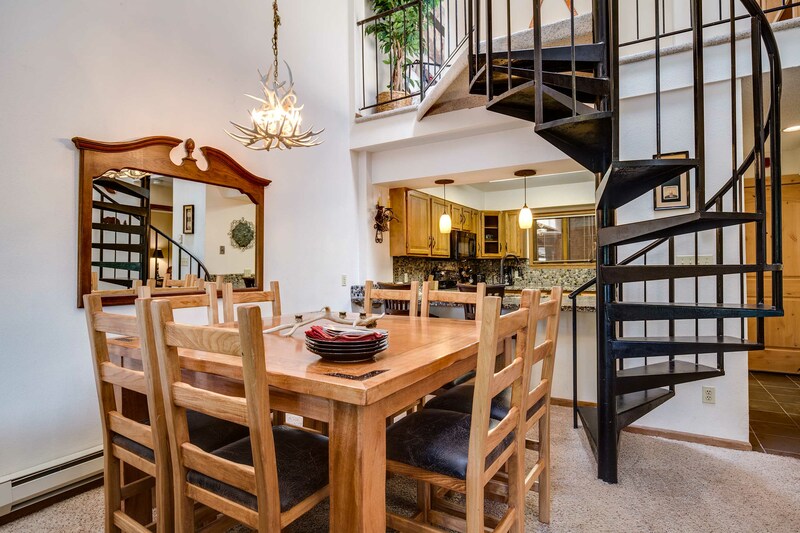 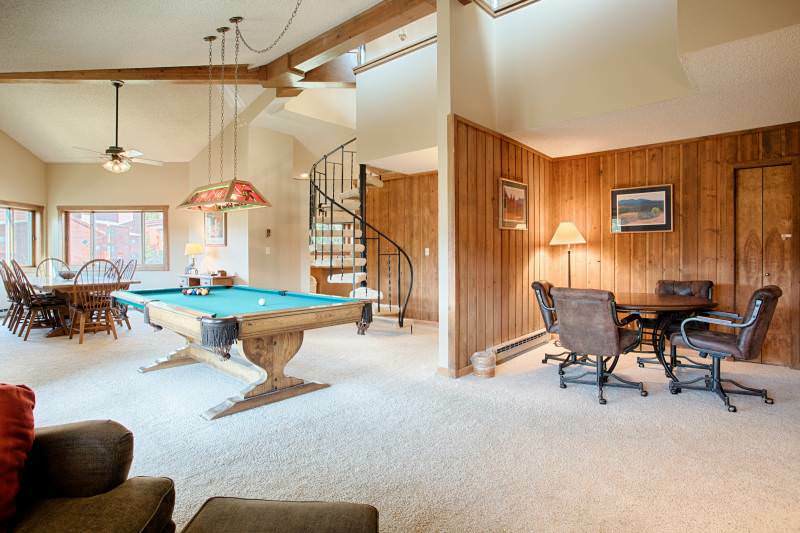 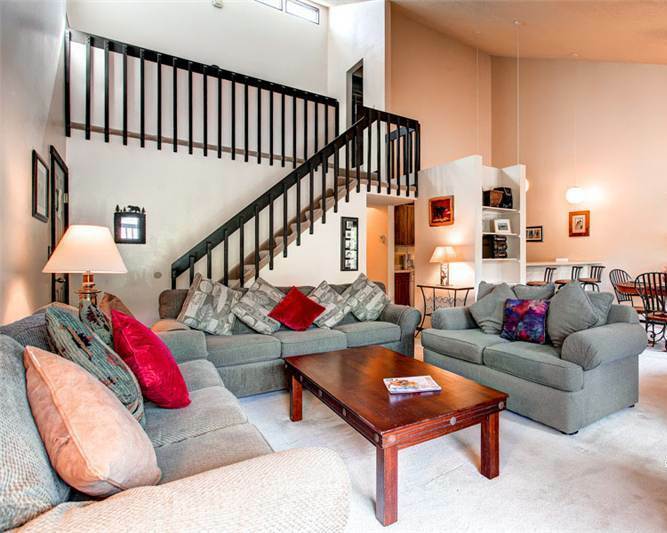 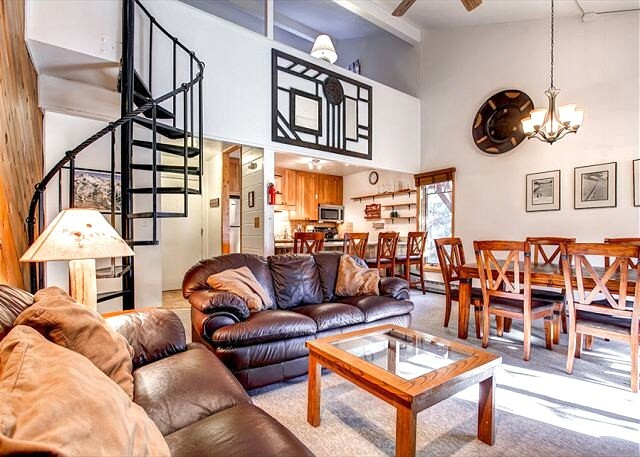 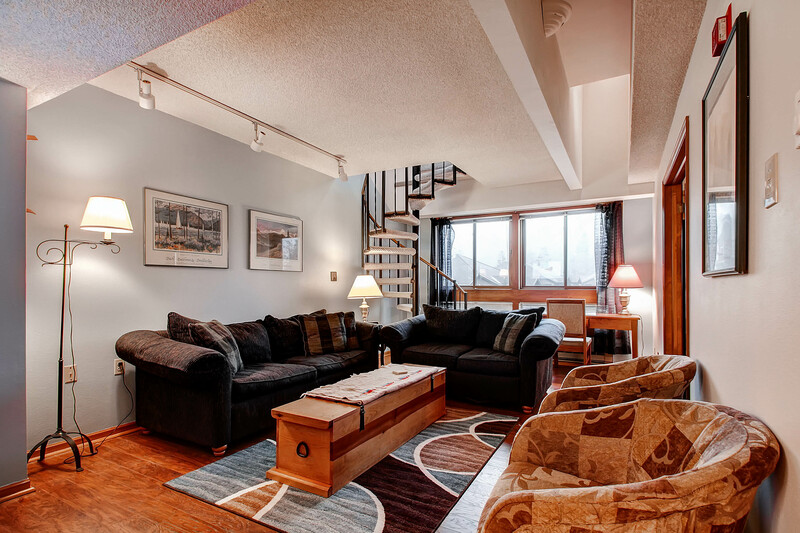 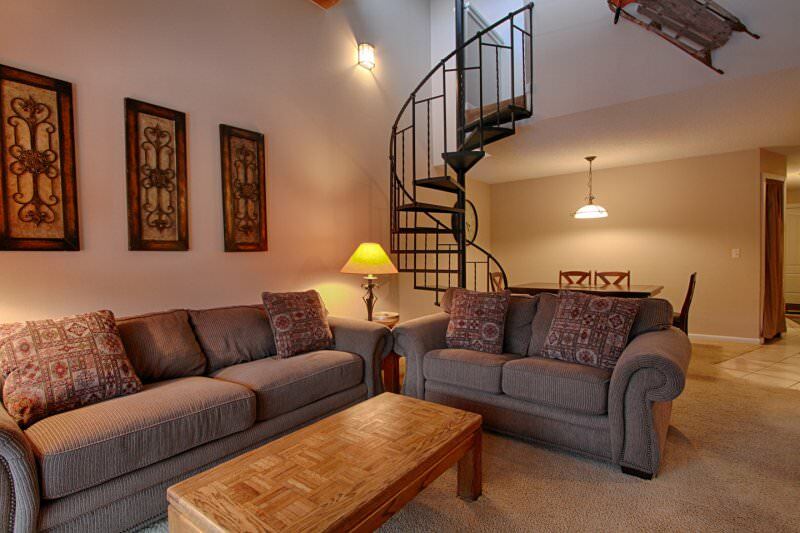 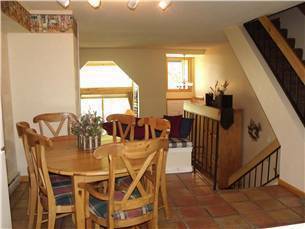 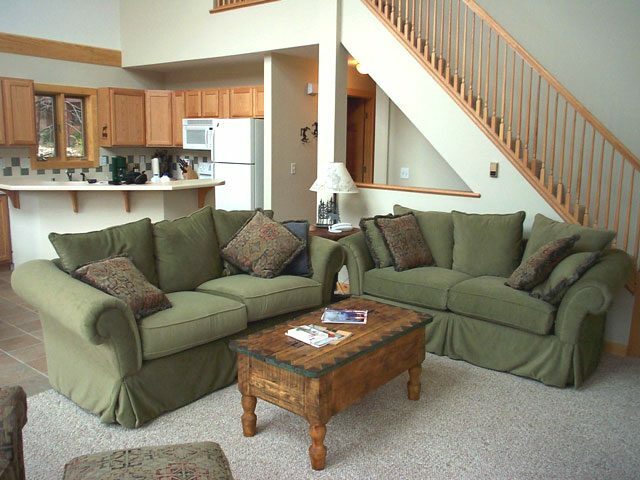 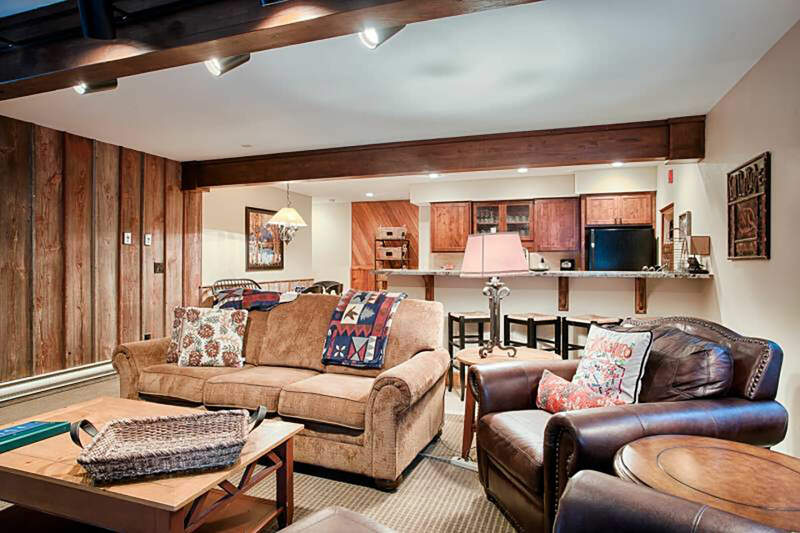 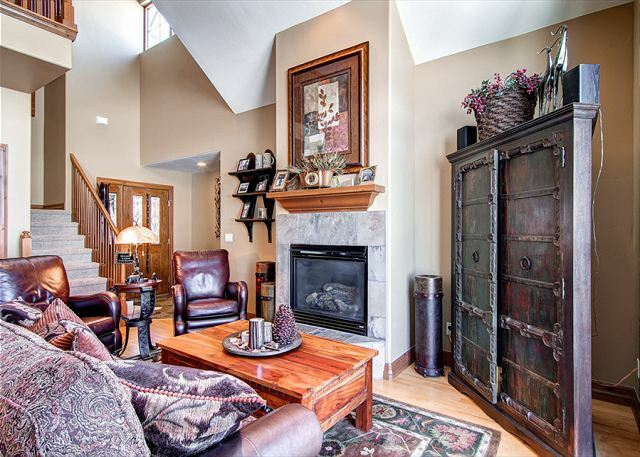 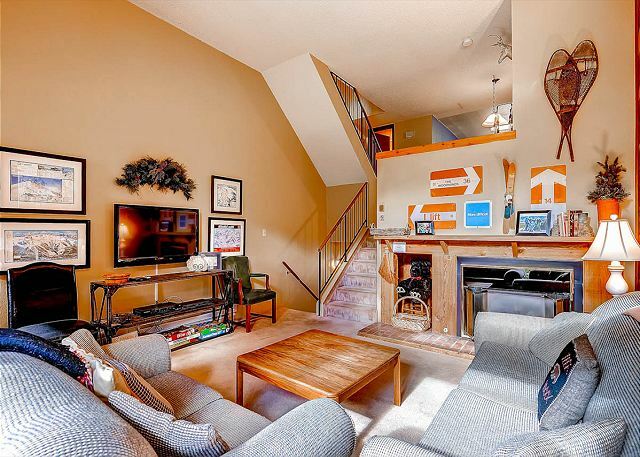 Upstairs, the large loft is another great gathering area with second large LCD TV and a huge couch for relaxing and taking in a movie (or the morning snow forecast). 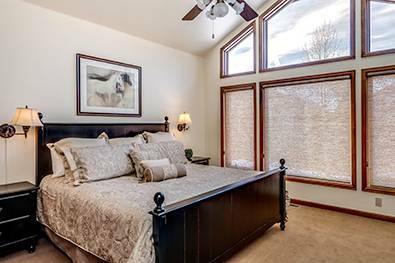 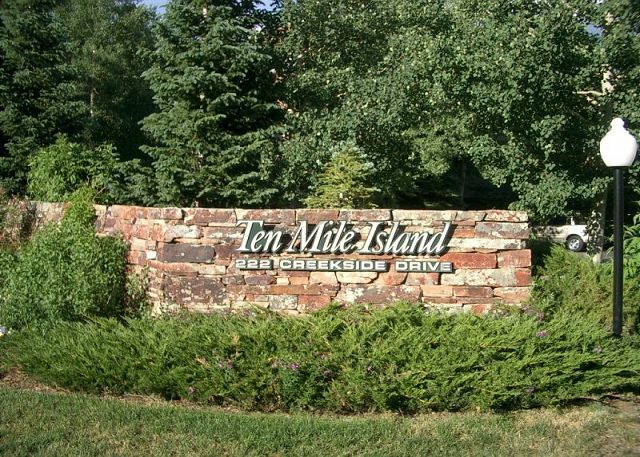 You’ll also find all the upscale amenities you’d expect in a home of this quality, including a two-car garage, a laundry room with a full-size washer and dryer, and complementary Wi-Fi throughout the home. 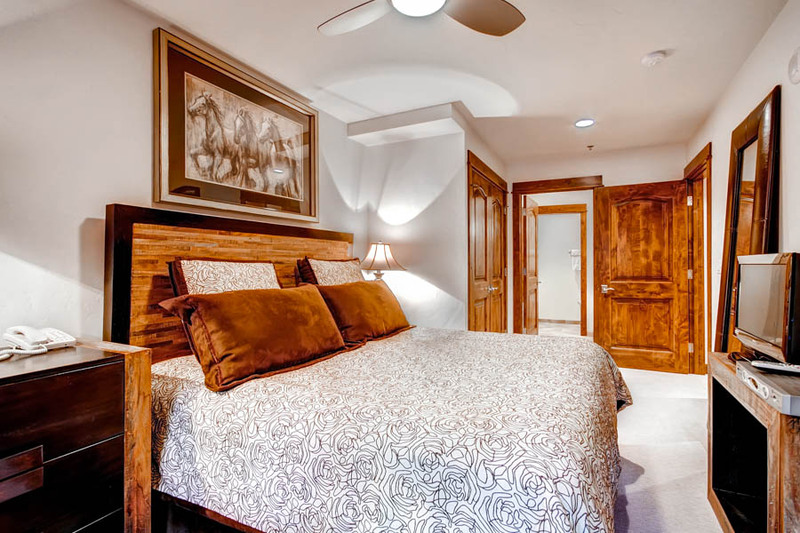 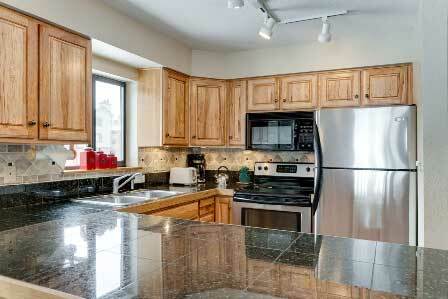 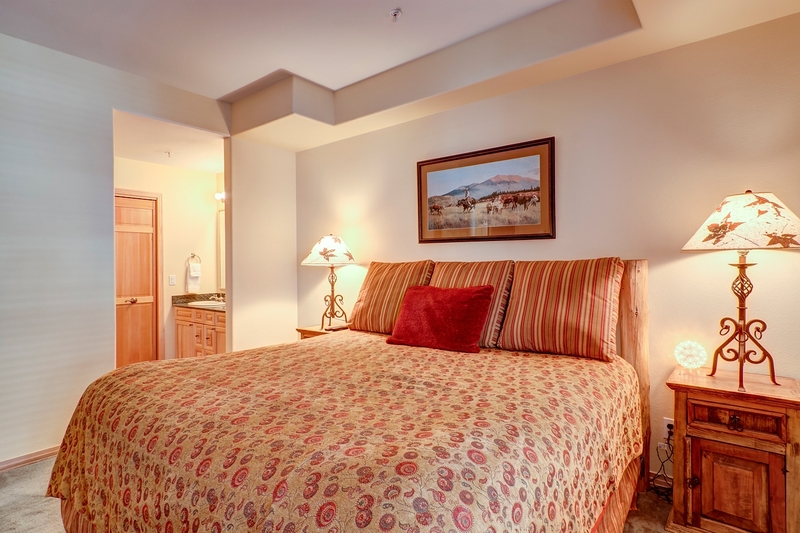 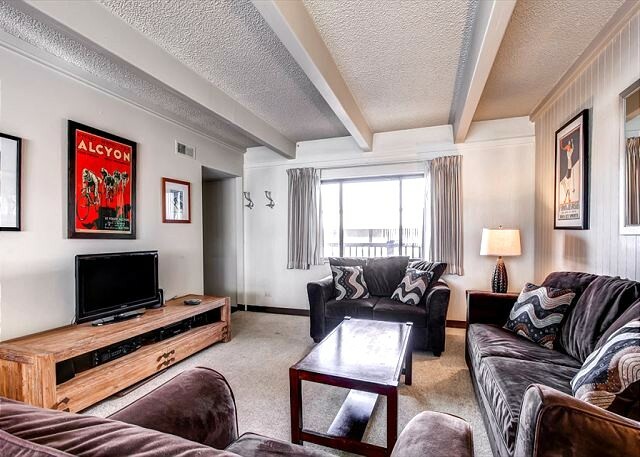 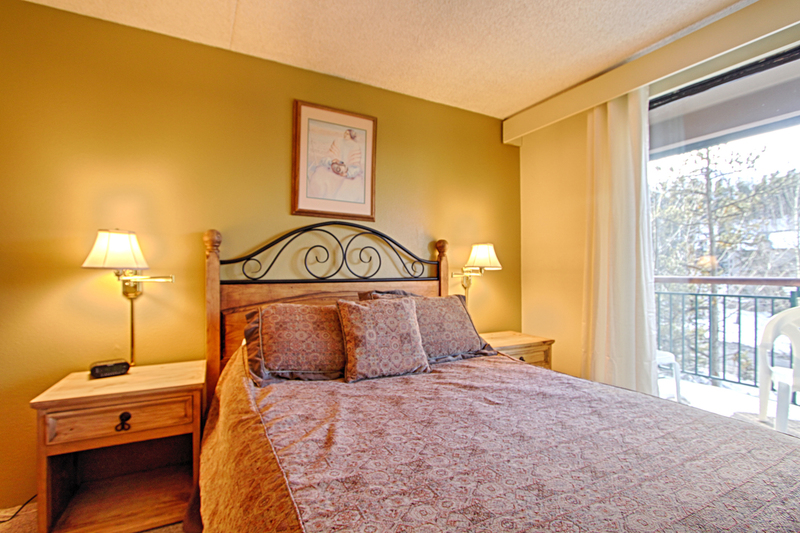 High-end comfort and a fantastic Frisco location offering peace and relaxation. 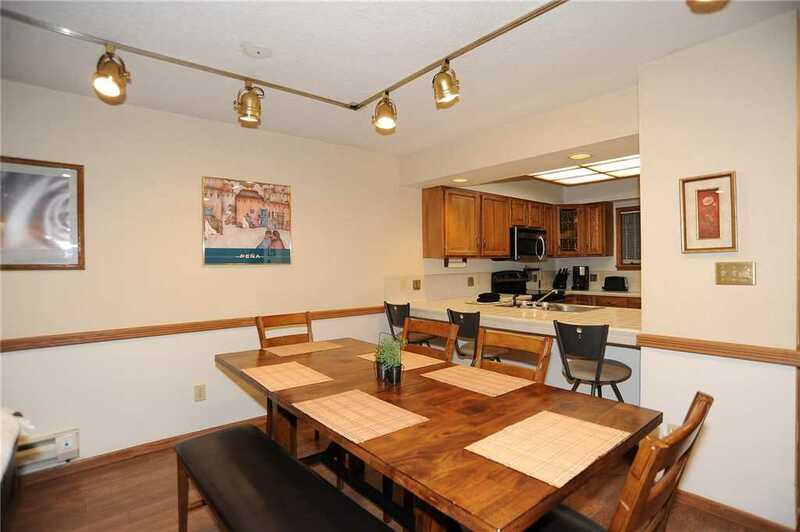 Parking: 2-car garage with 2 outdoor spaces — 4 spaces total.